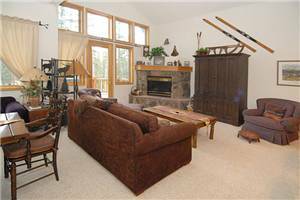 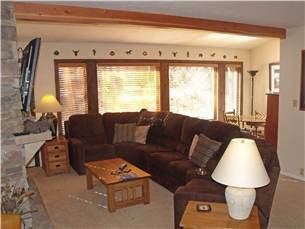 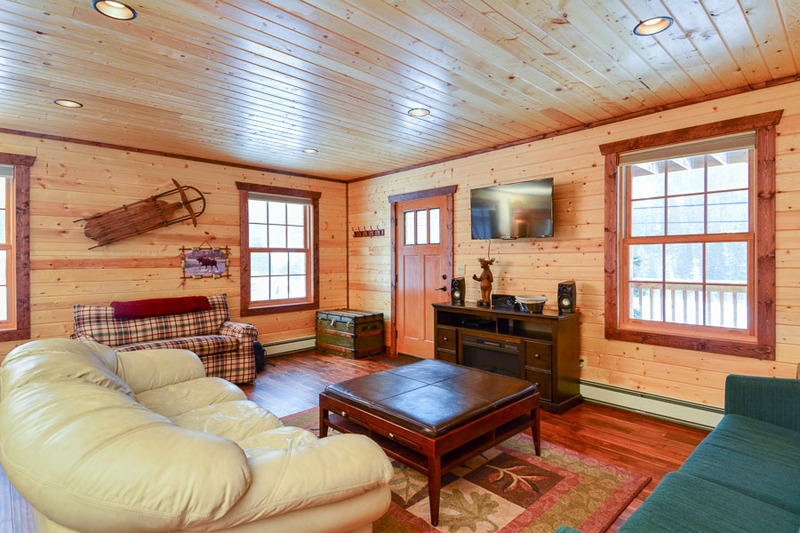 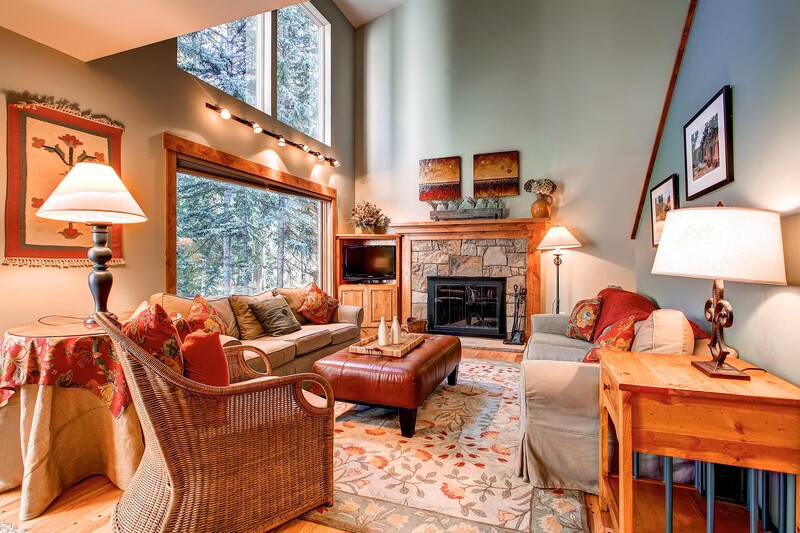 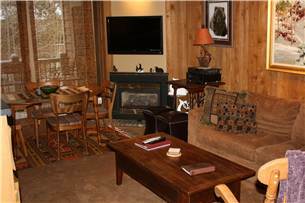 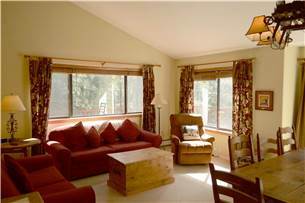 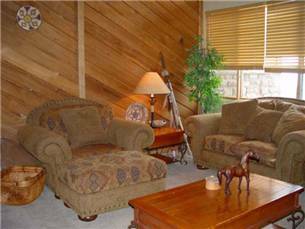 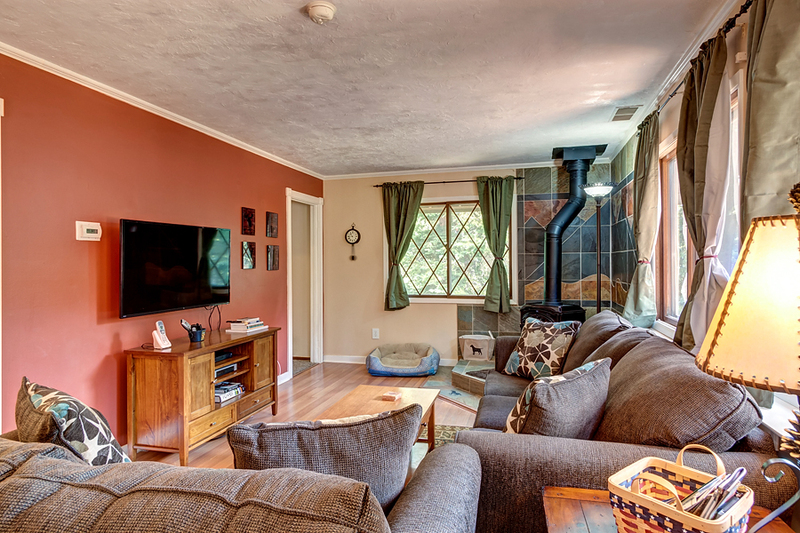 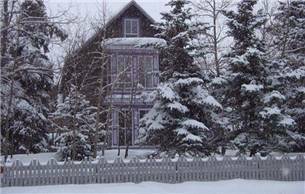 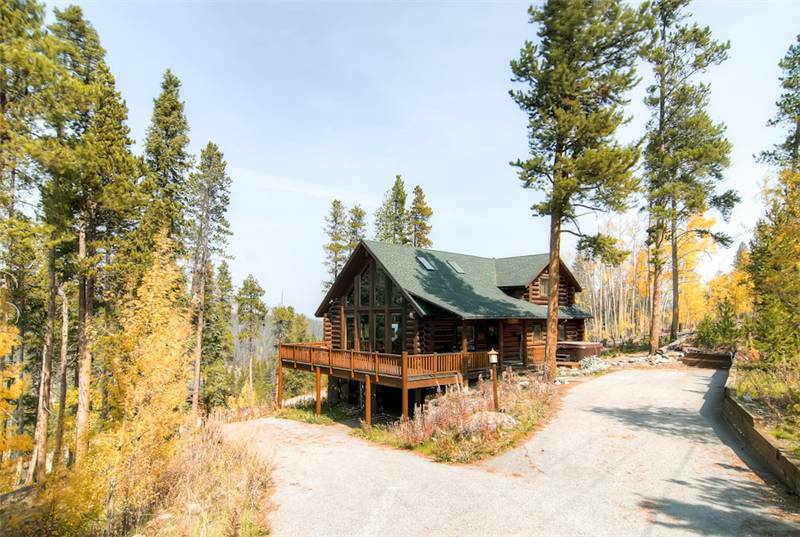 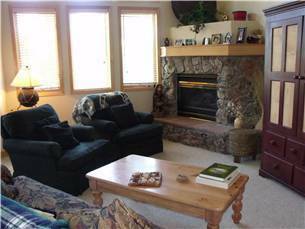 The peaceful forested and river view makes it feel as though you are secluded in the mountains, but this property is nearly Ski-In/Out! 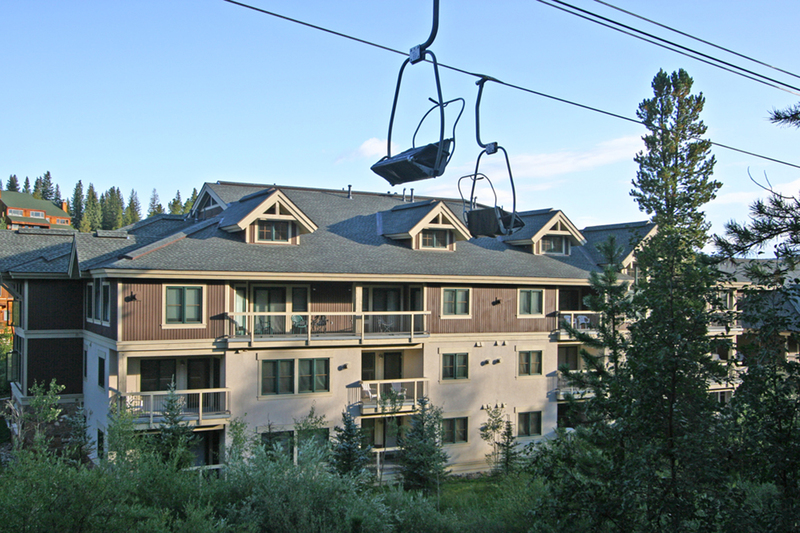 Only a short pedestrian bridge across the Blue River separates you from the Quicksilver chairlift and ski school at Peak 9. 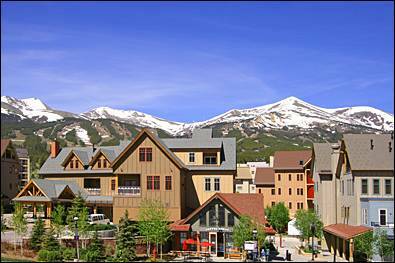 Also just a block easy walk to Main Street. 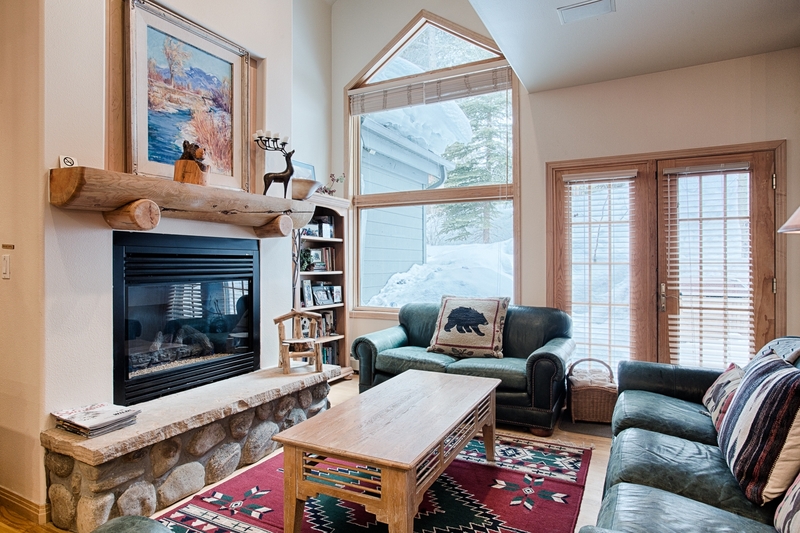 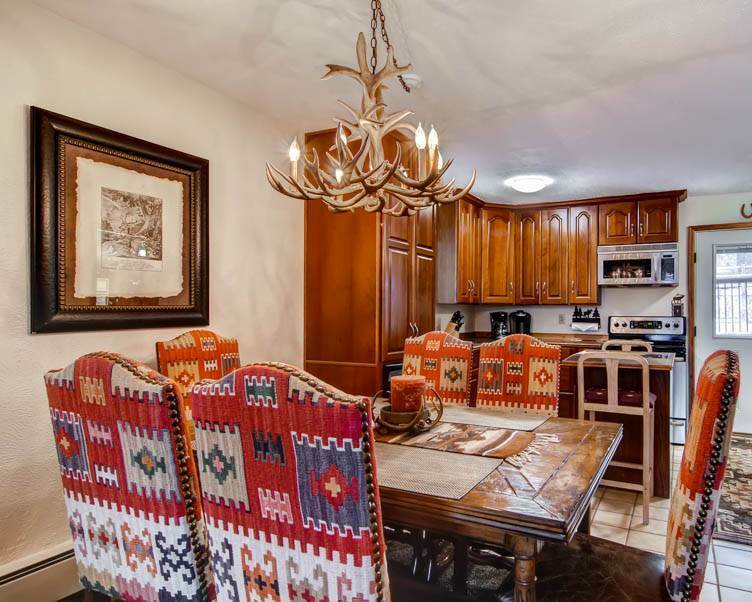 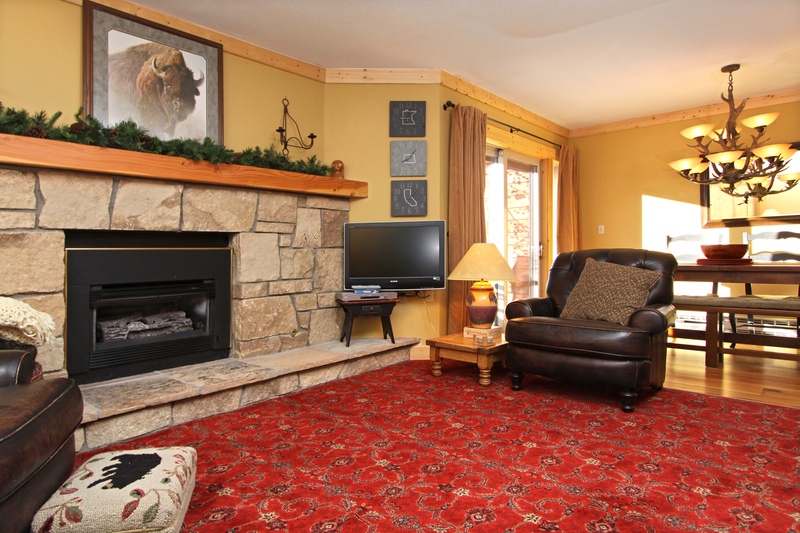 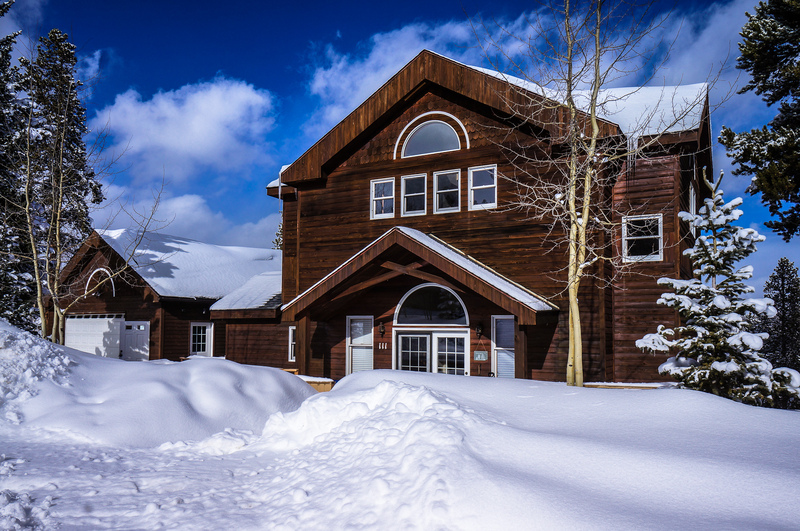 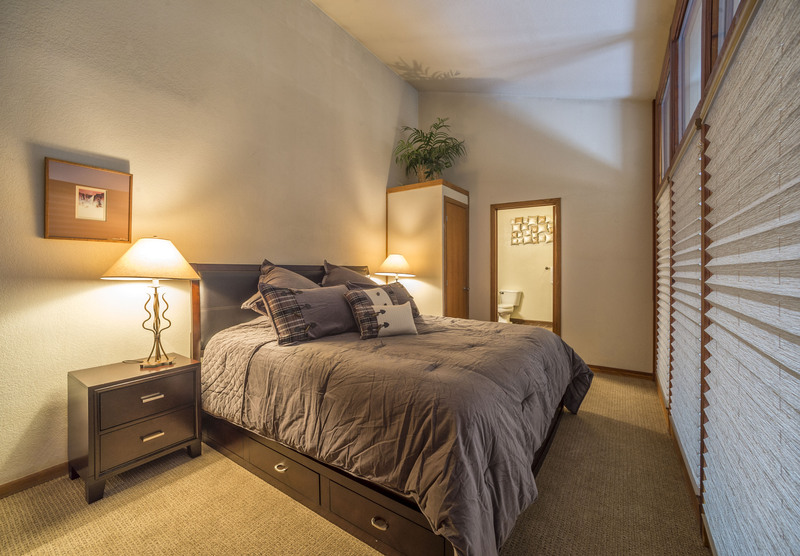 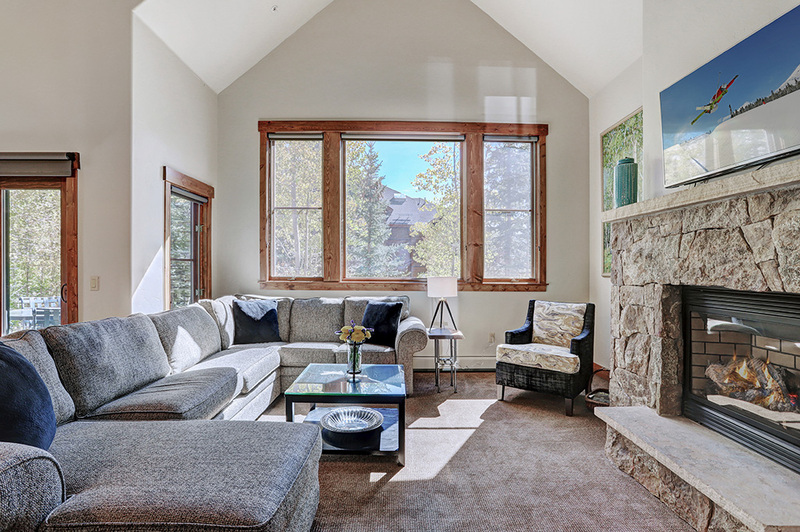 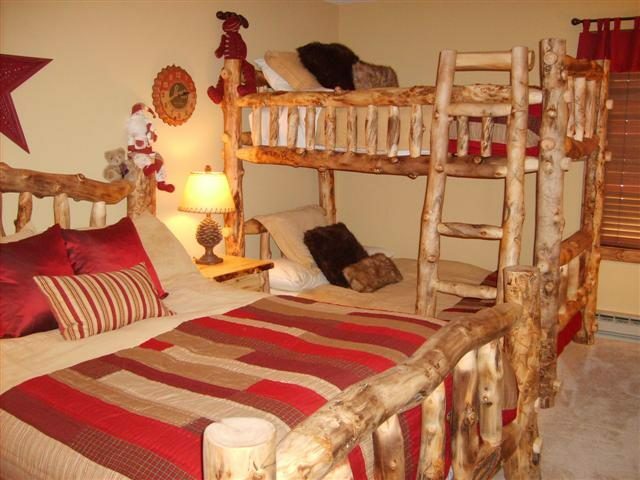 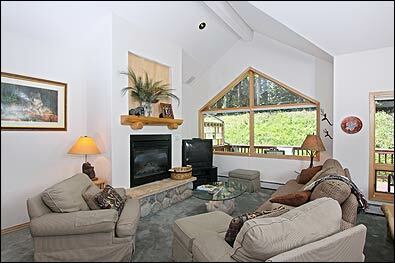 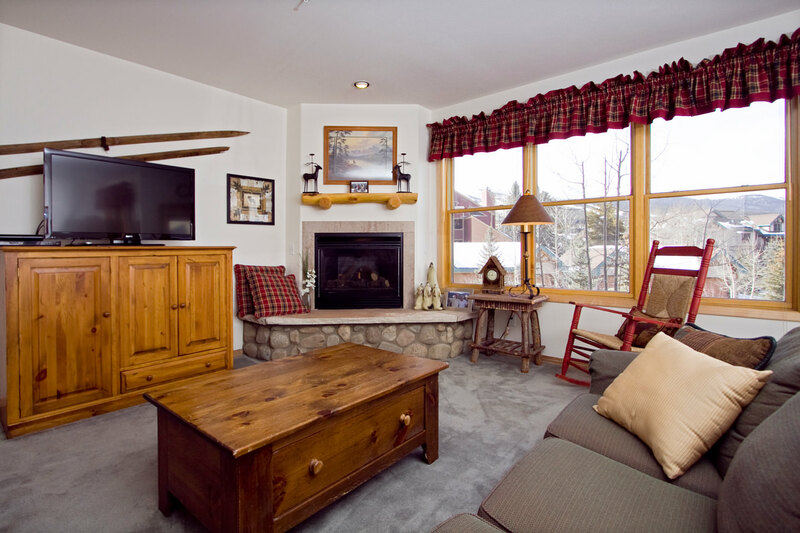 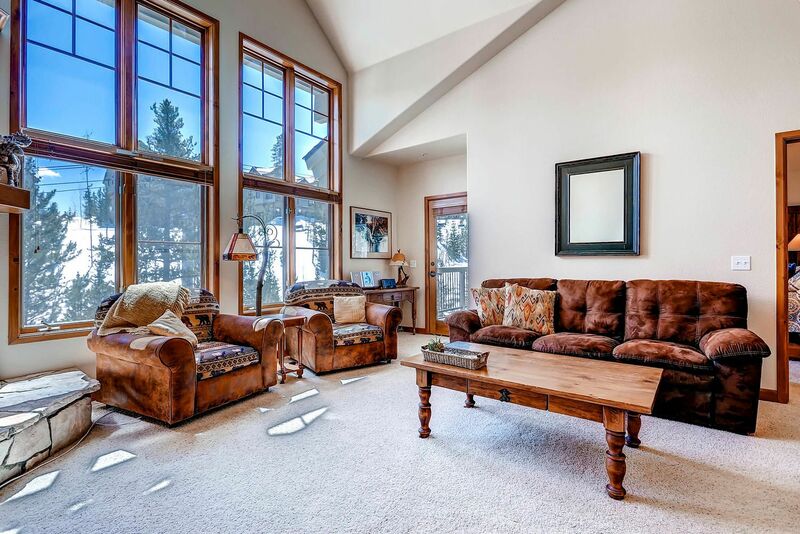 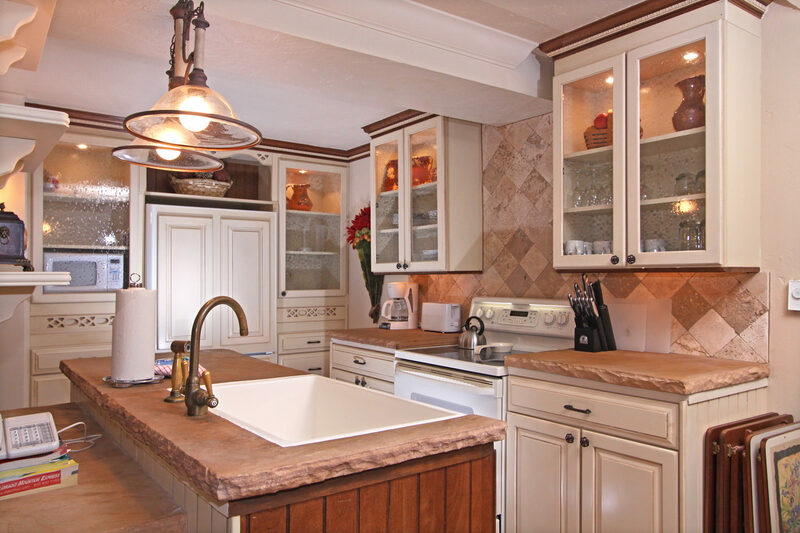 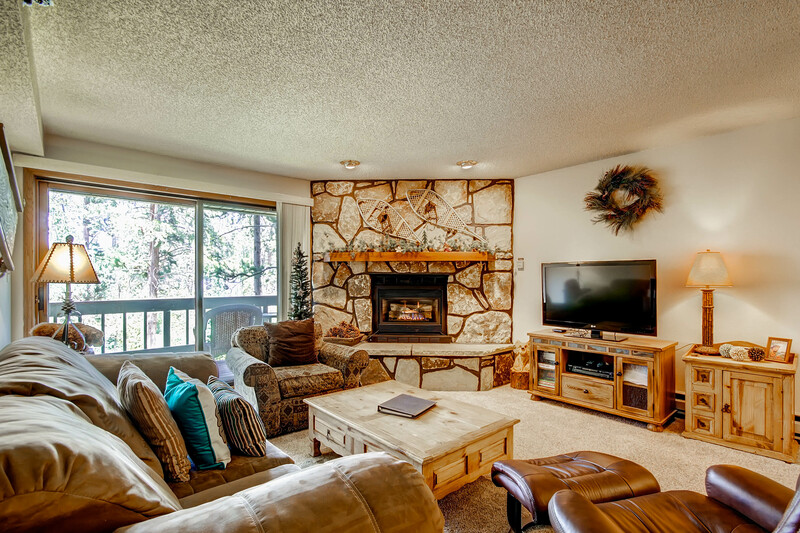 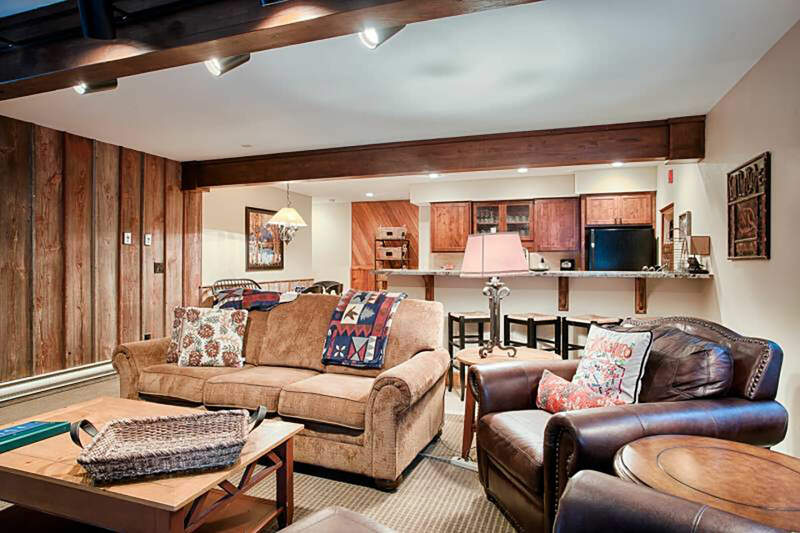 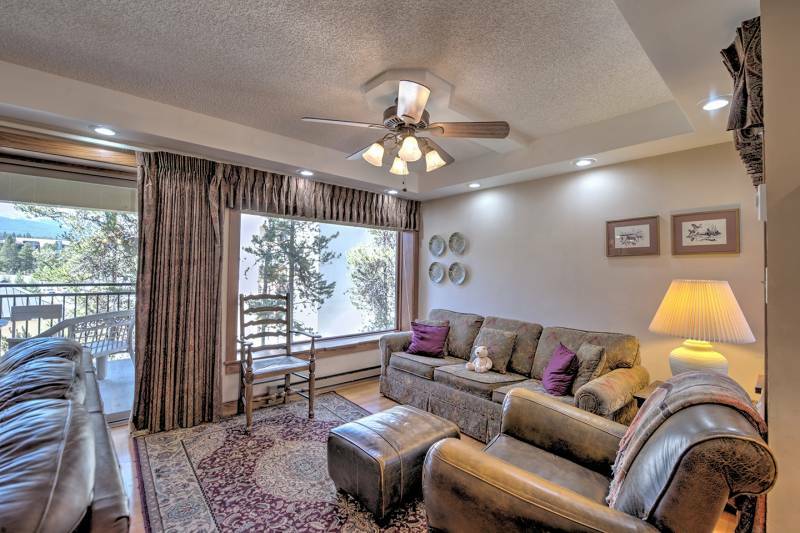 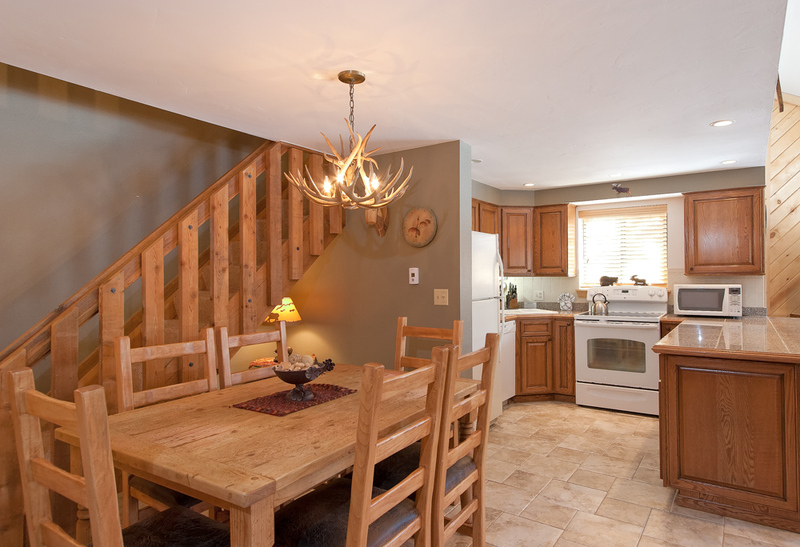 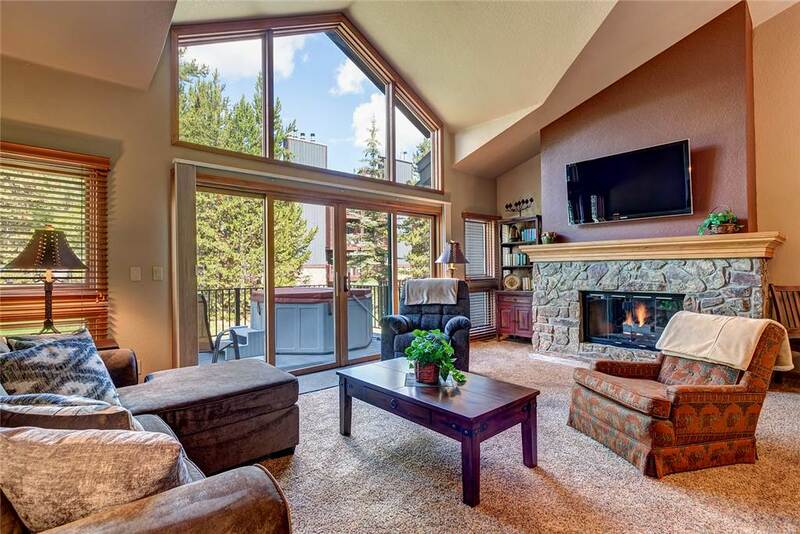 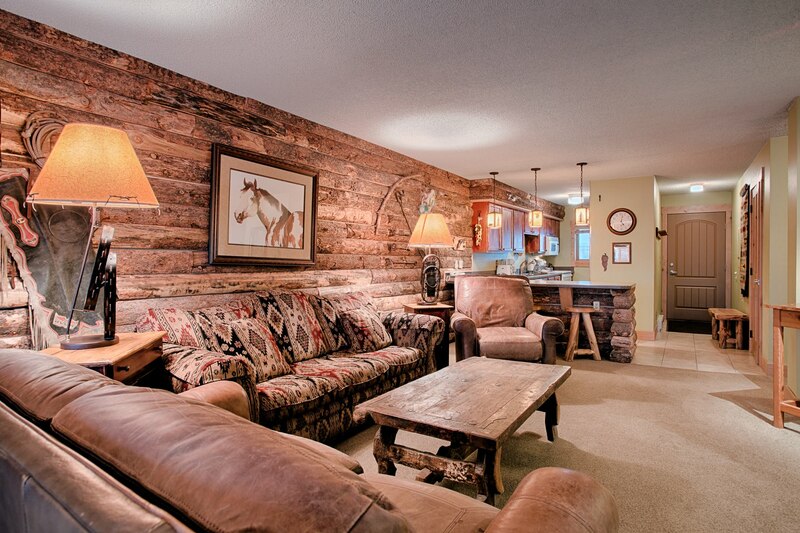 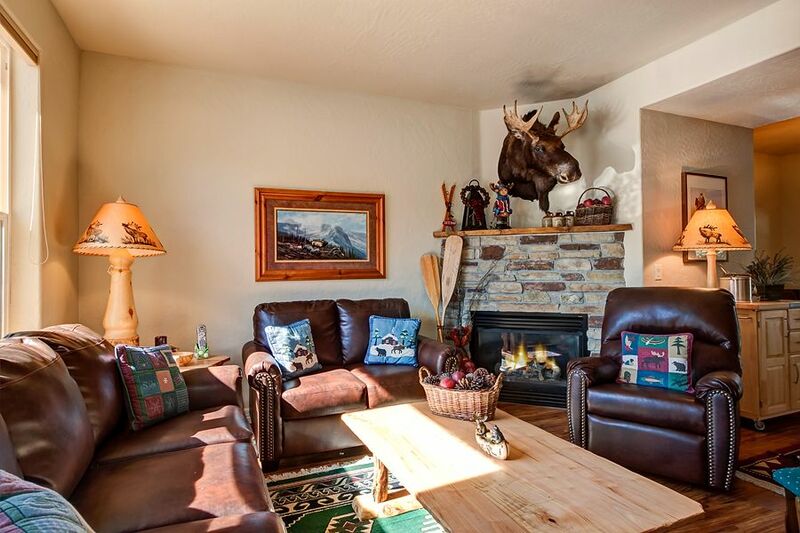 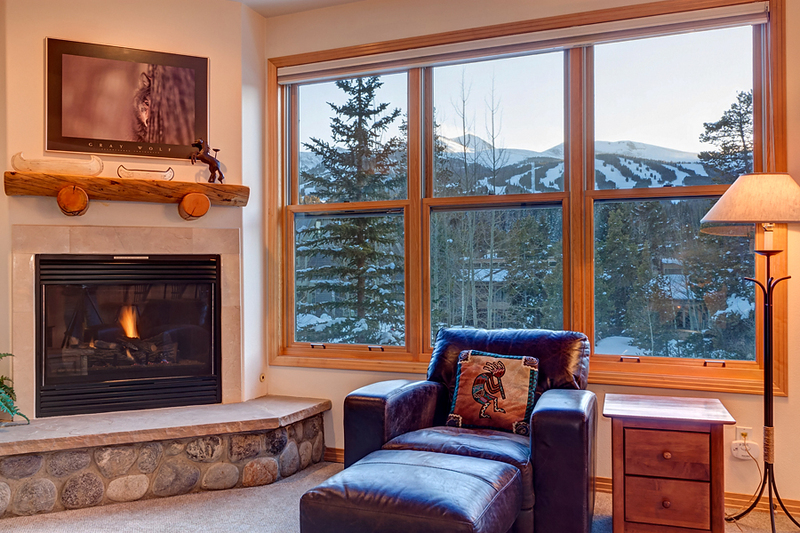 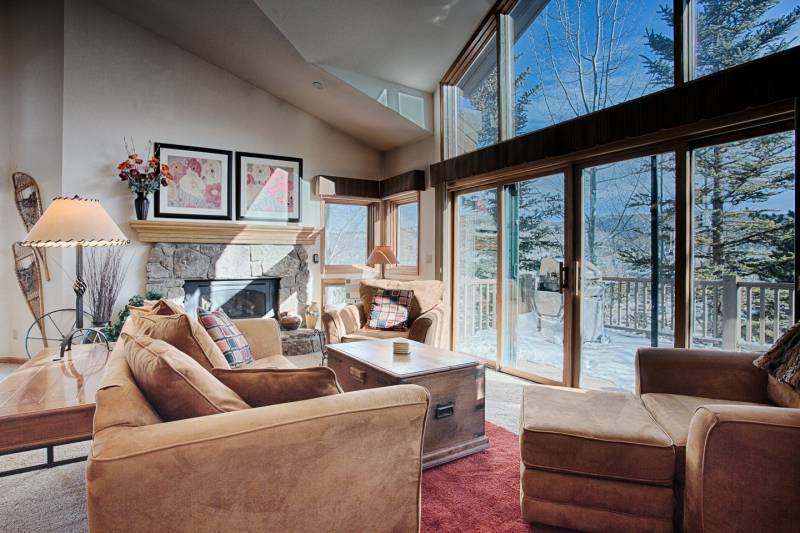 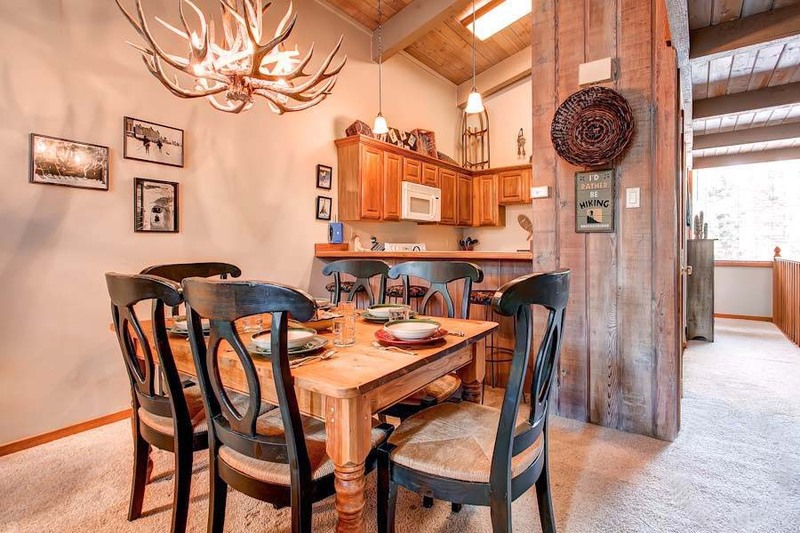 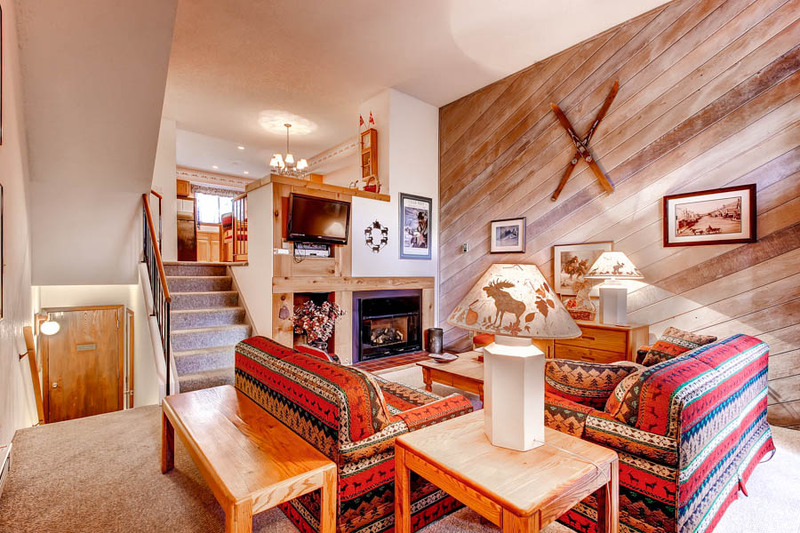 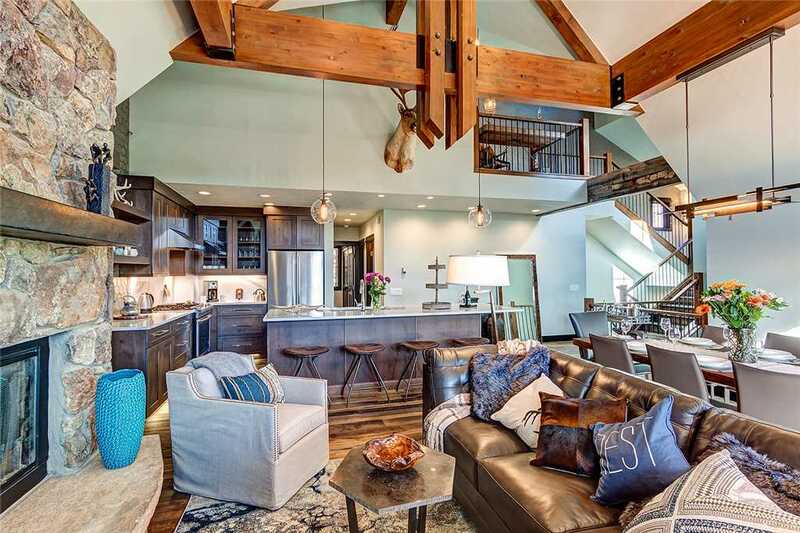 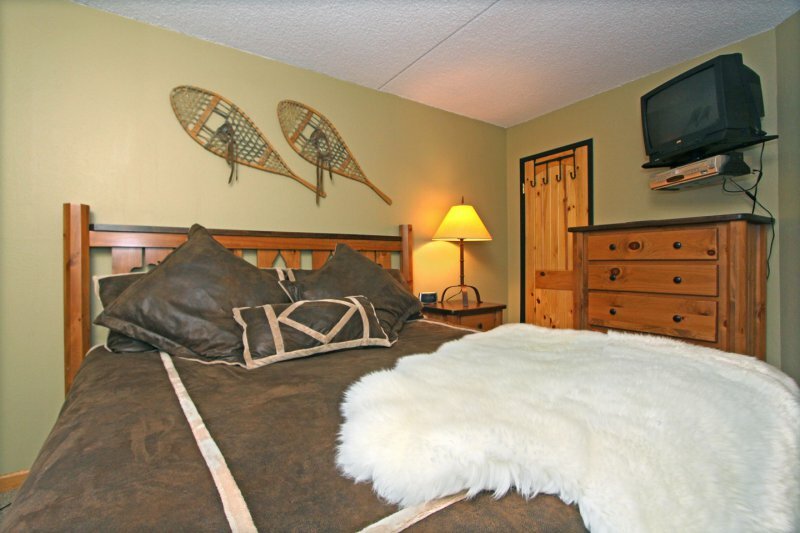 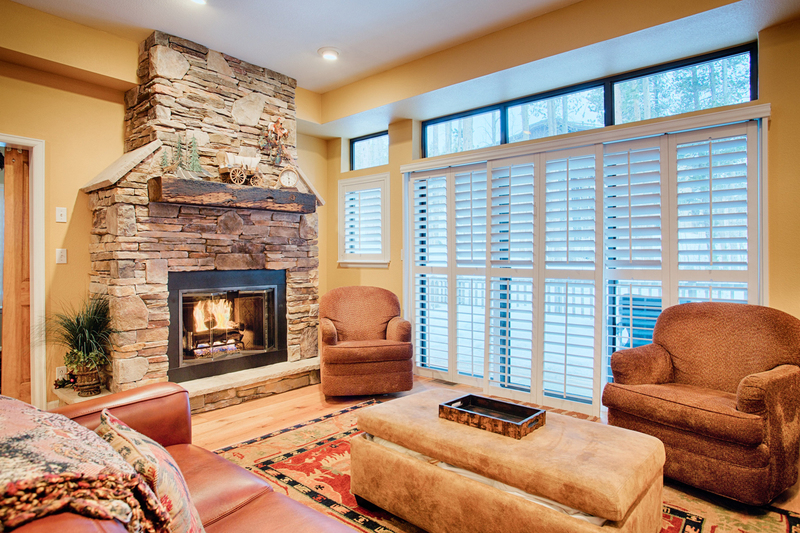 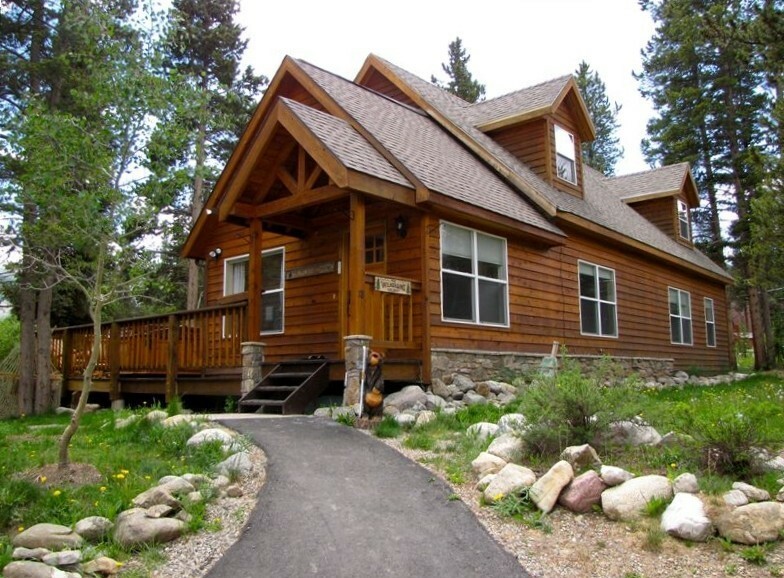 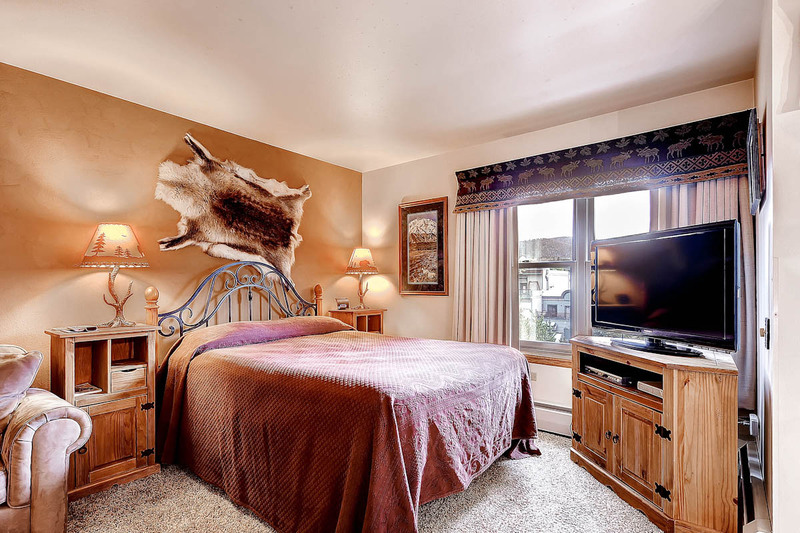 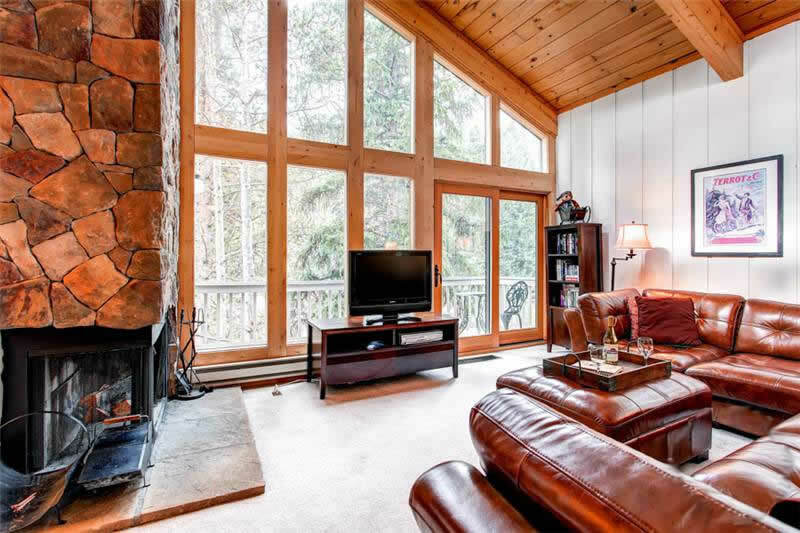 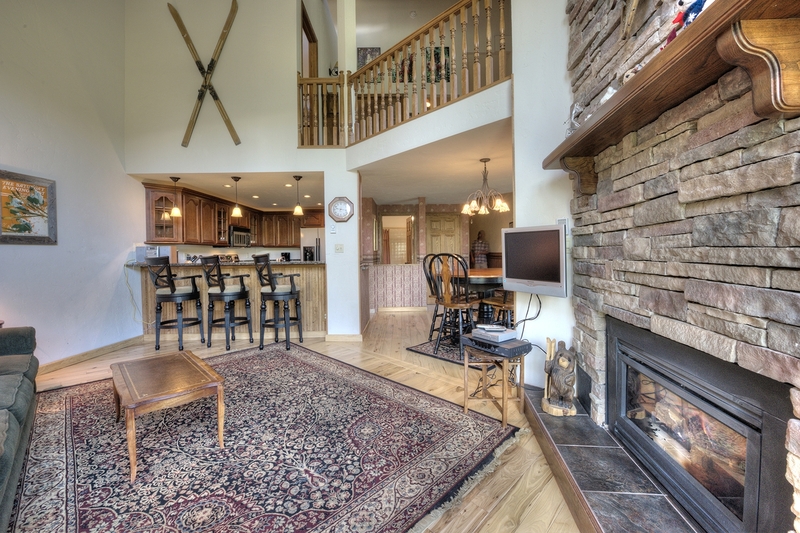 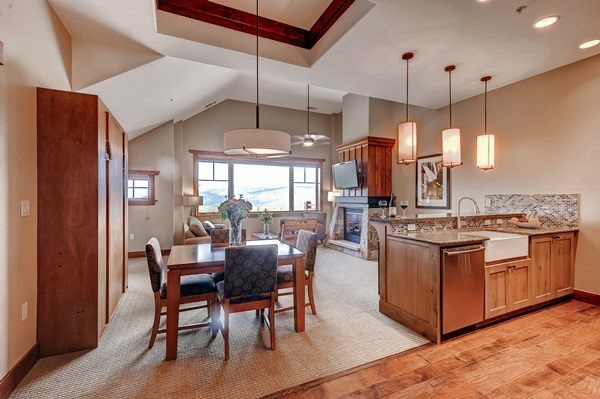 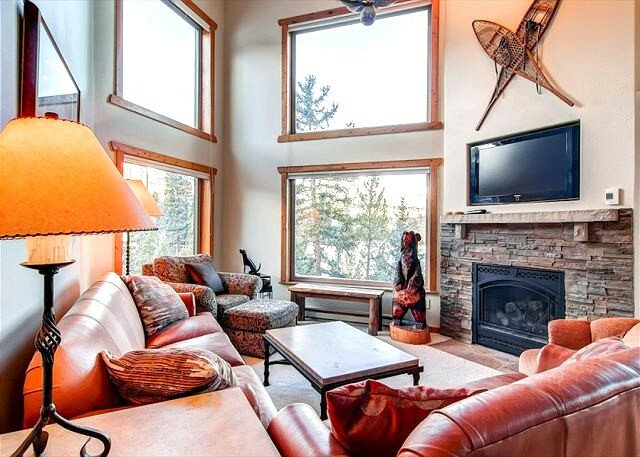 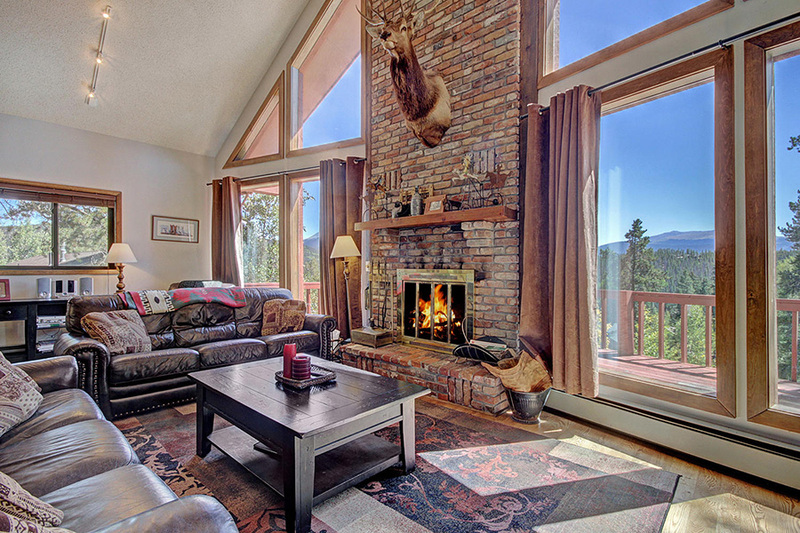 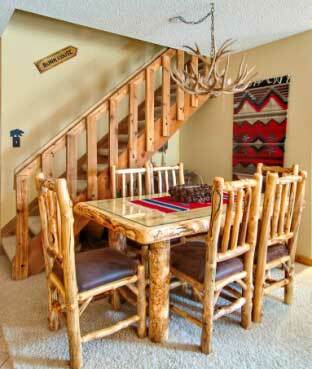 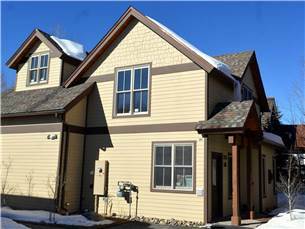 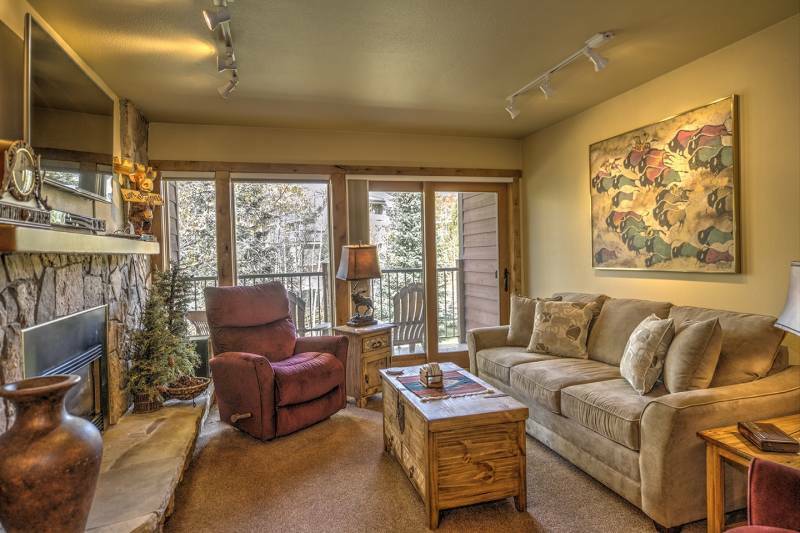 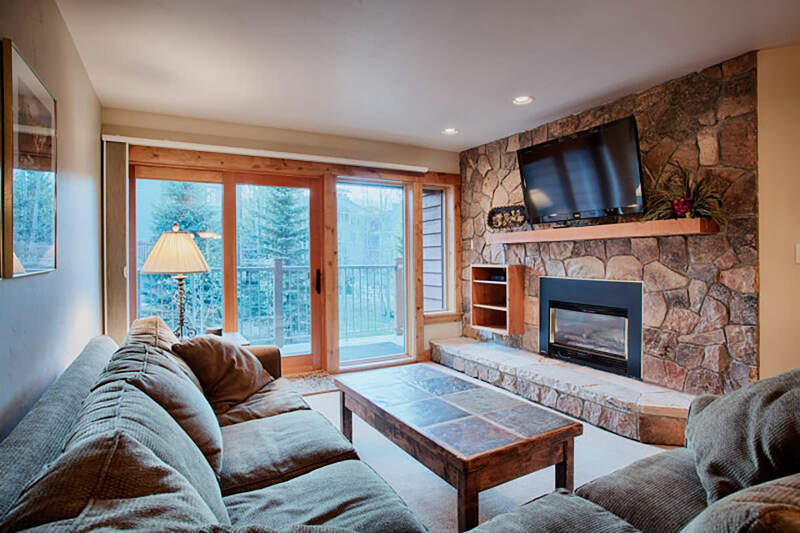 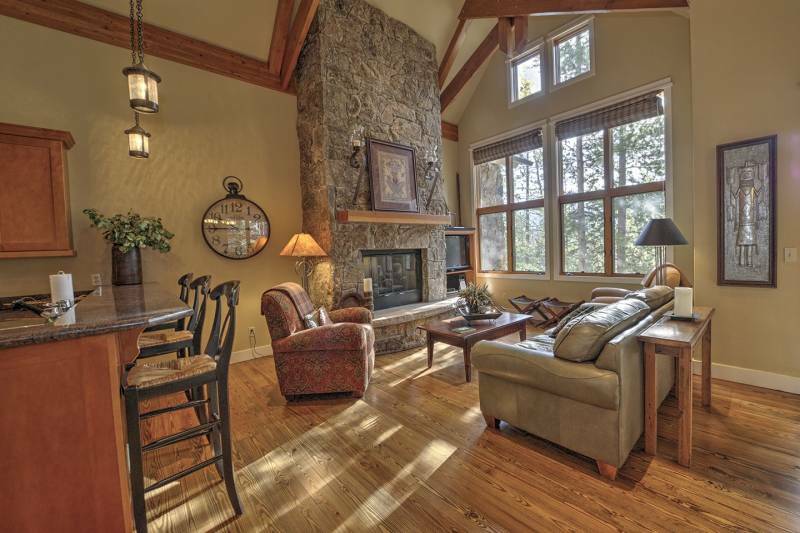 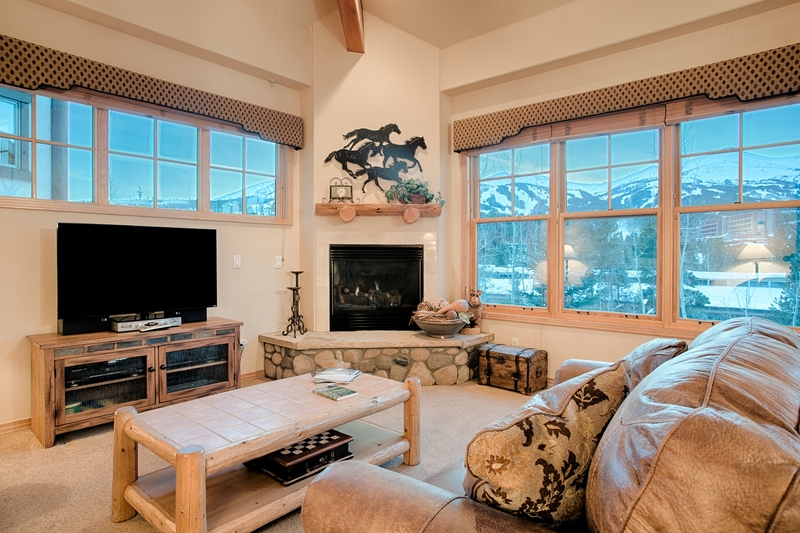 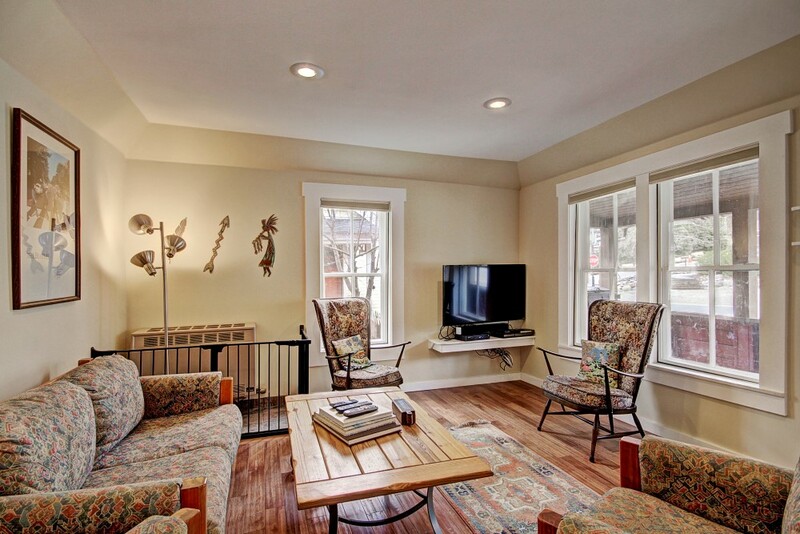 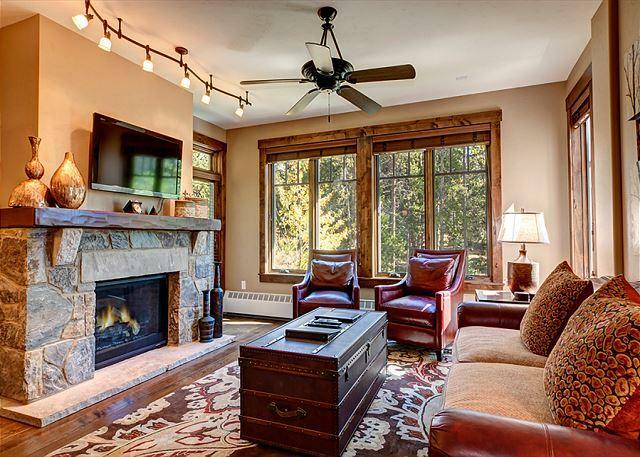 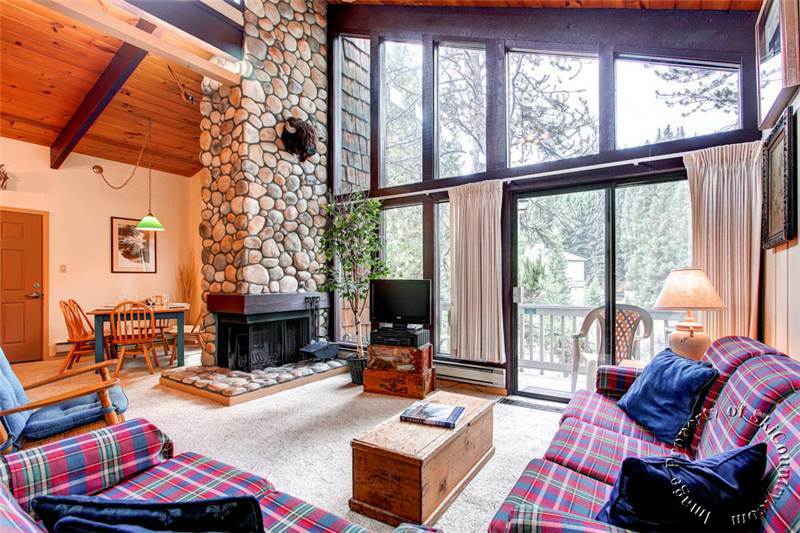 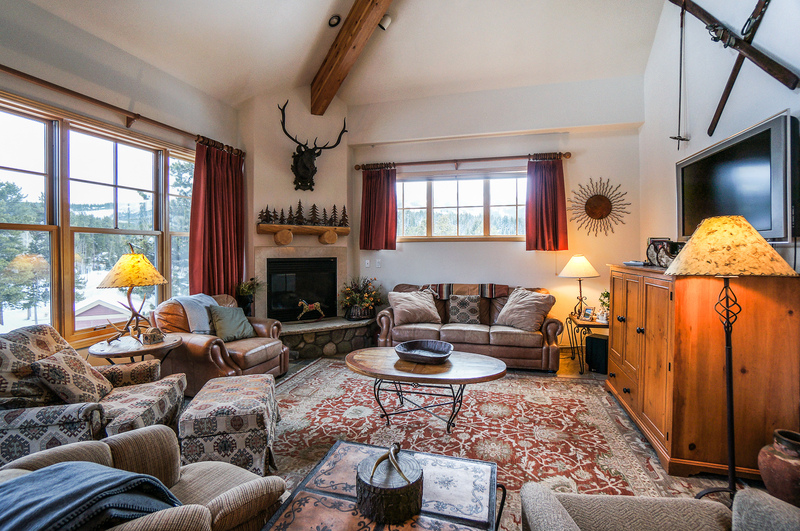 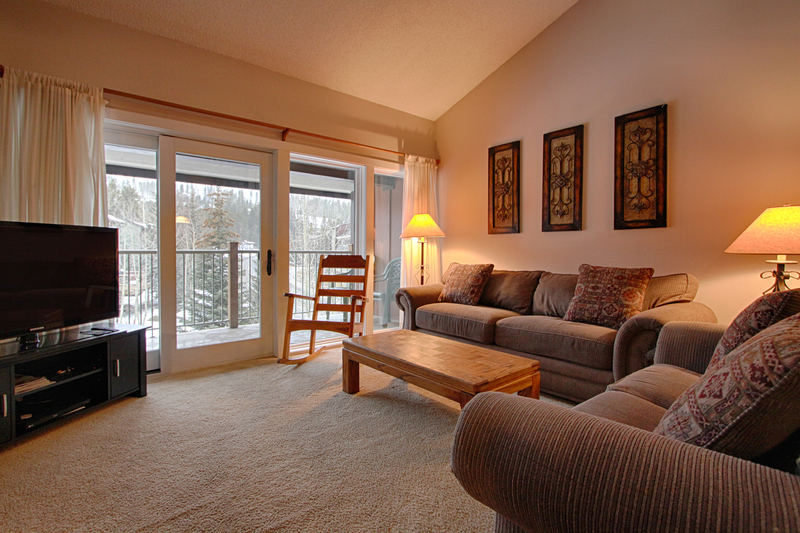 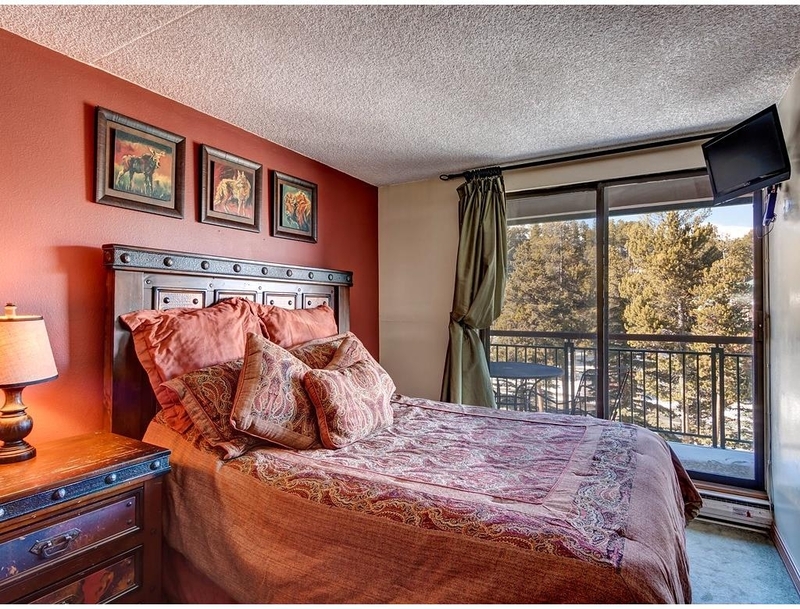 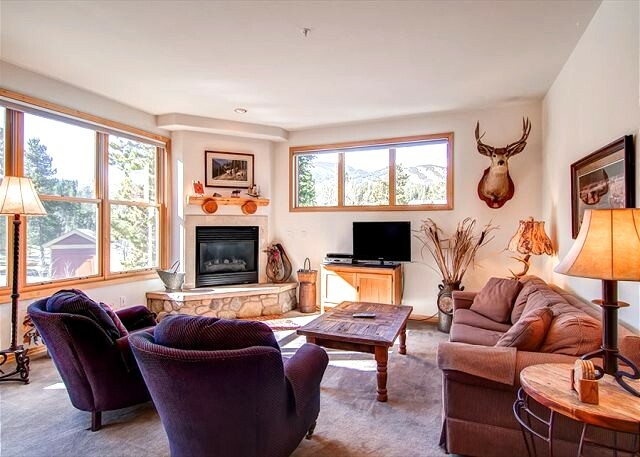 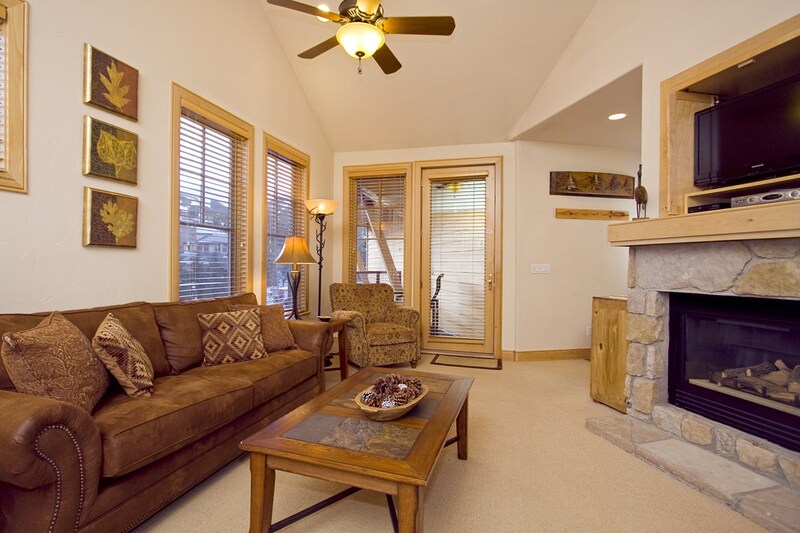 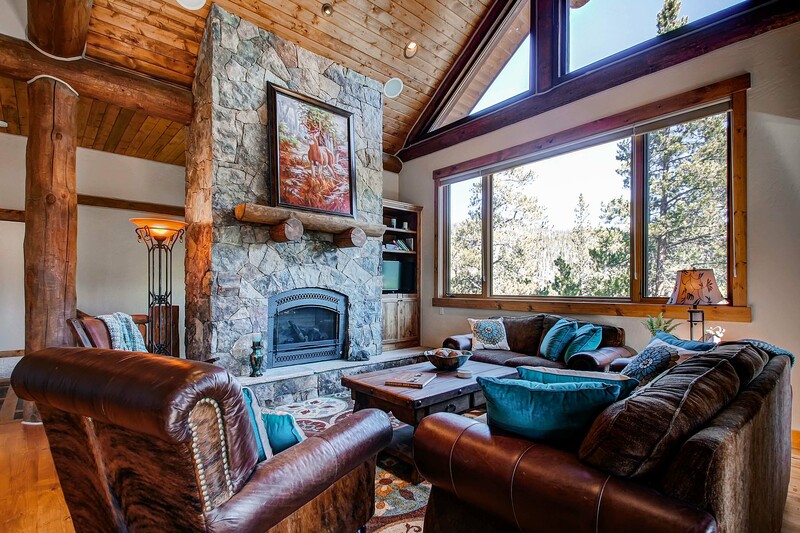 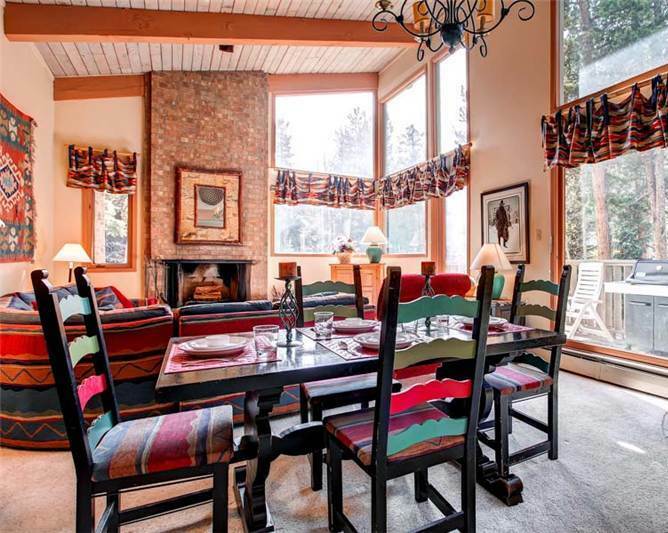 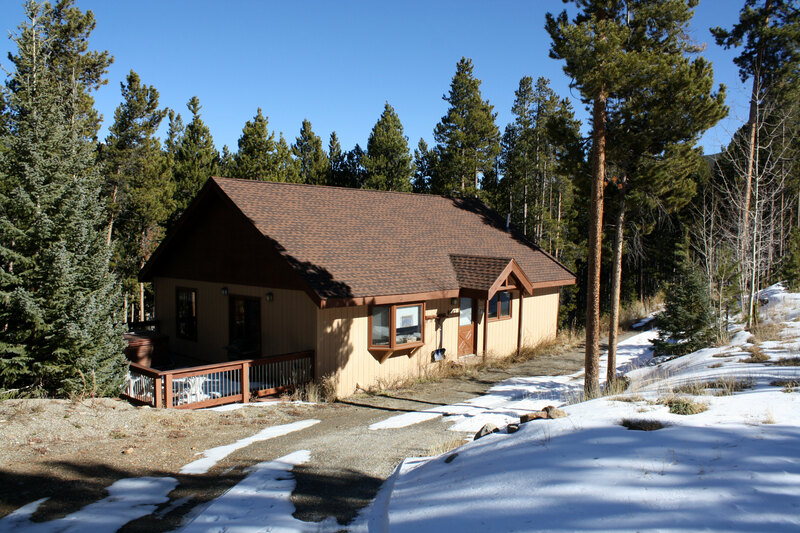 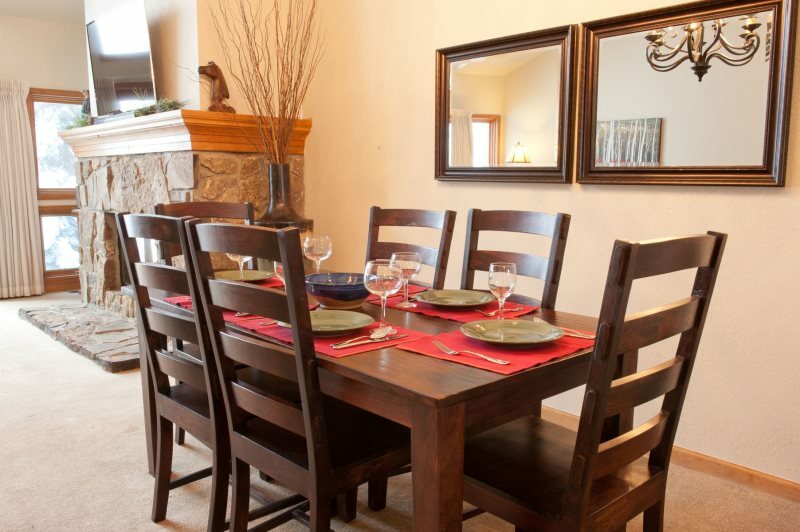 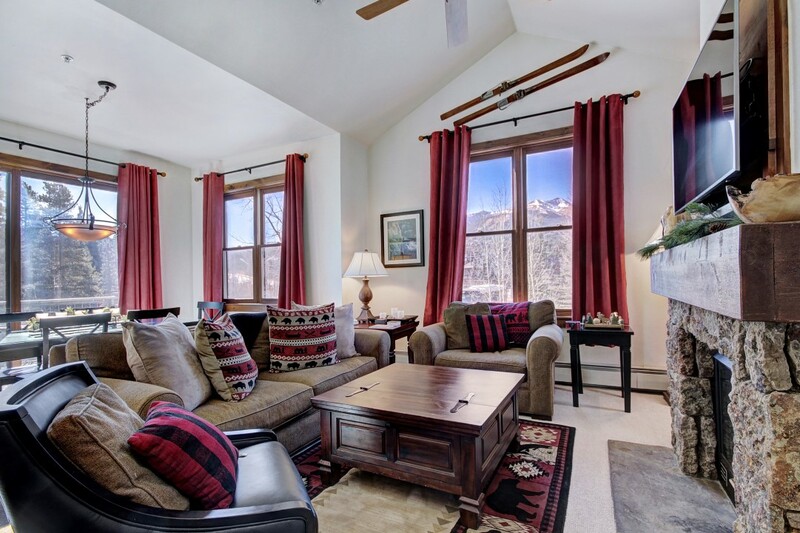 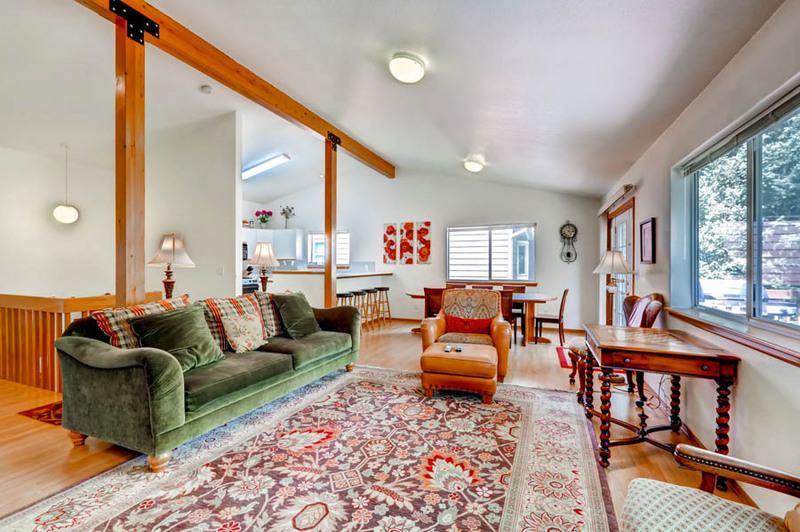 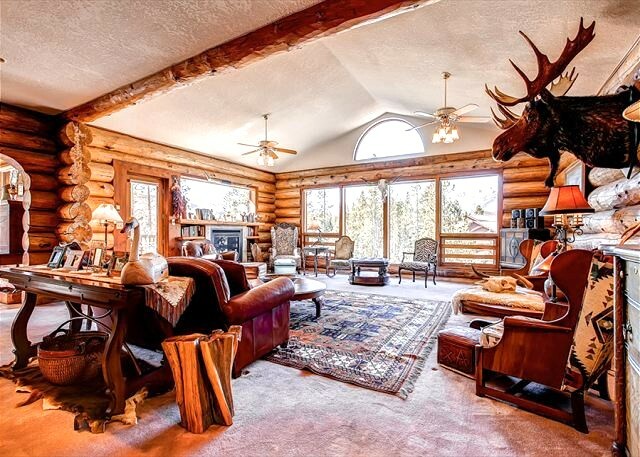 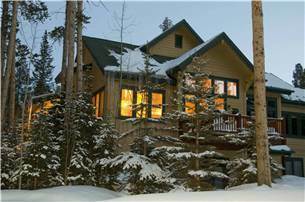 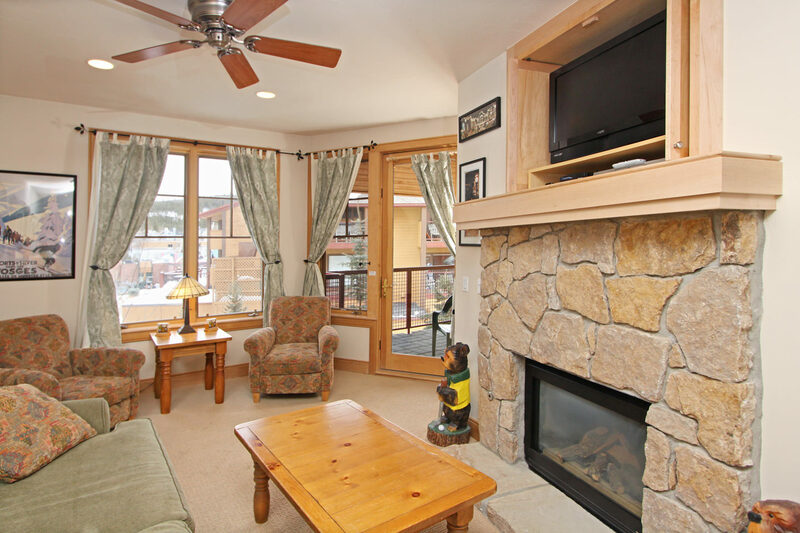 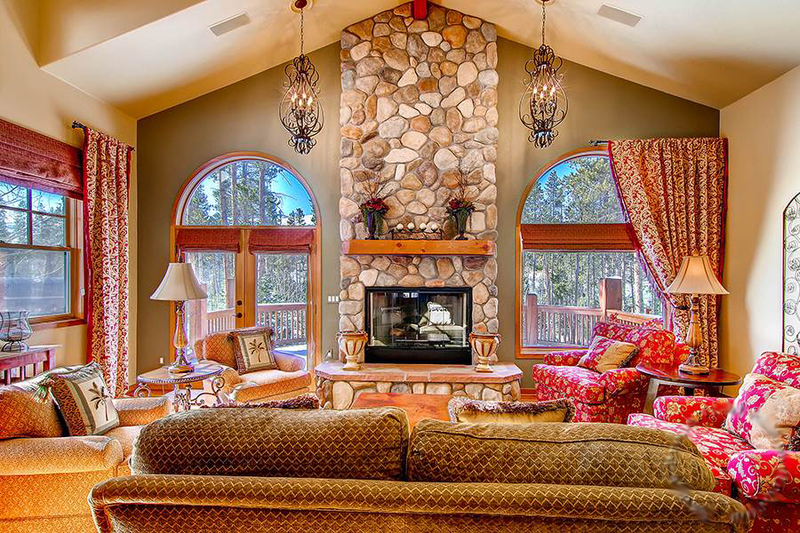 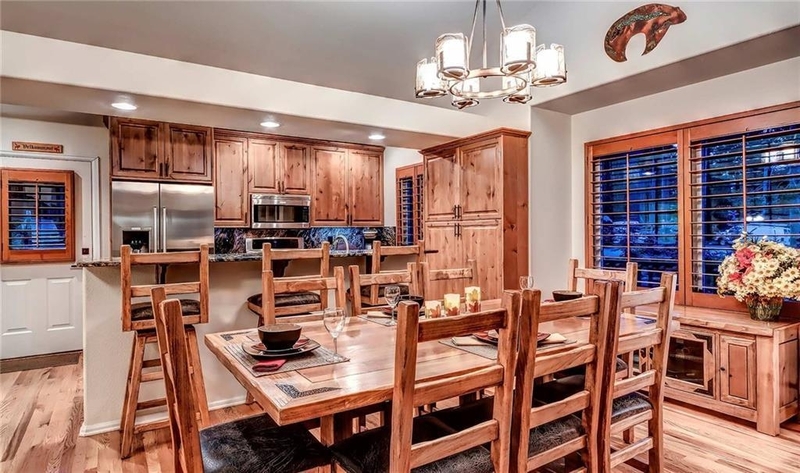 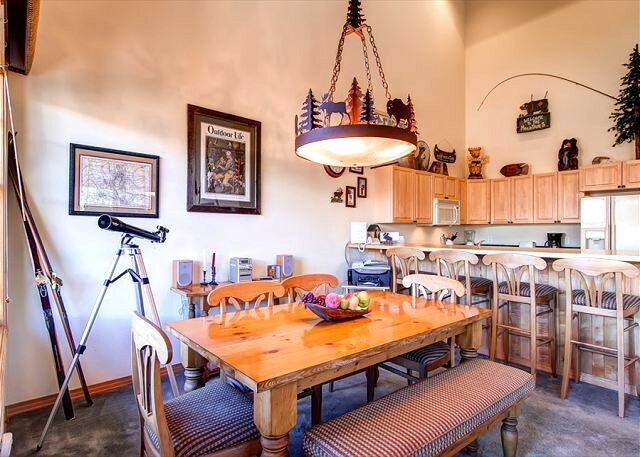 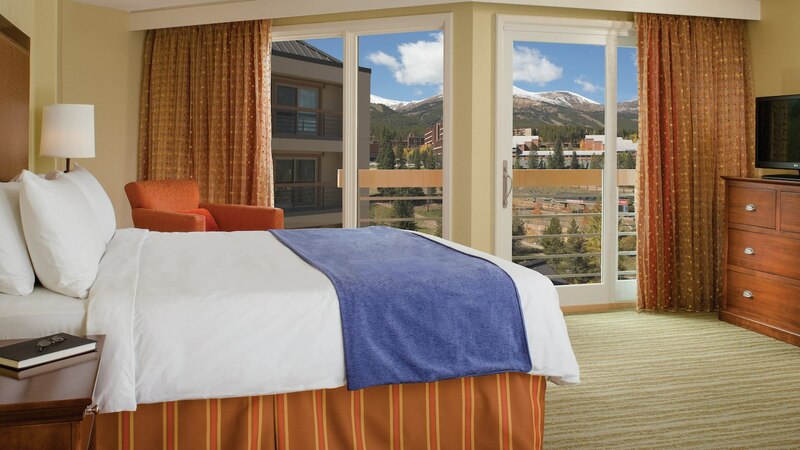 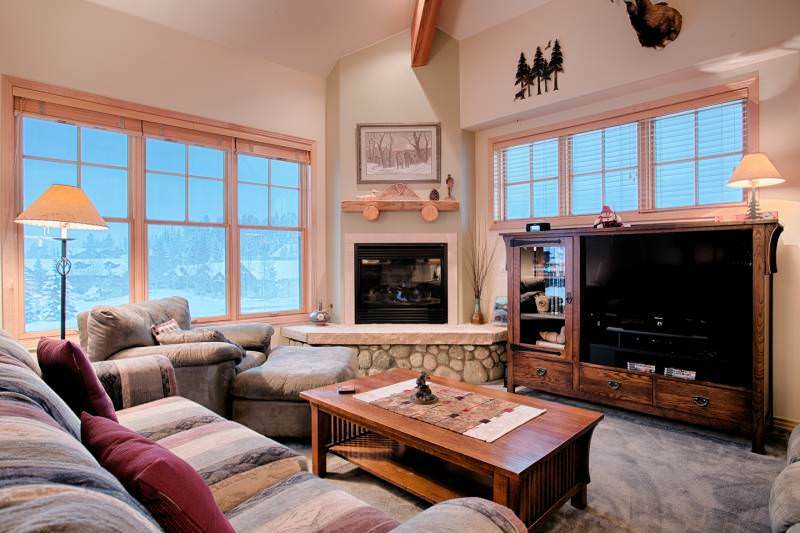 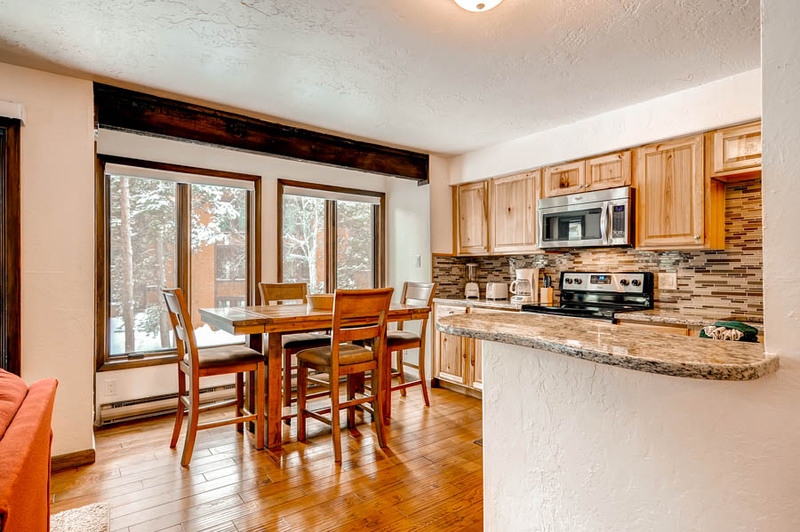 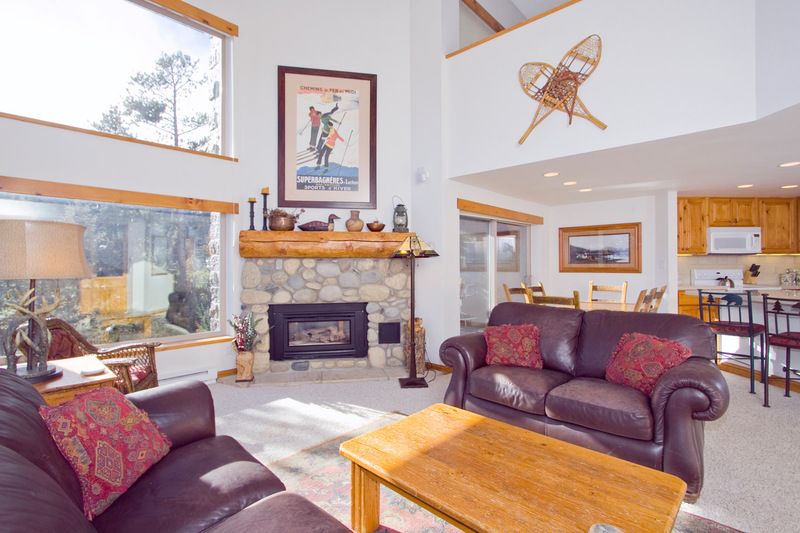 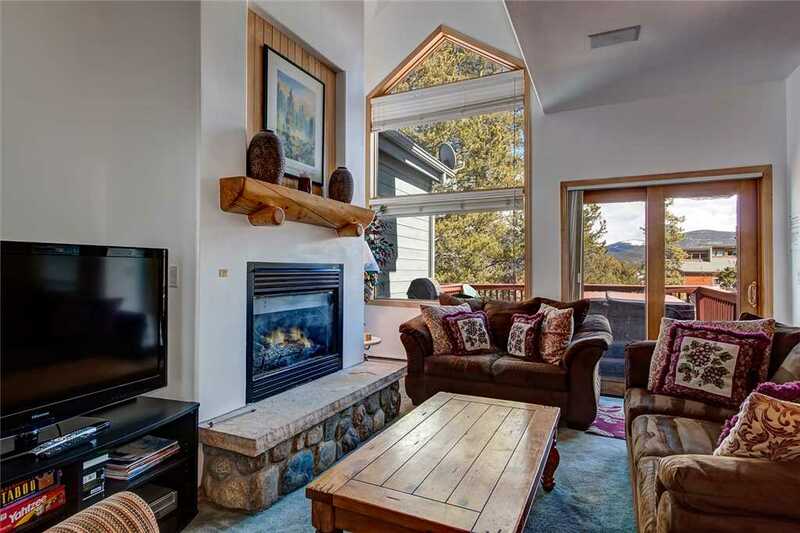 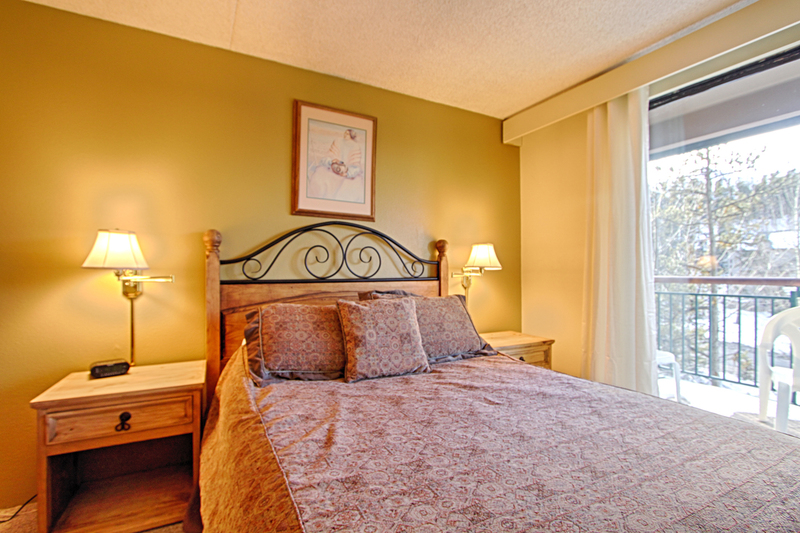 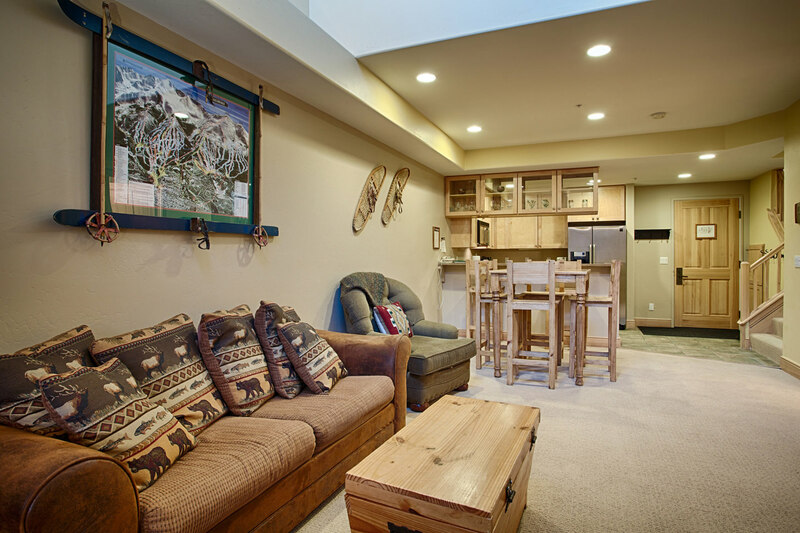 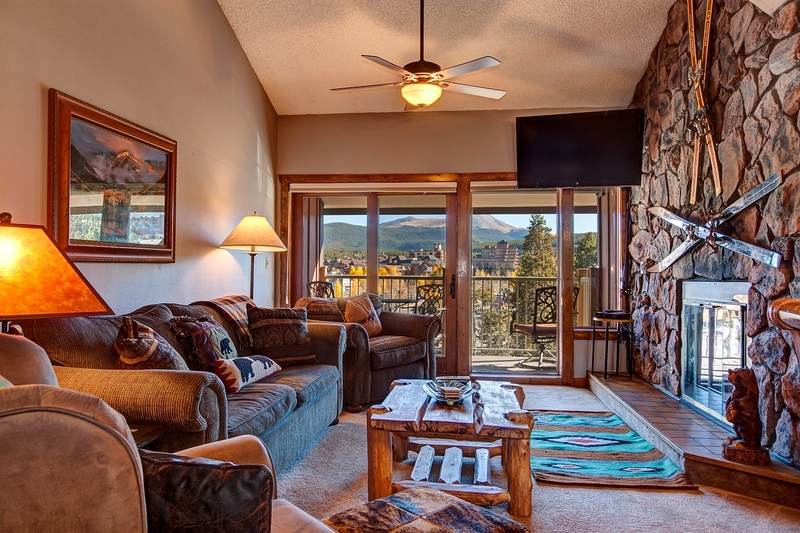 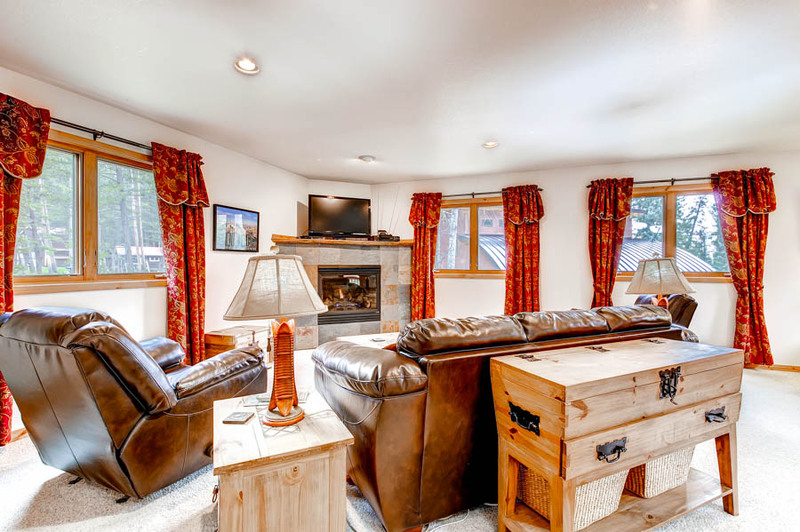 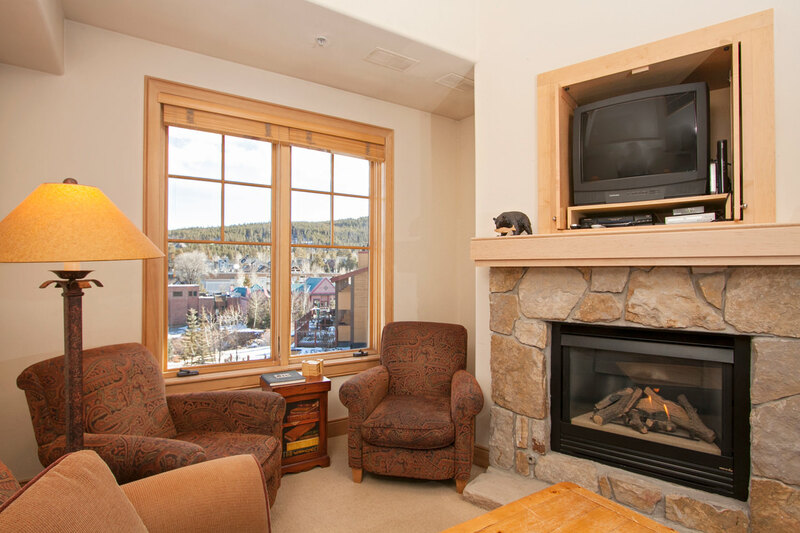 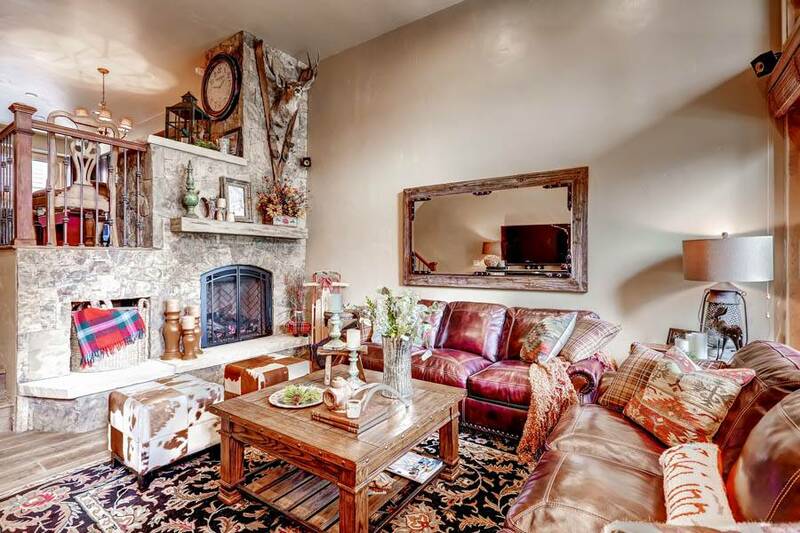 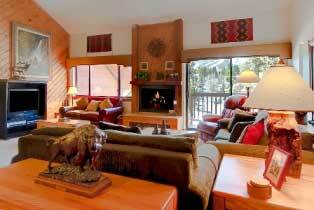 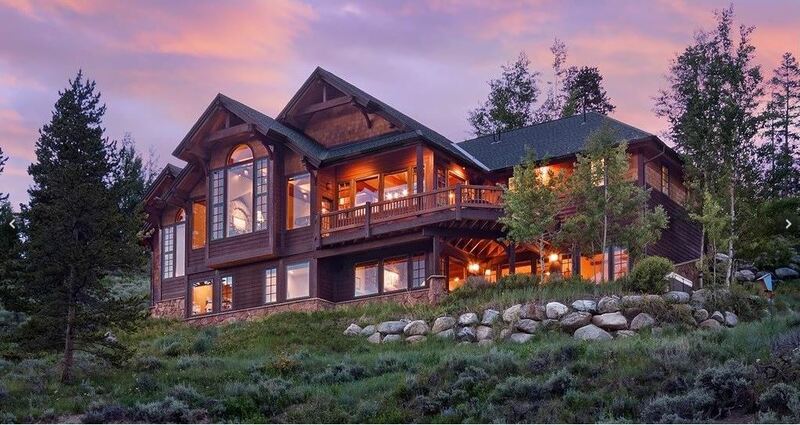 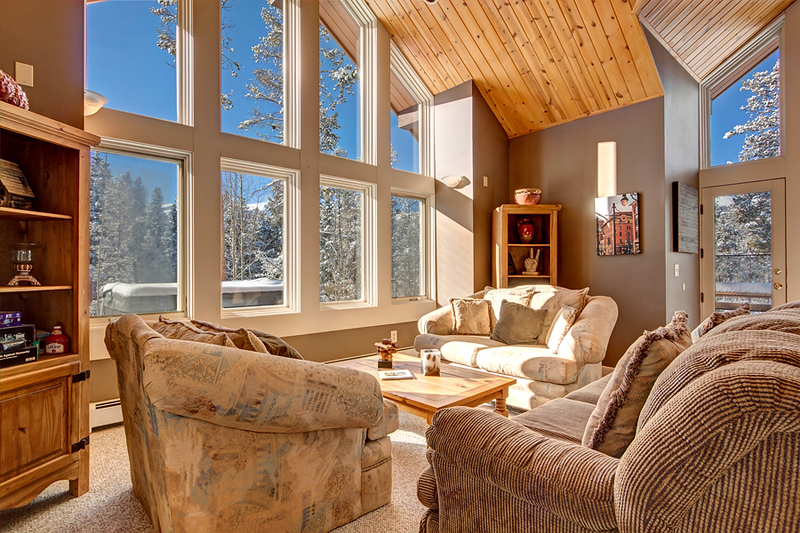 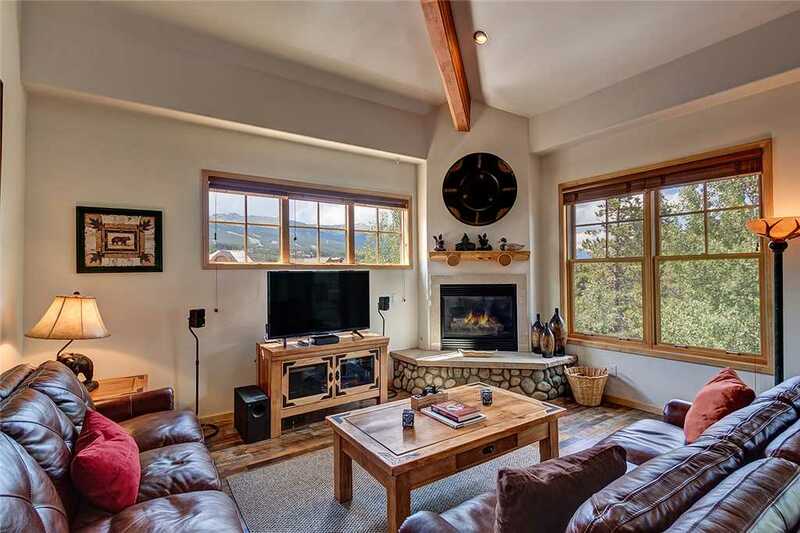 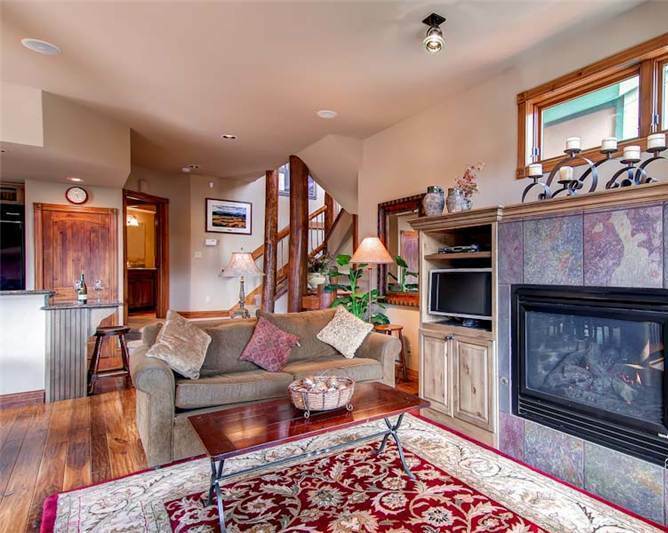 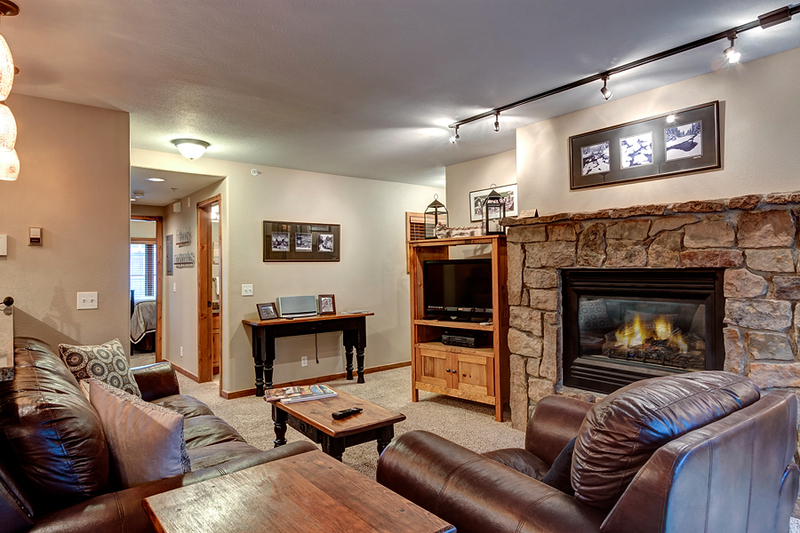 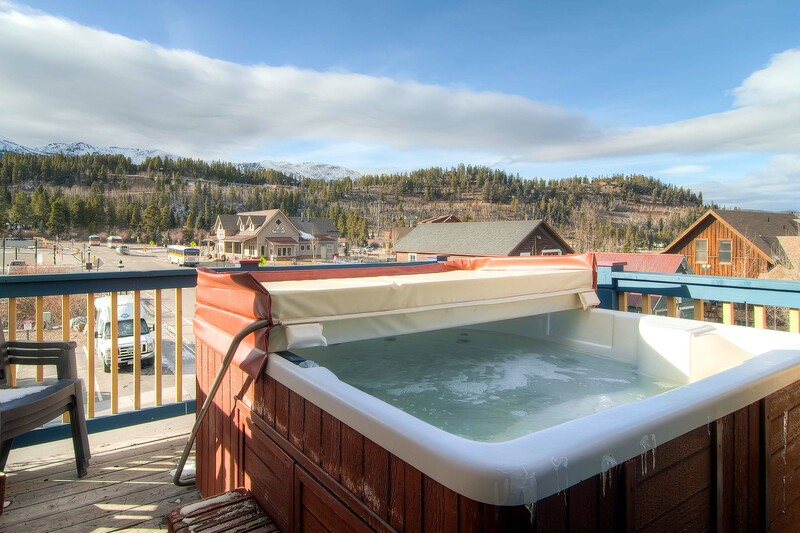 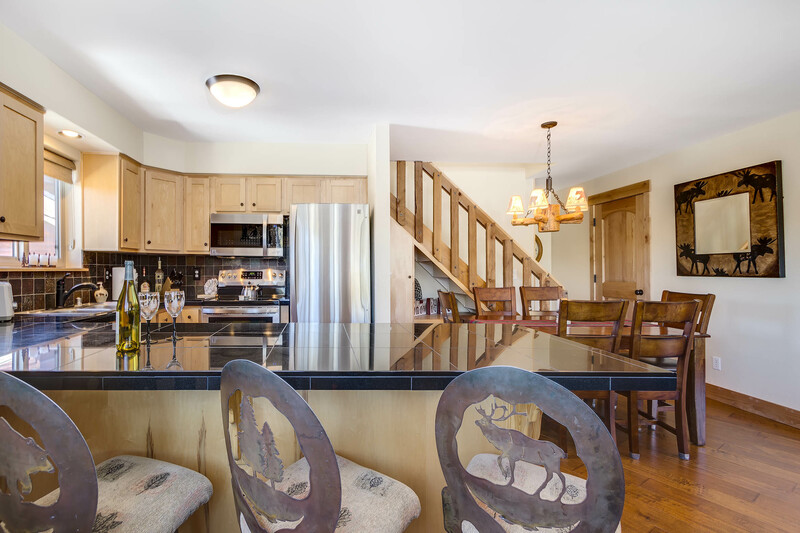 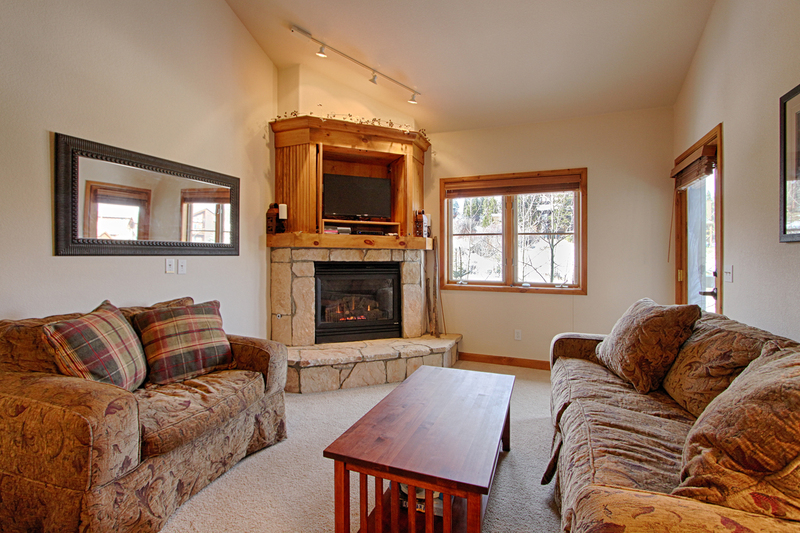 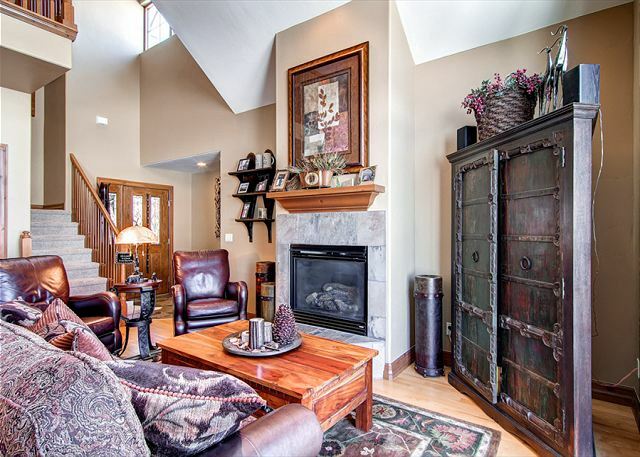 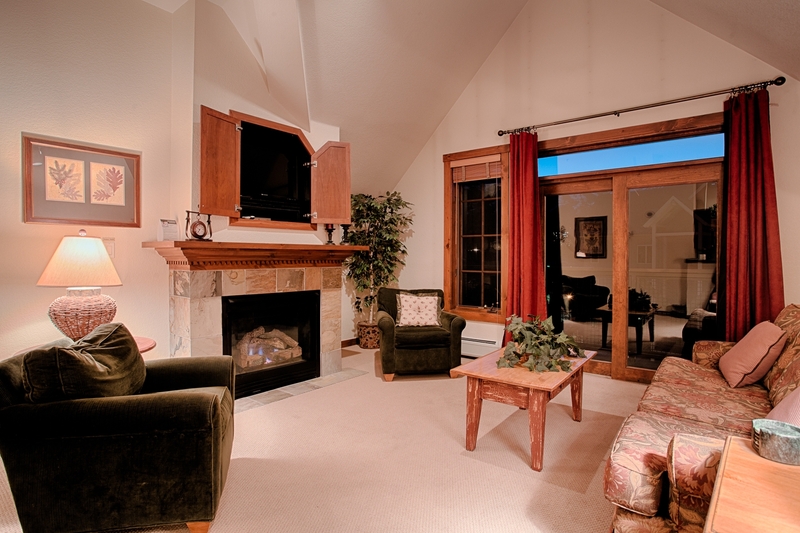 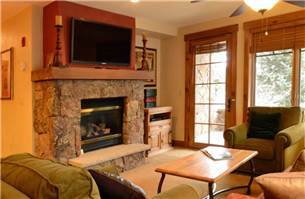 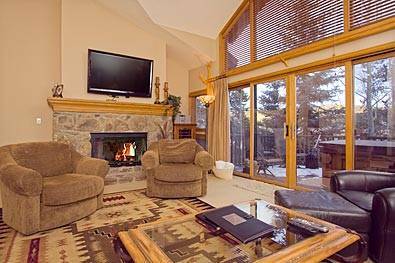 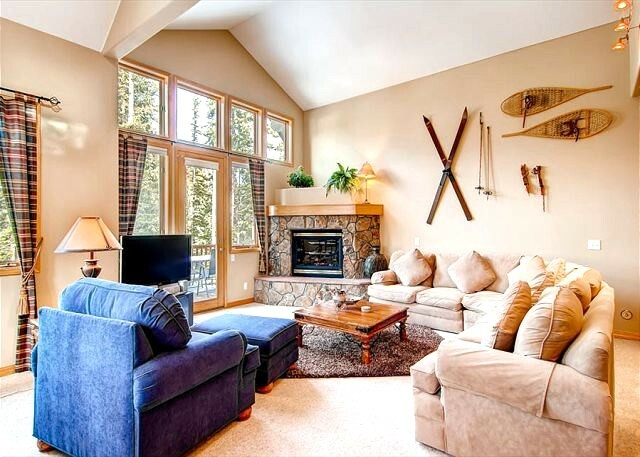 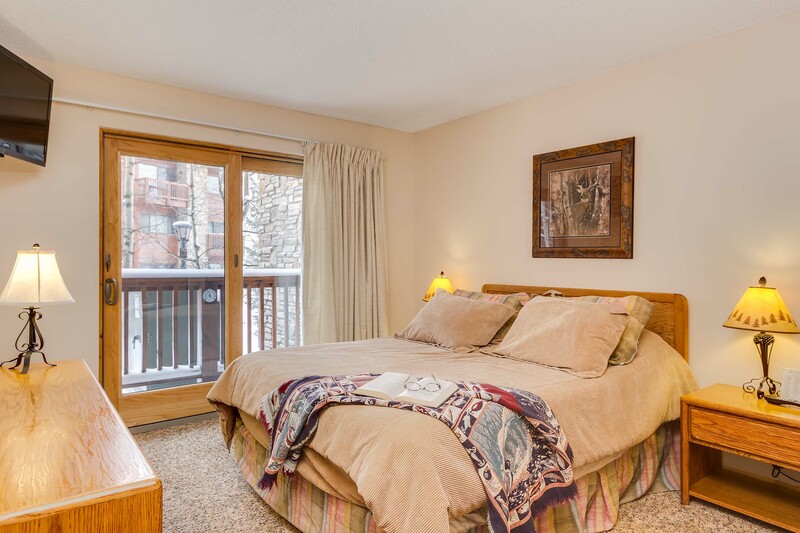 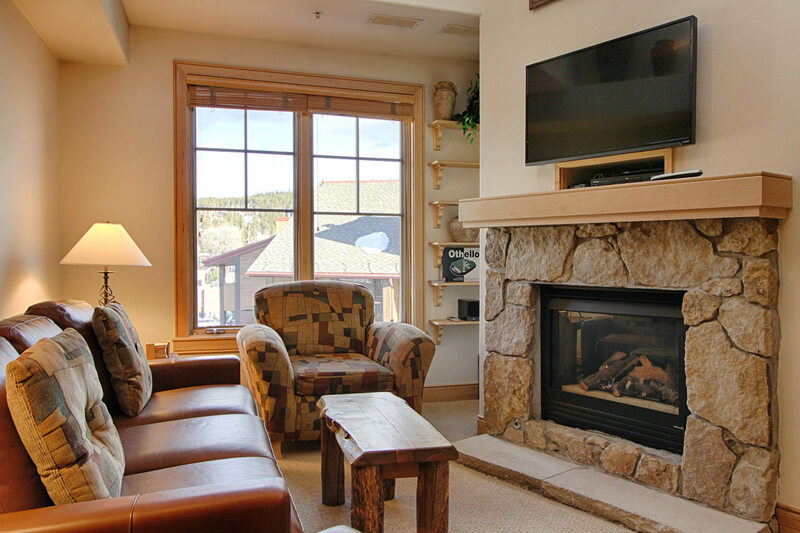 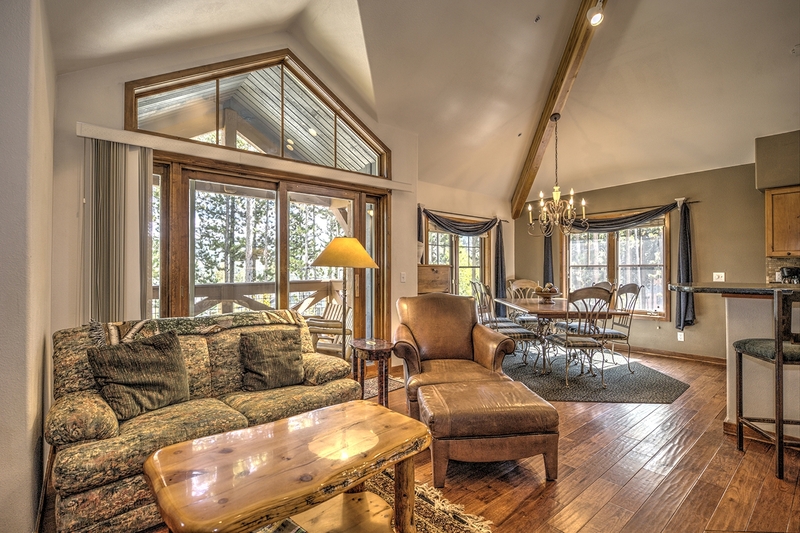 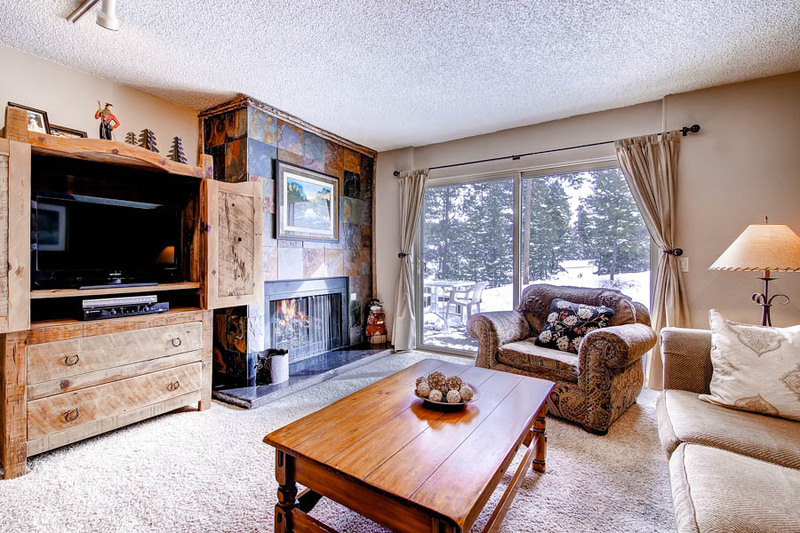 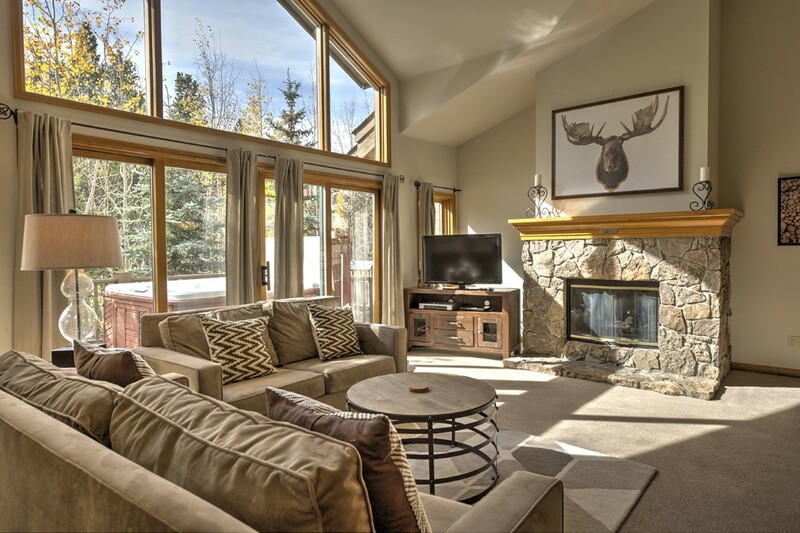 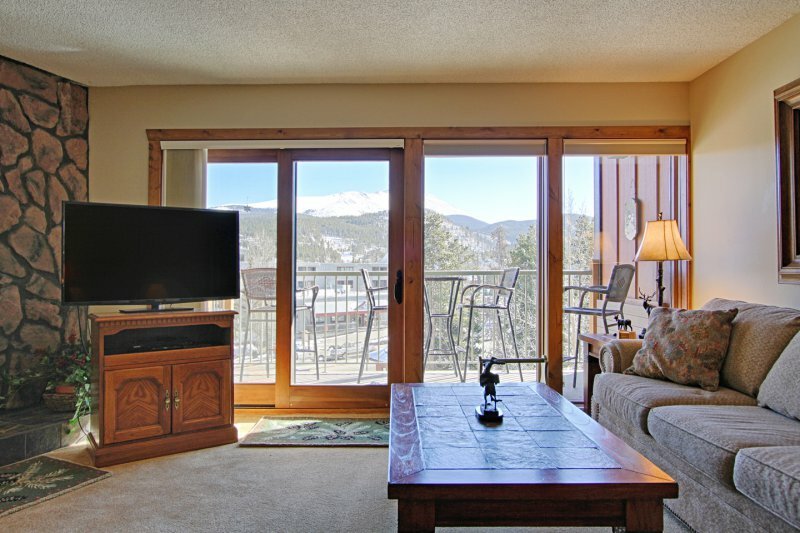 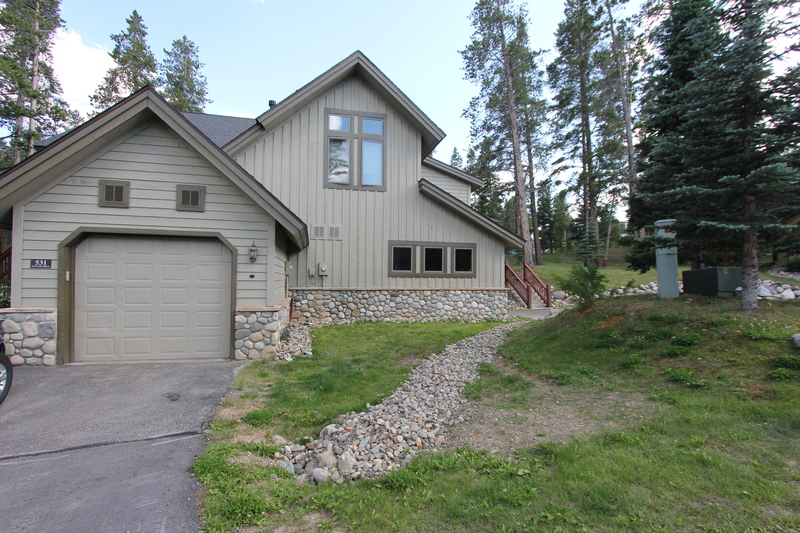 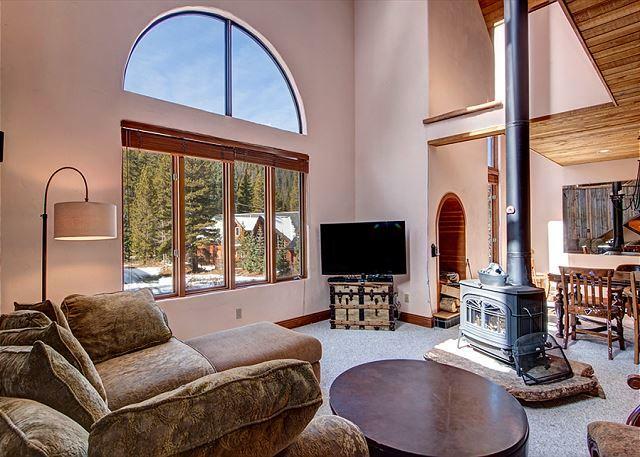 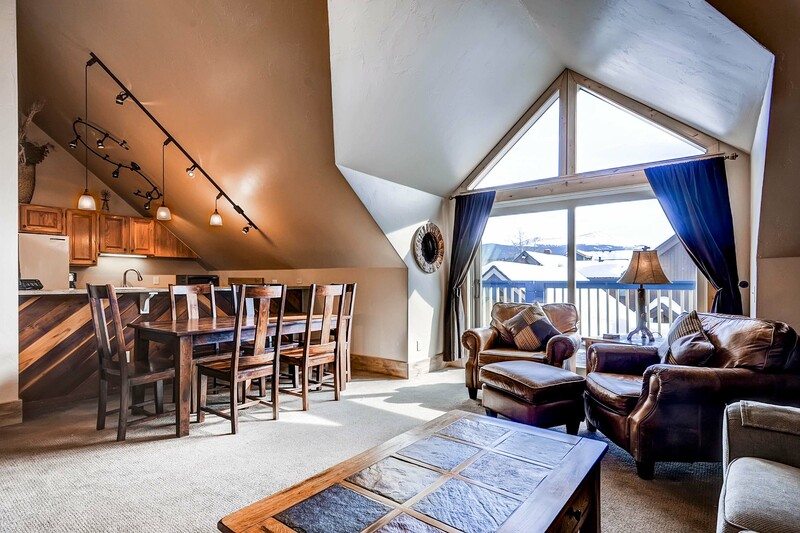 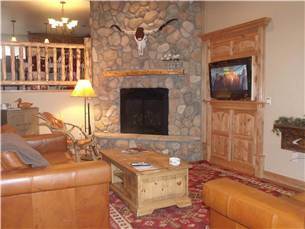 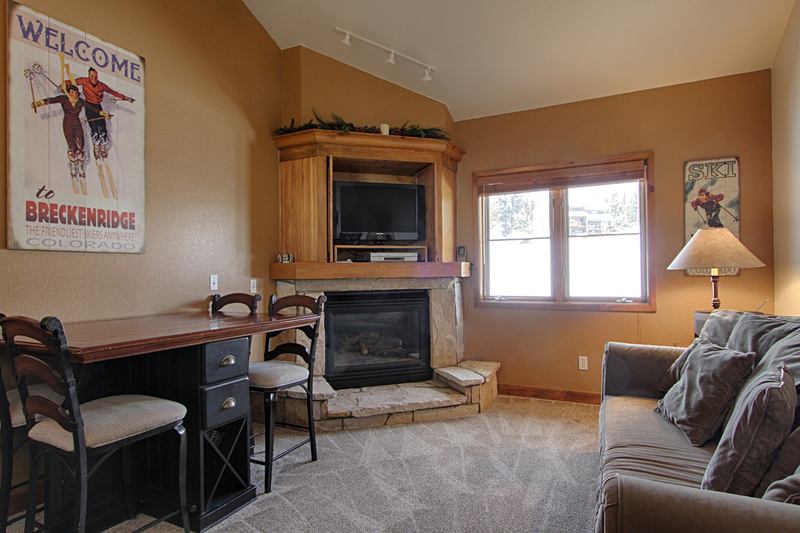 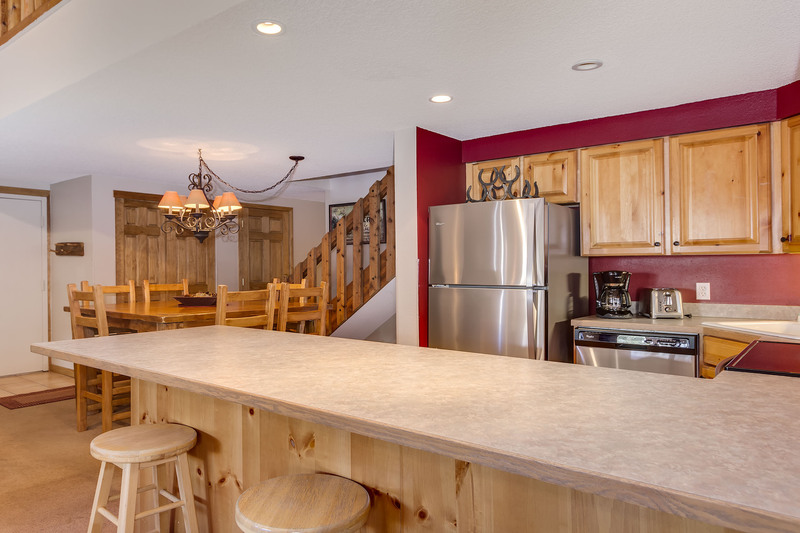 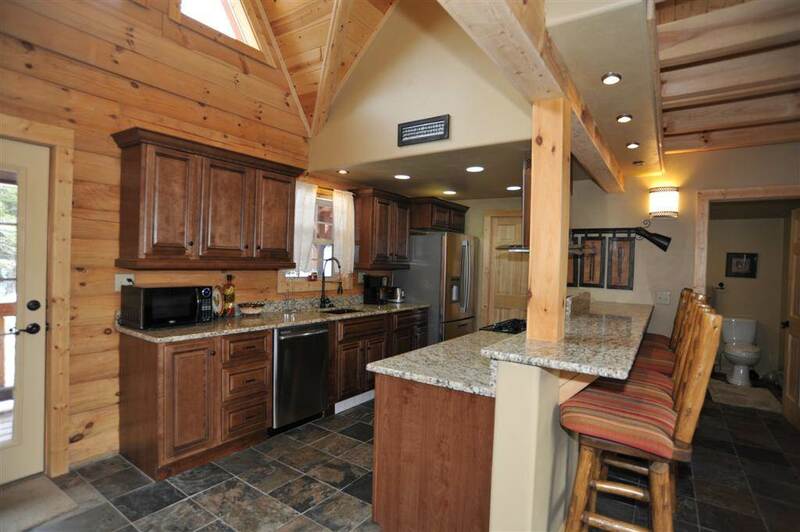 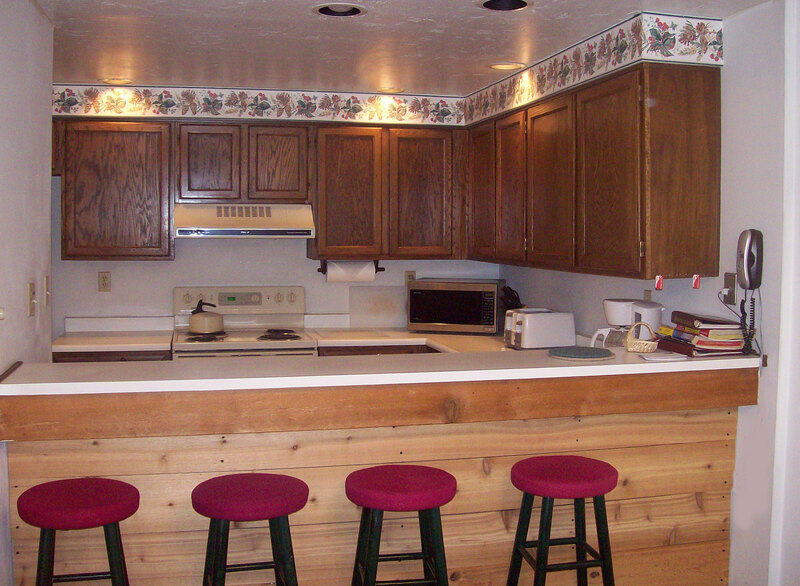 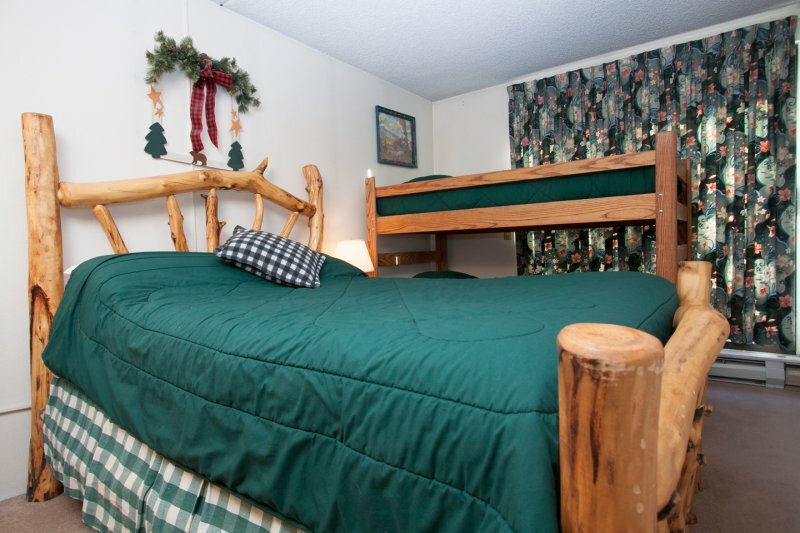 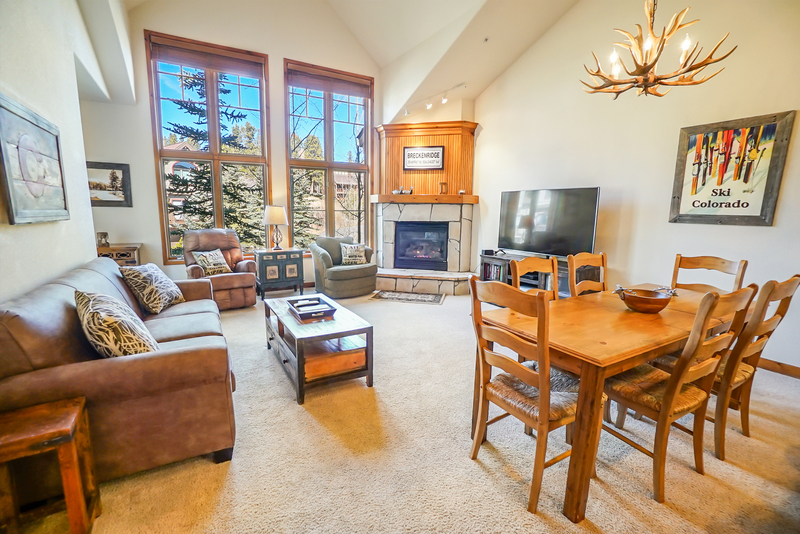 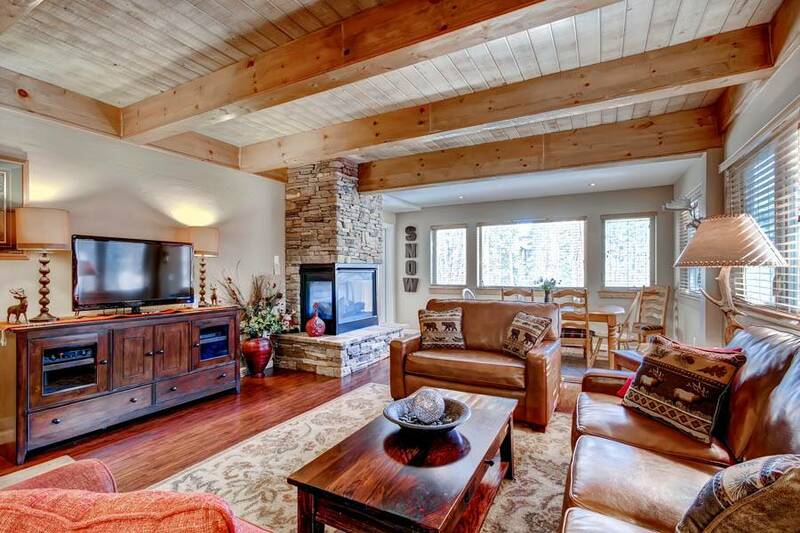 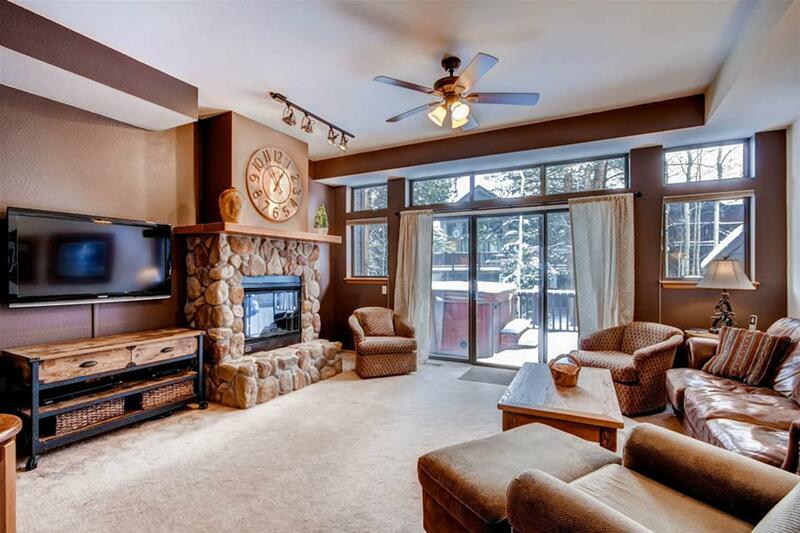 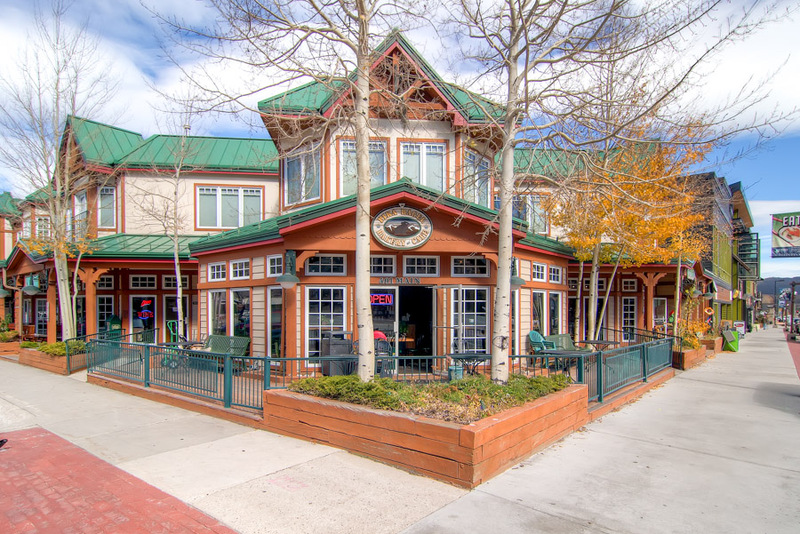 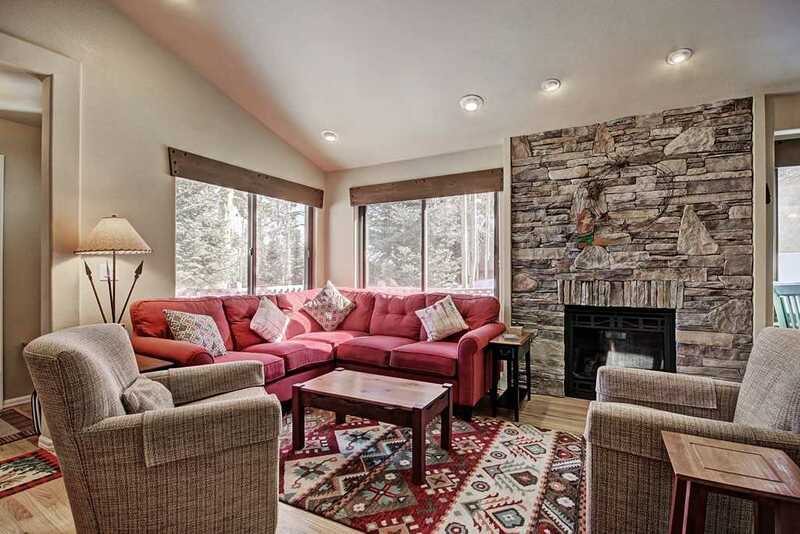 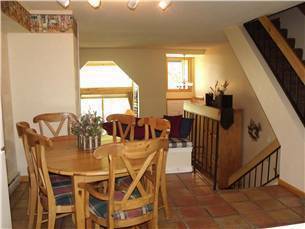 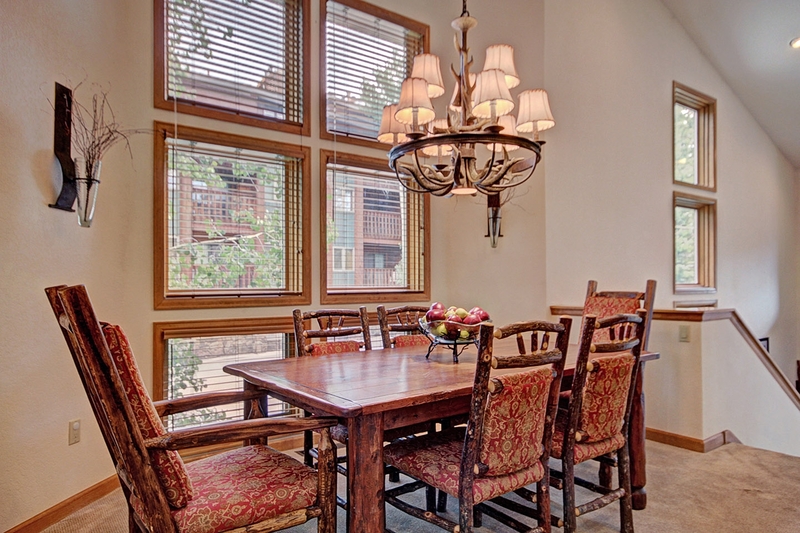 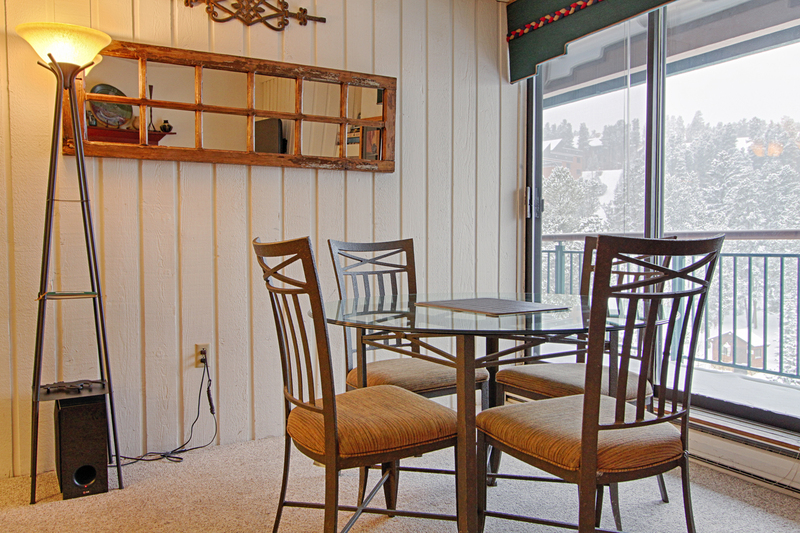 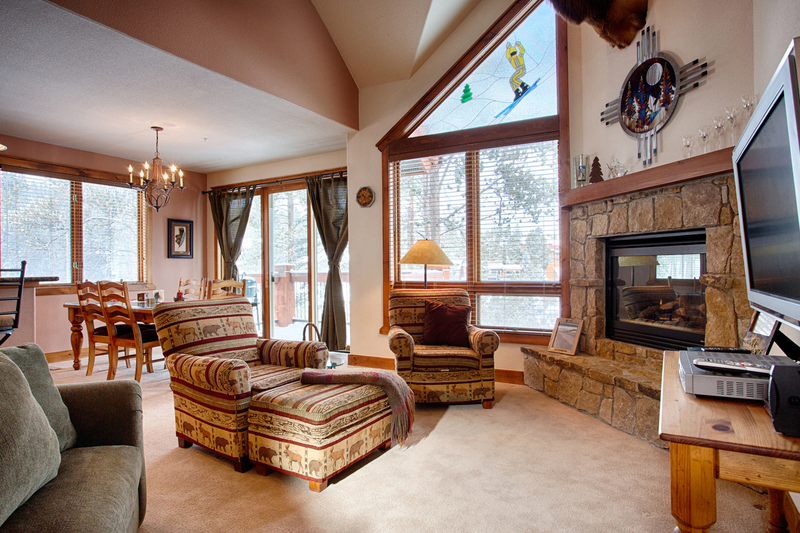 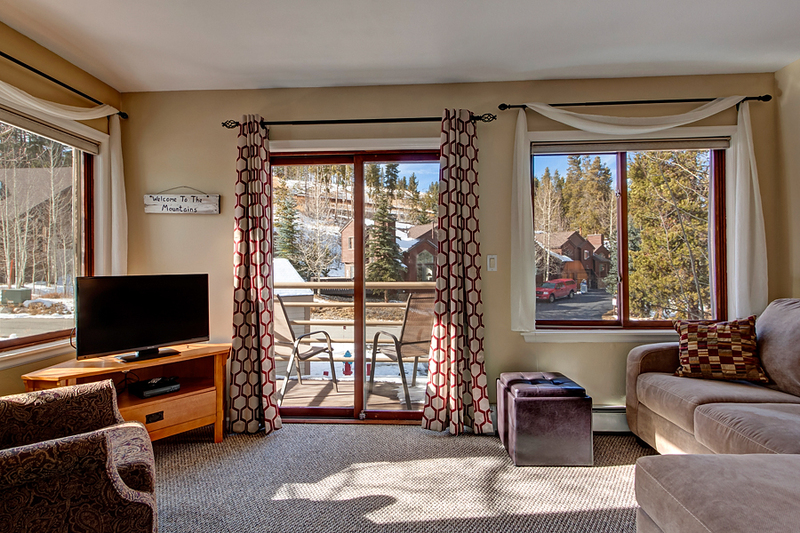 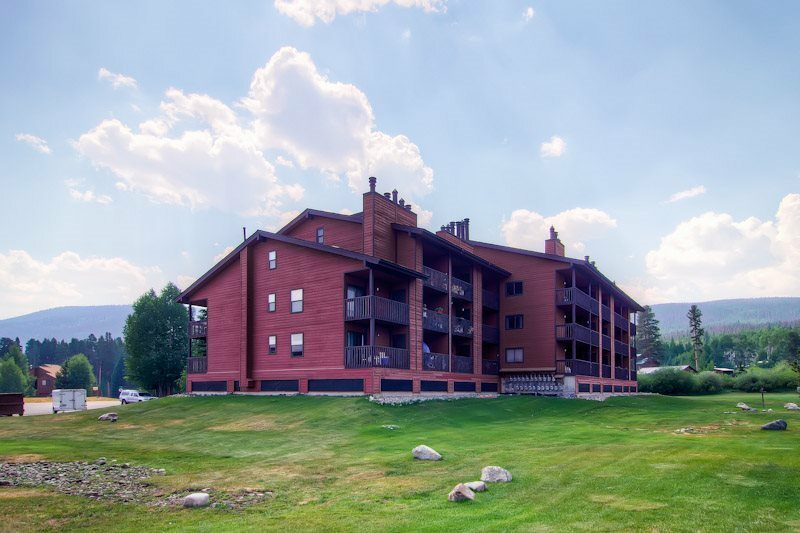 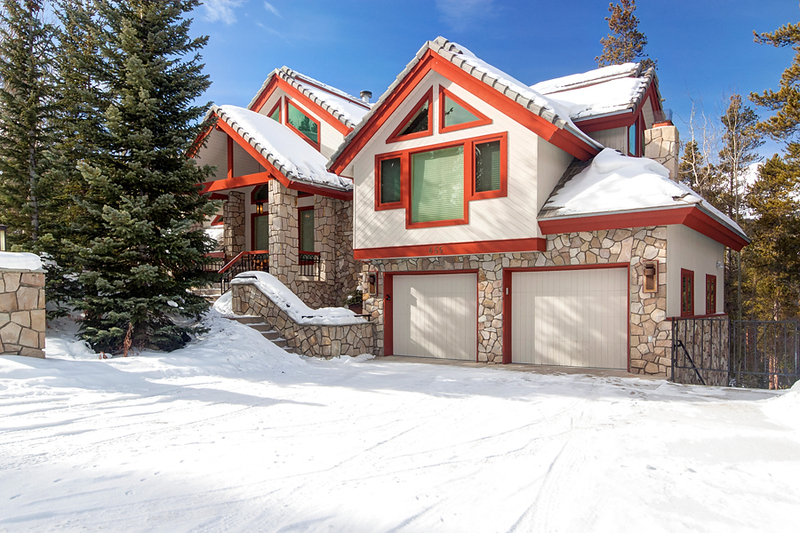 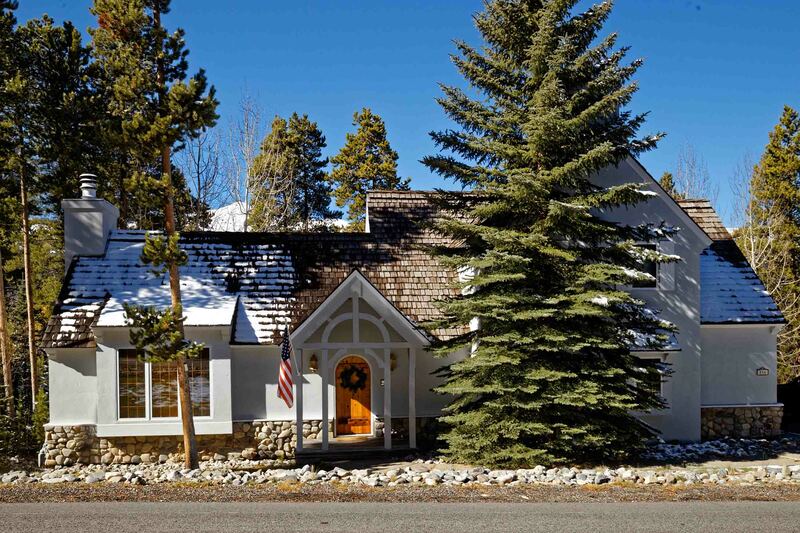 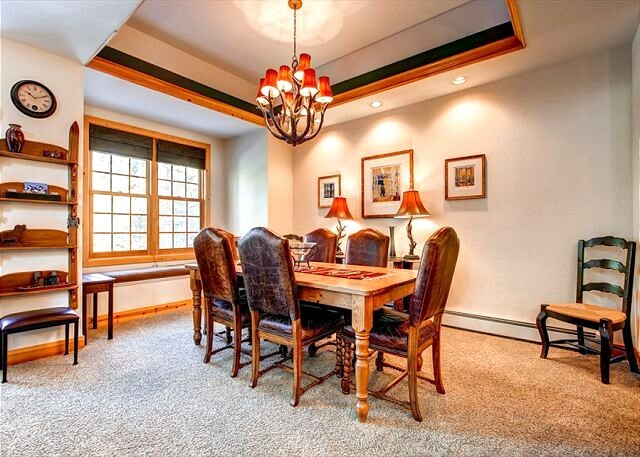 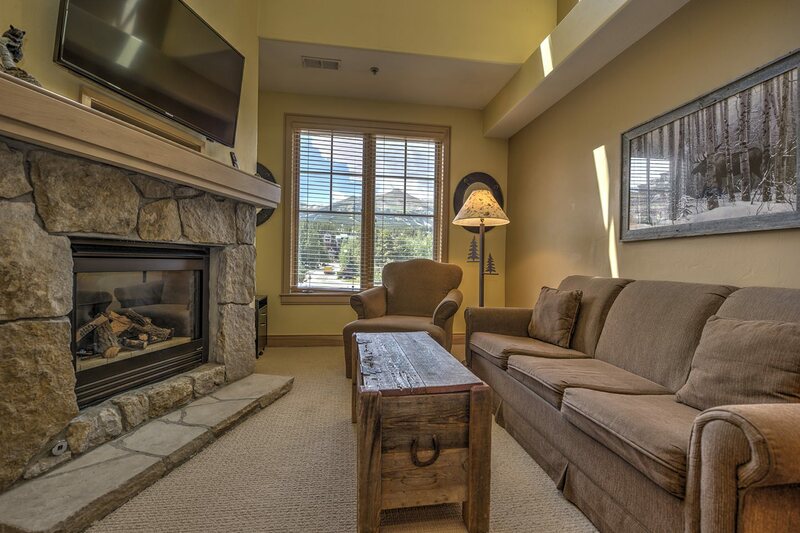 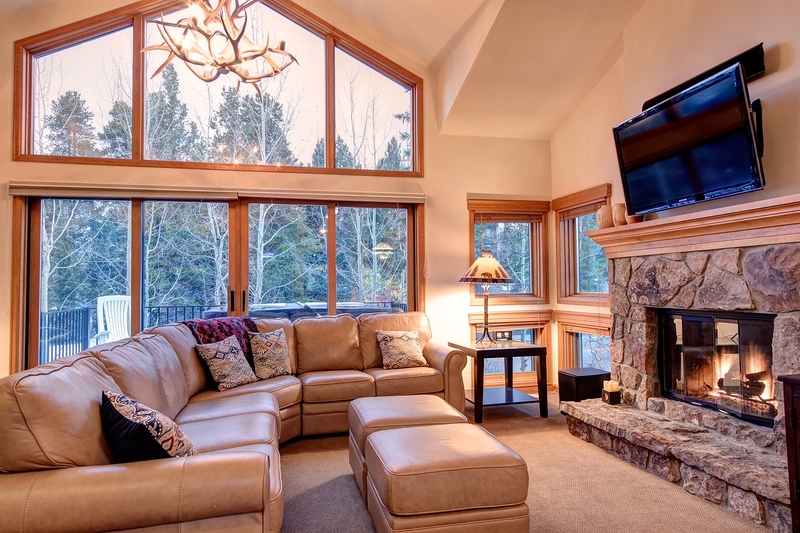 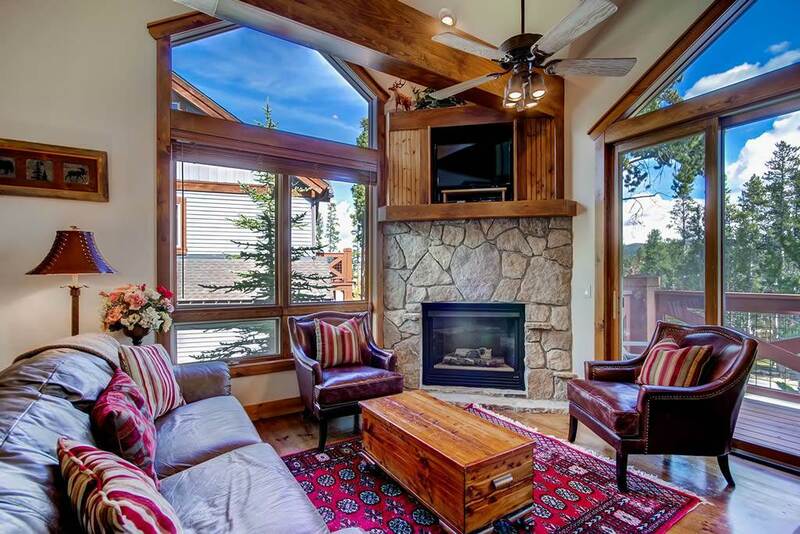 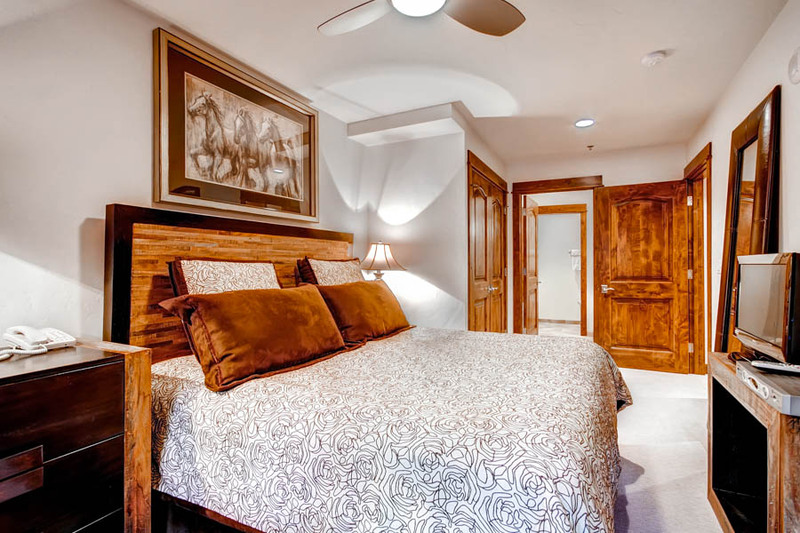 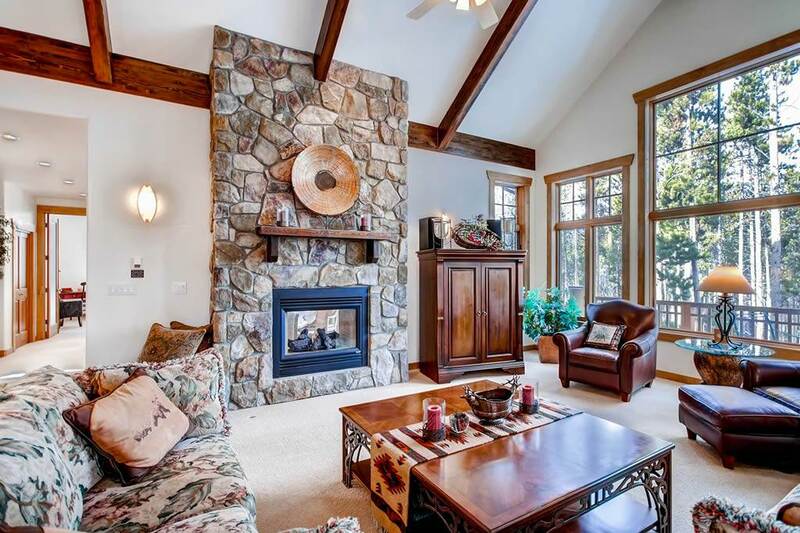 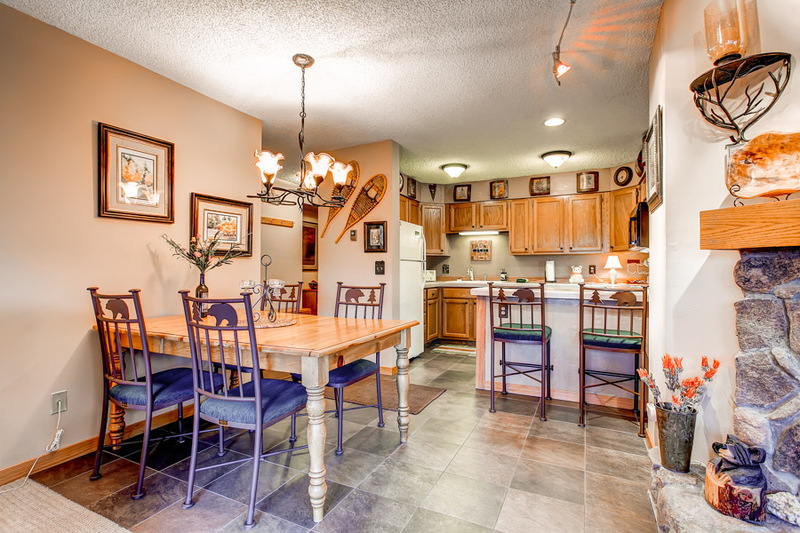 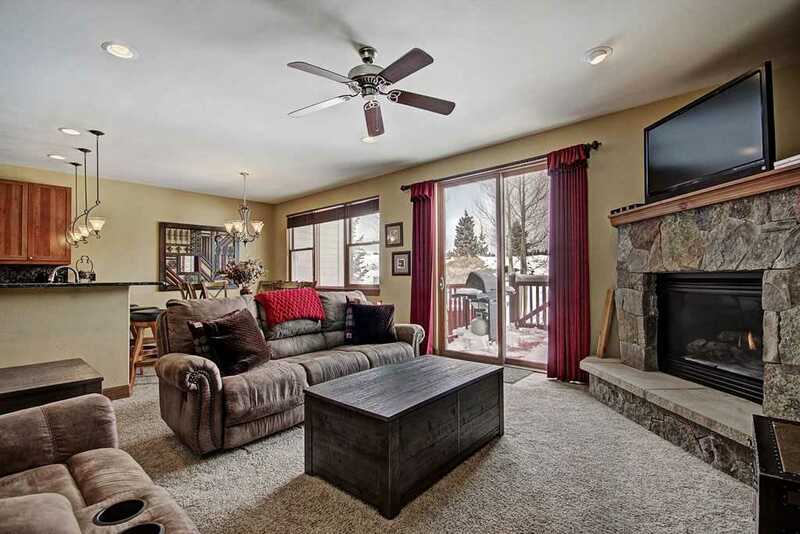 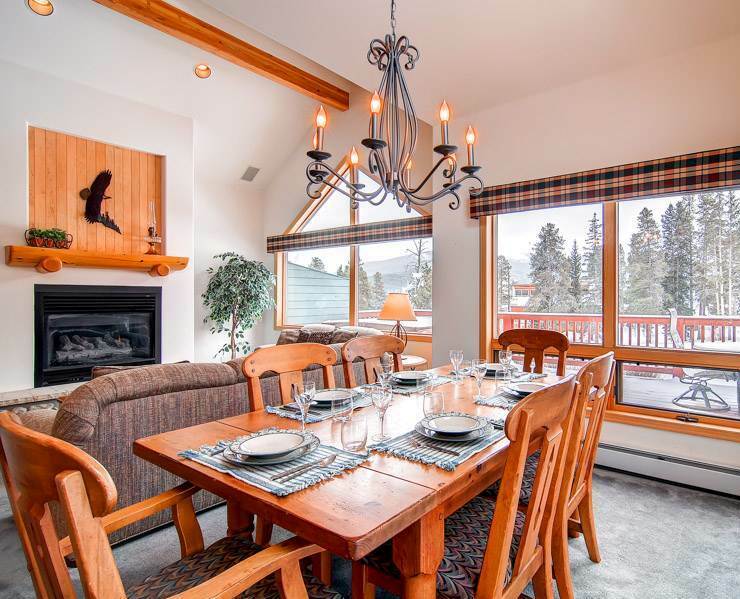 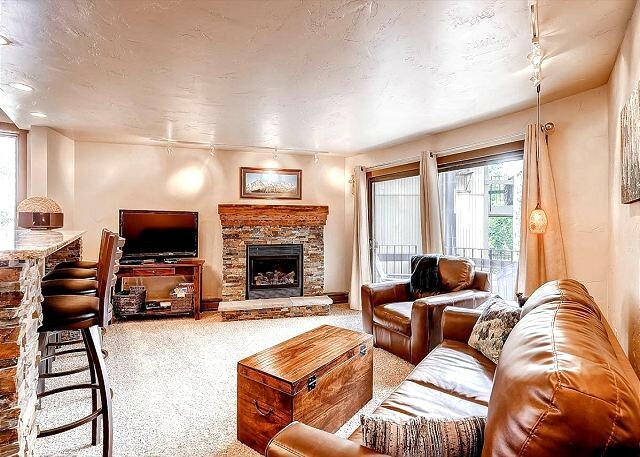 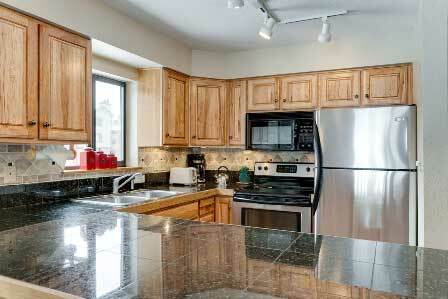 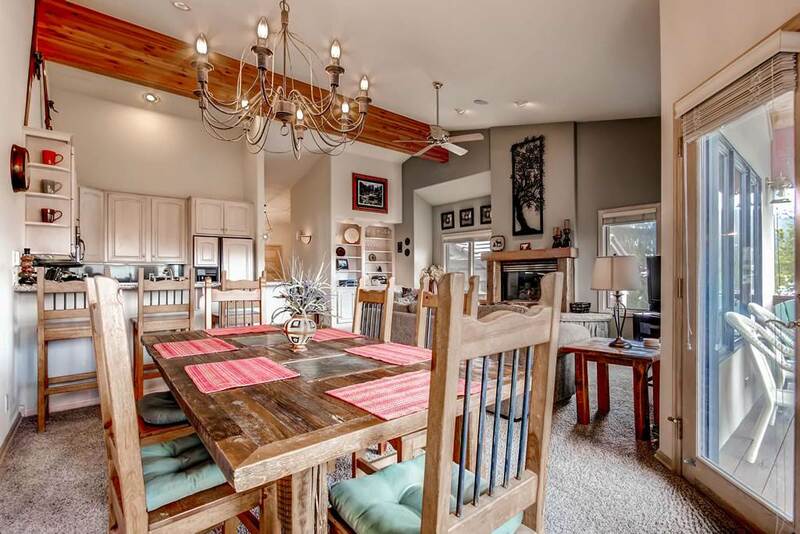 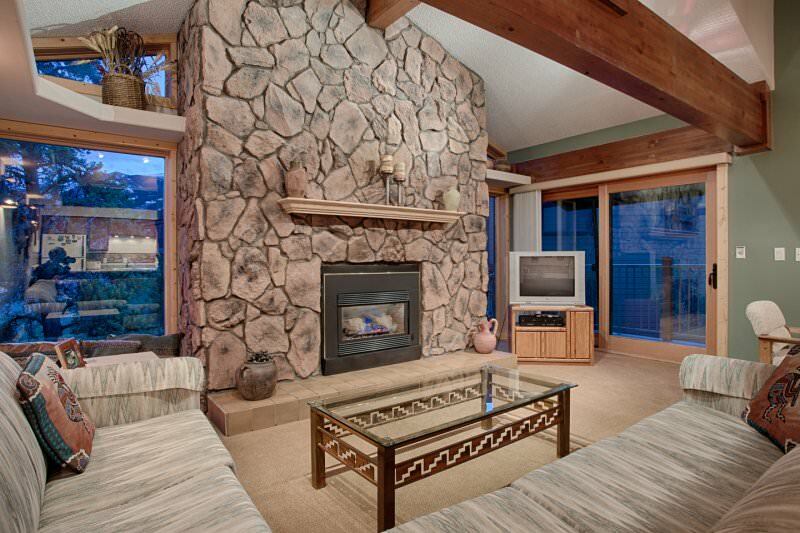 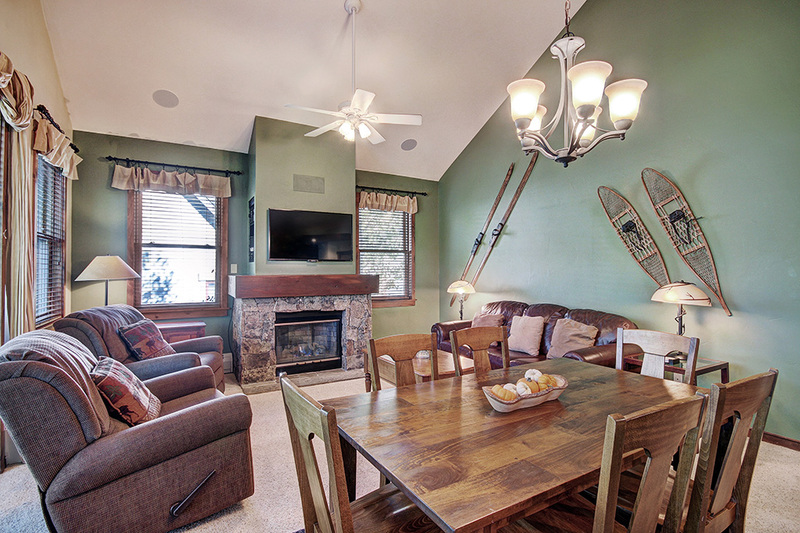 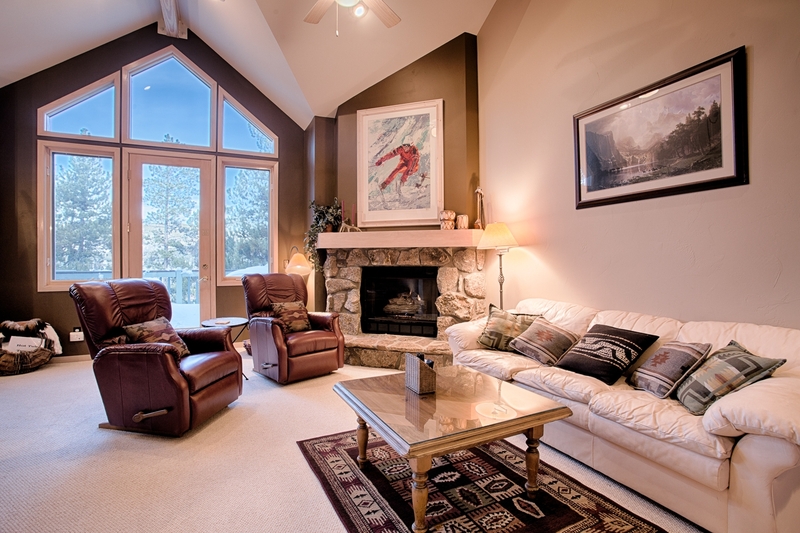 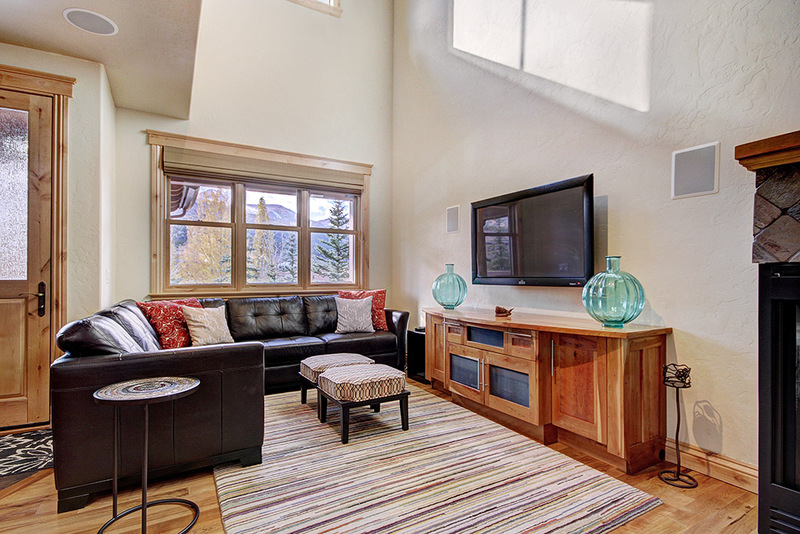 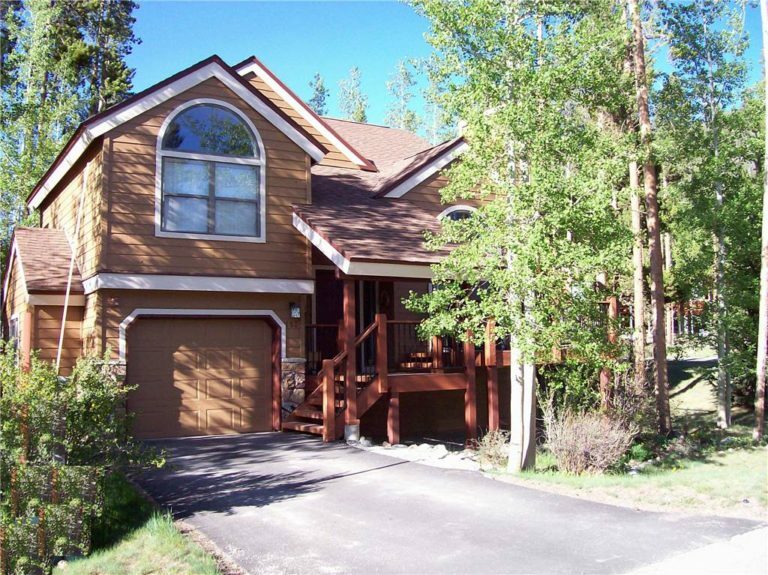 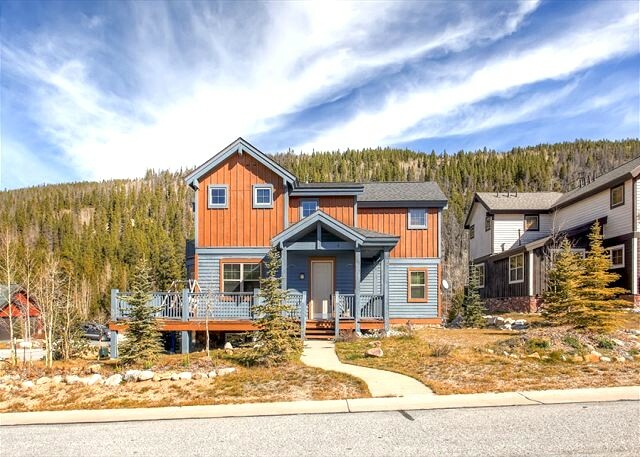 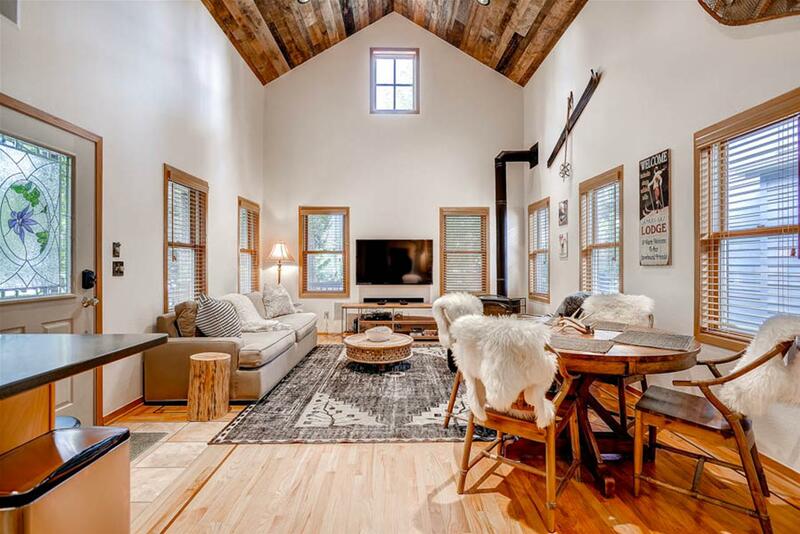 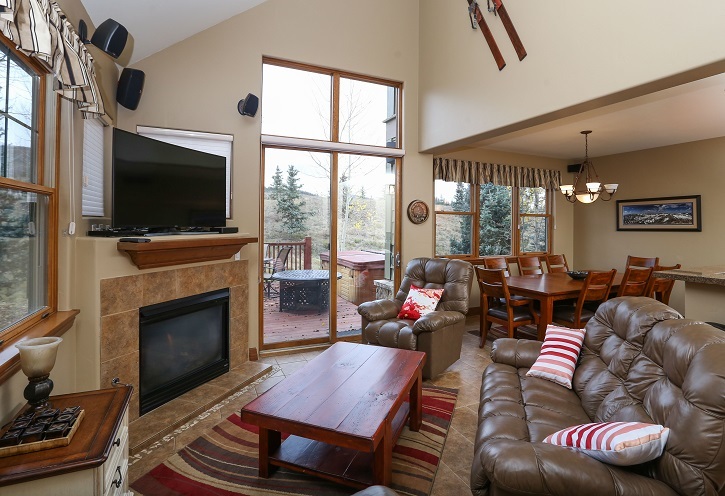 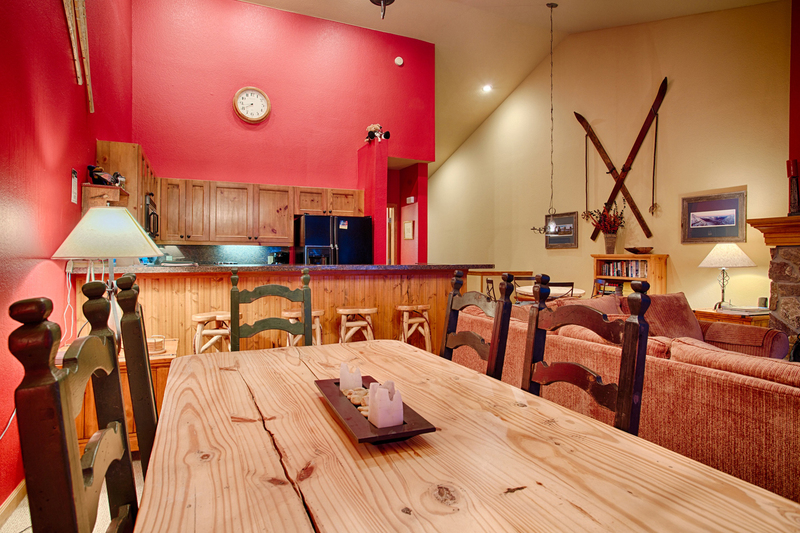 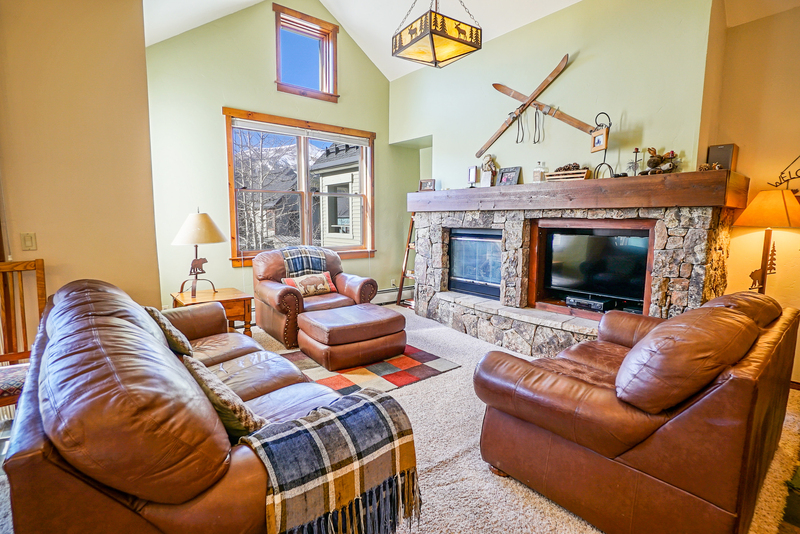 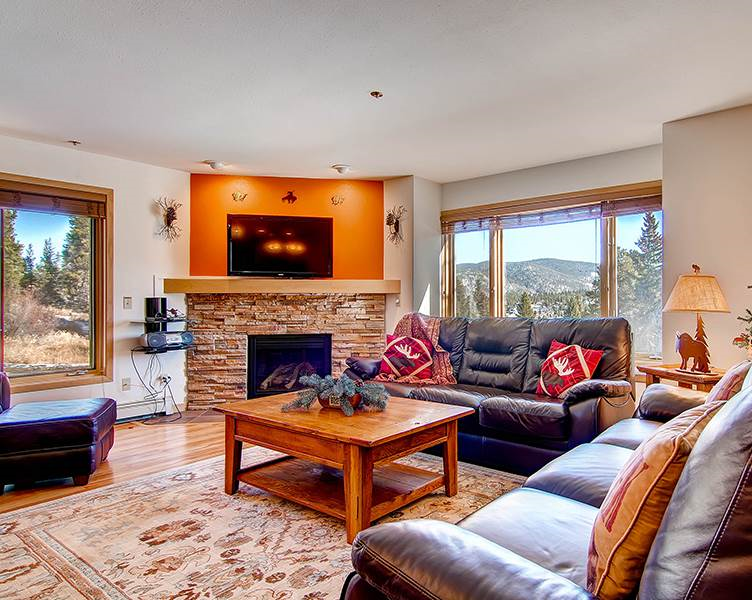 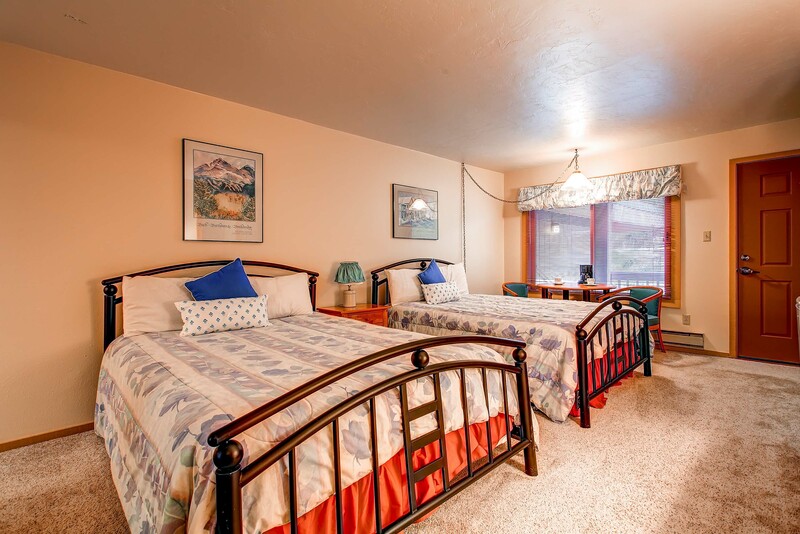 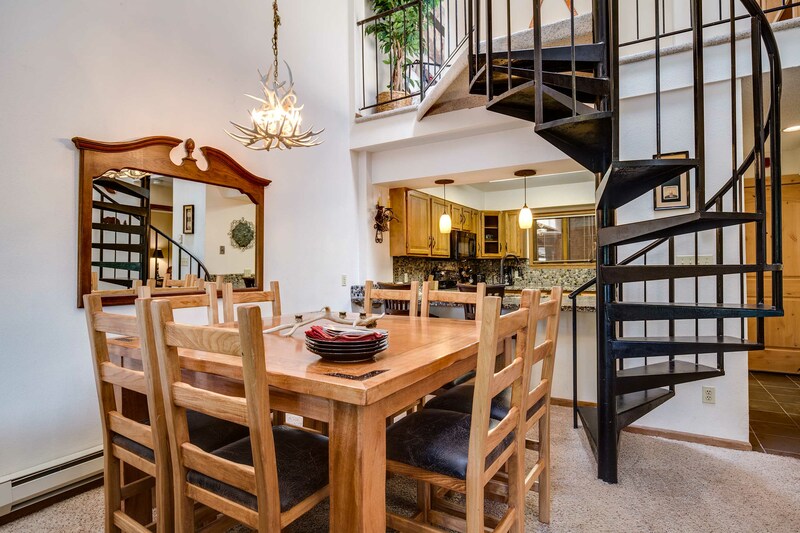 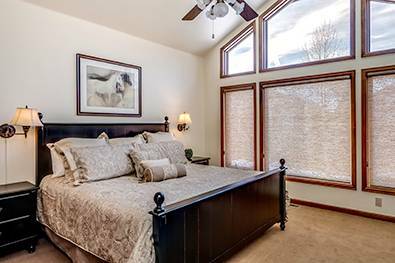 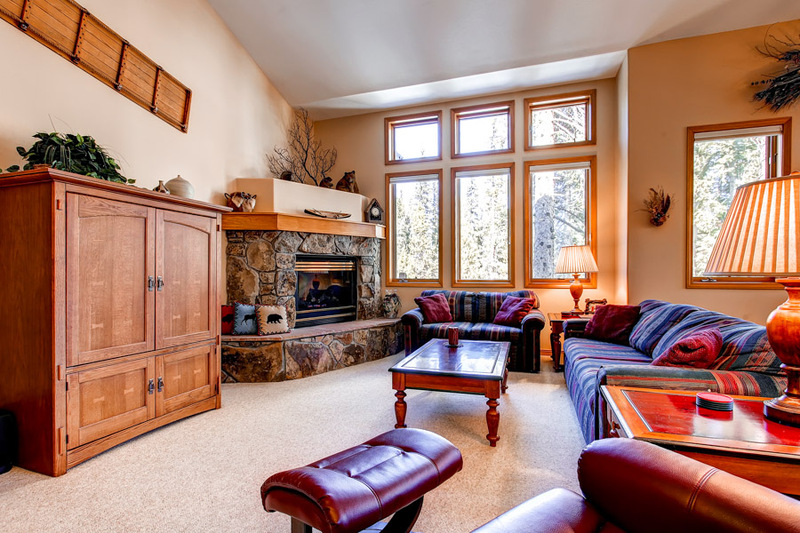 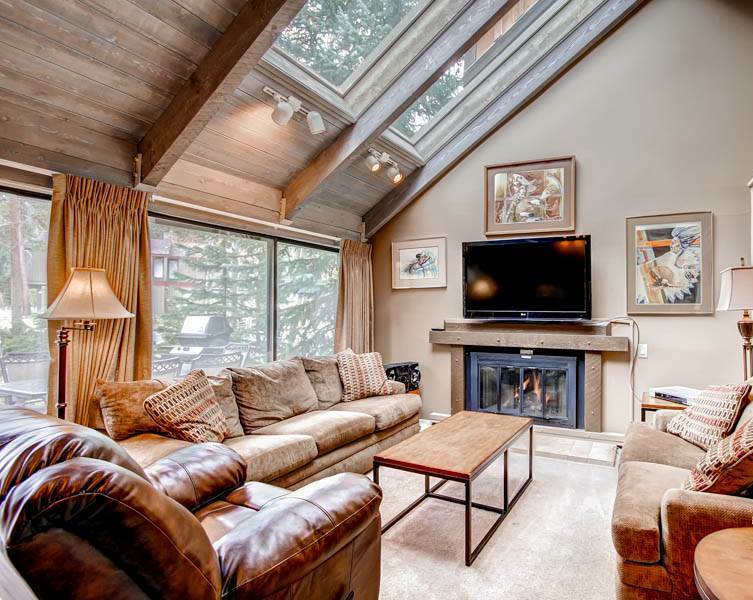 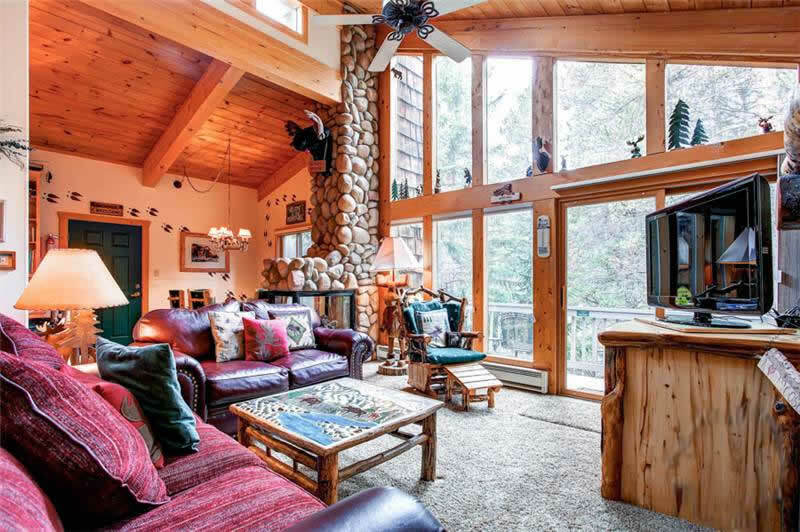 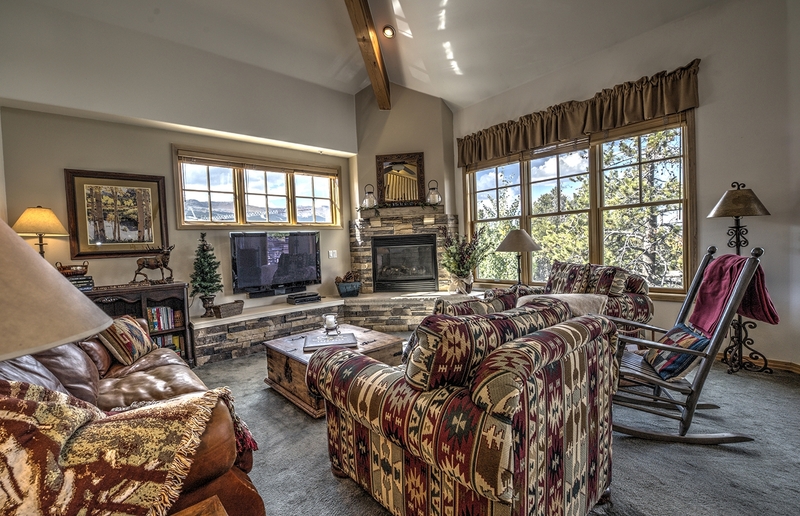 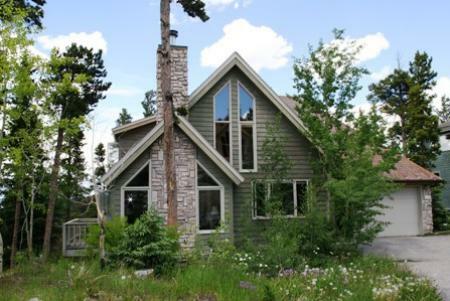 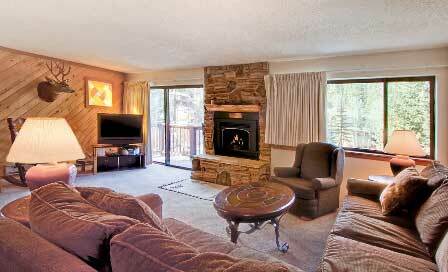 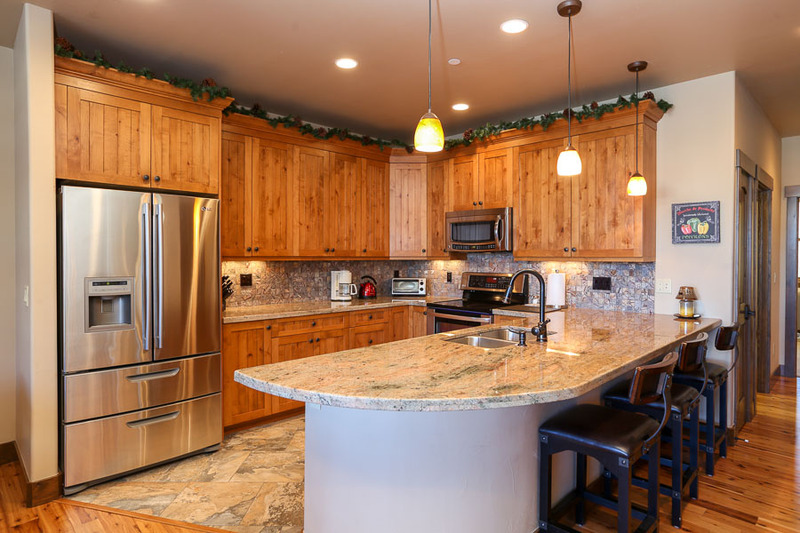 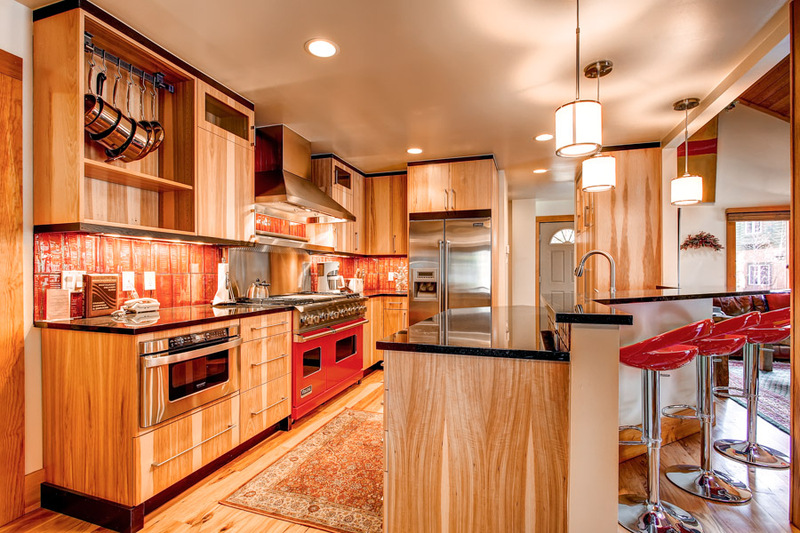 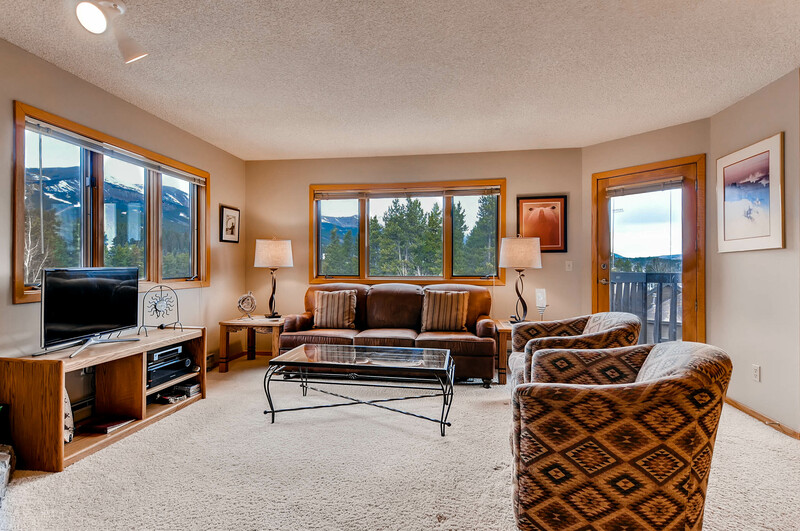 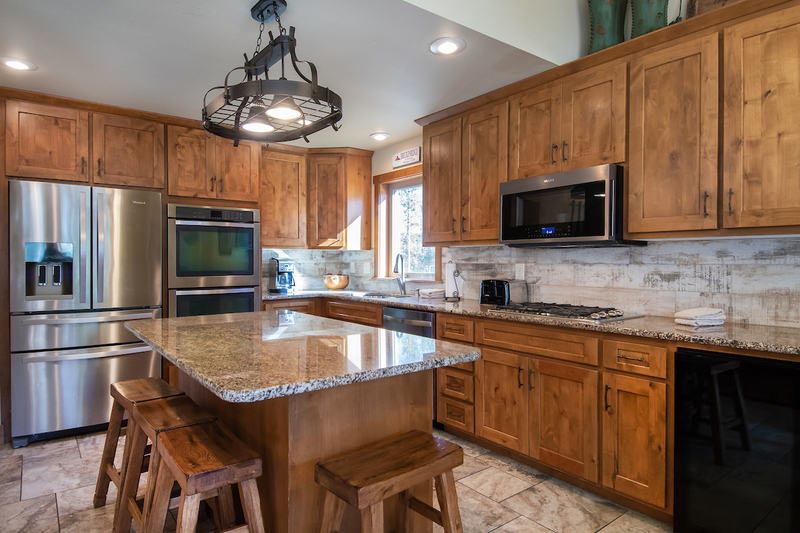 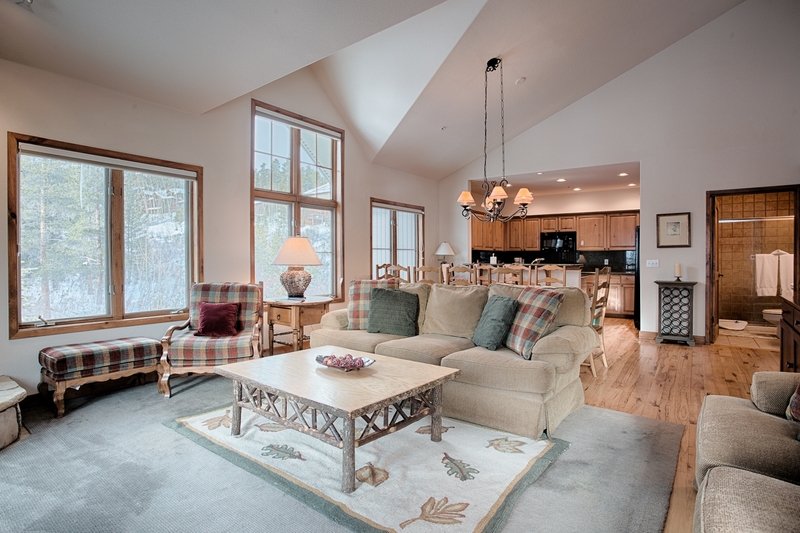 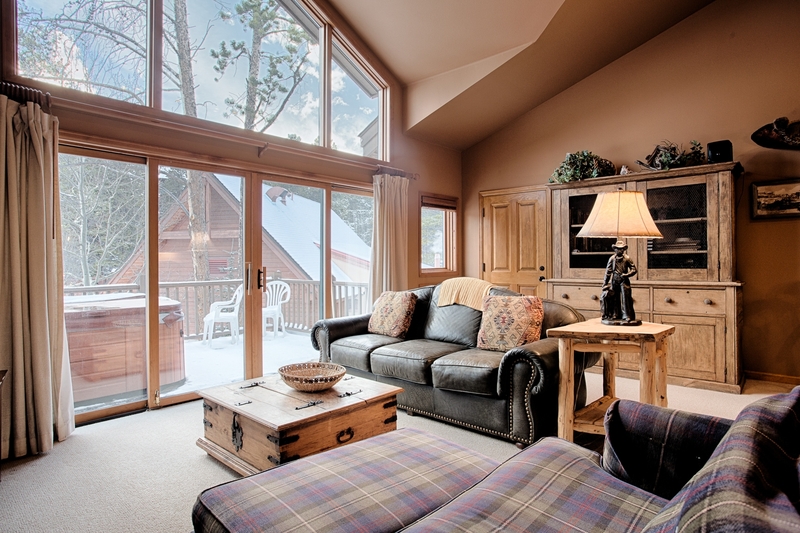 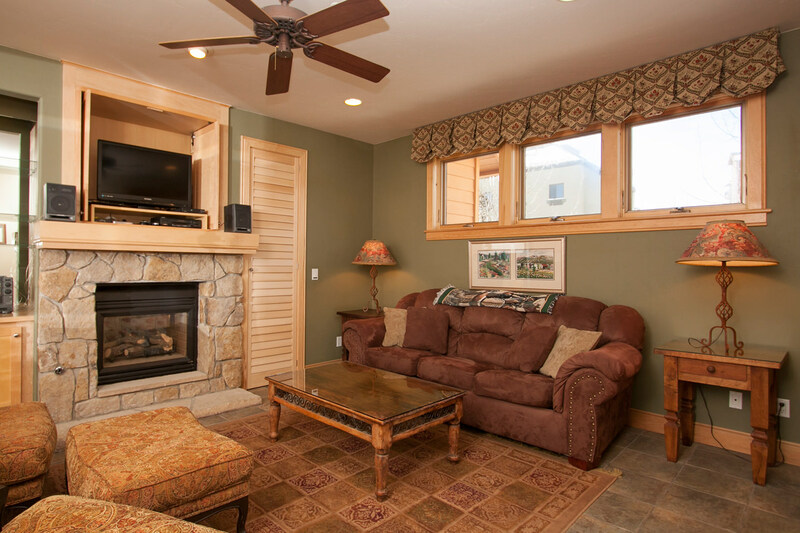 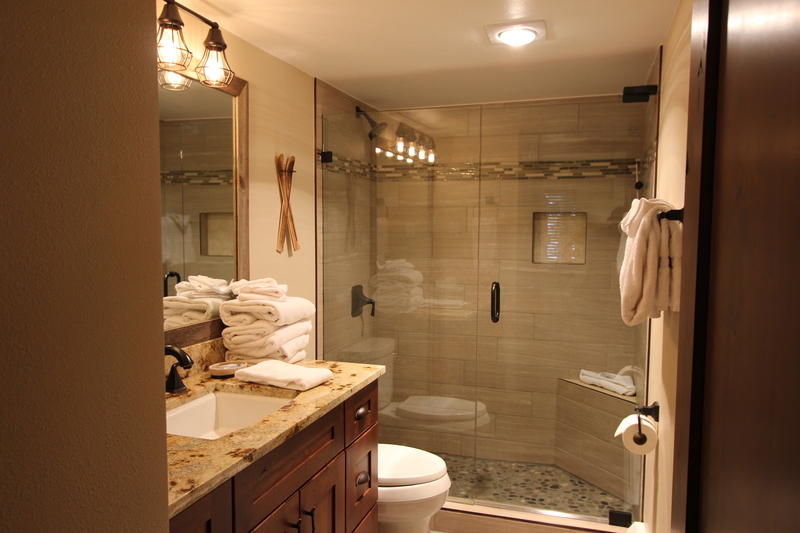 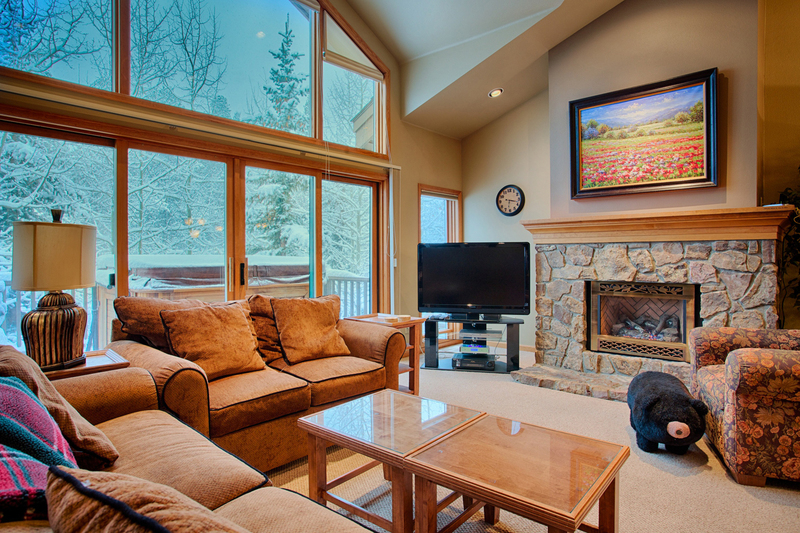 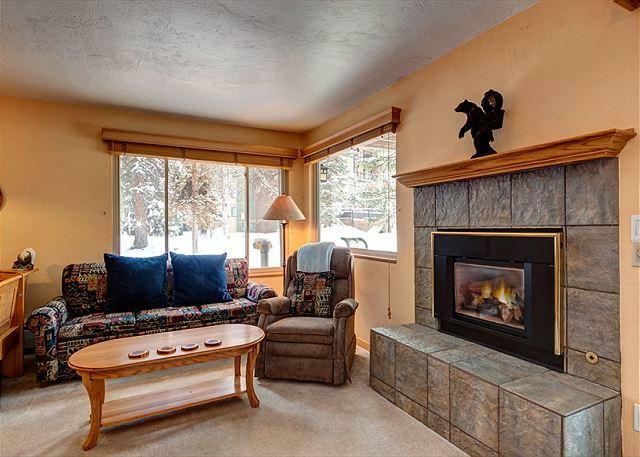 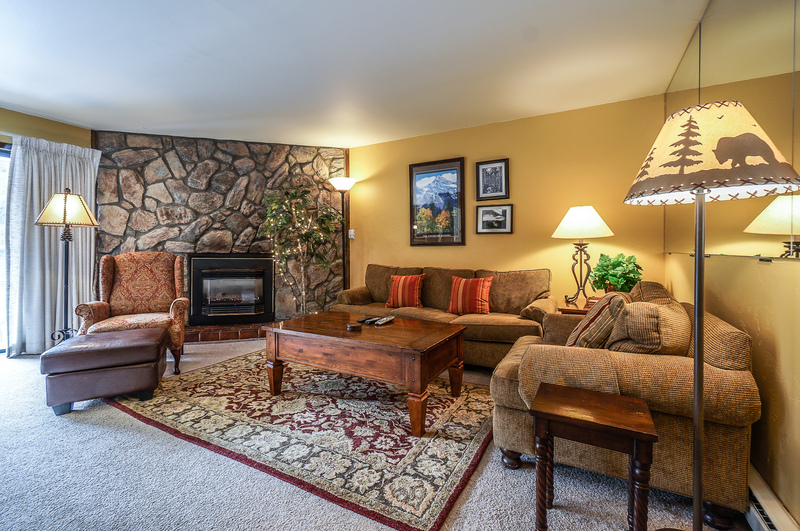 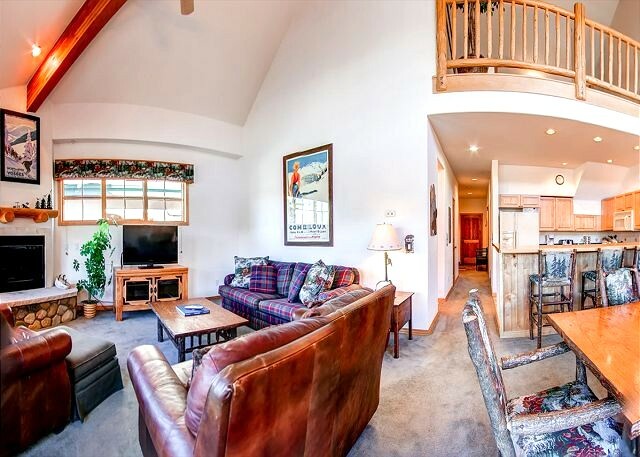 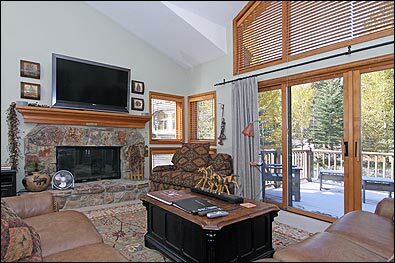 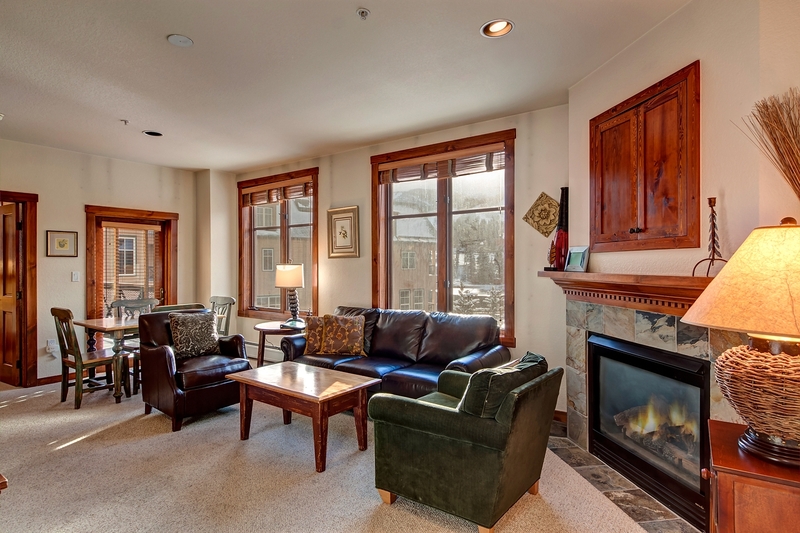 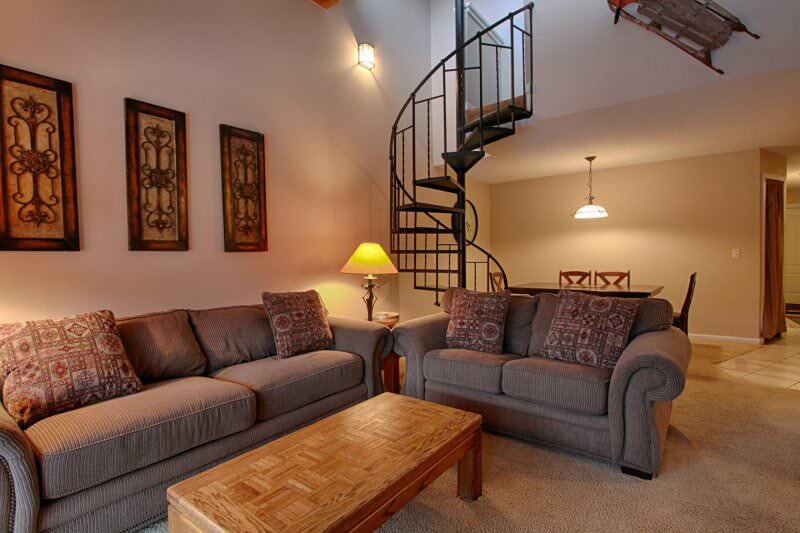 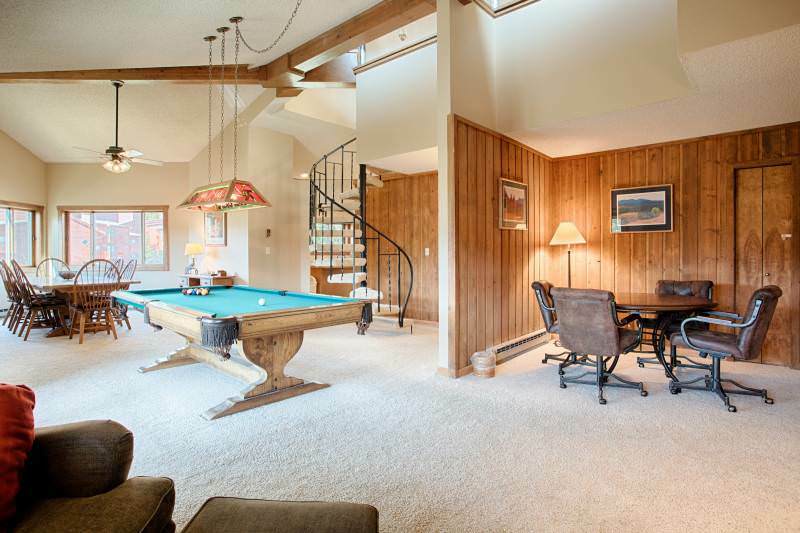 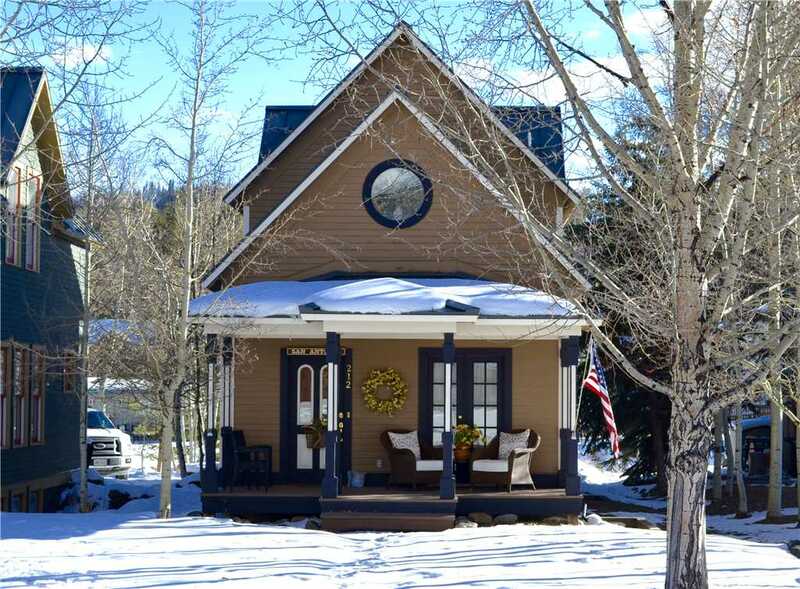 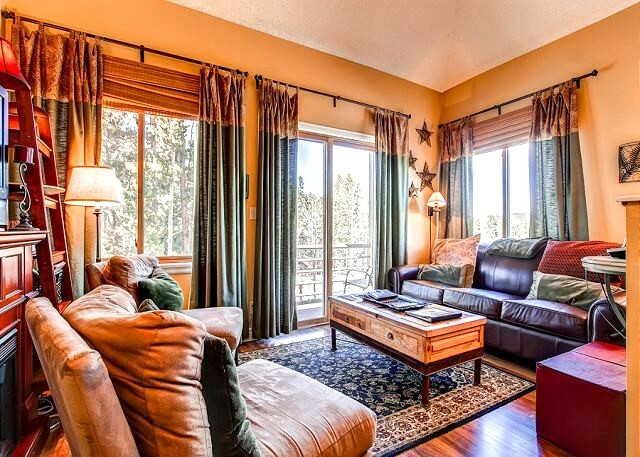 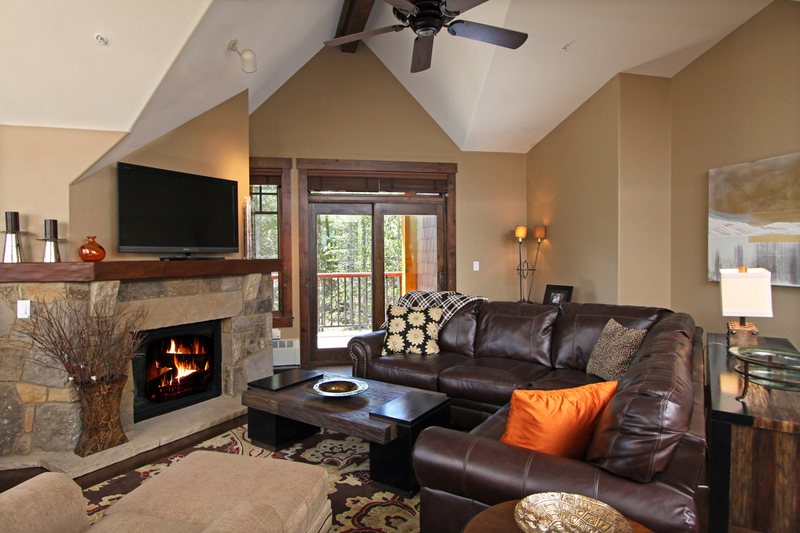 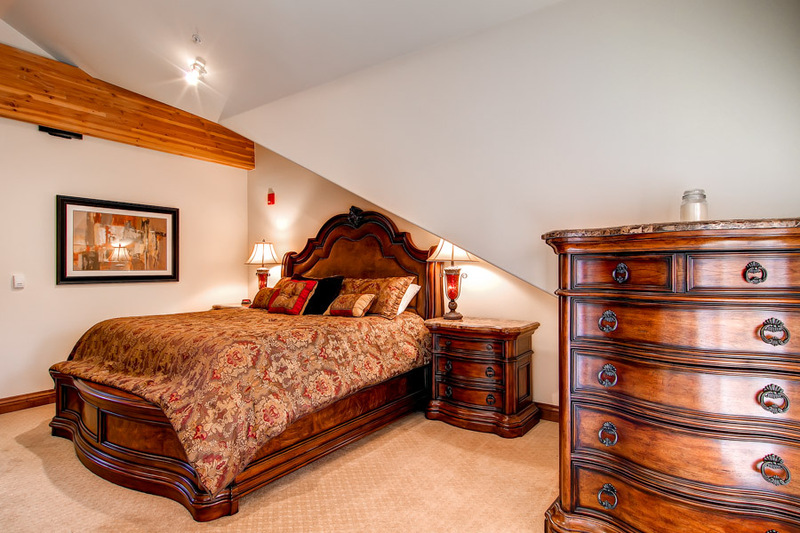 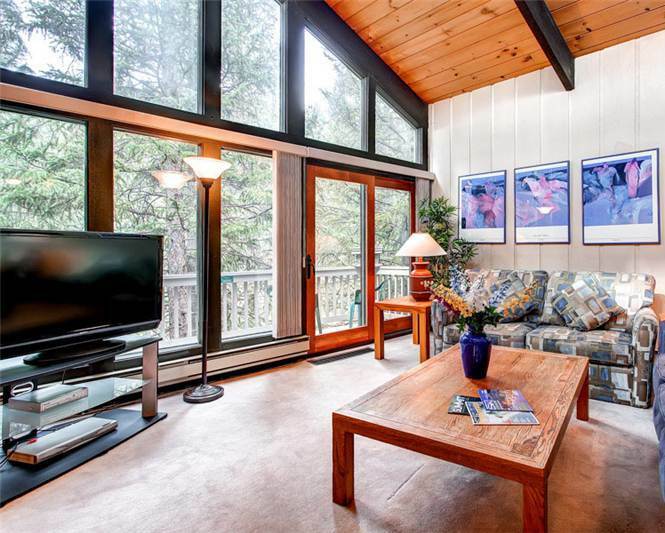 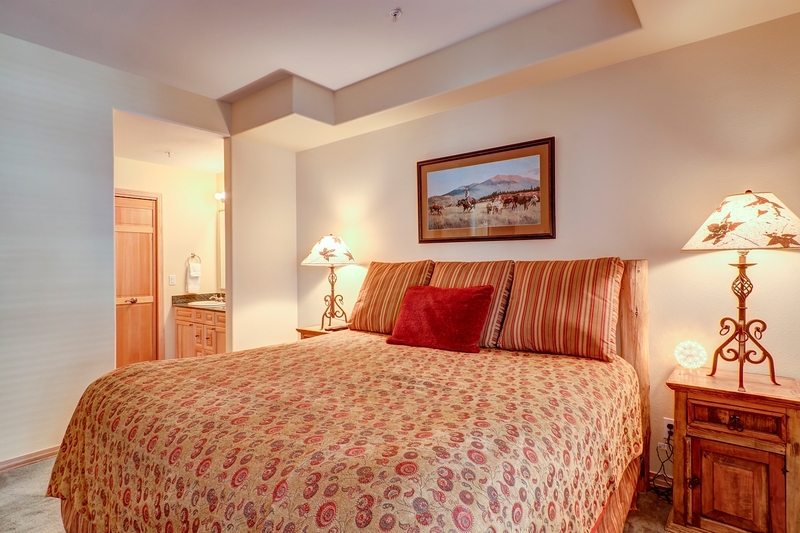 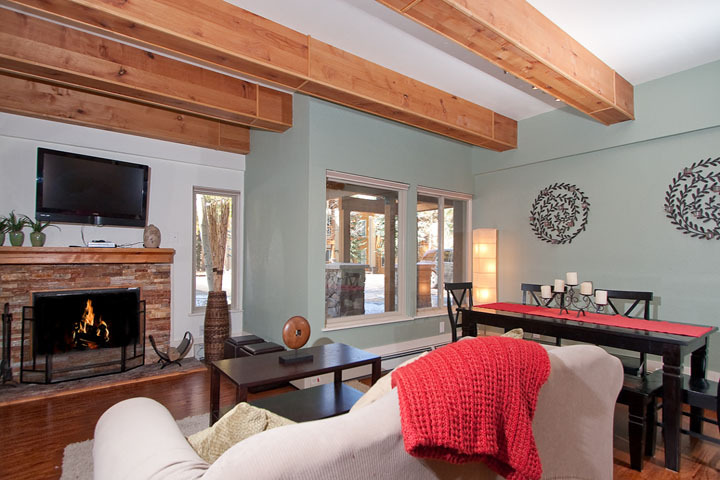 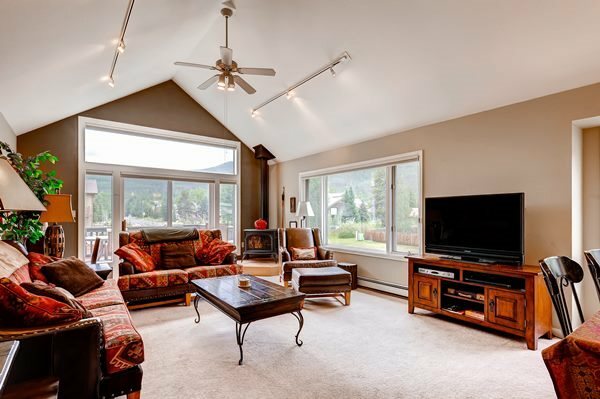 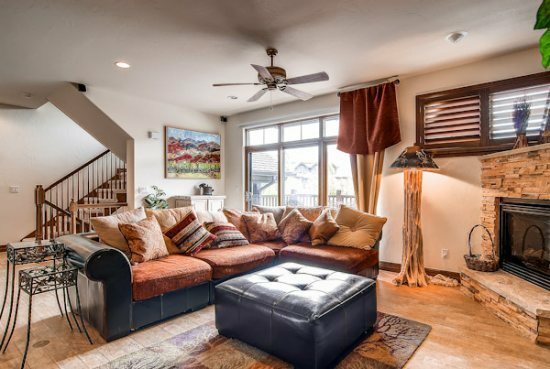 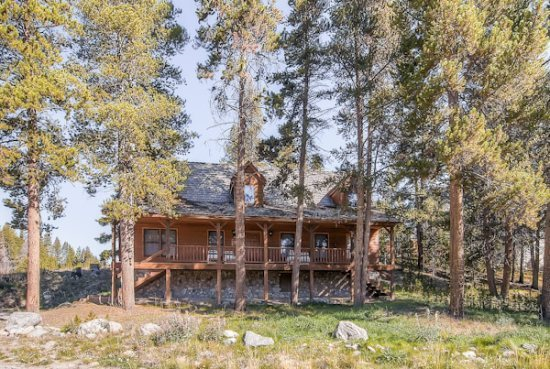 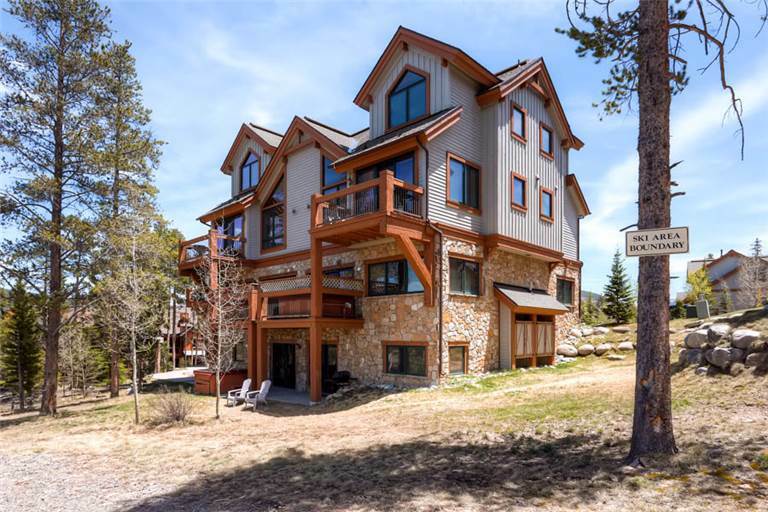 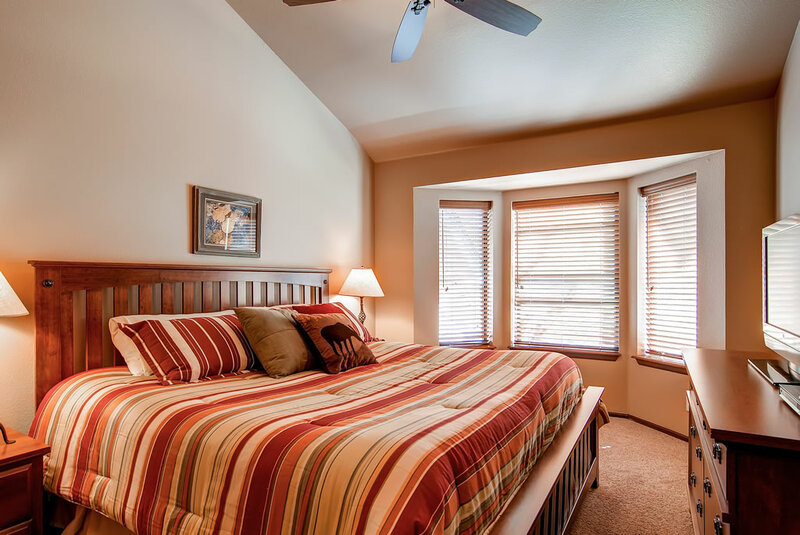 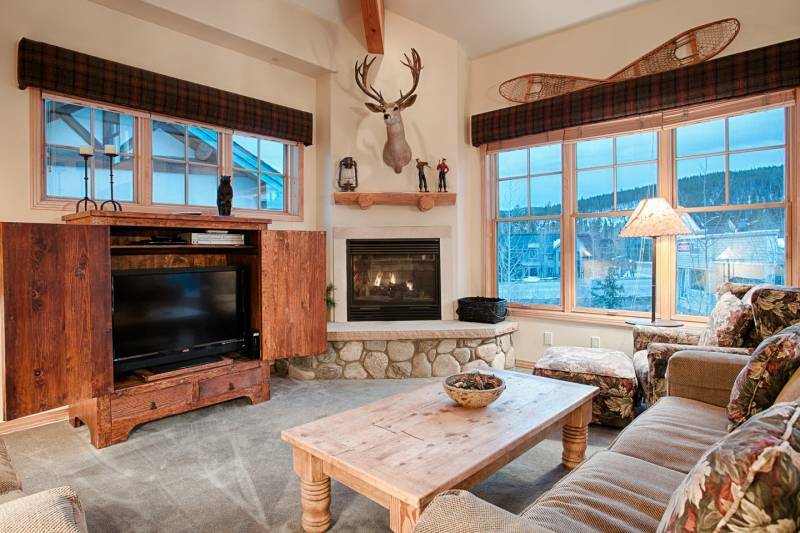 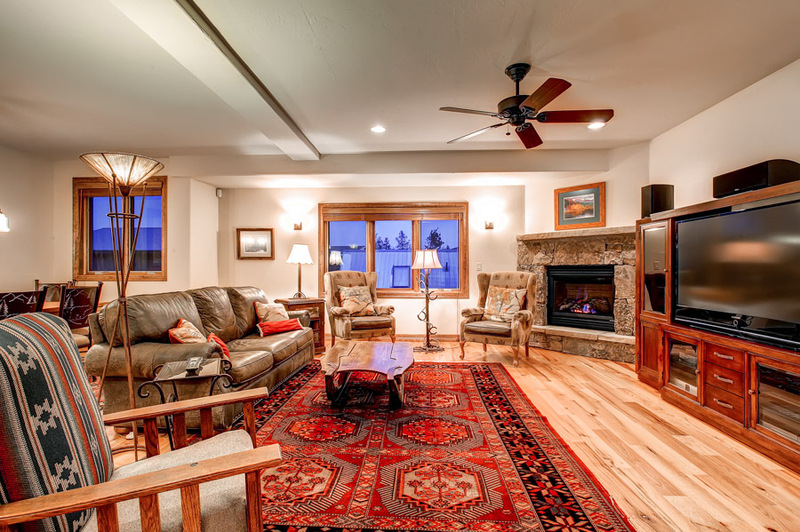 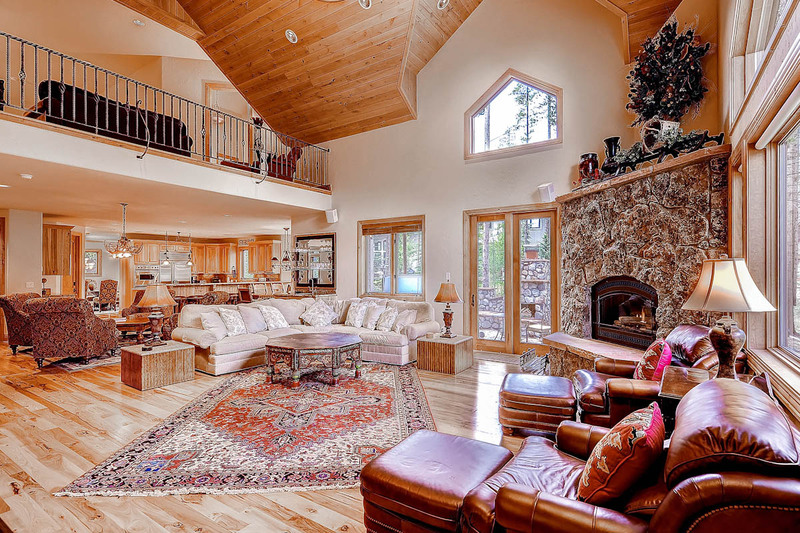 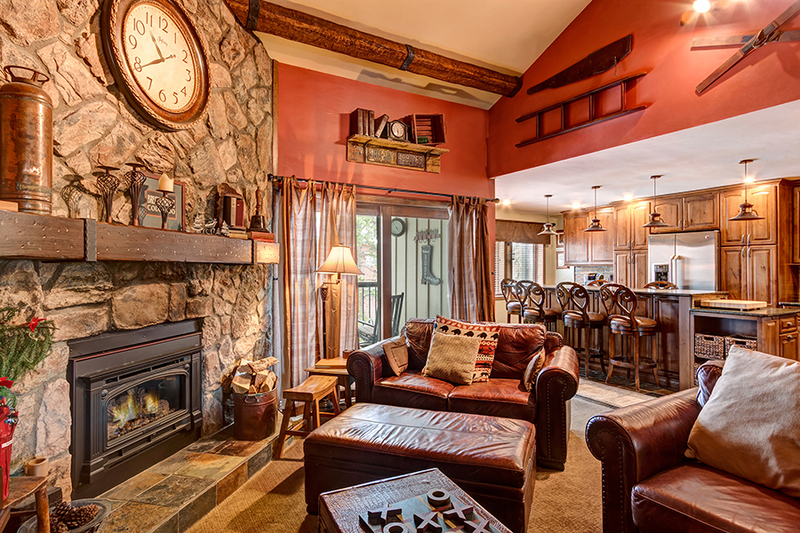 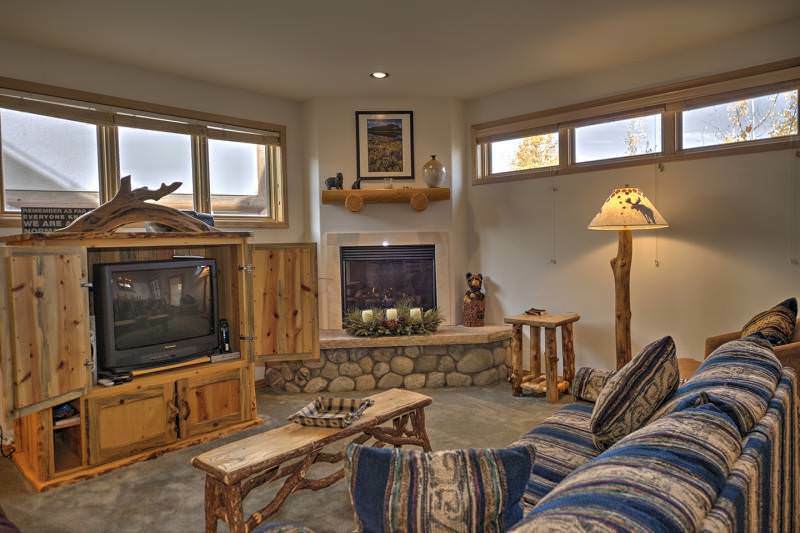 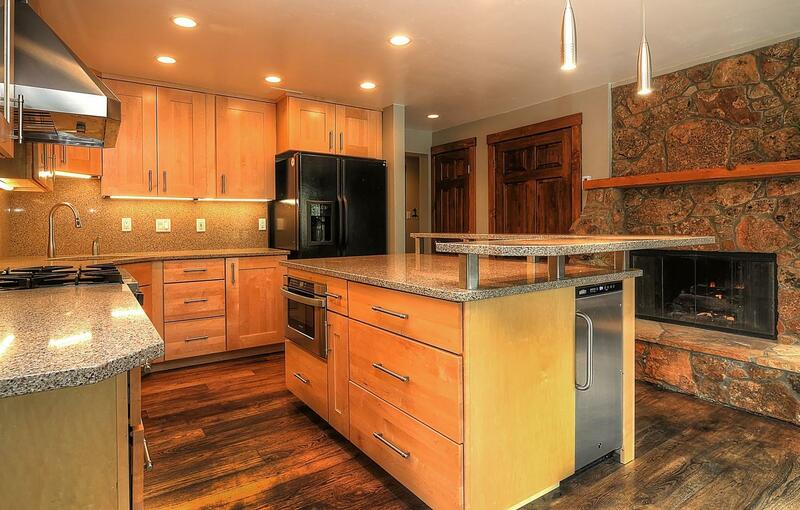 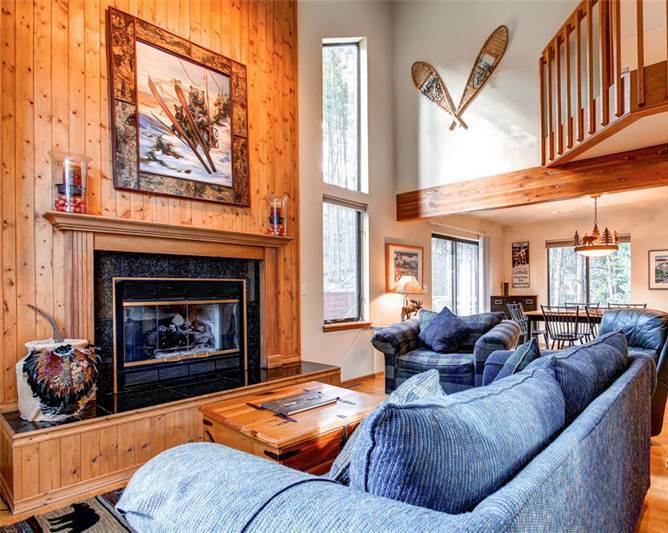 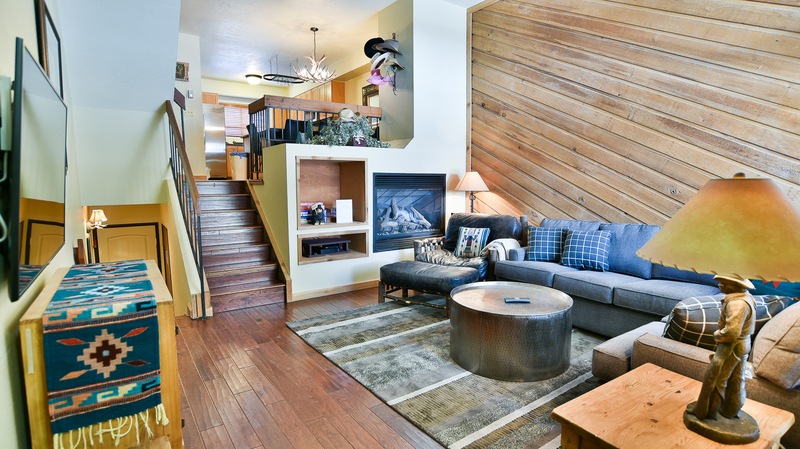 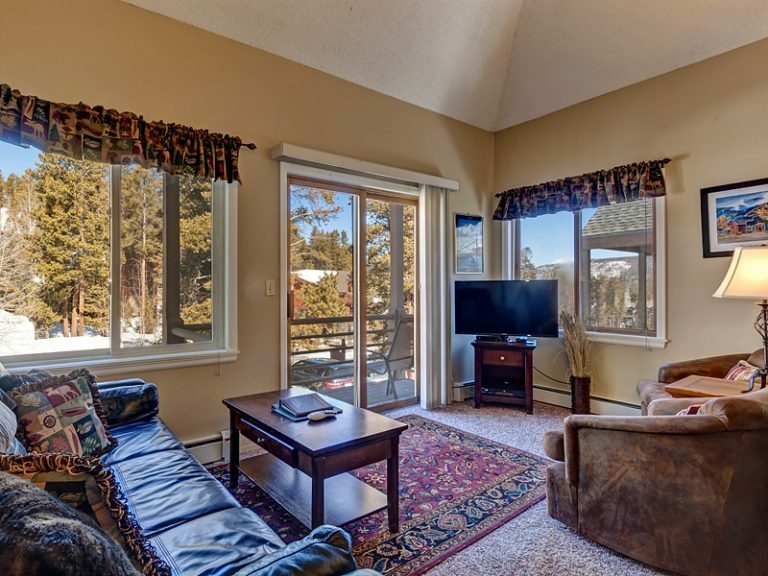 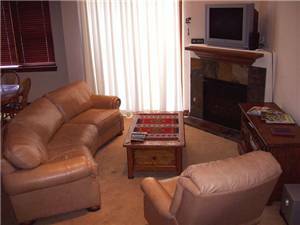 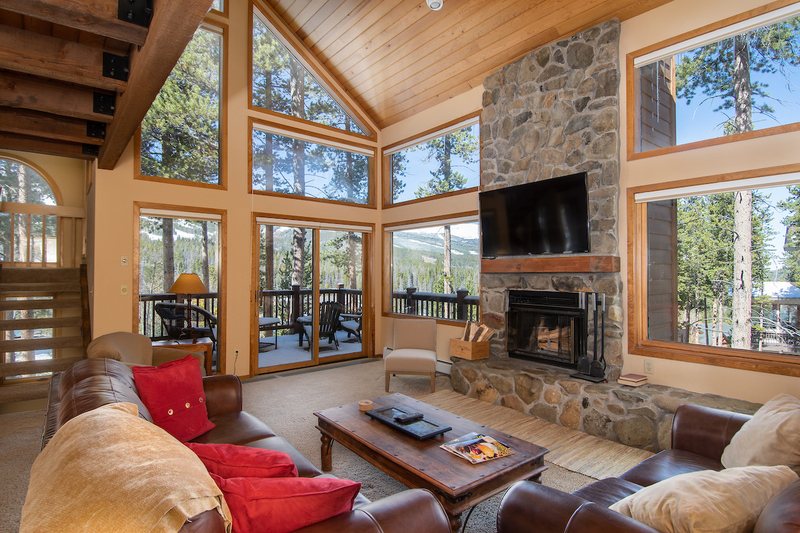 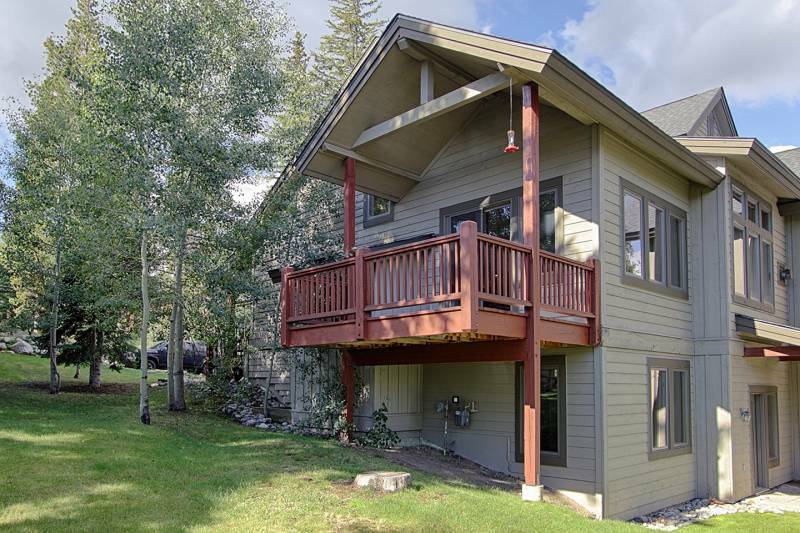 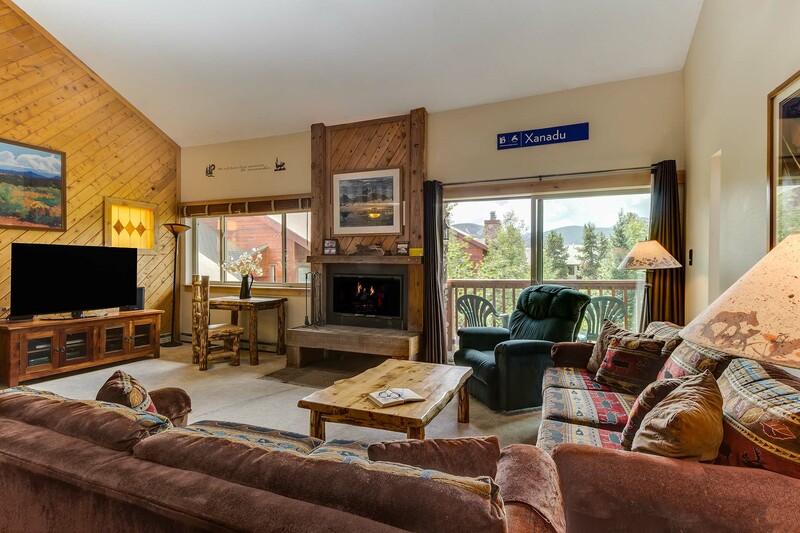 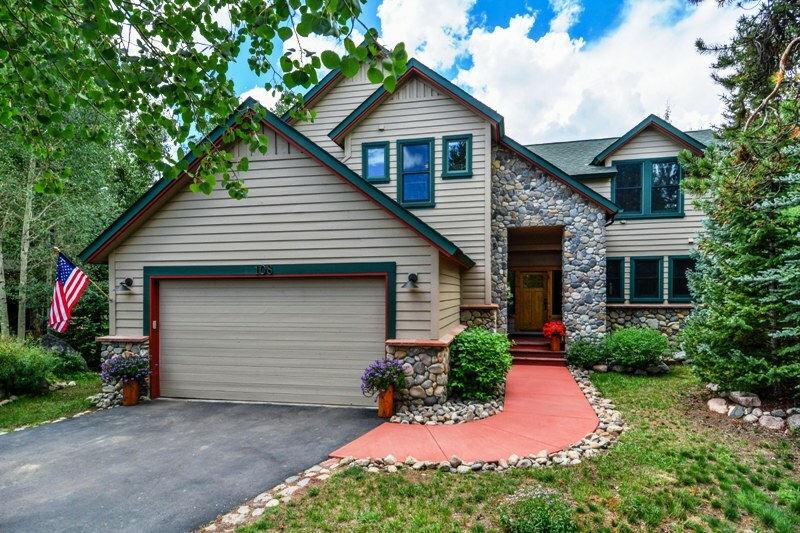 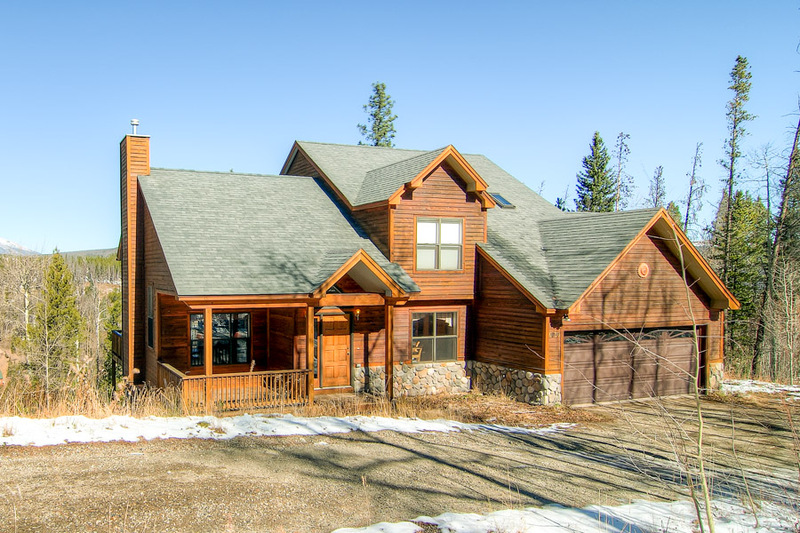 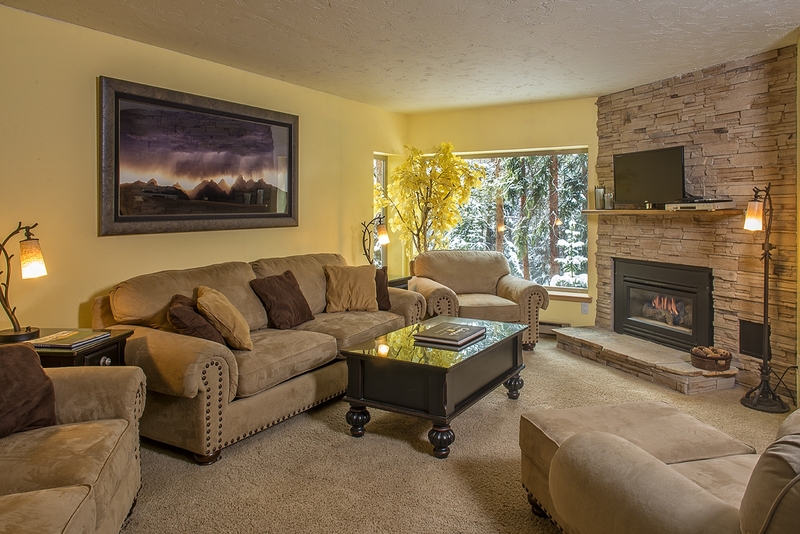 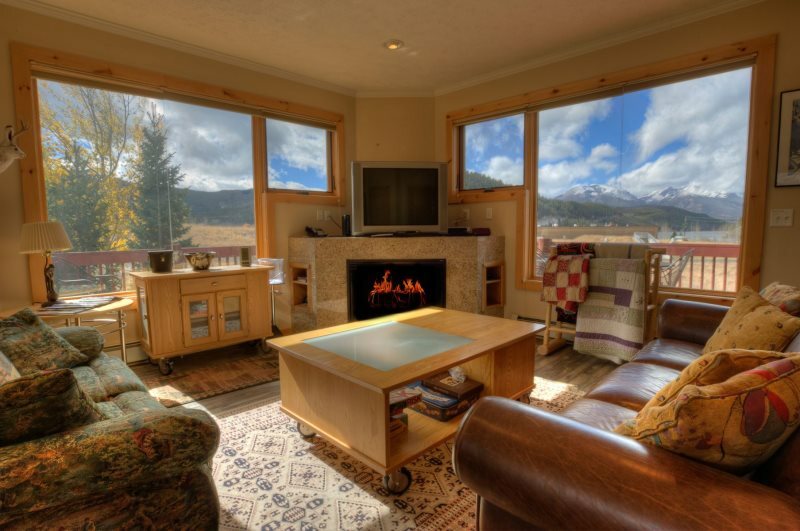 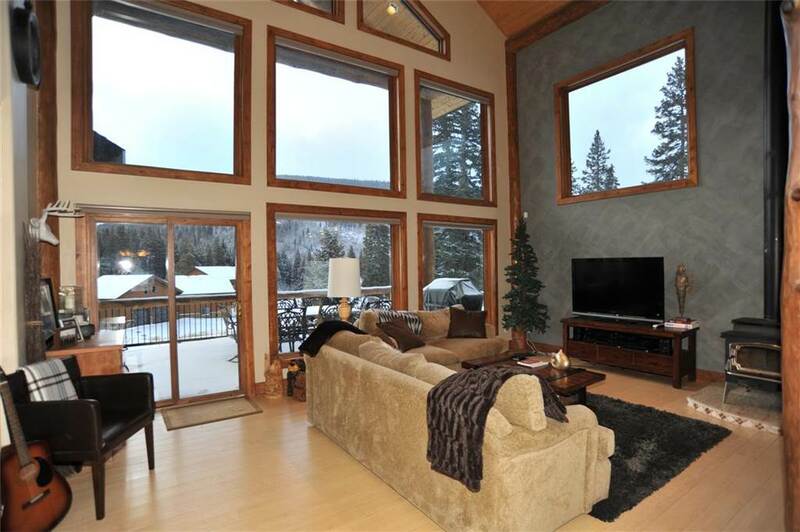 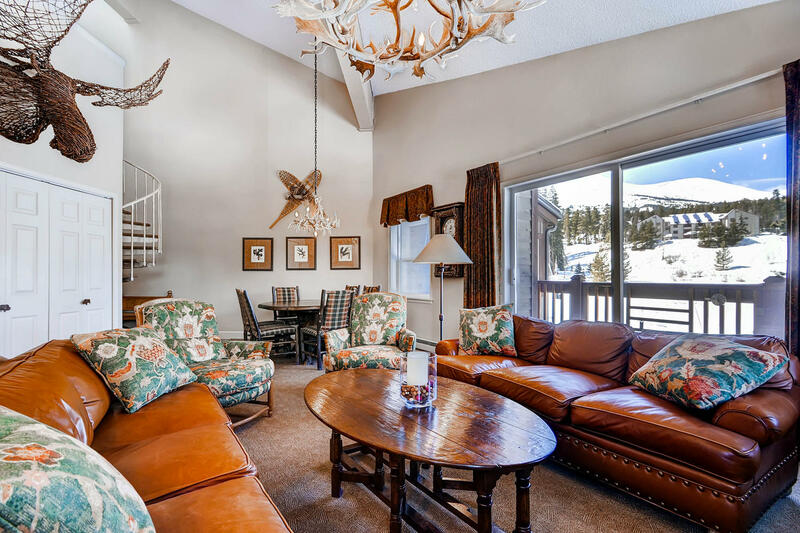 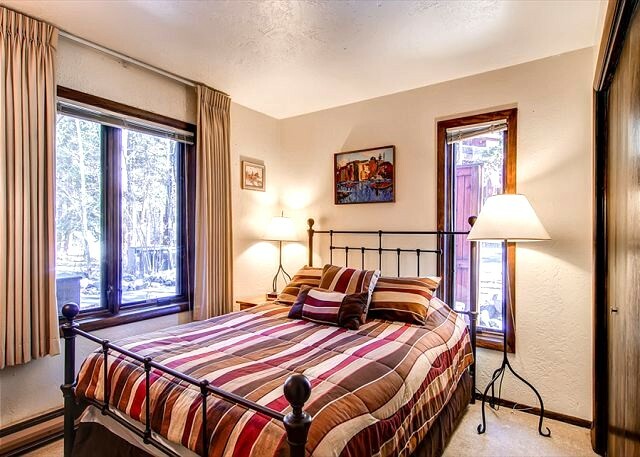 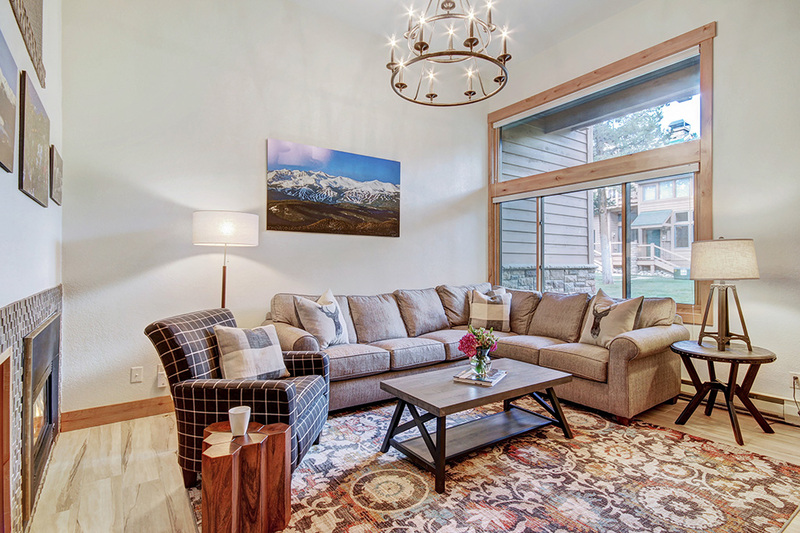 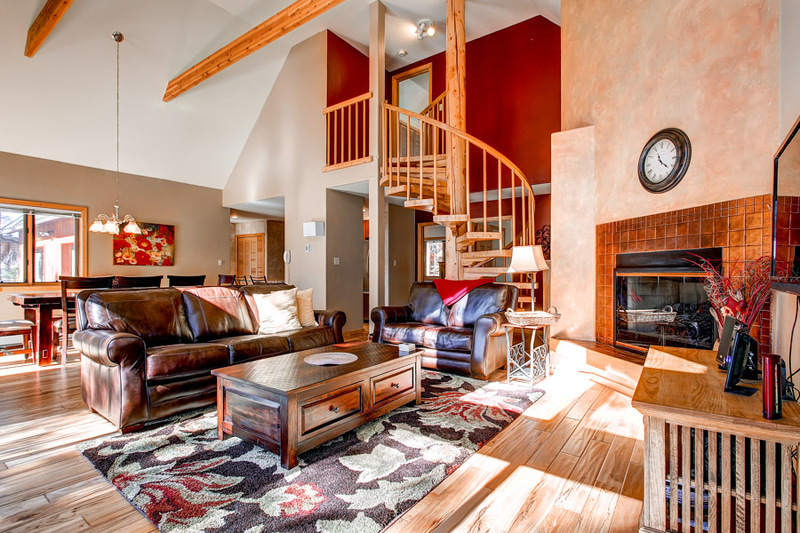 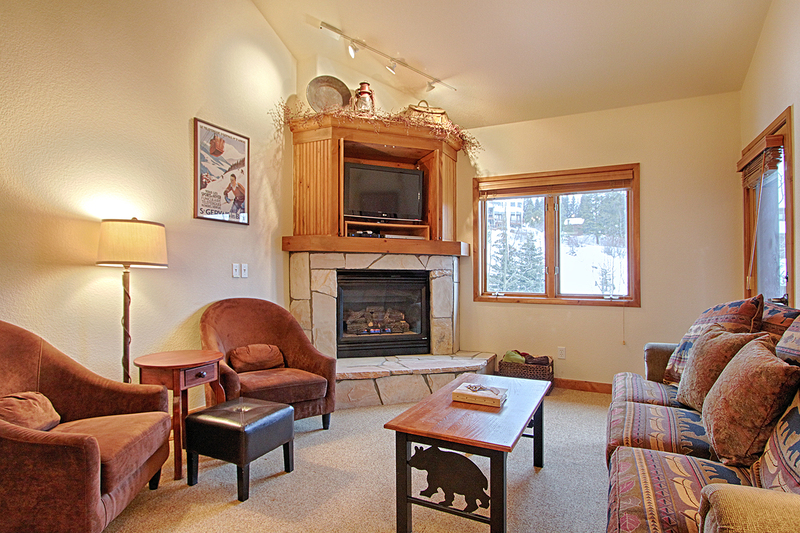 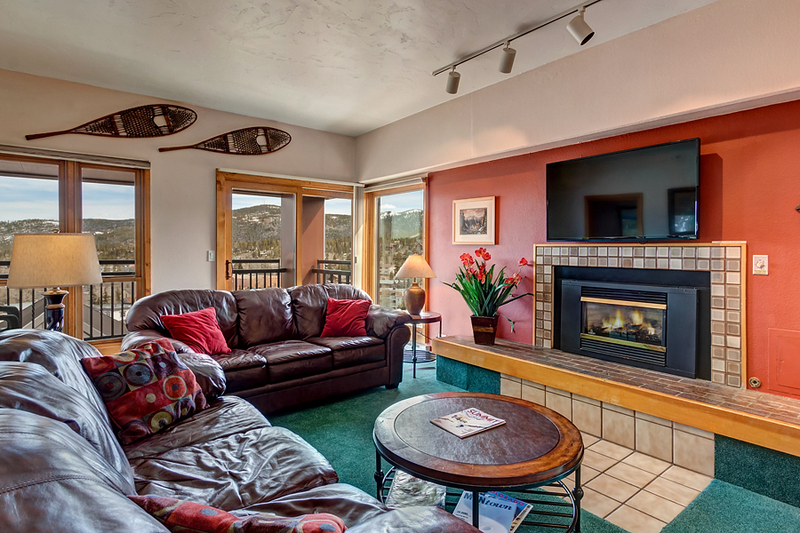 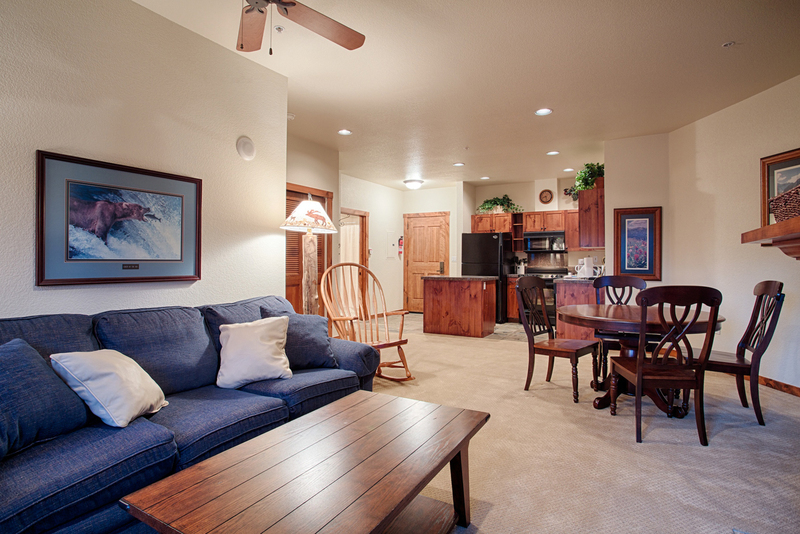 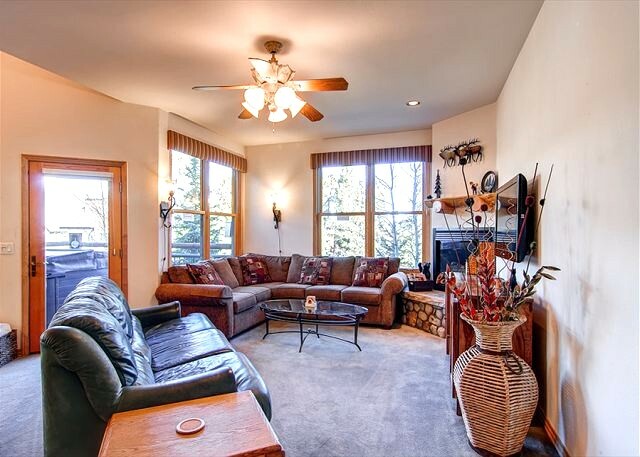 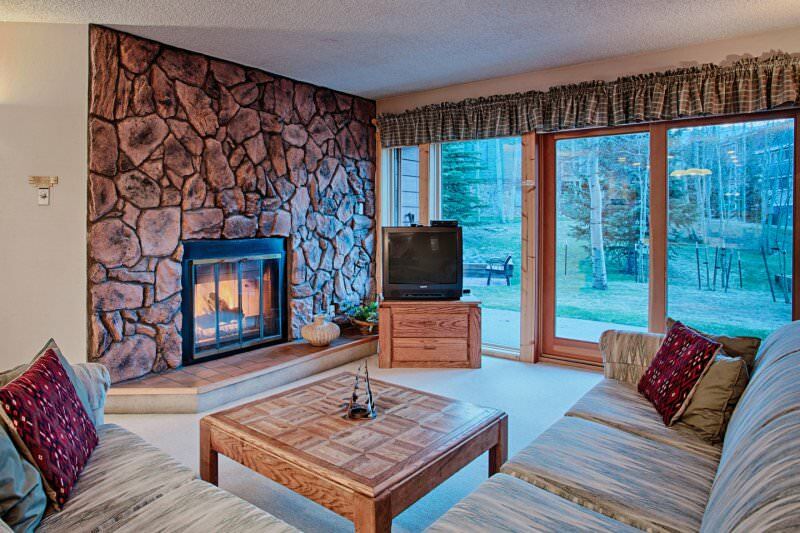 Truly one of the best locations in Breckenridge! 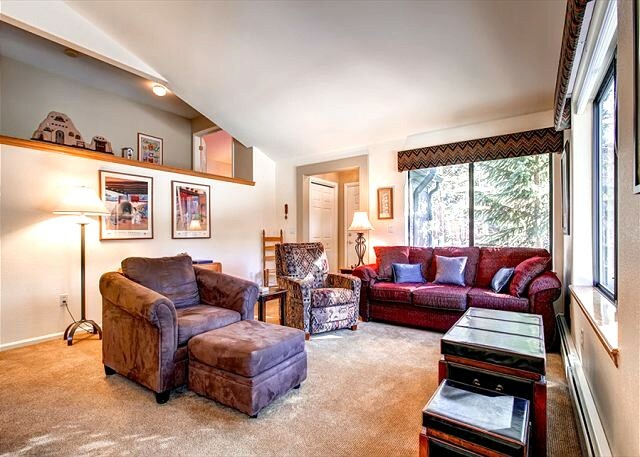 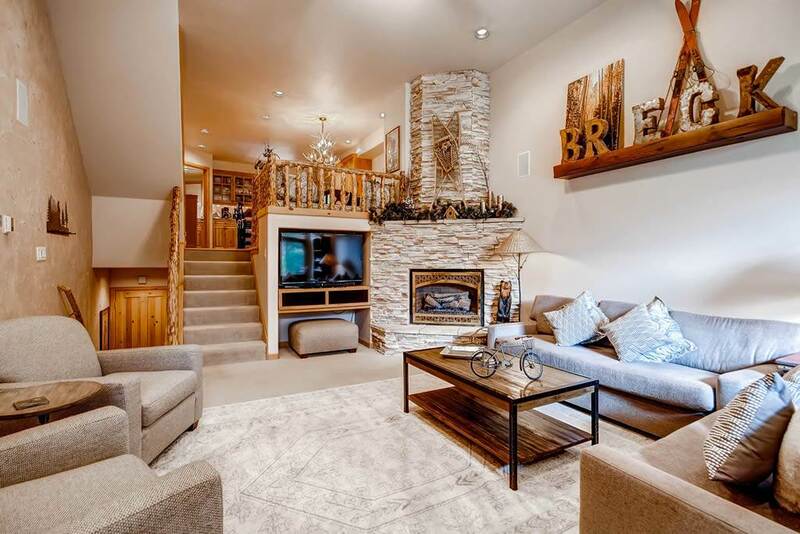 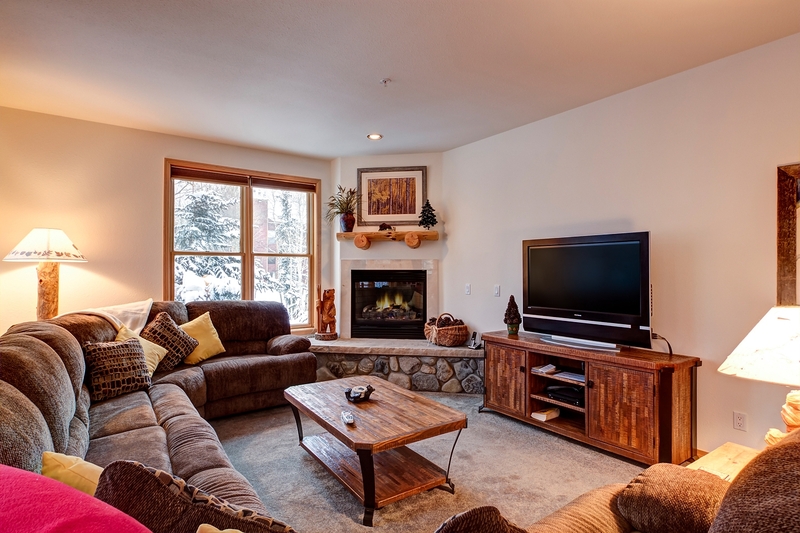 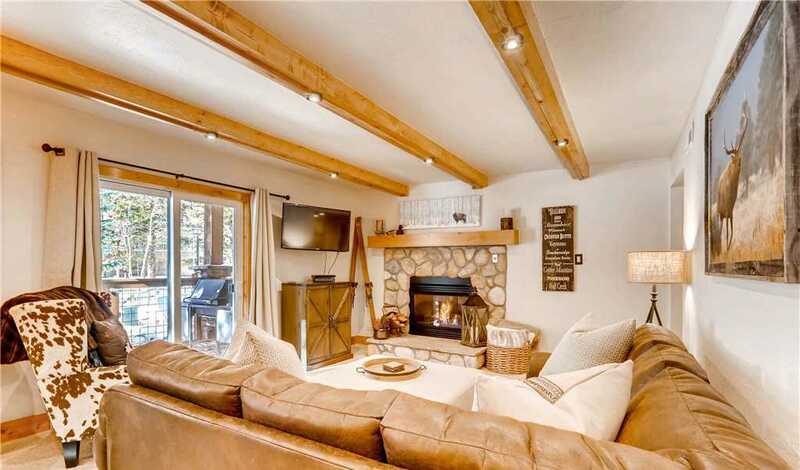 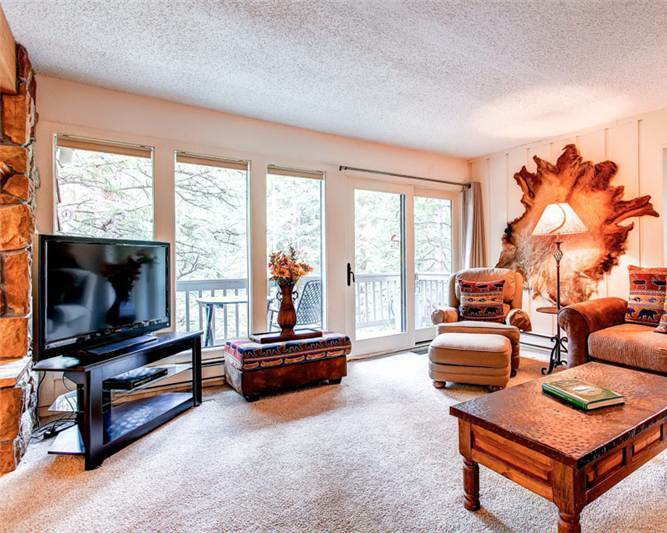 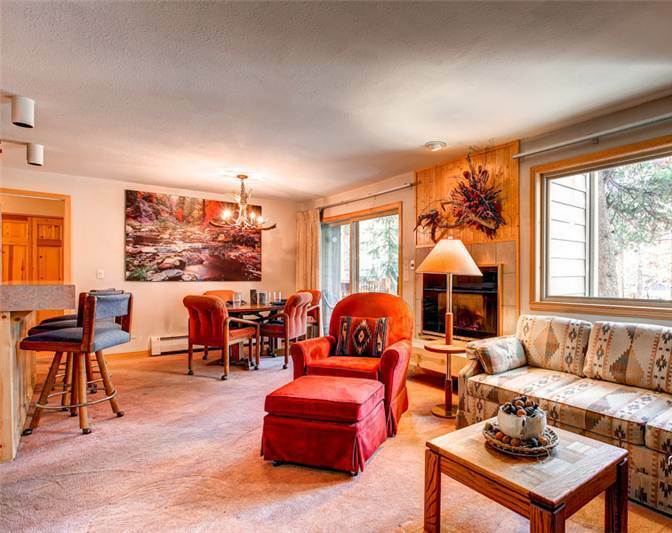 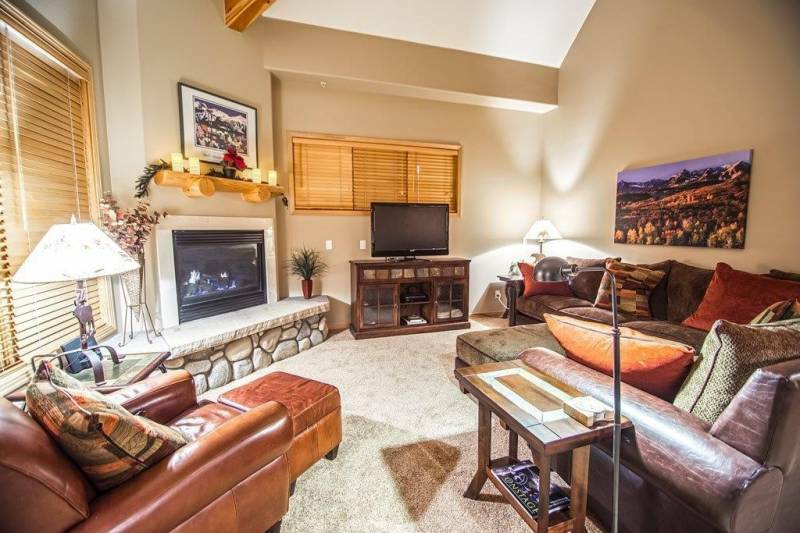 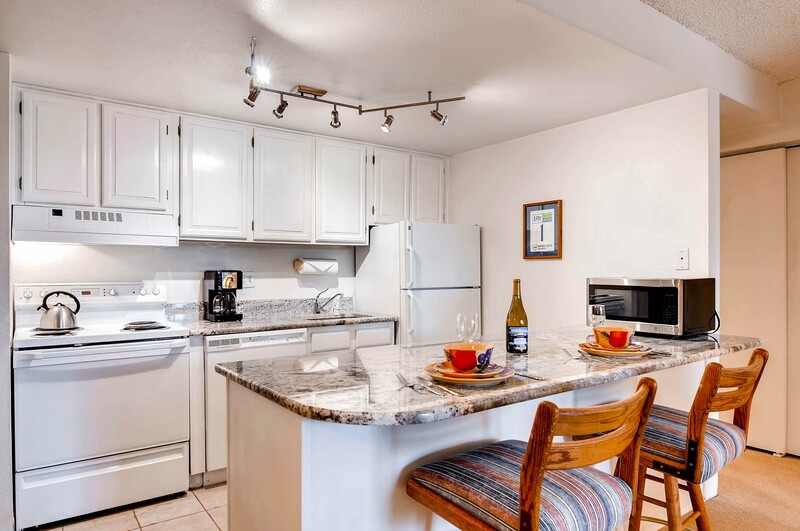 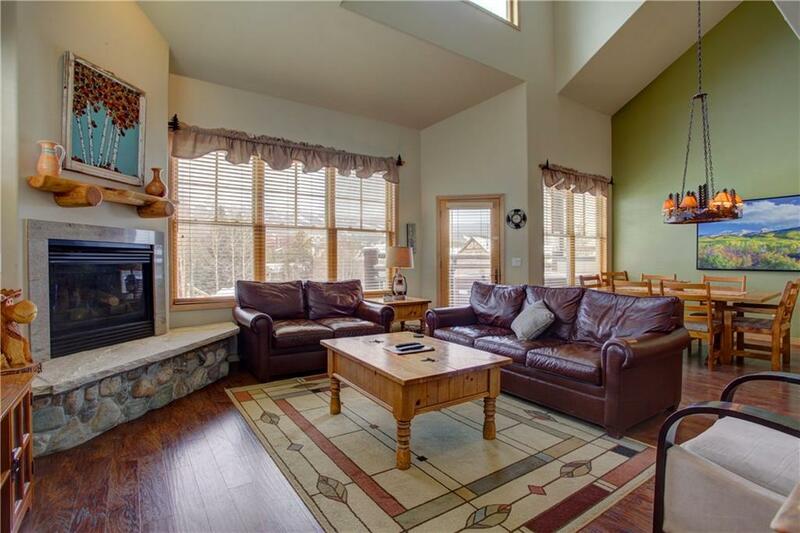 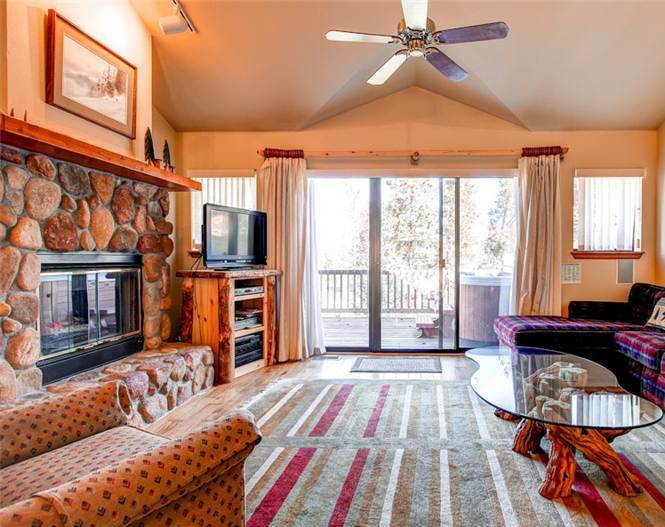 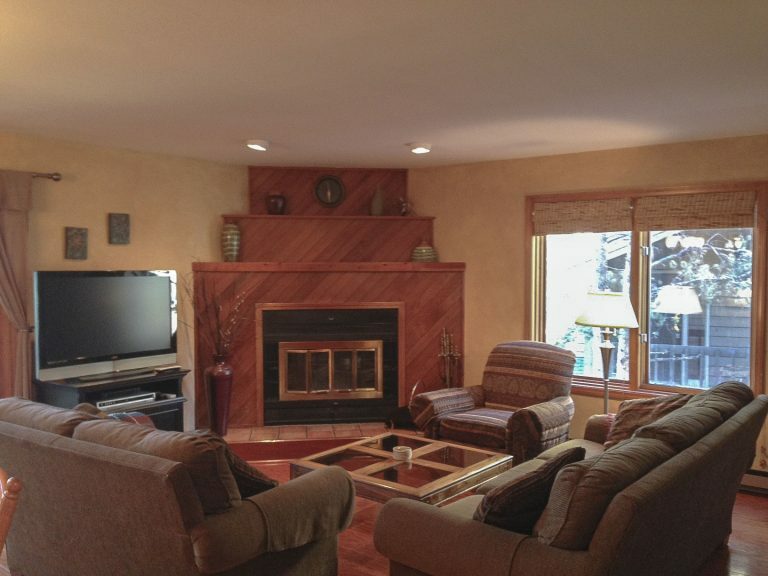 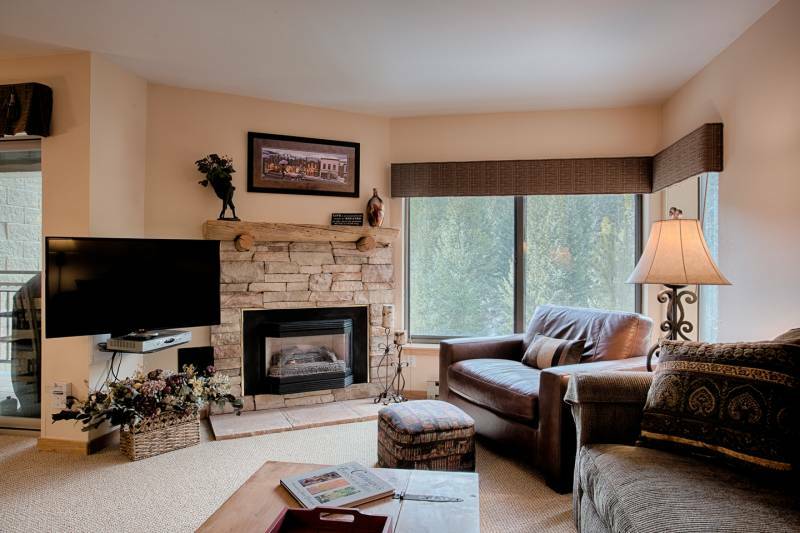 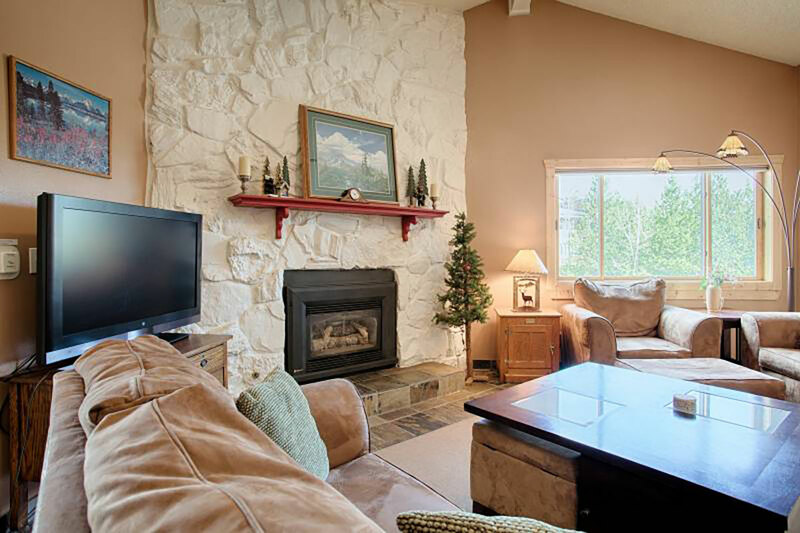 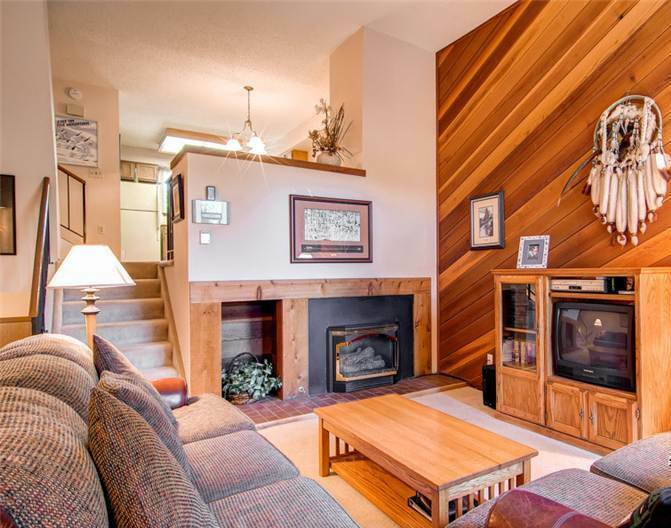 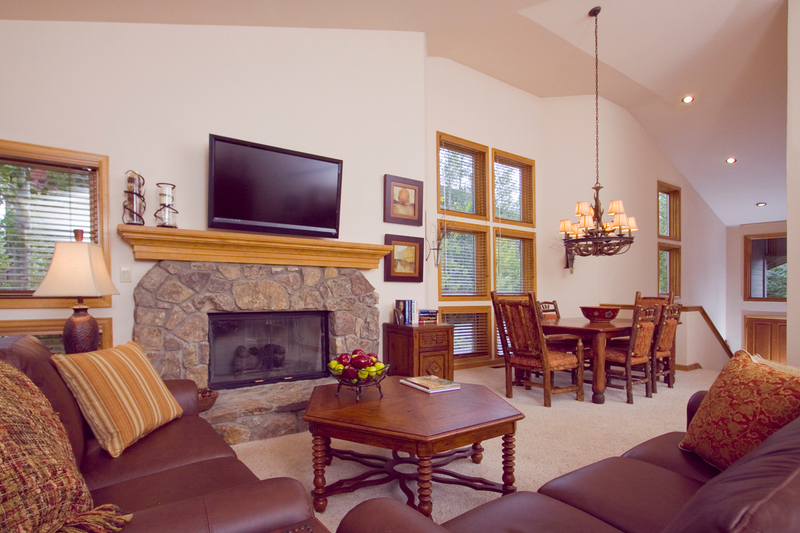 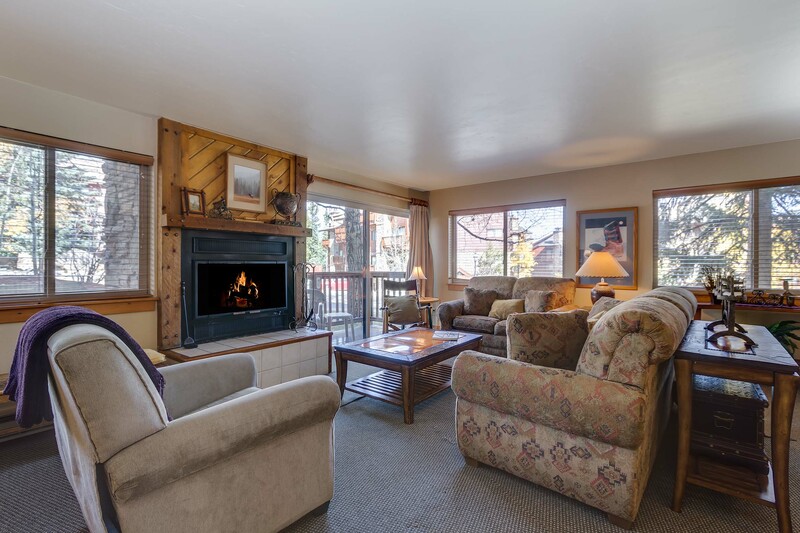 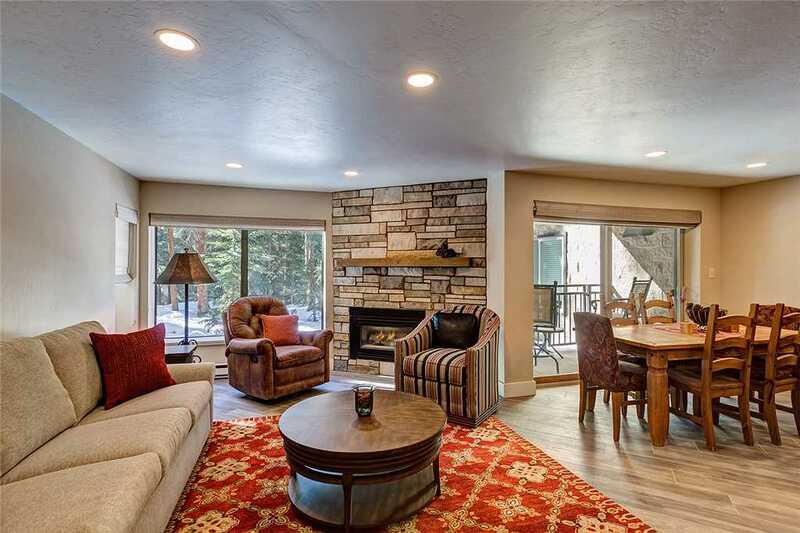 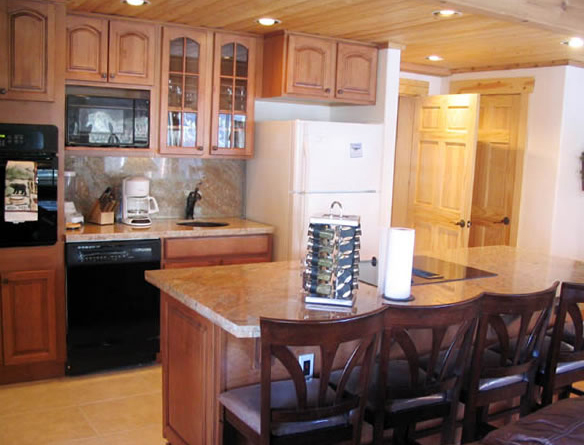 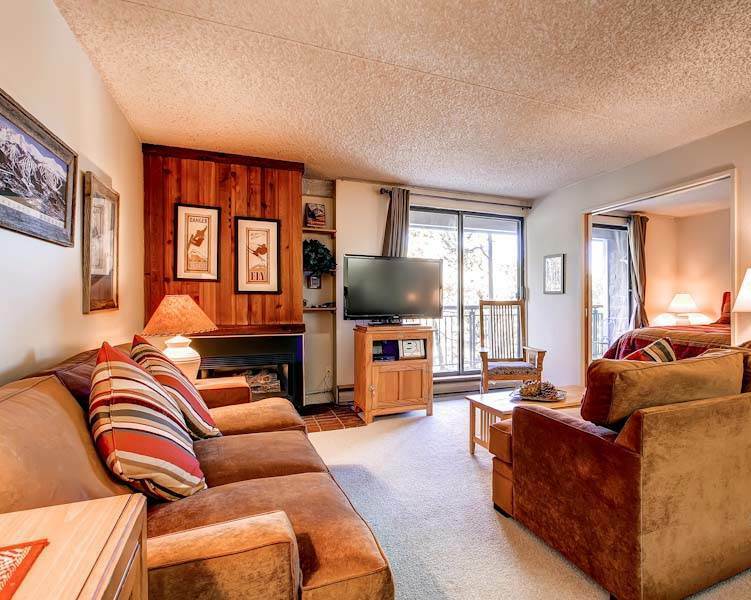 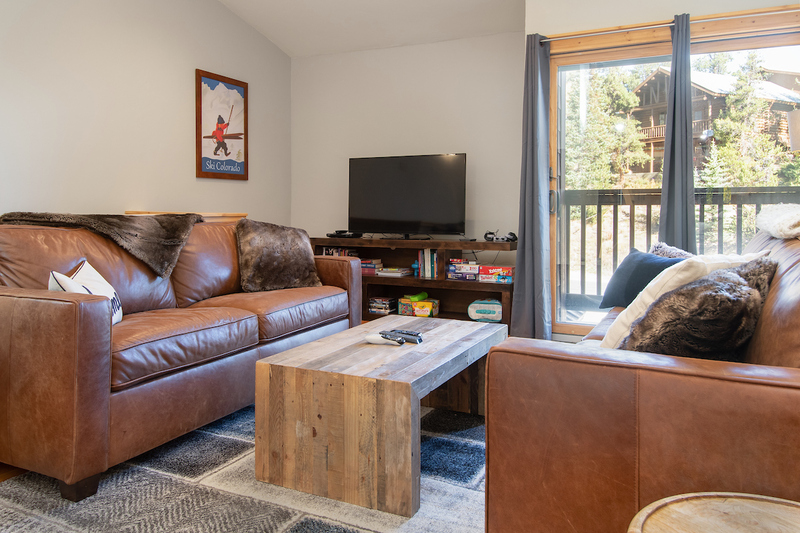 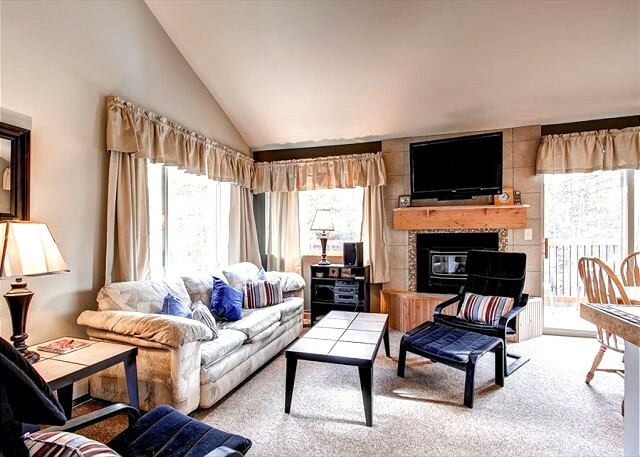 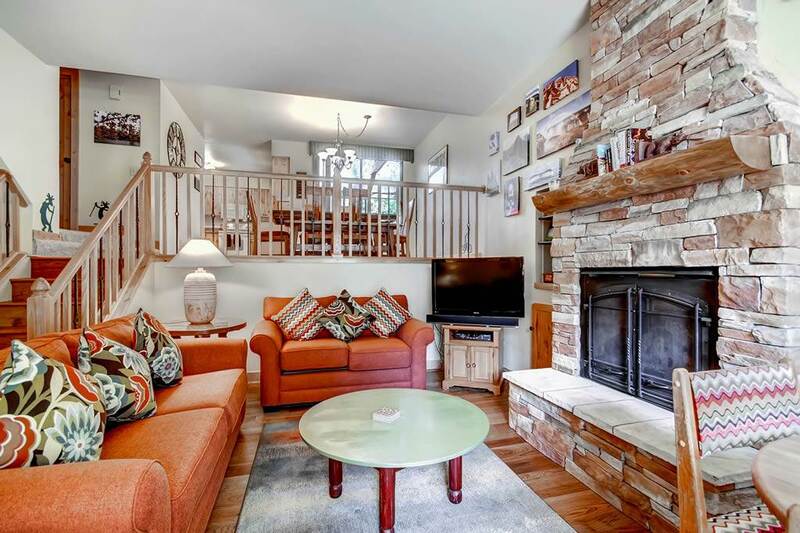 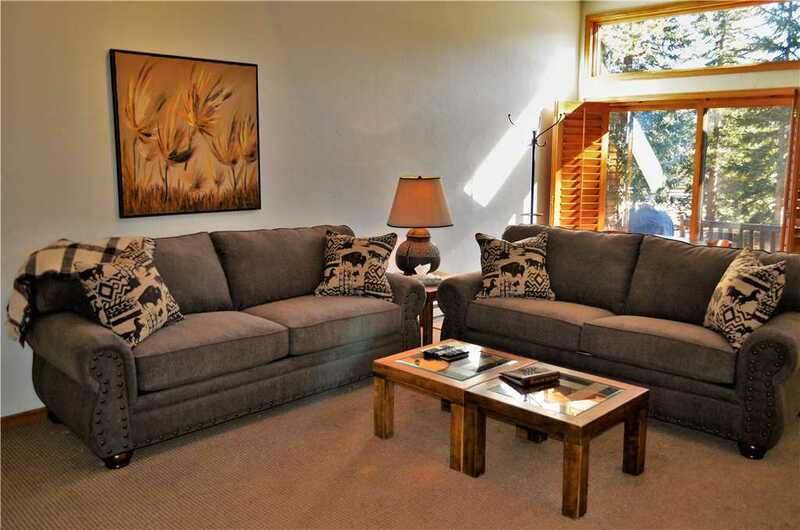 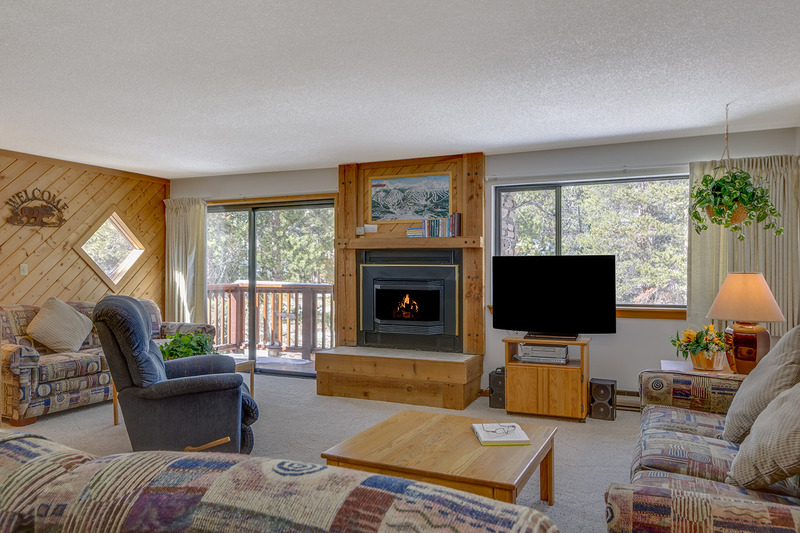 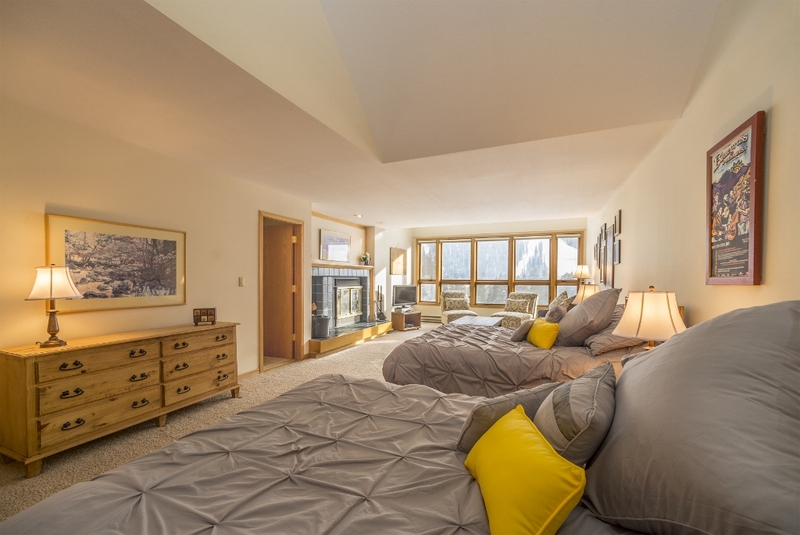 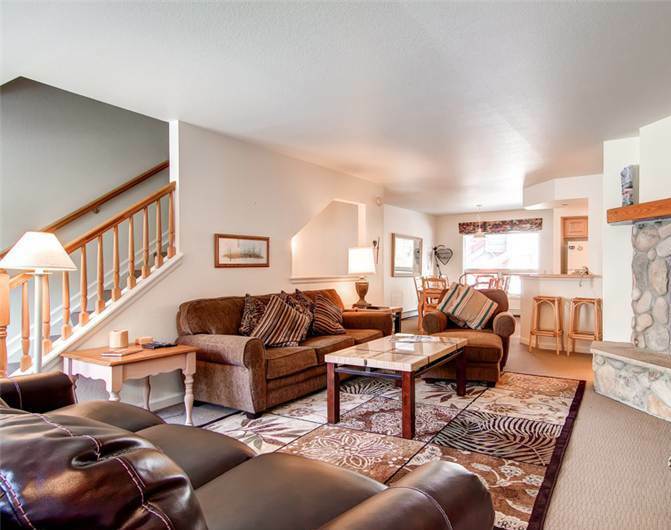 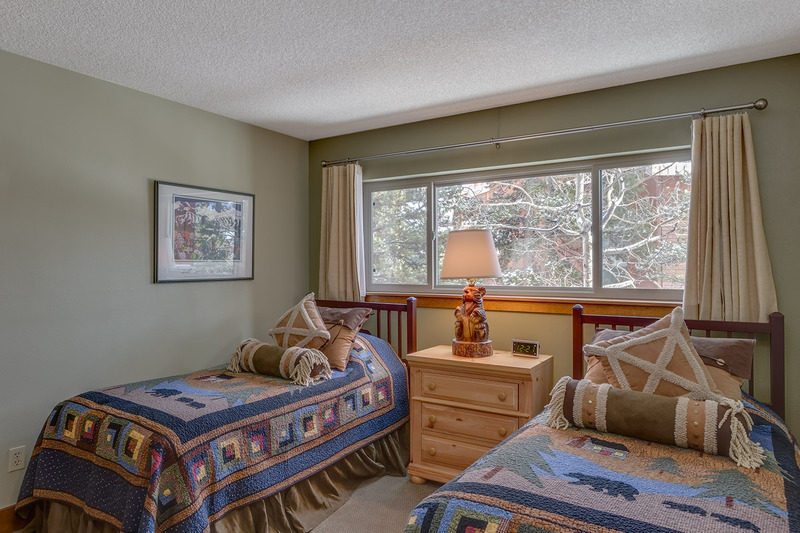 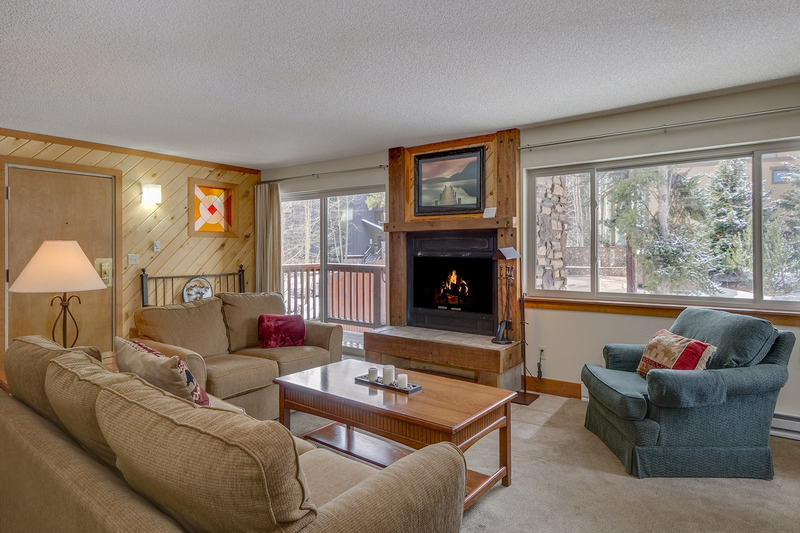 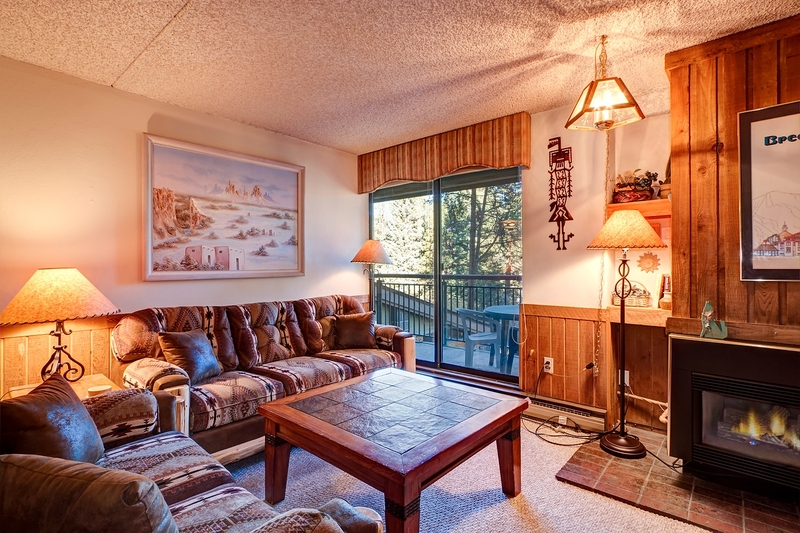 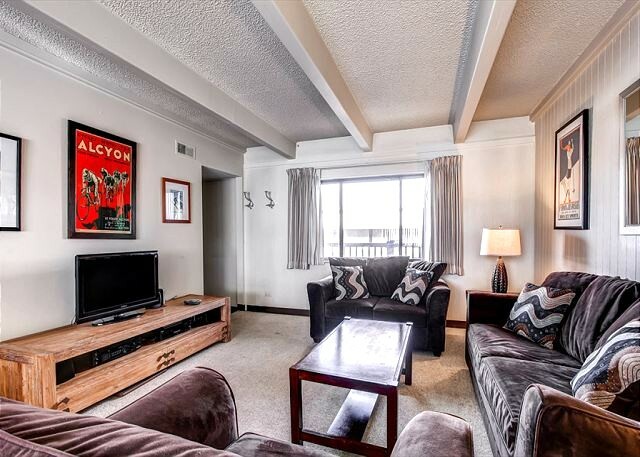 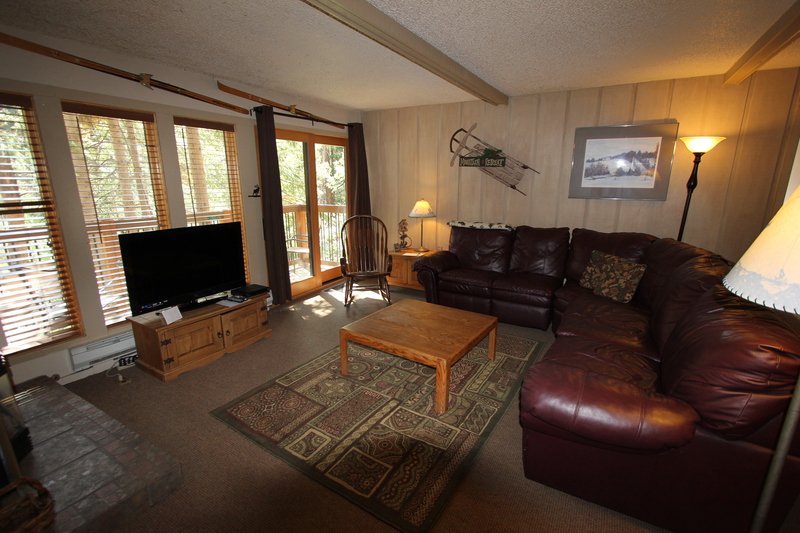 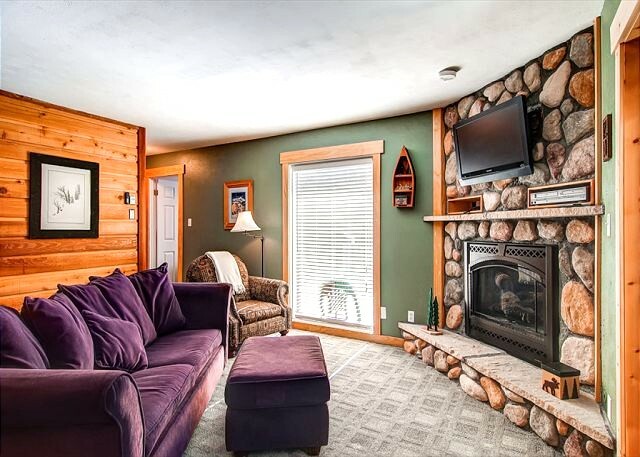 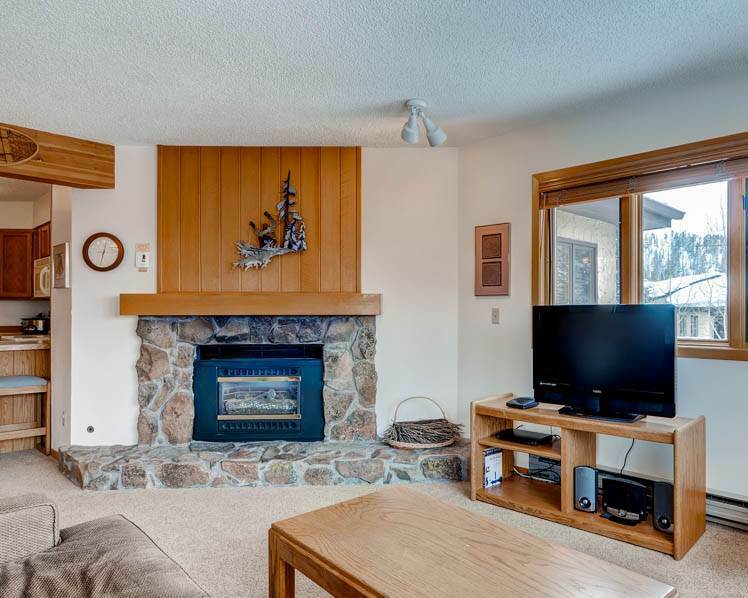 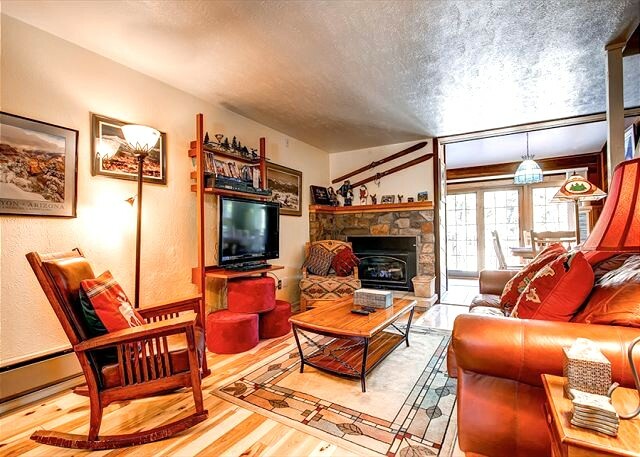 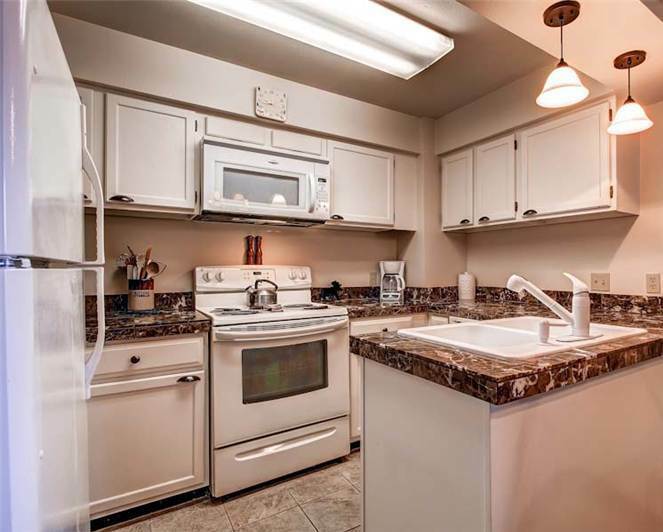 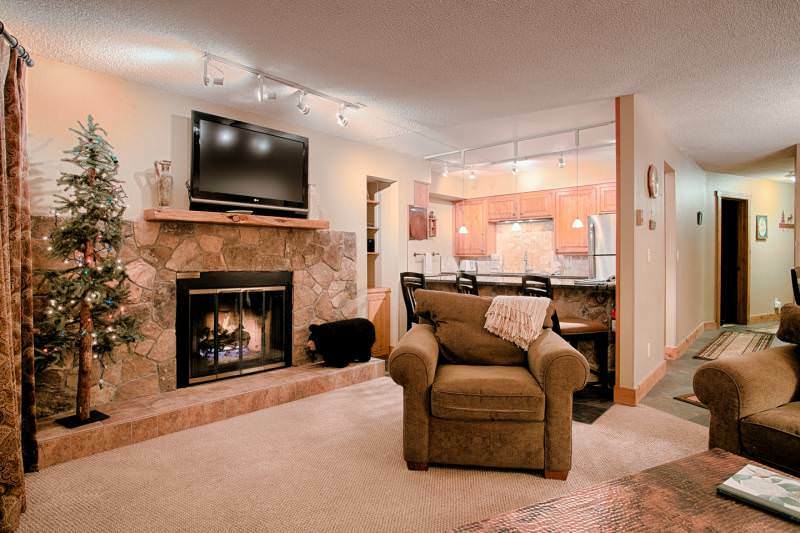 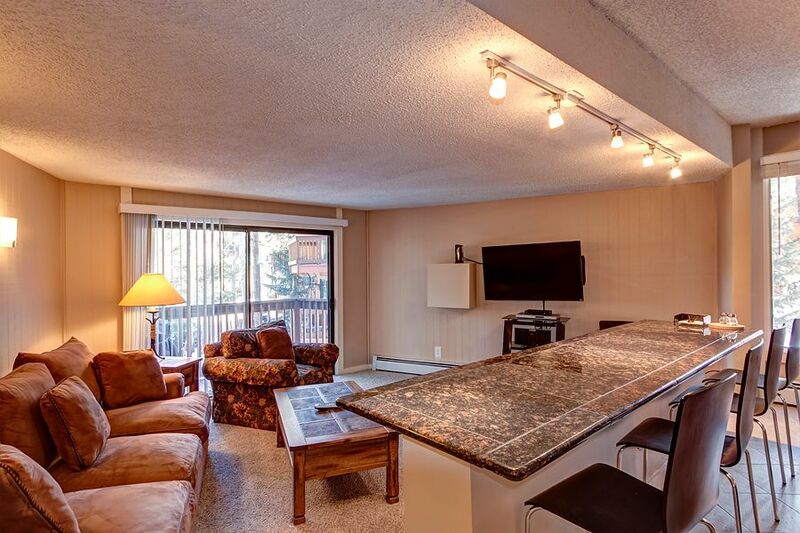 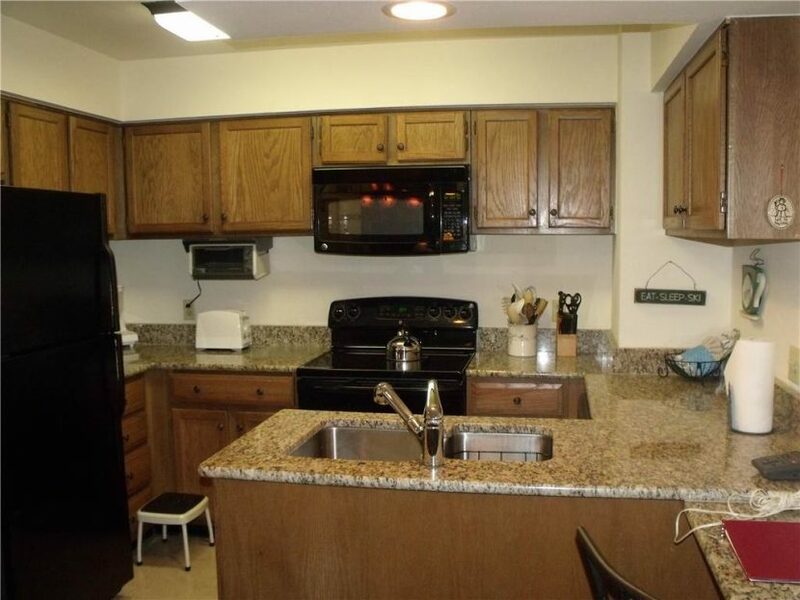 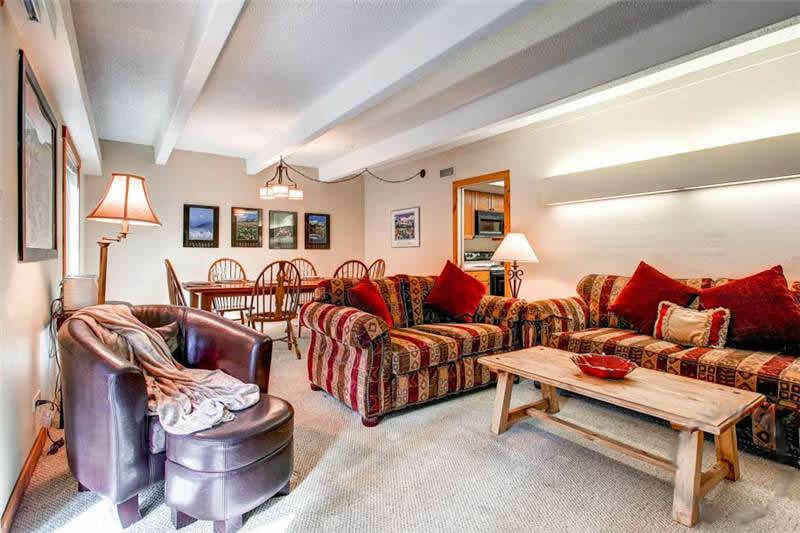 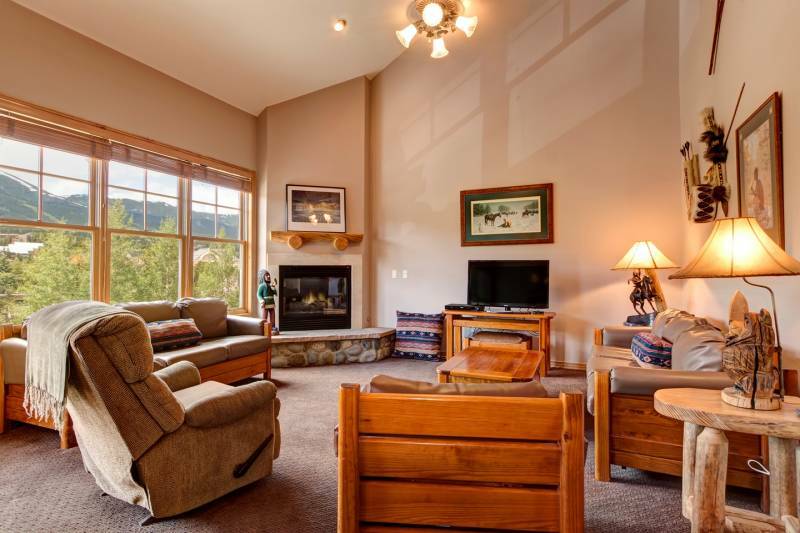 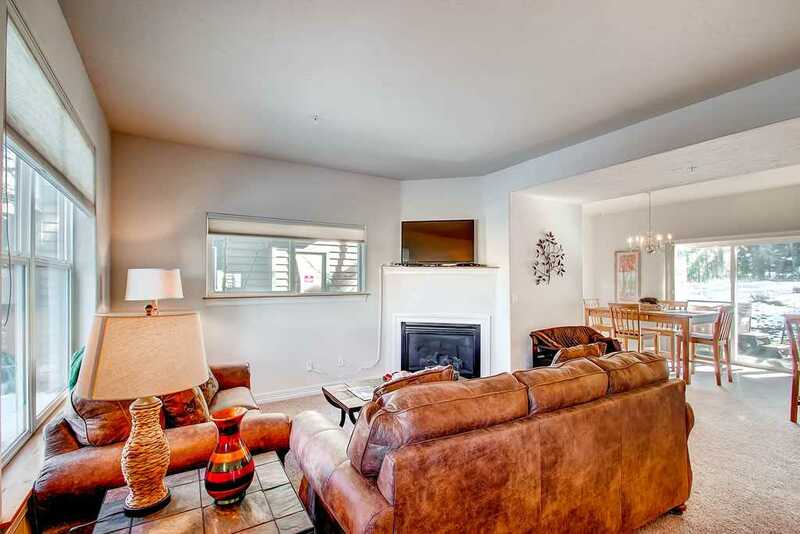 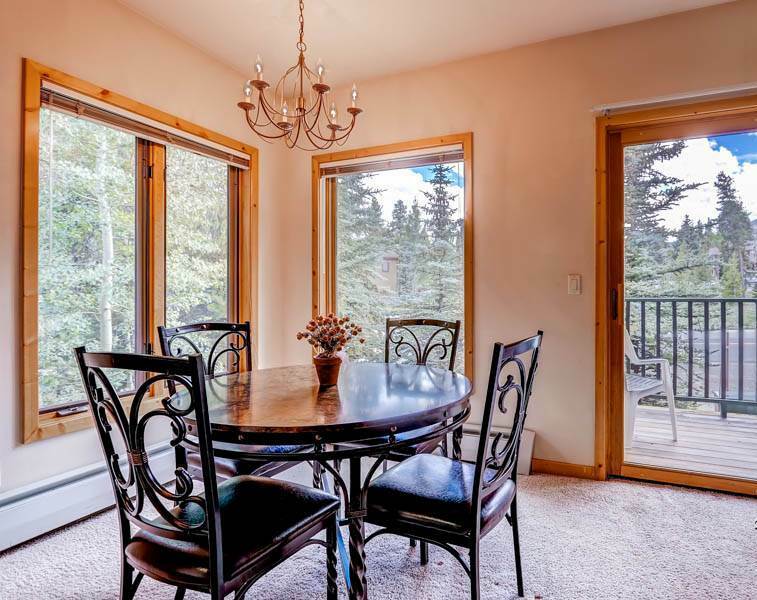 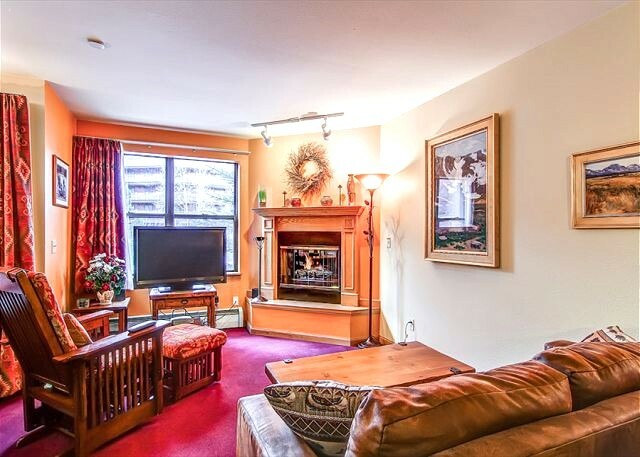 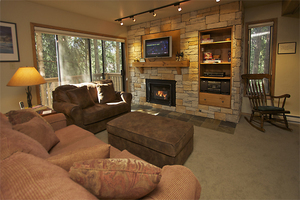 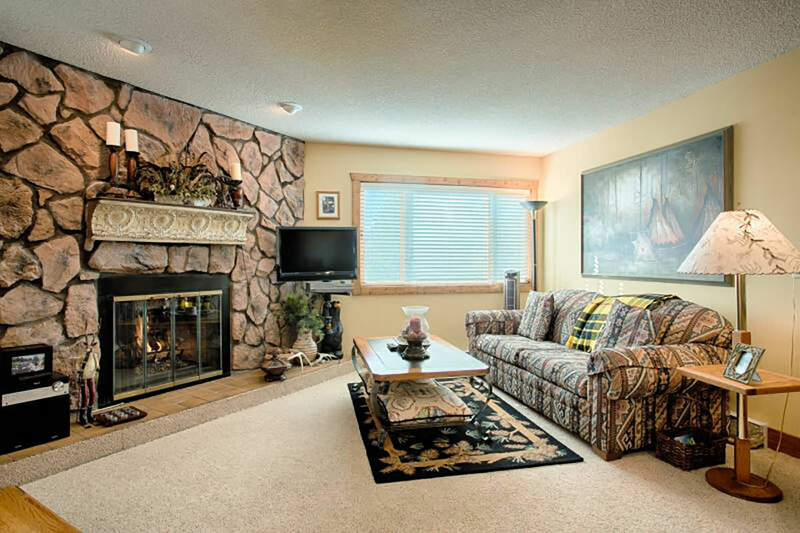 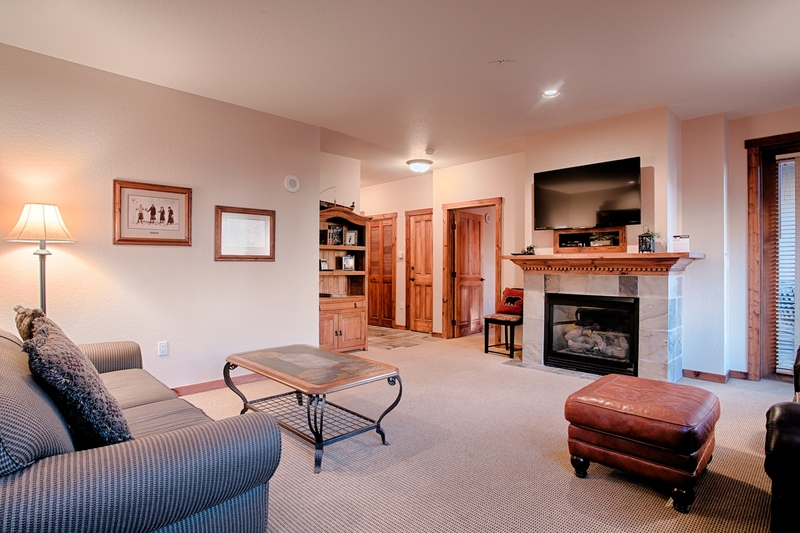 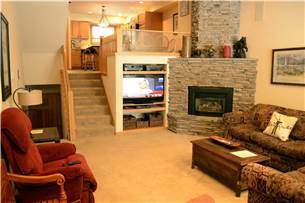 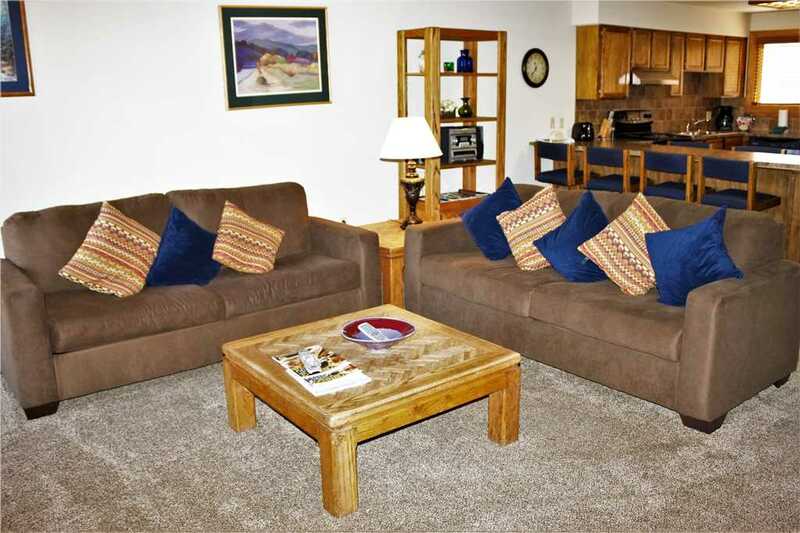 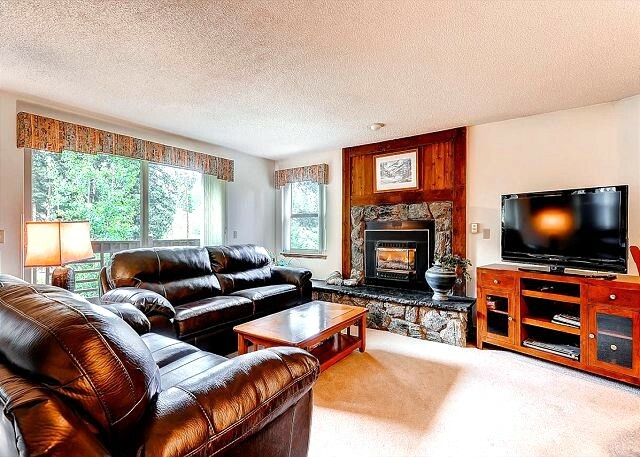 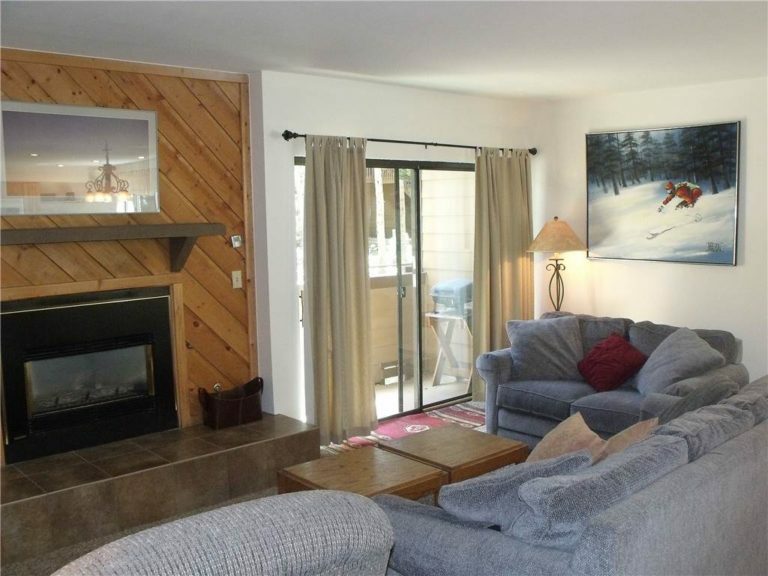 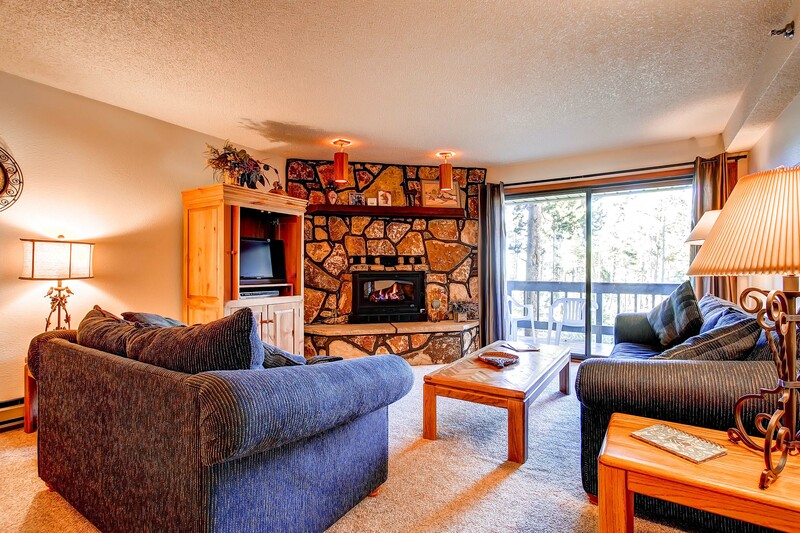 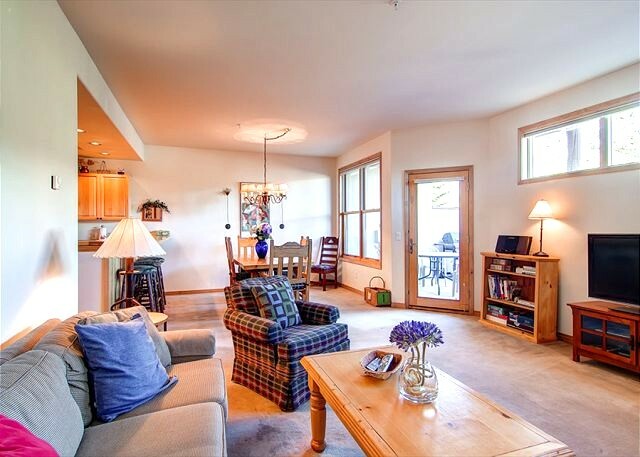 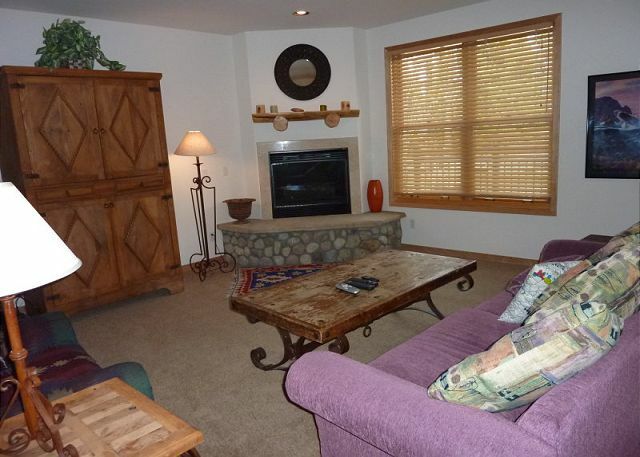 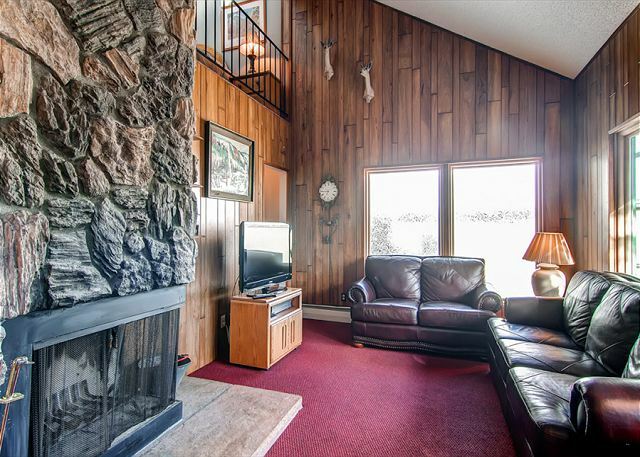 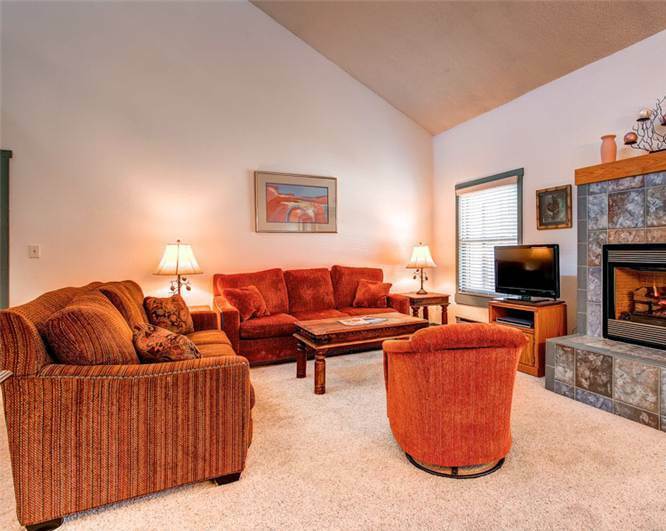 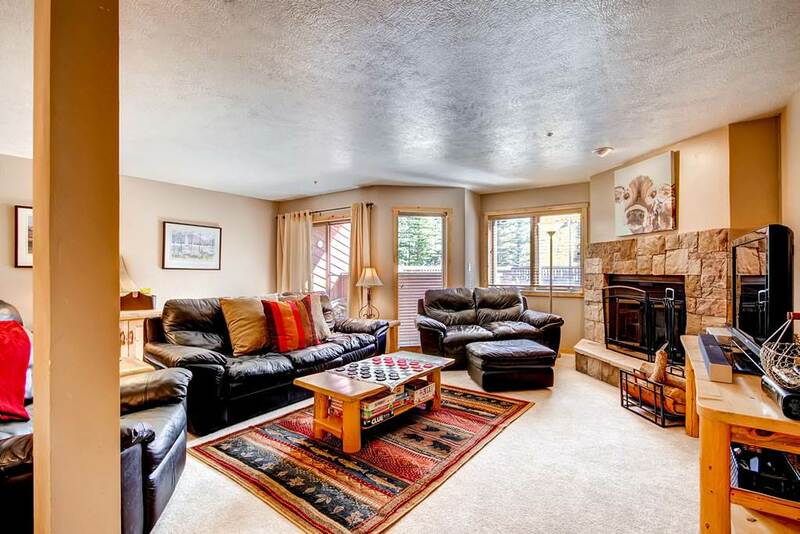 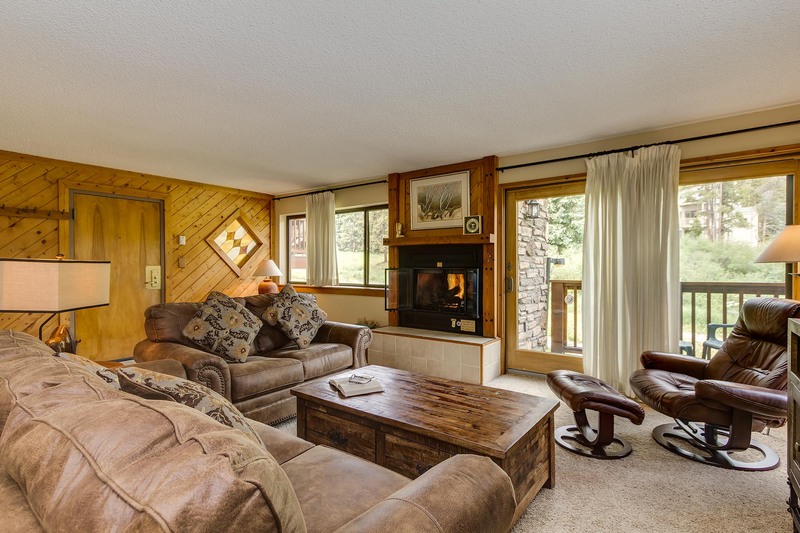 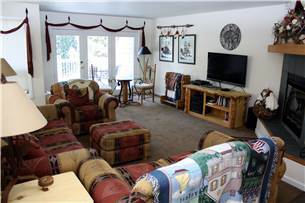 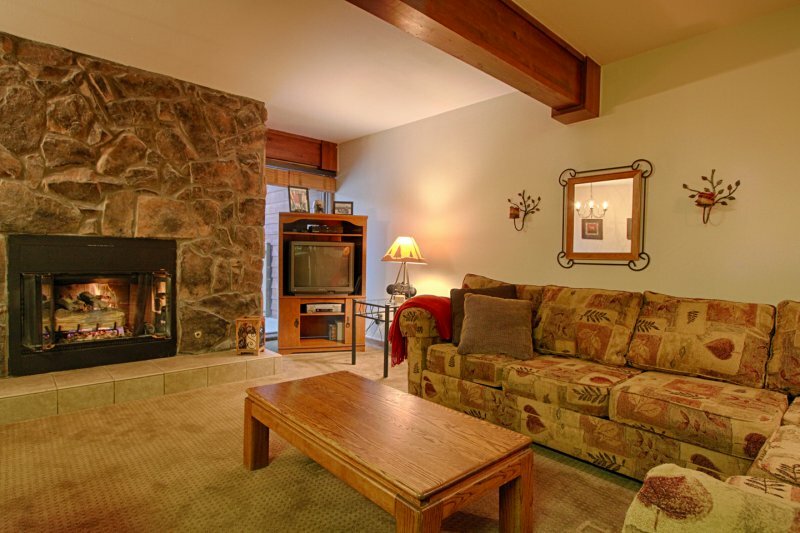 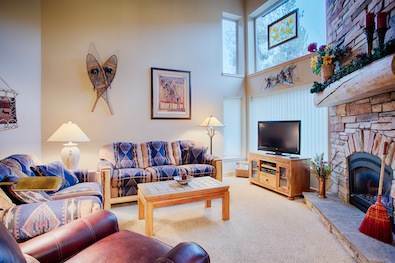 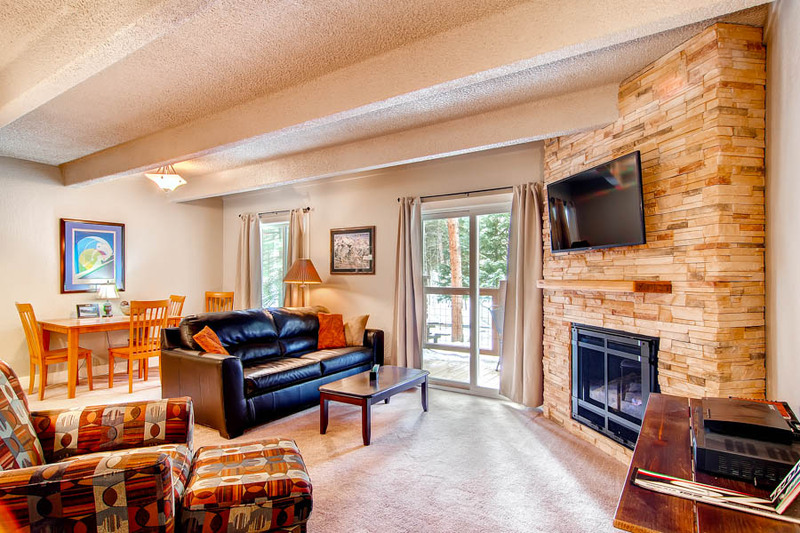 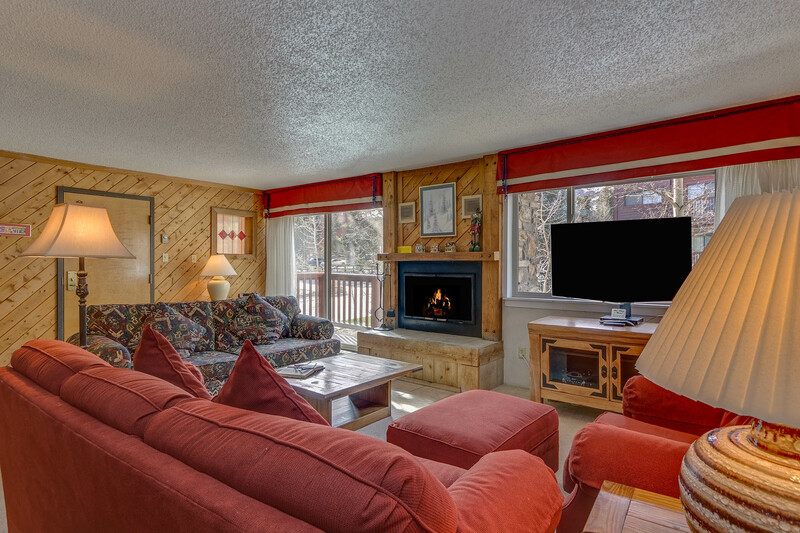 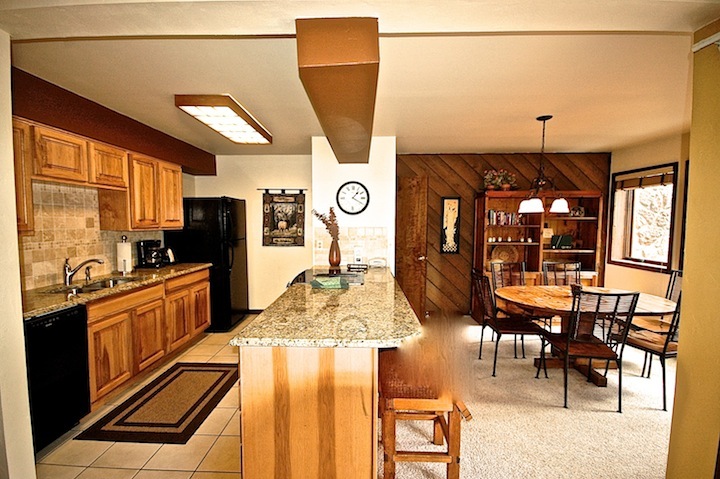 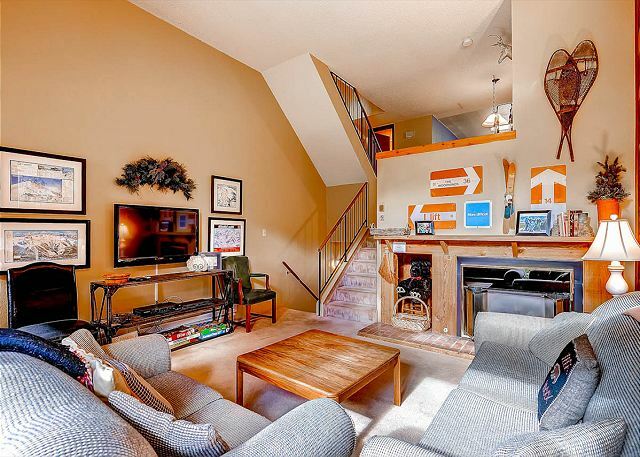 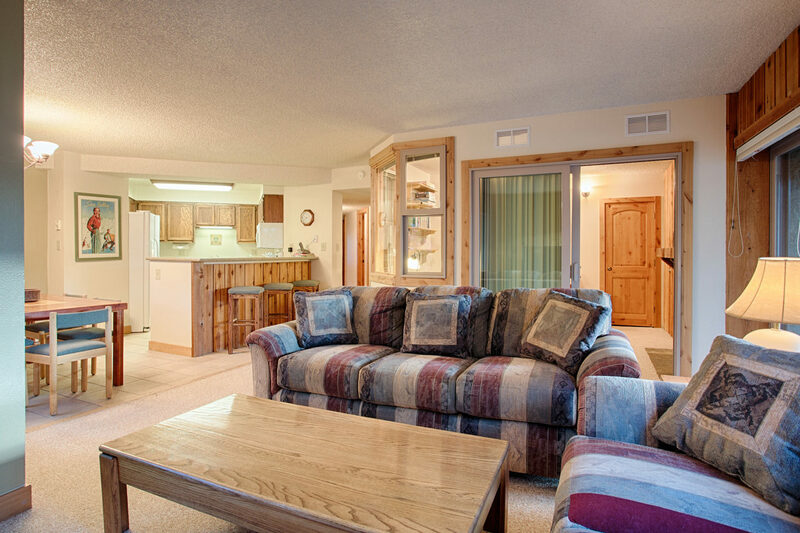 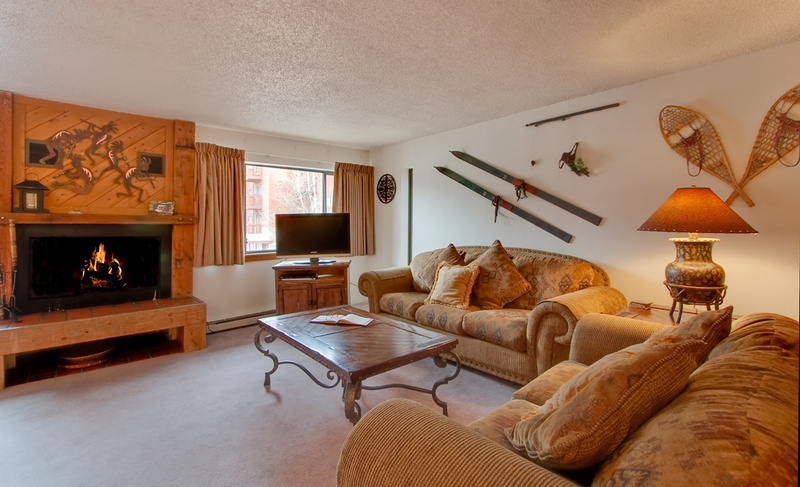 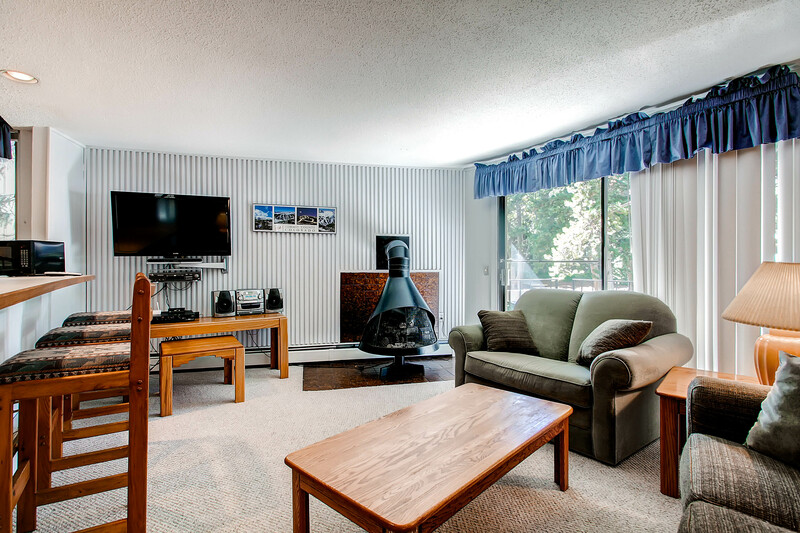 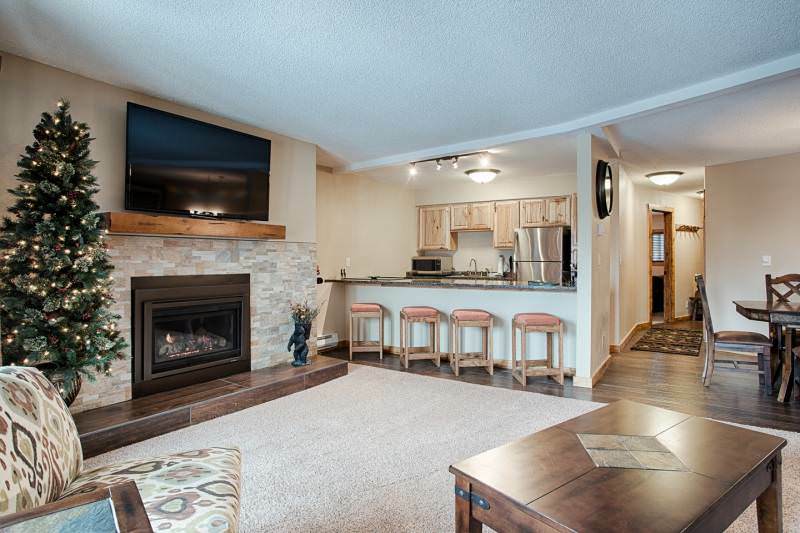 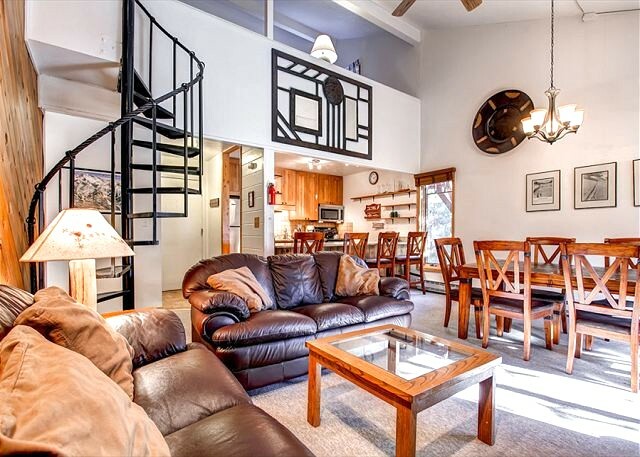 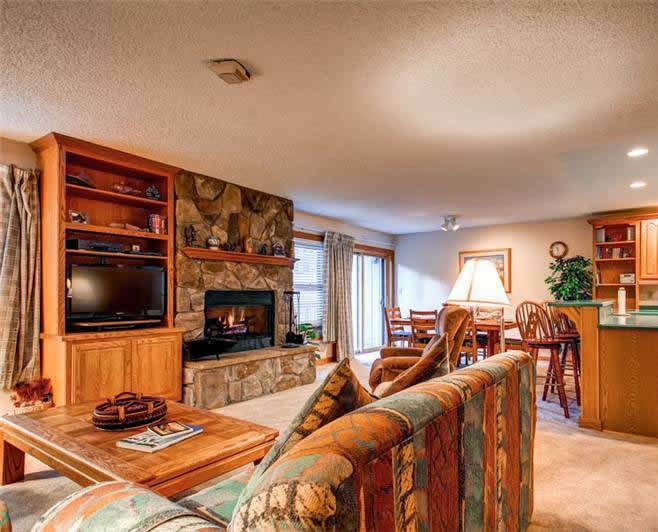 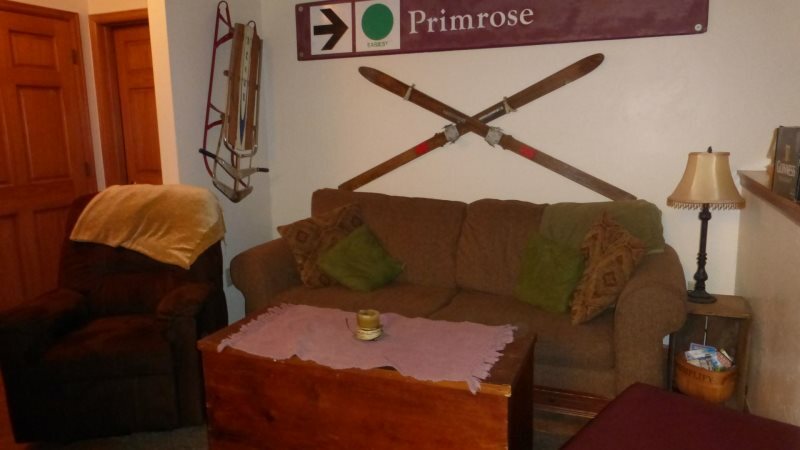 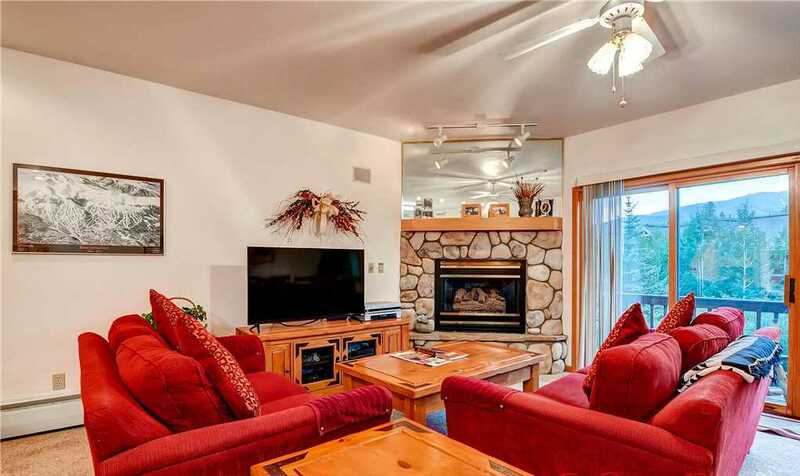 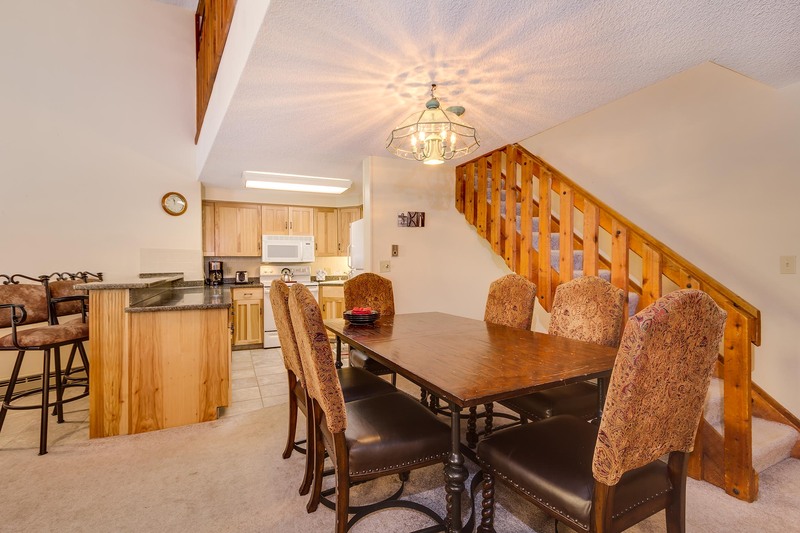 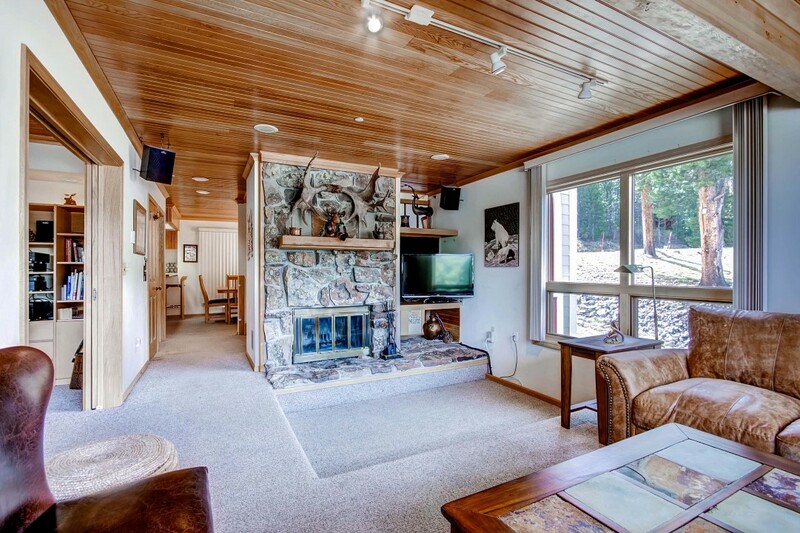 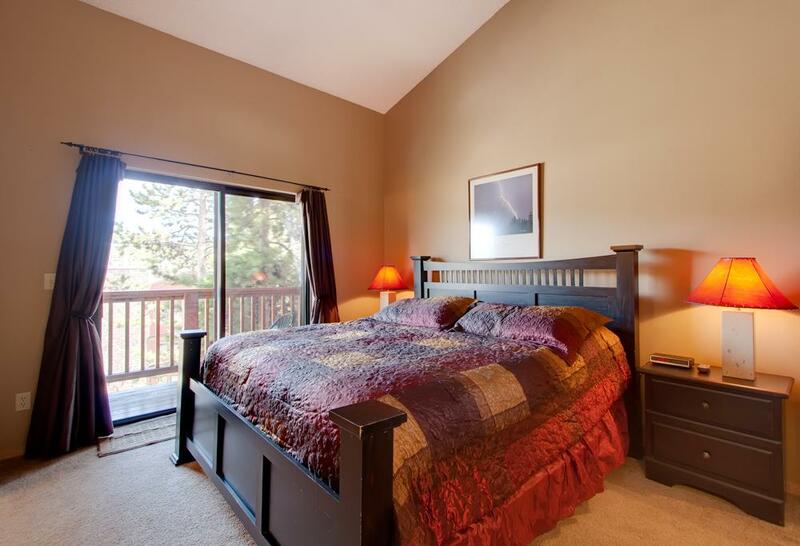 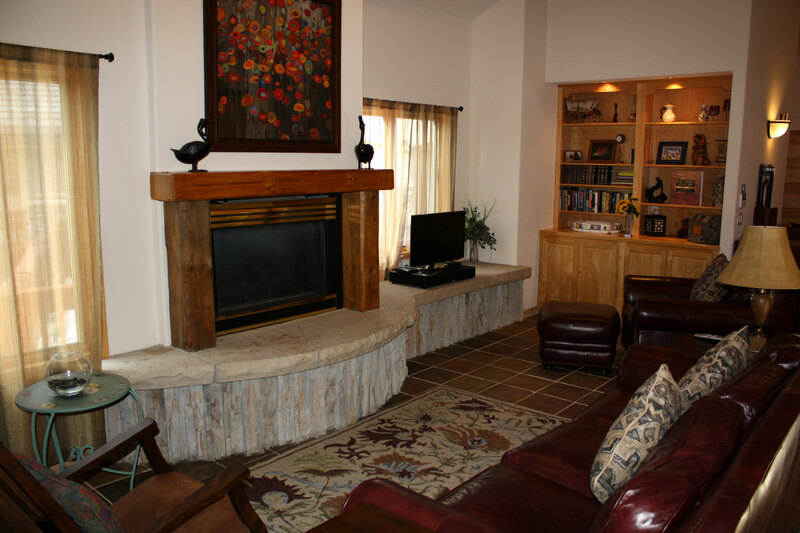 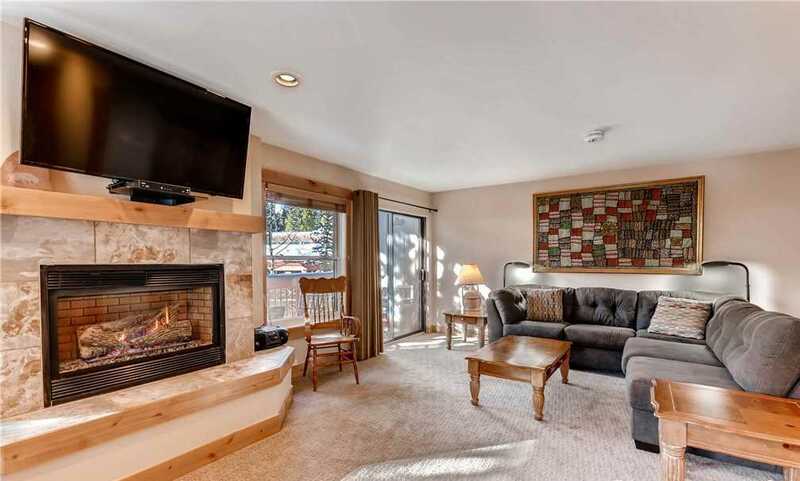 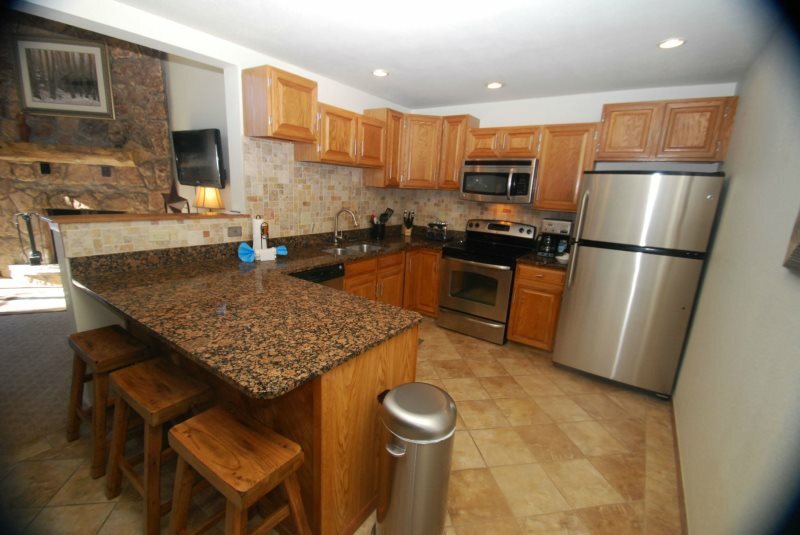 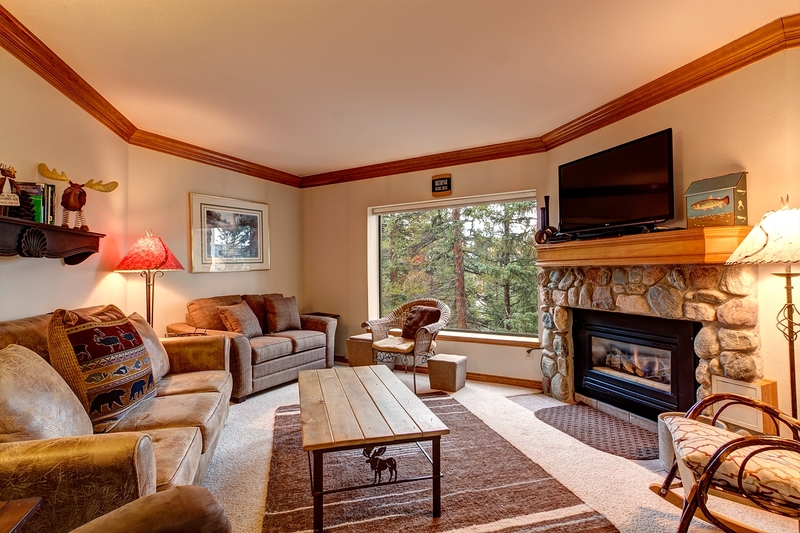 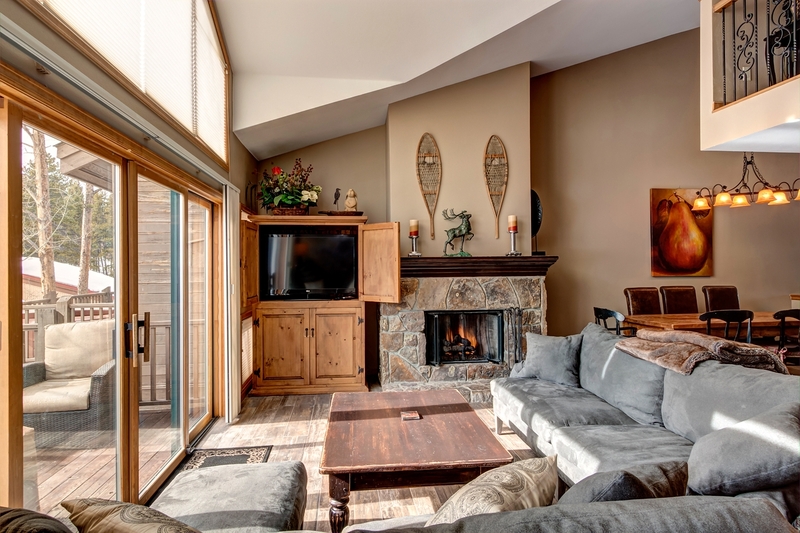 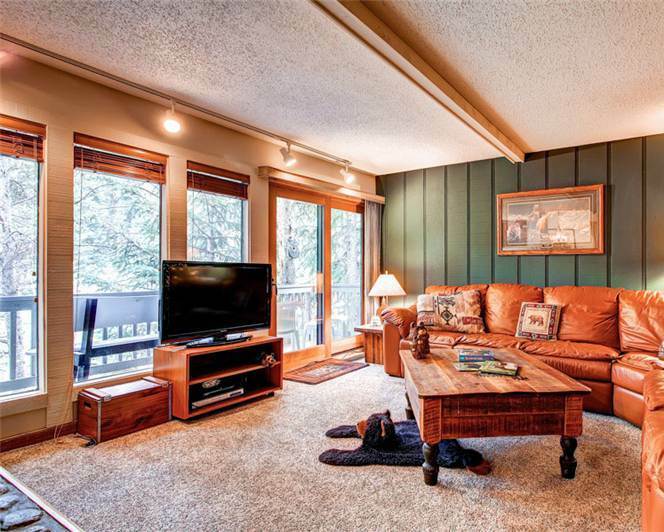 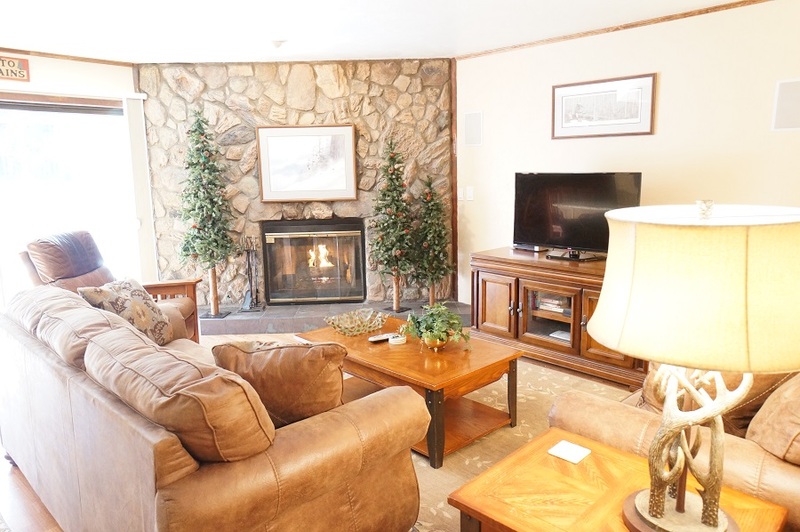 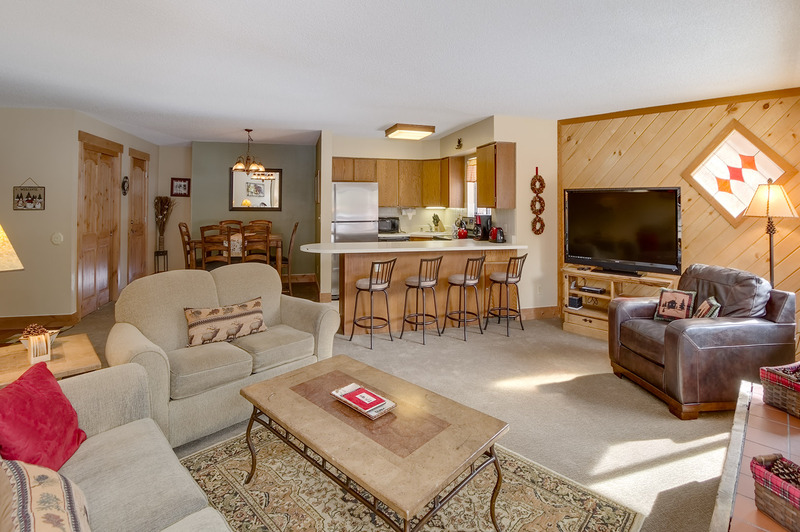 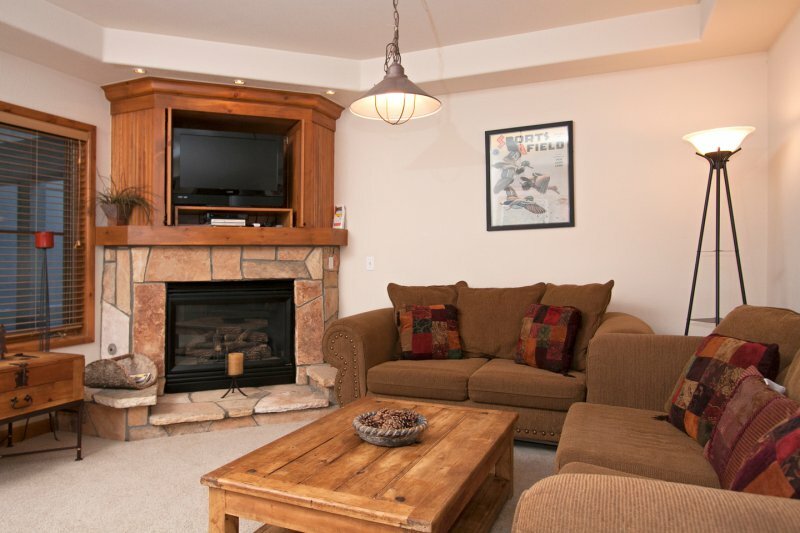 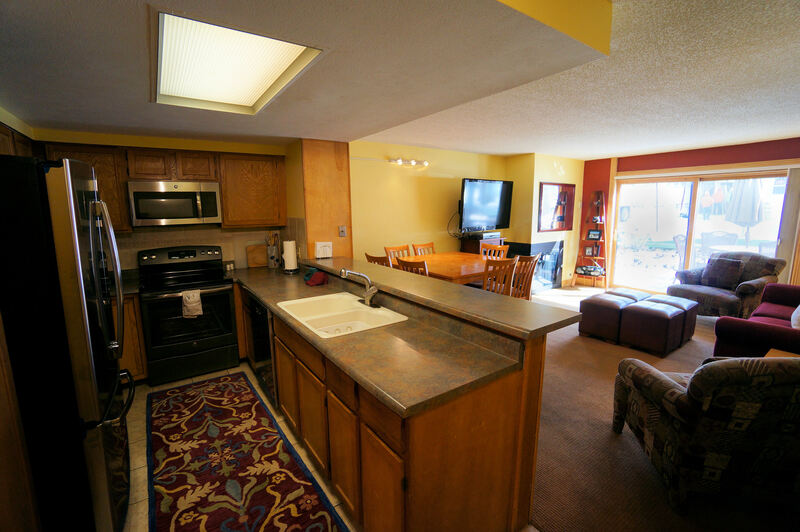 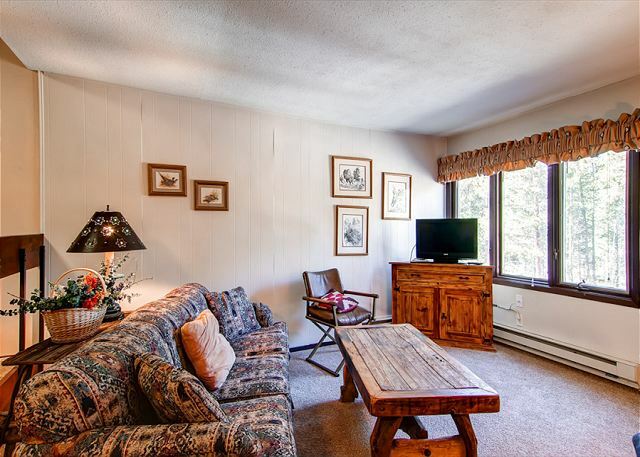 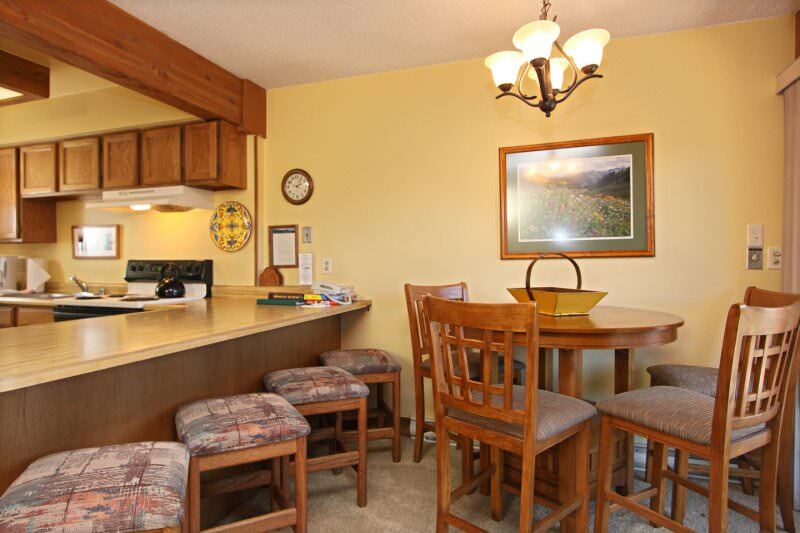 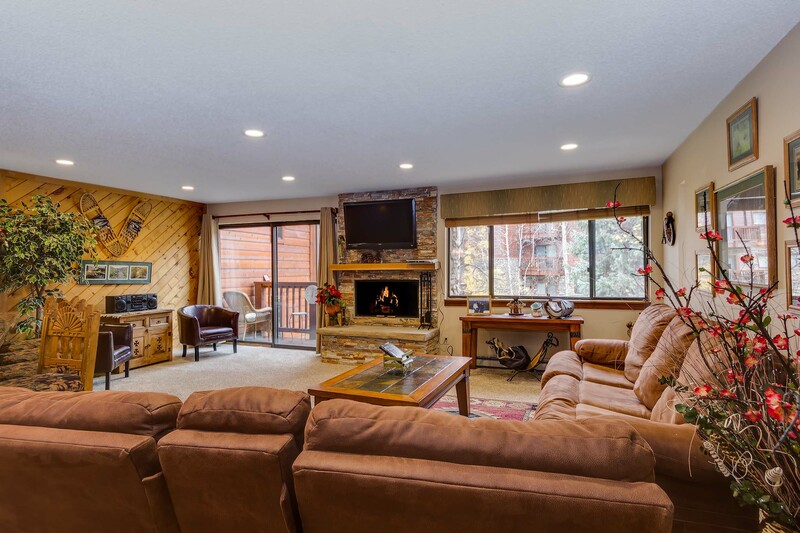 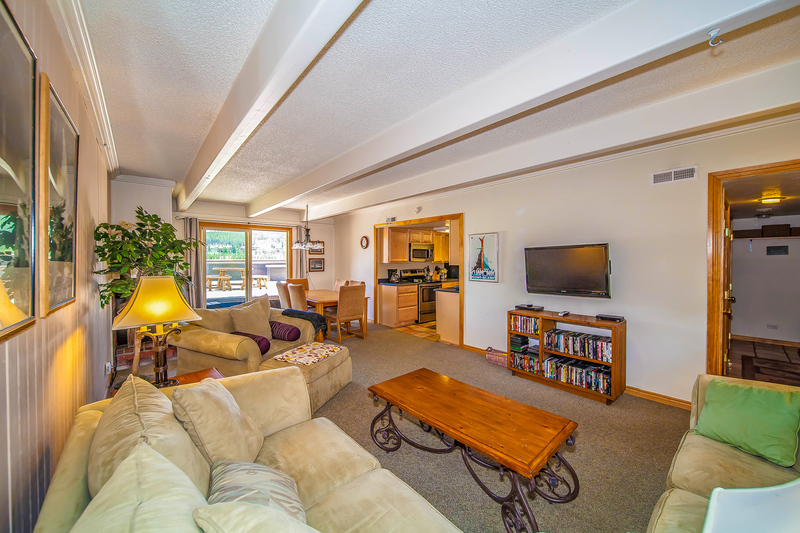 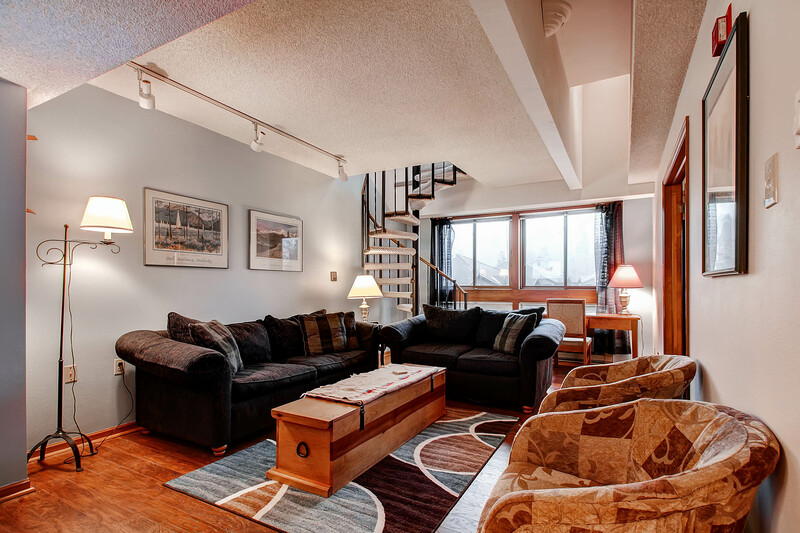 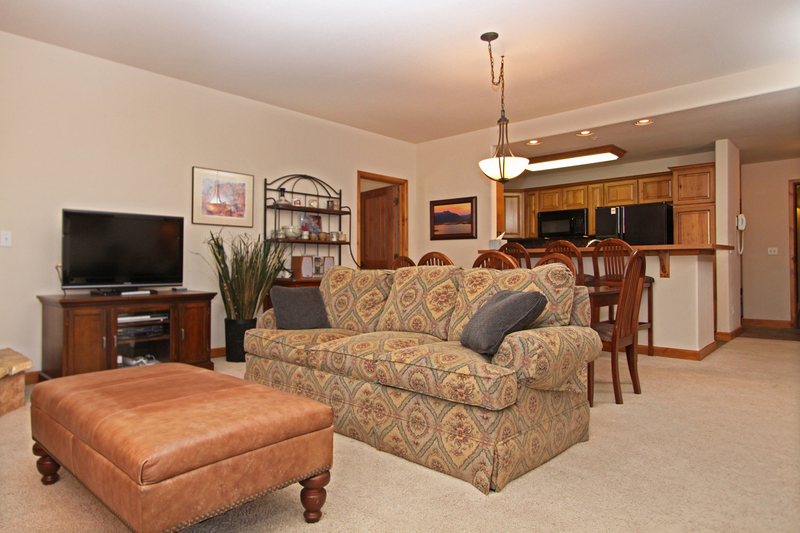 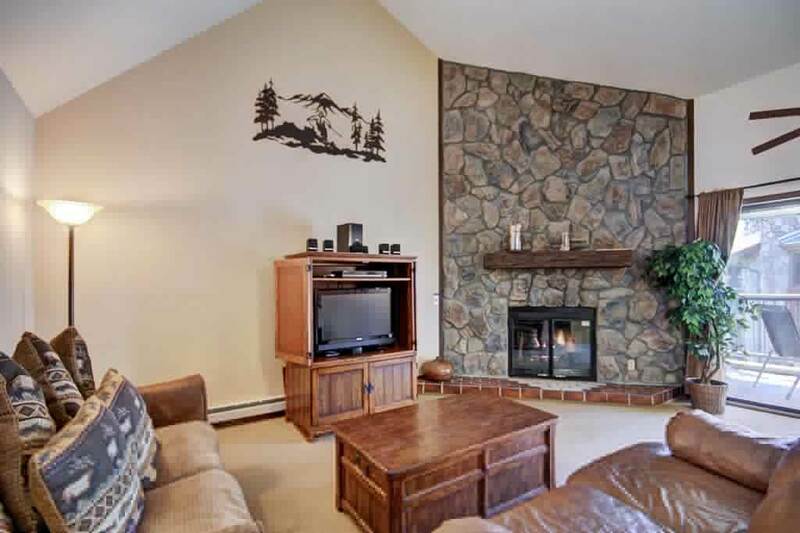 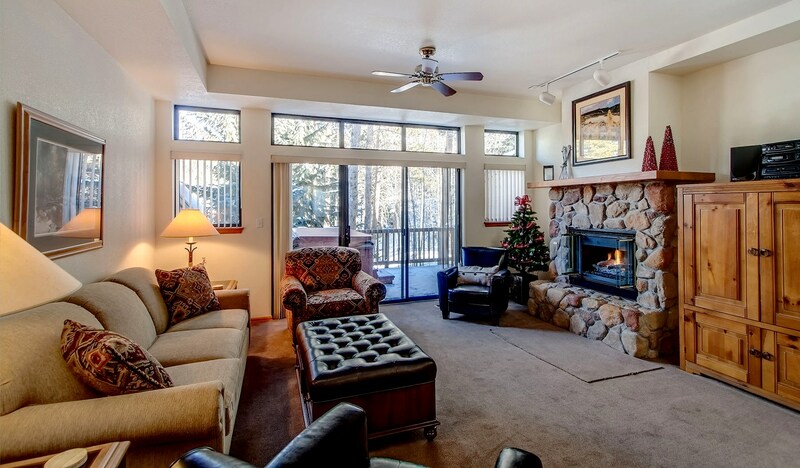 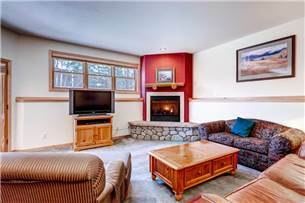 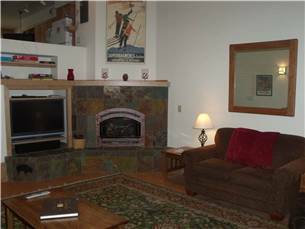 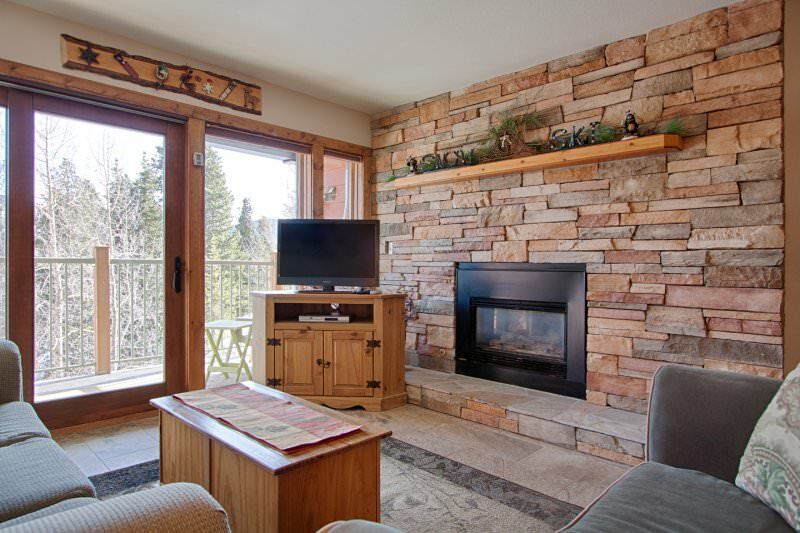 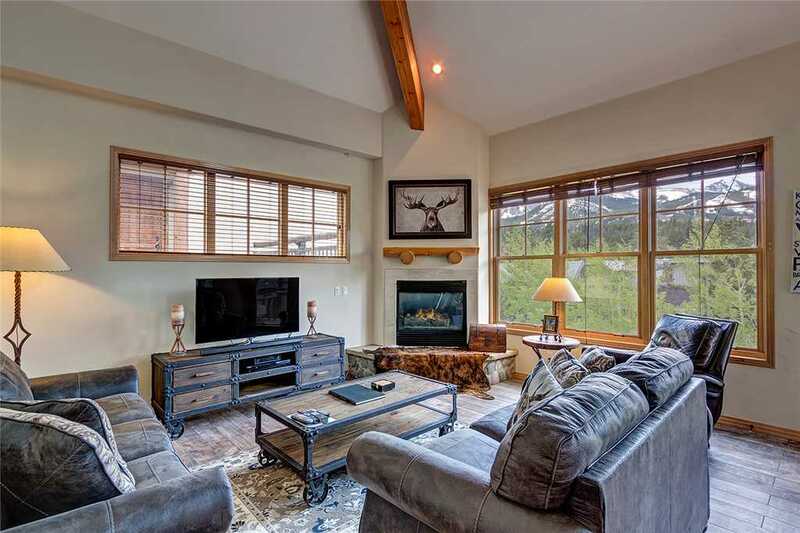 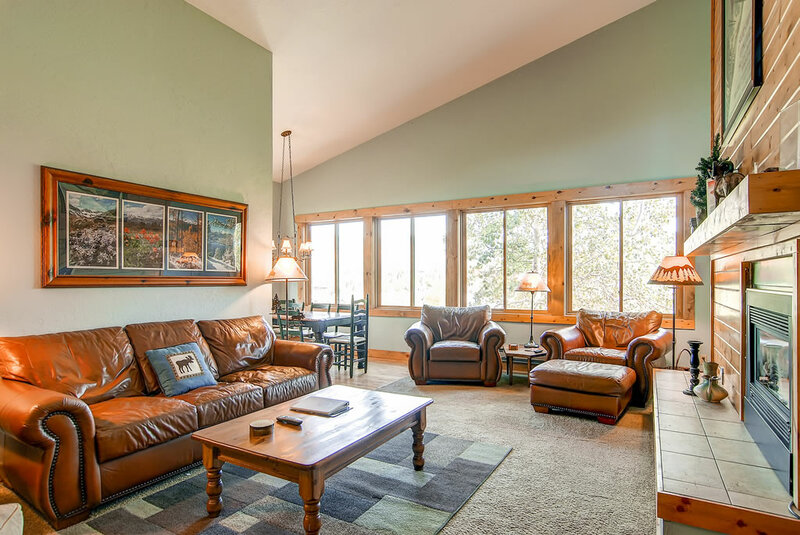 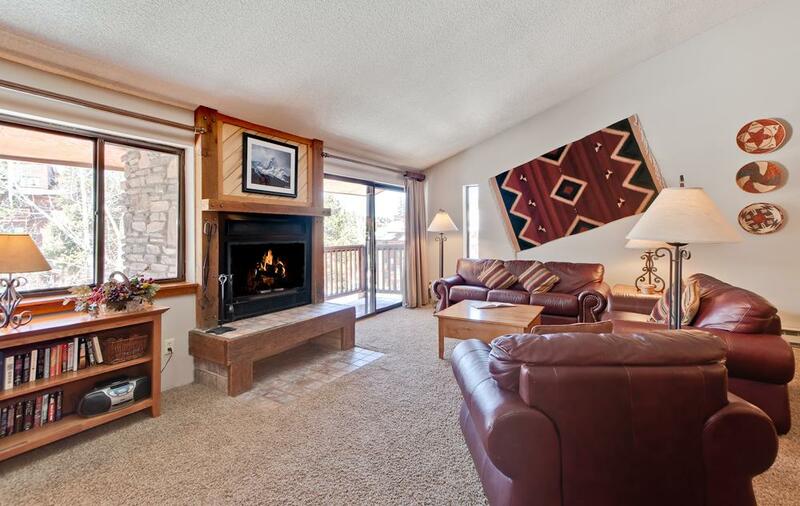 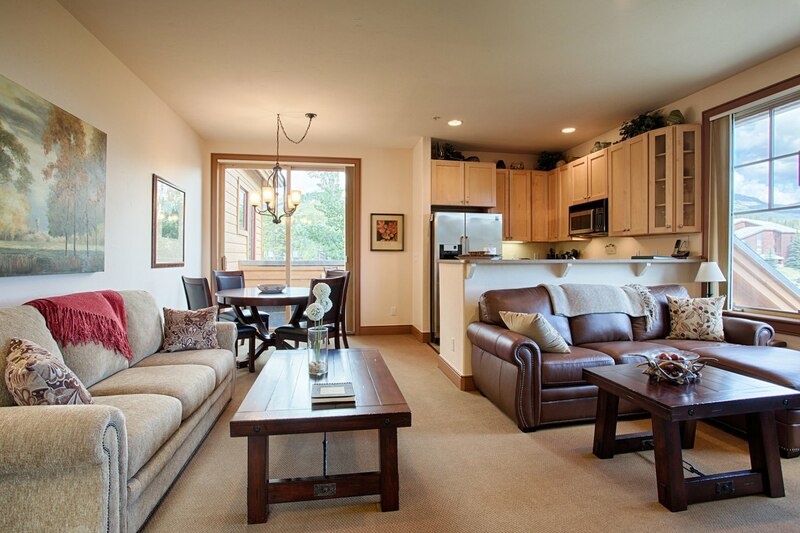 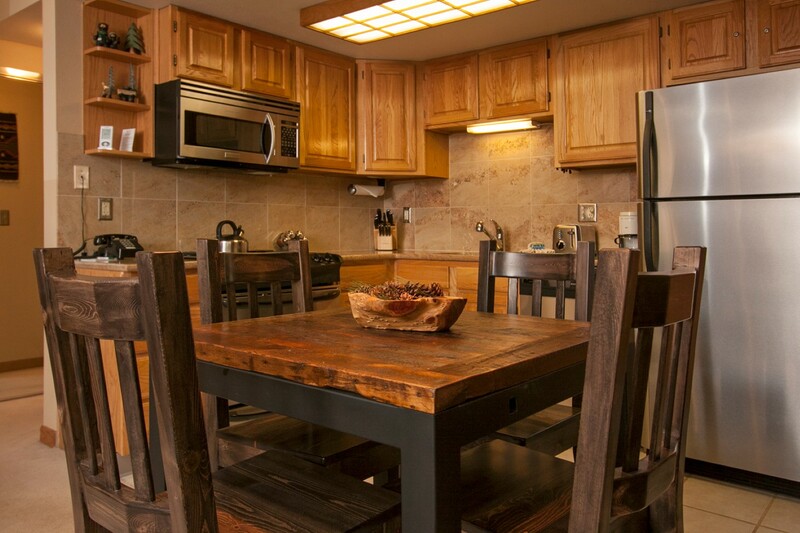 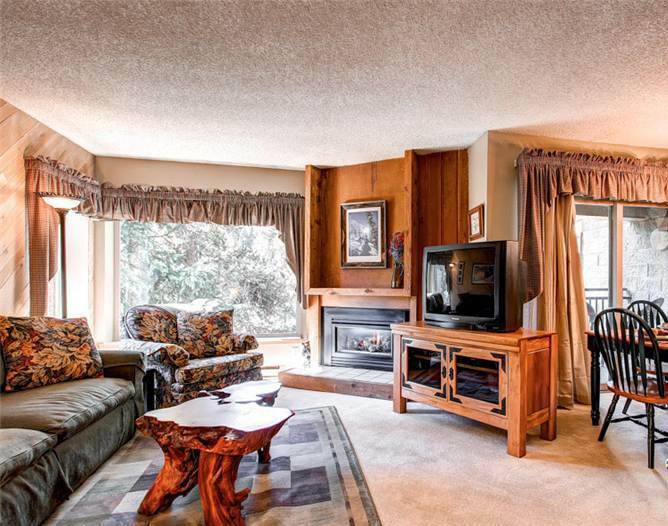 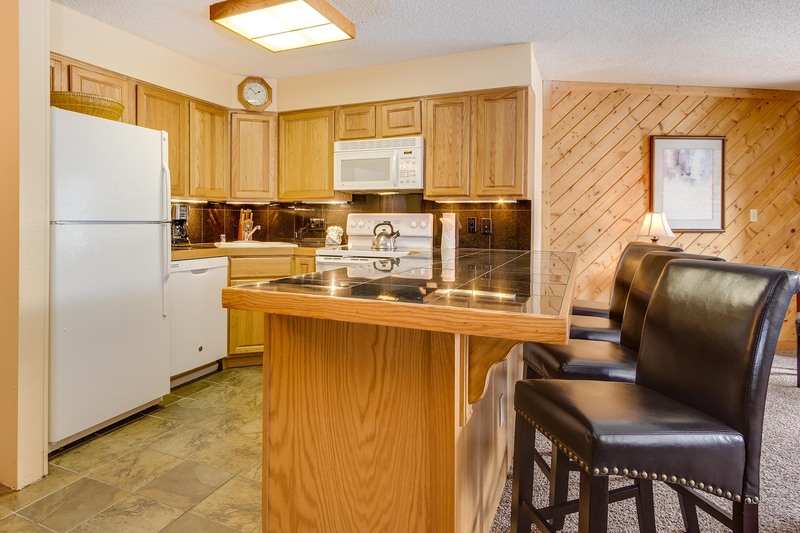 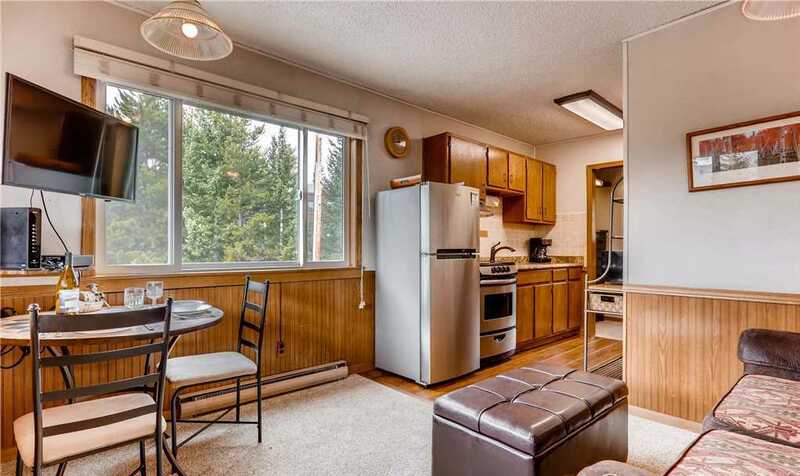 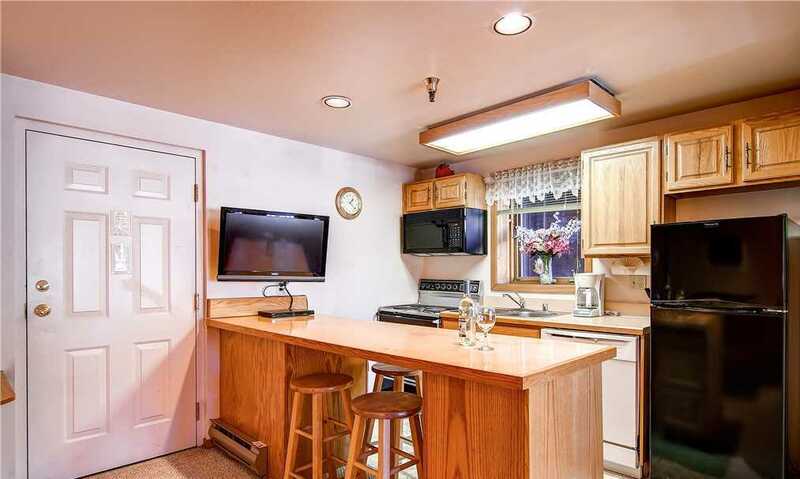 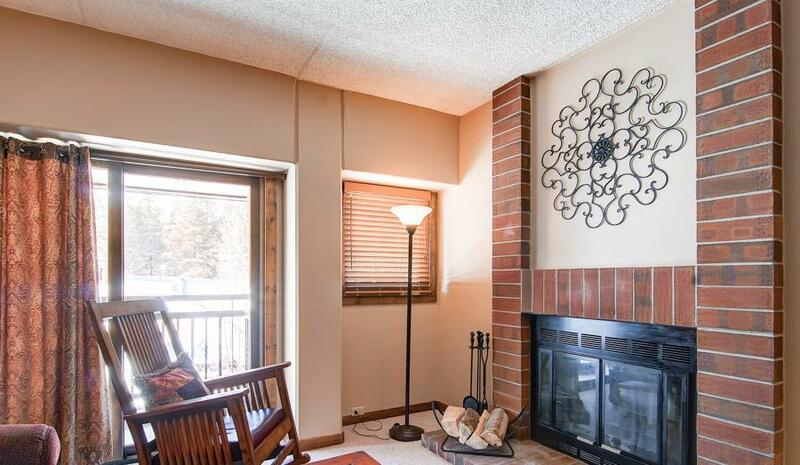 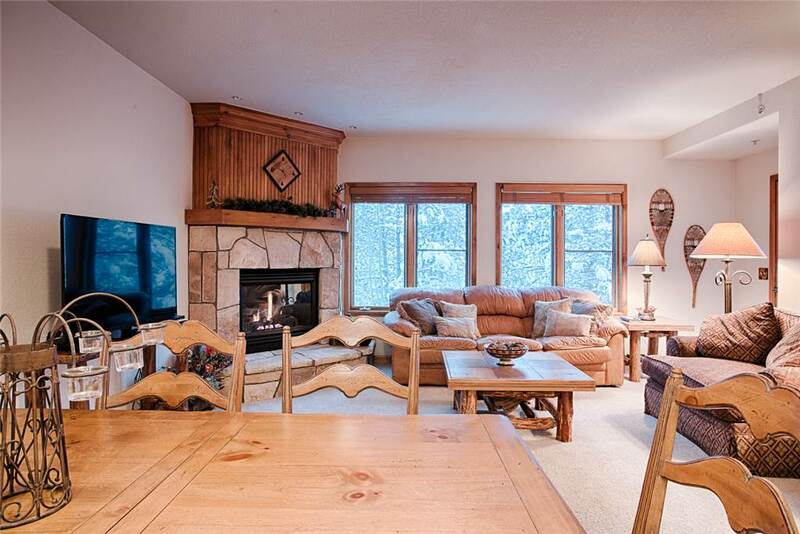 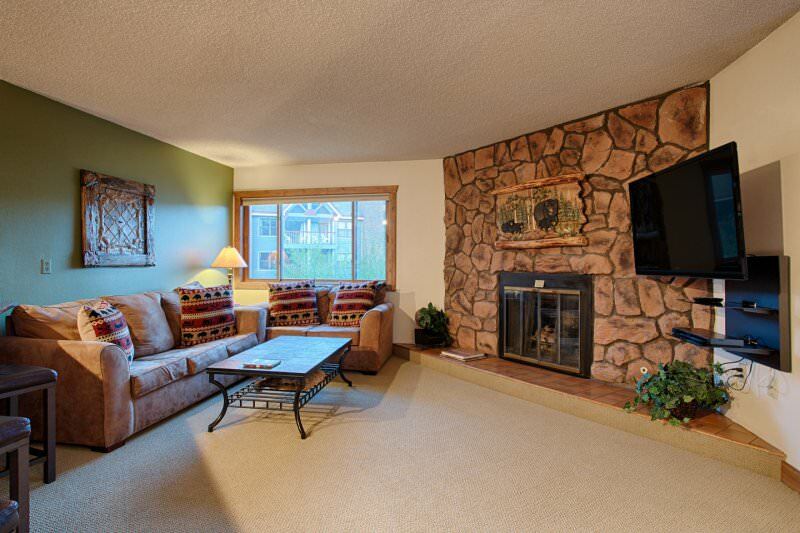 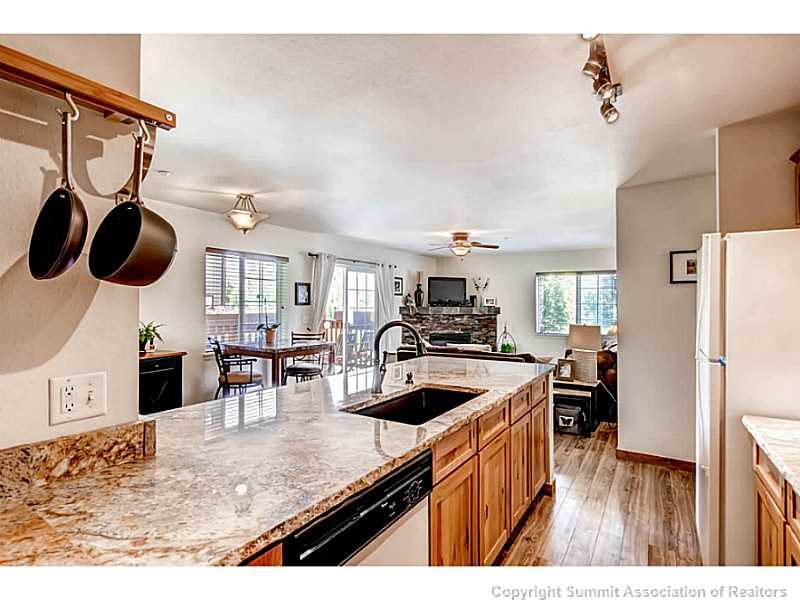 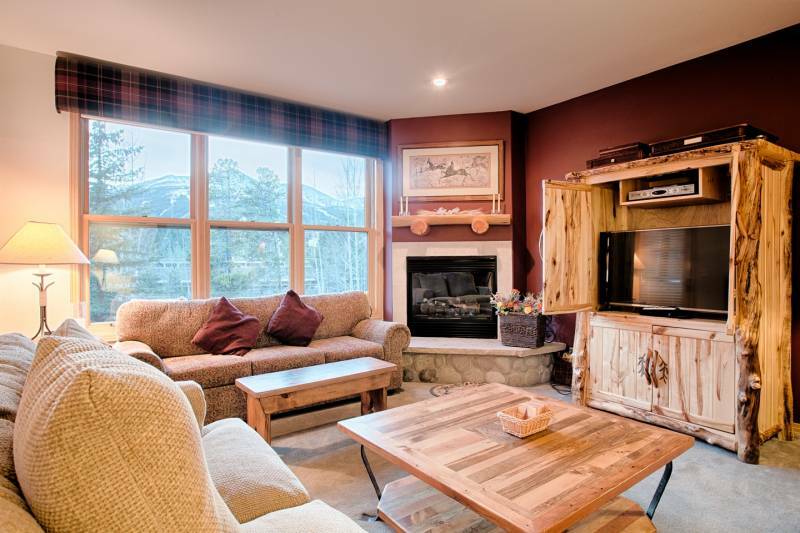 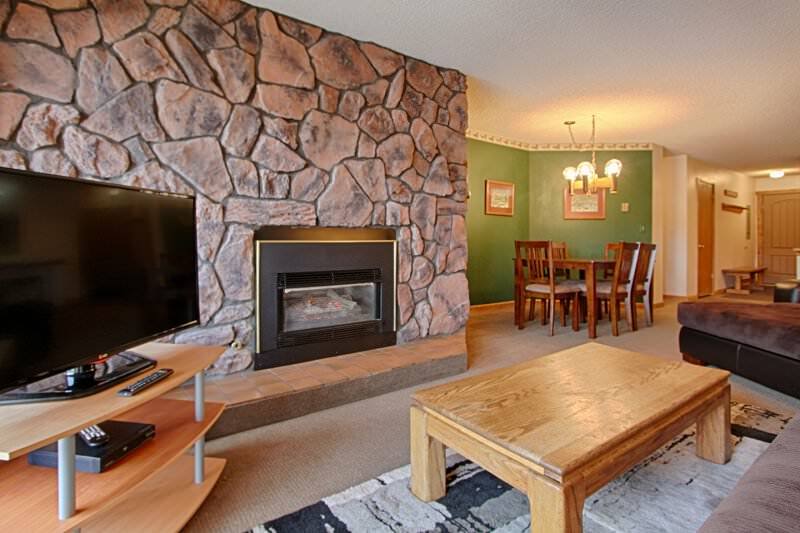 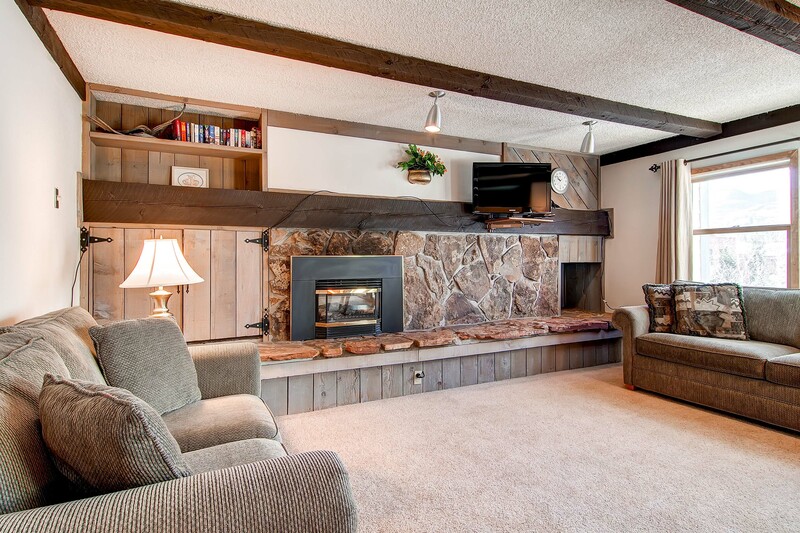 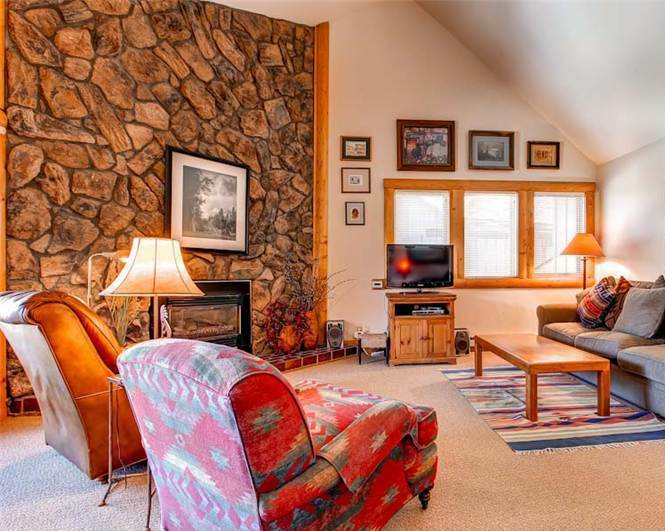 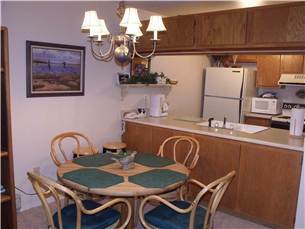 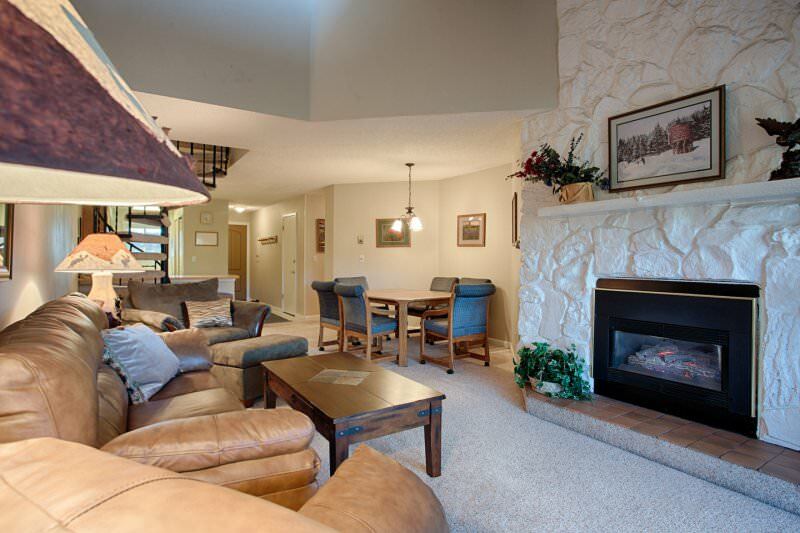 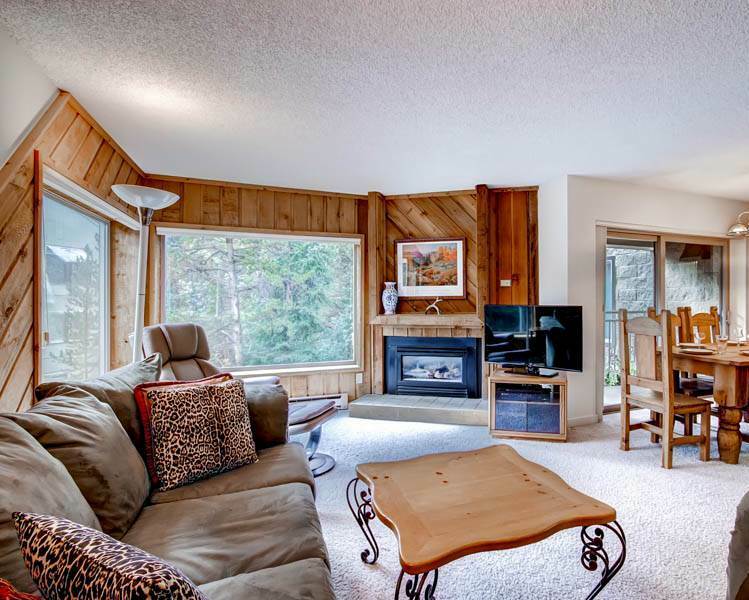 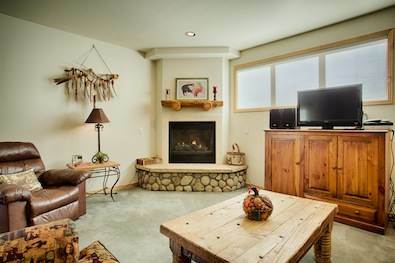 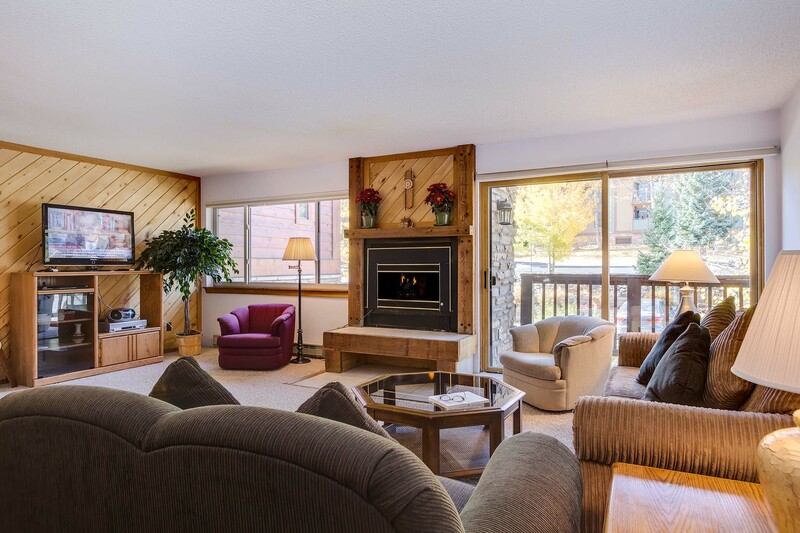 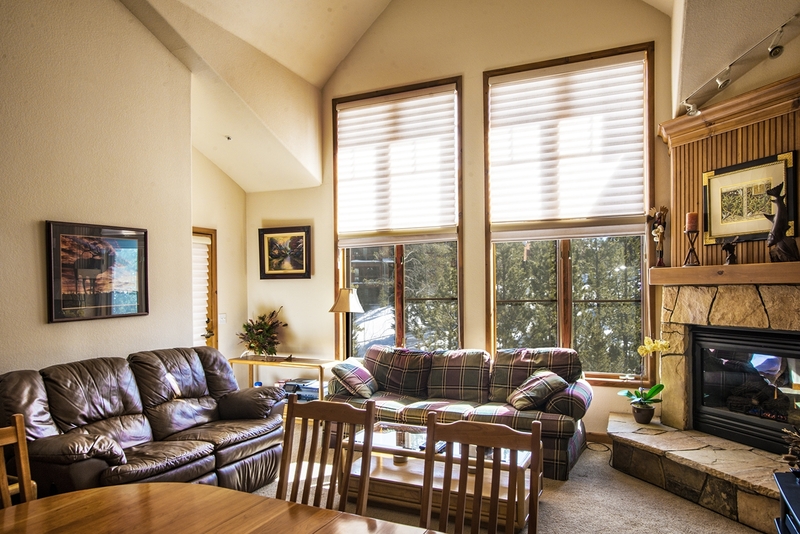 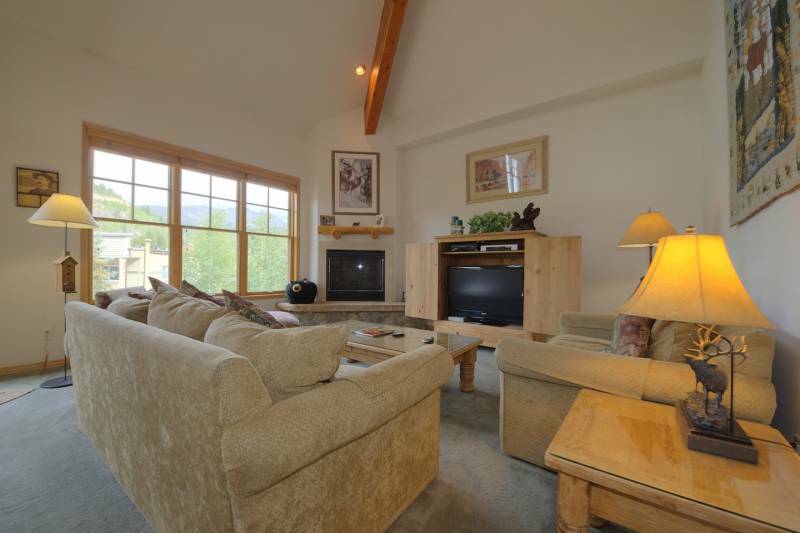 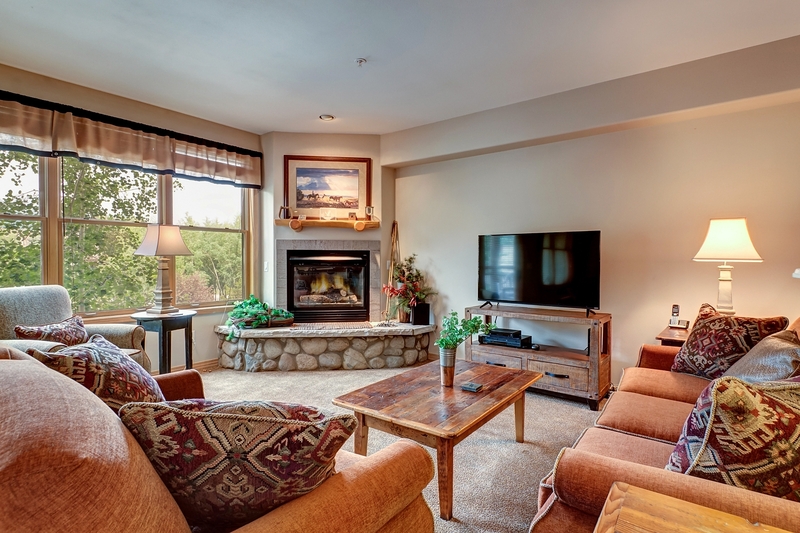 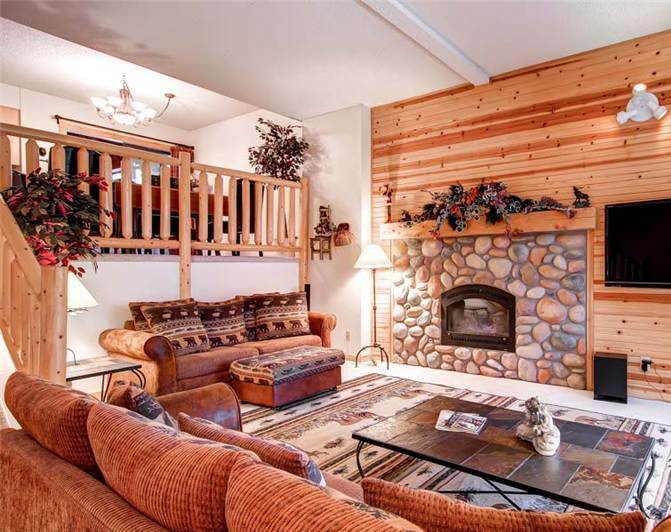 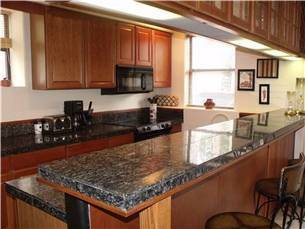 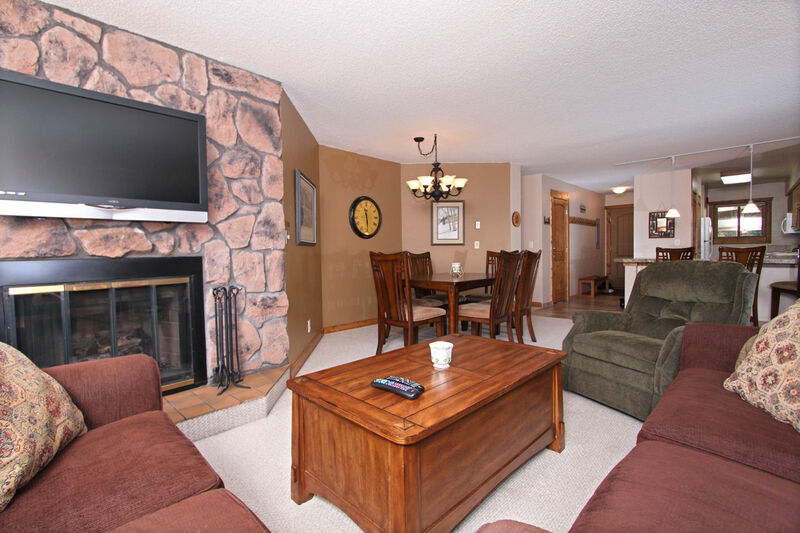 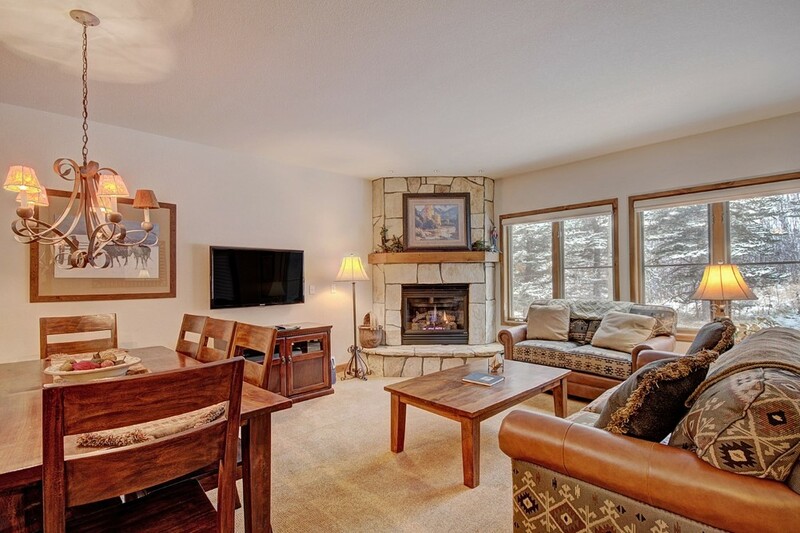 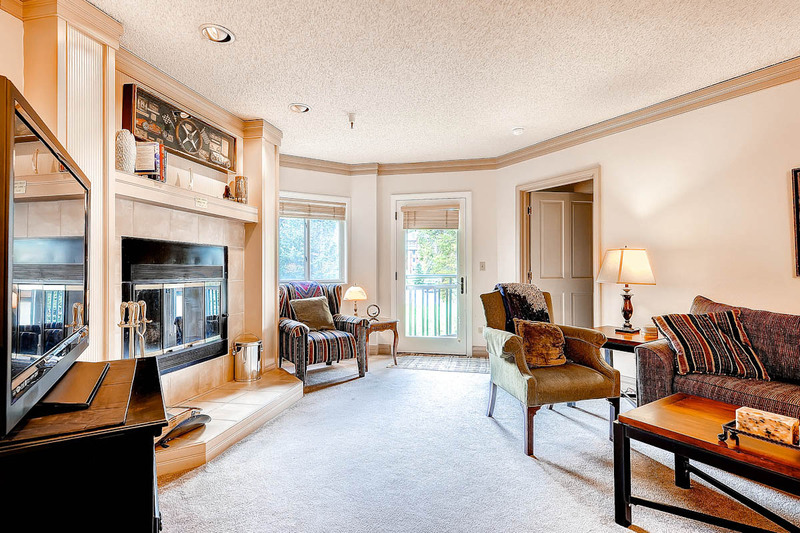 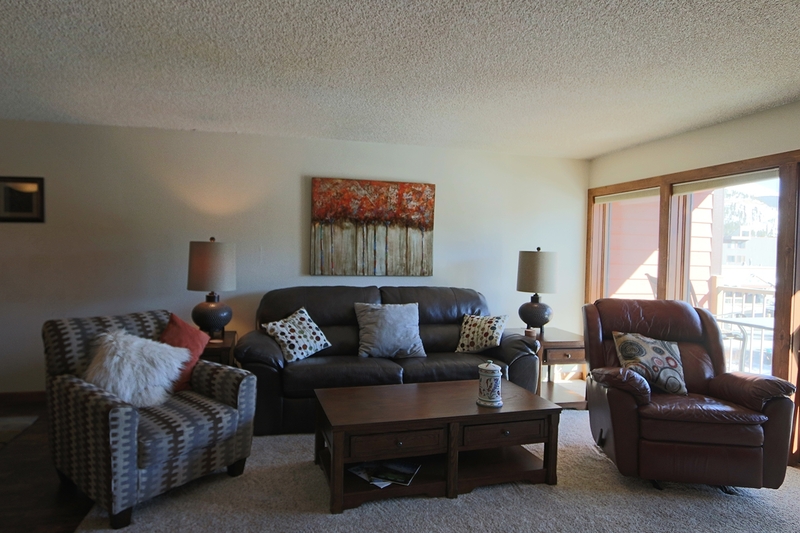 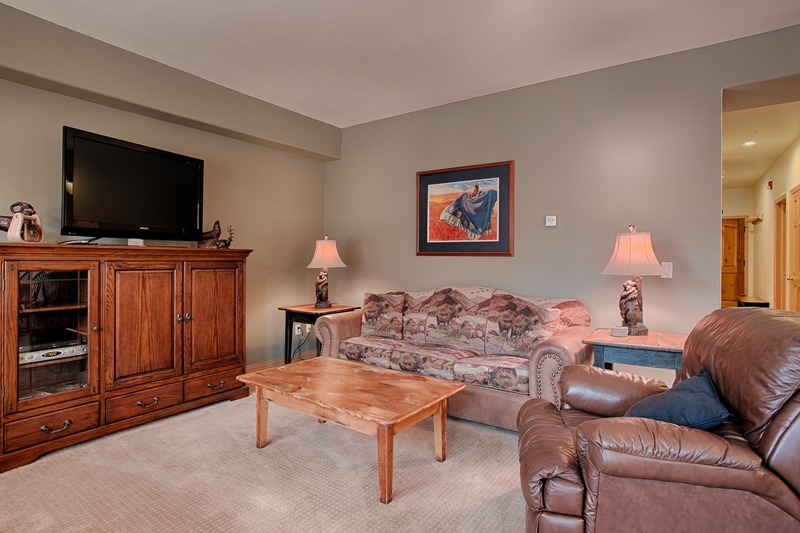 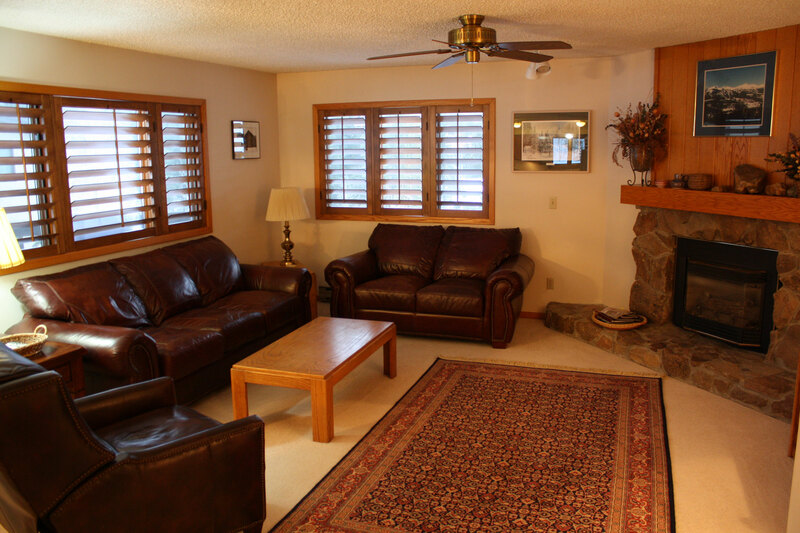 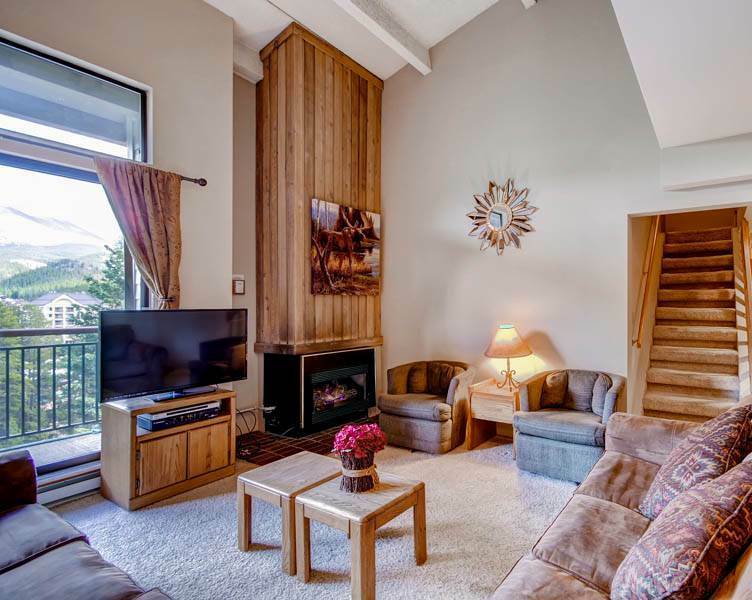 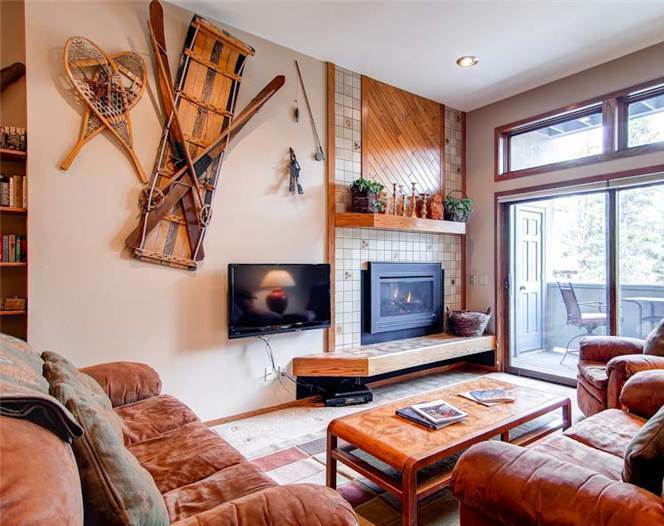 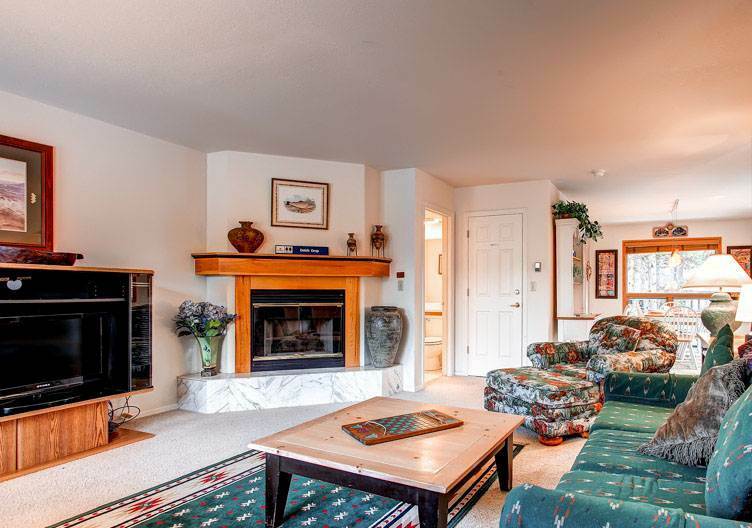 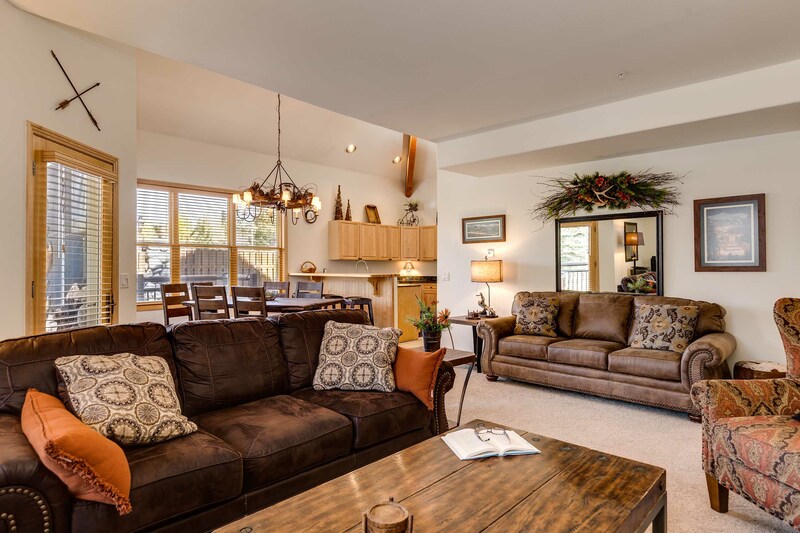 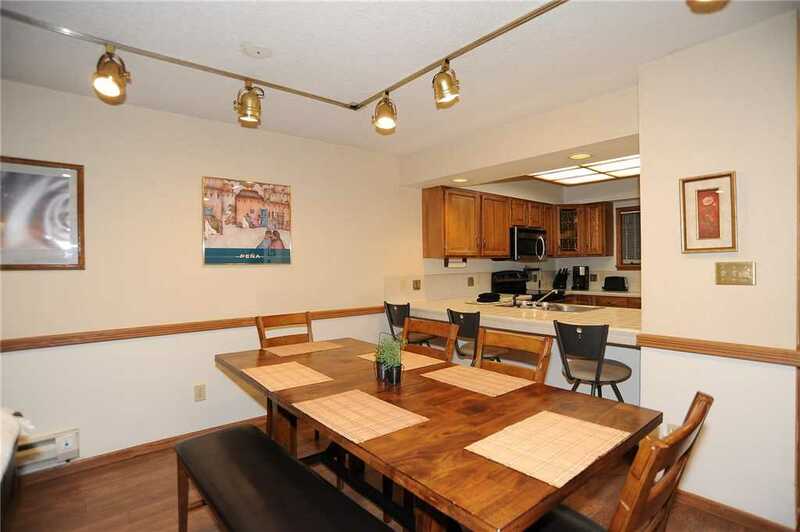 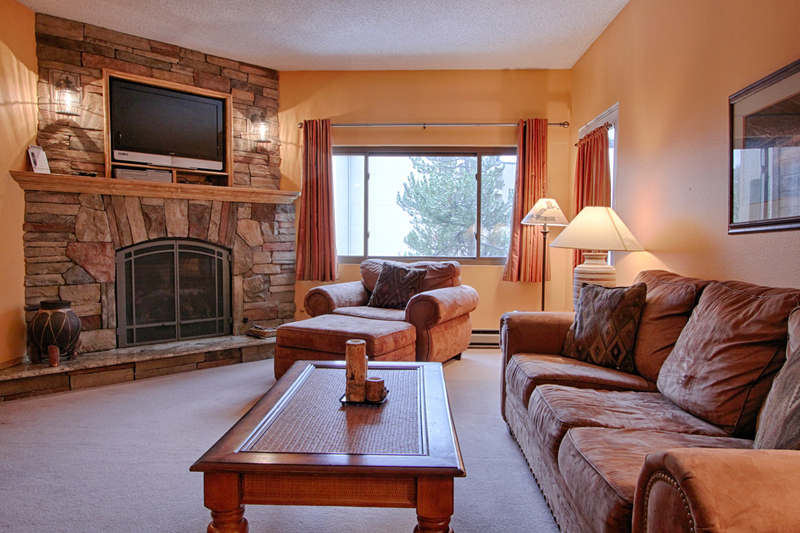 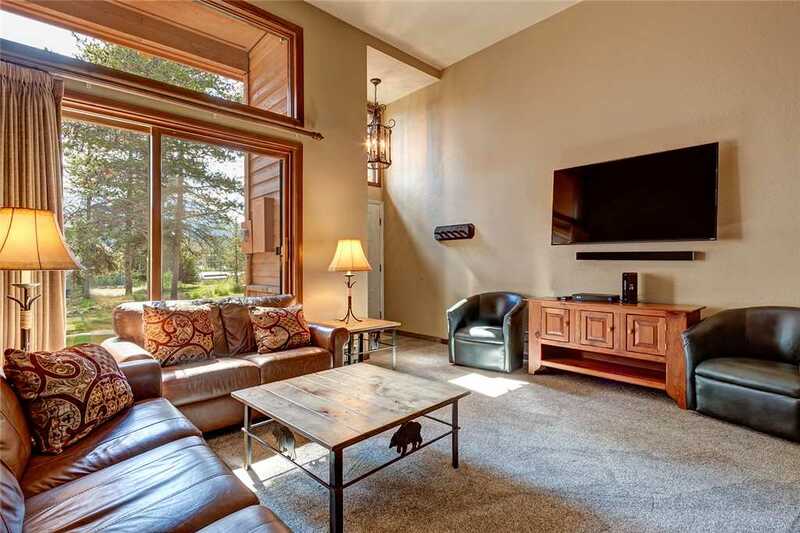 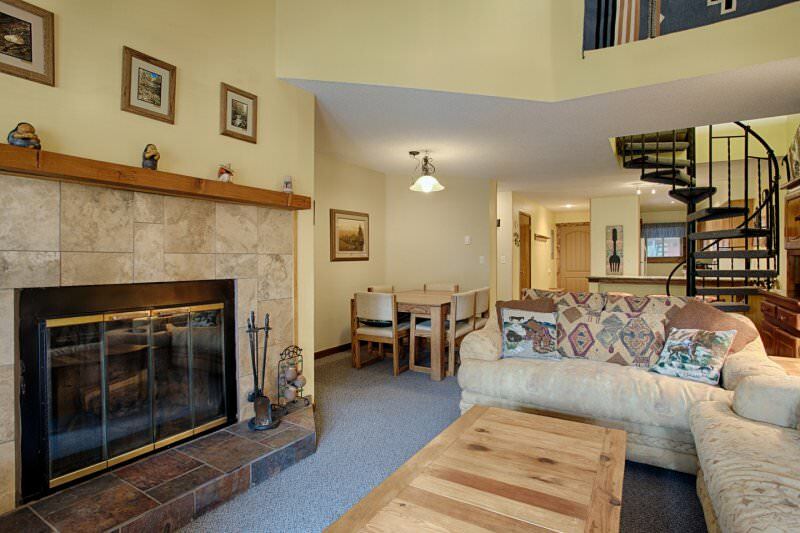 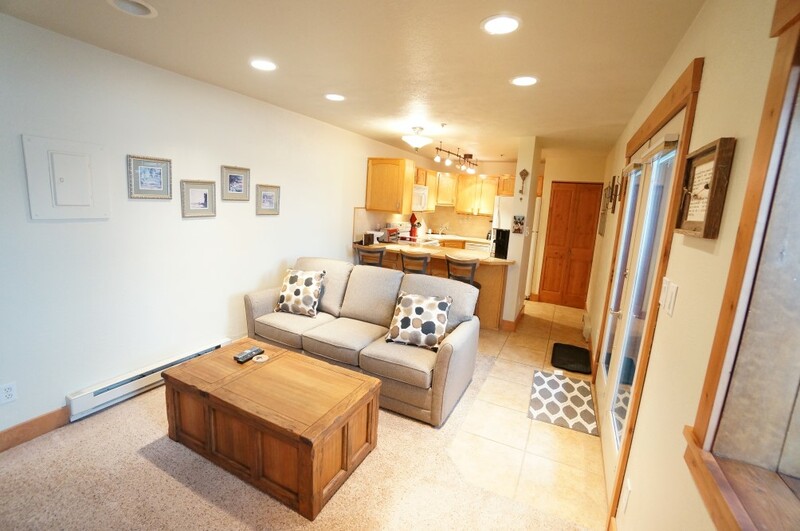 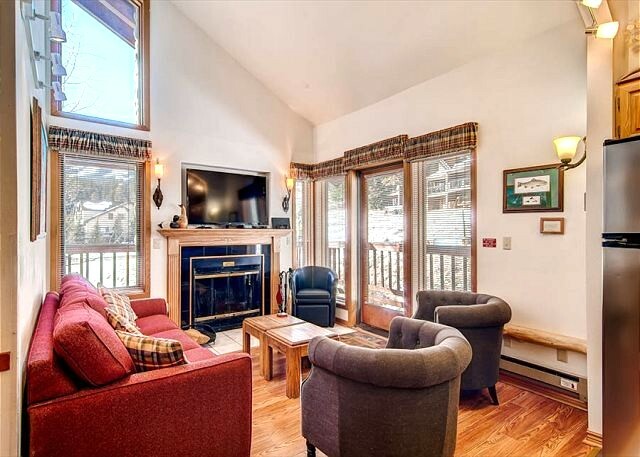 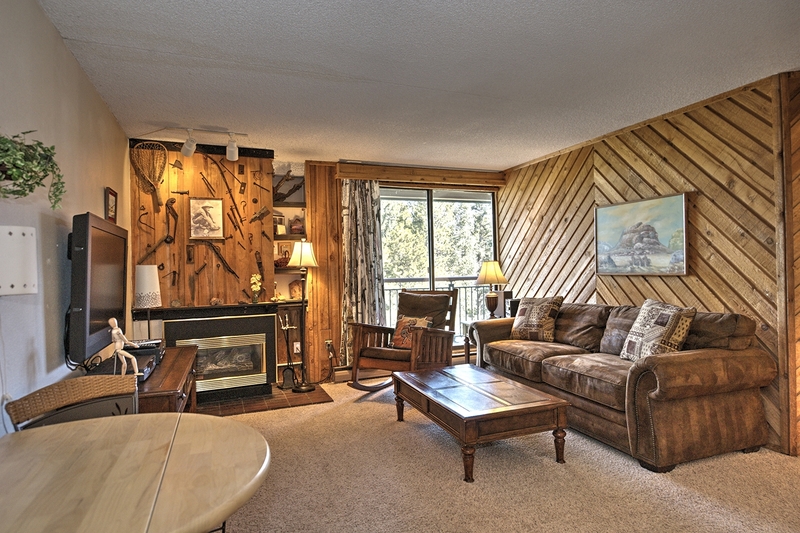 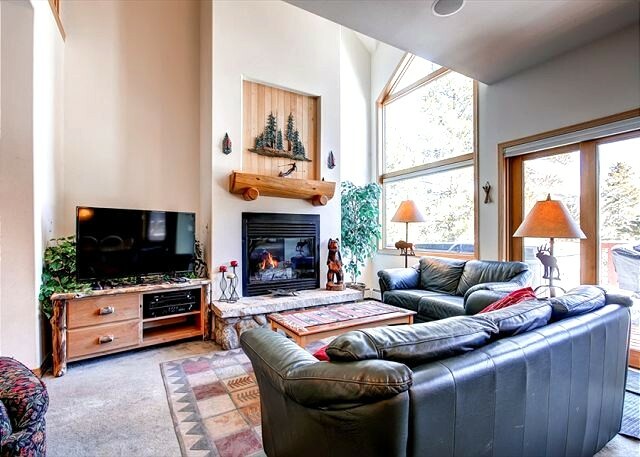 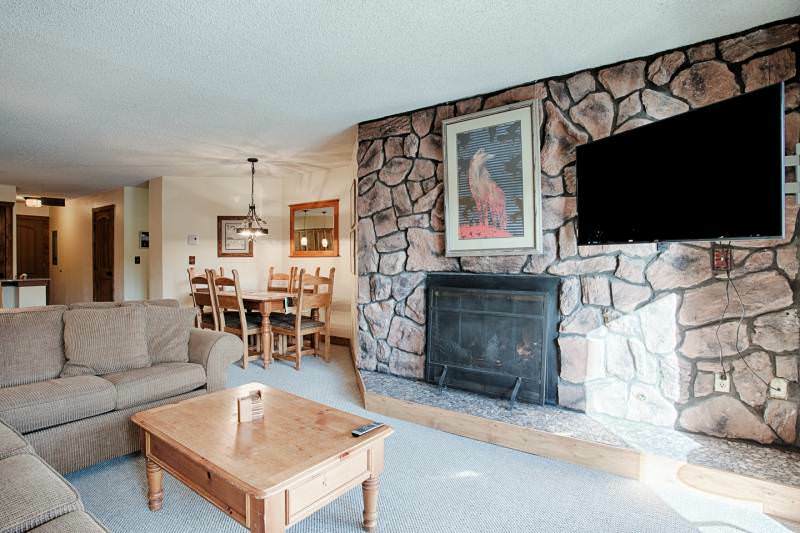 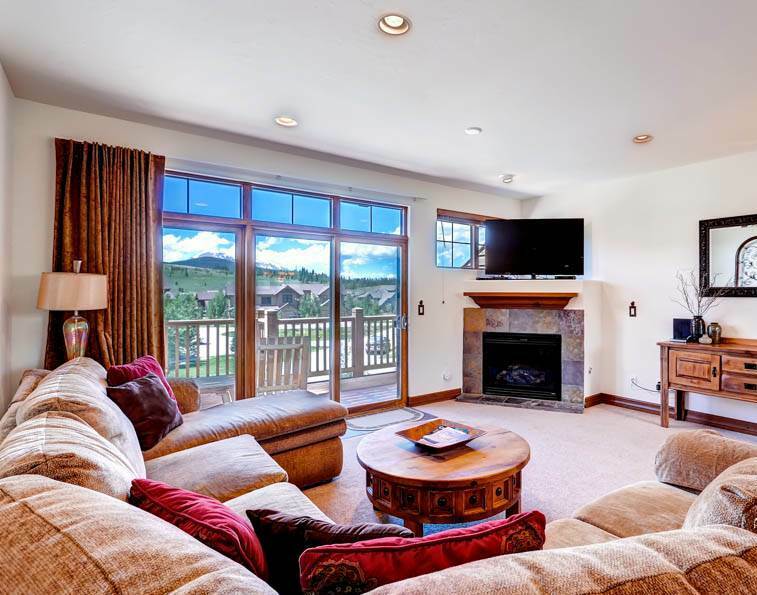 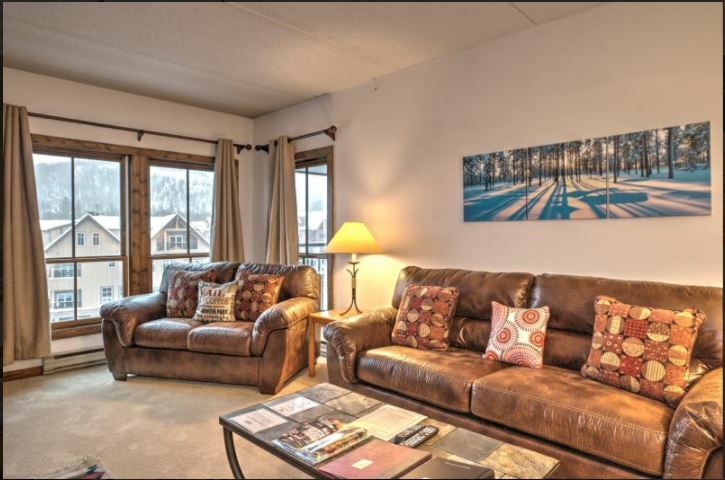 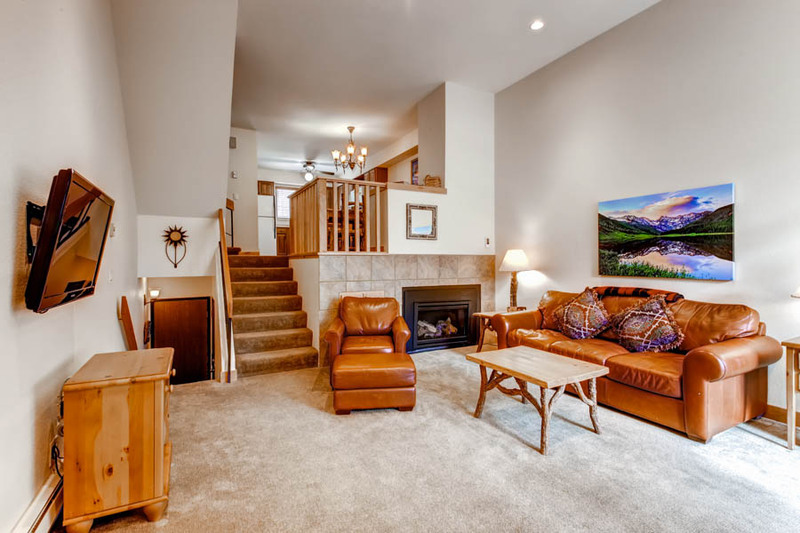 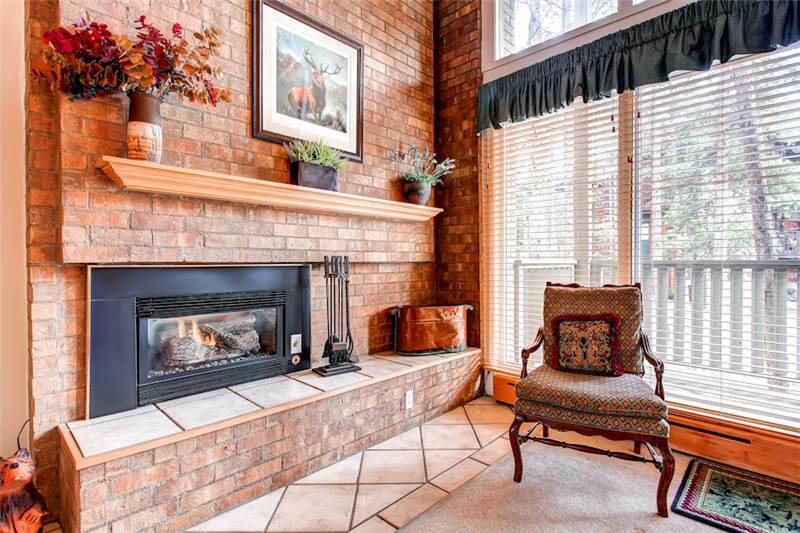 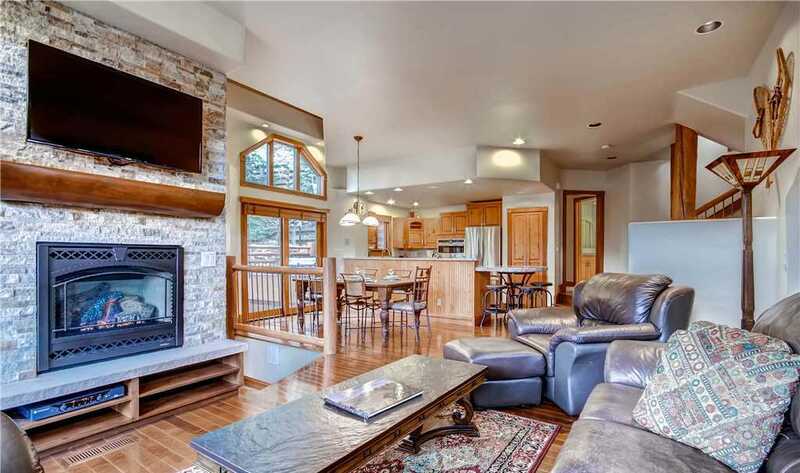 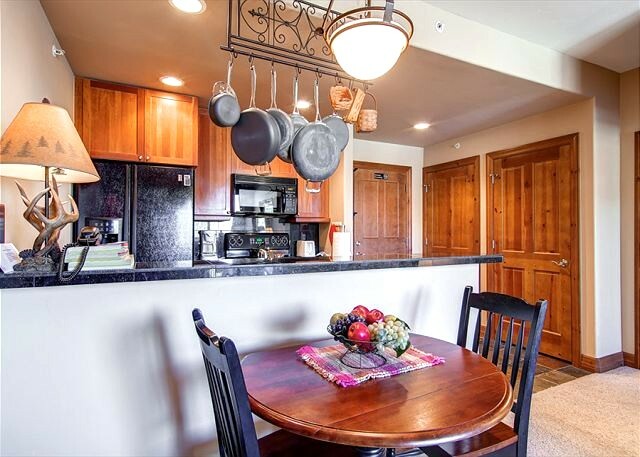 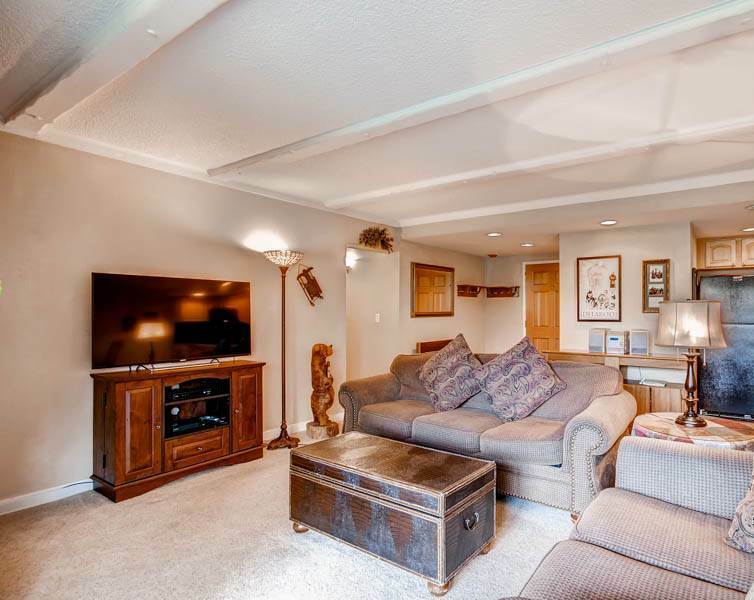 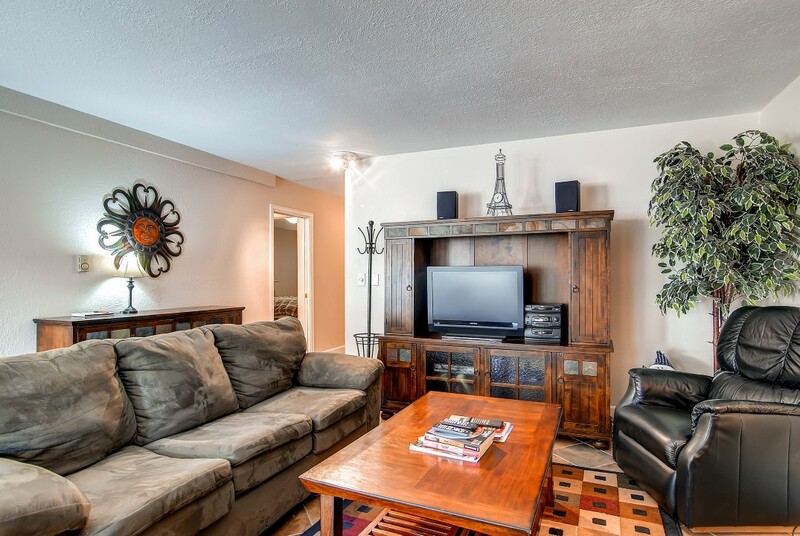 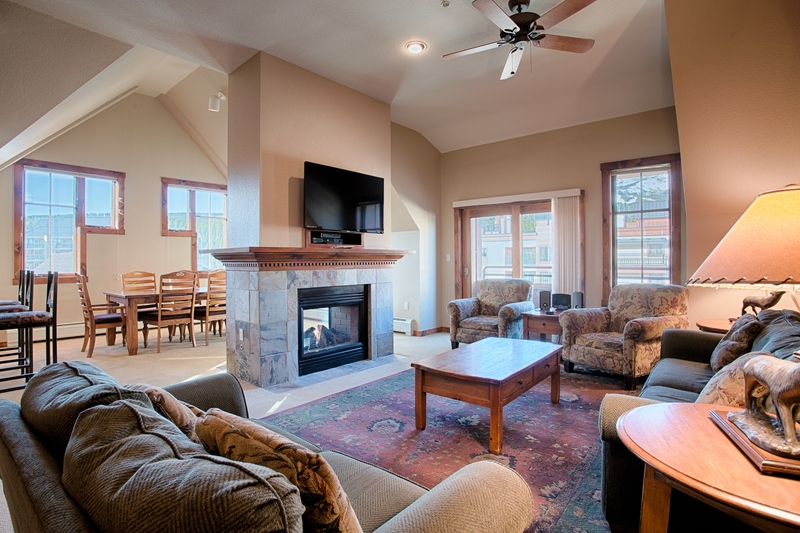 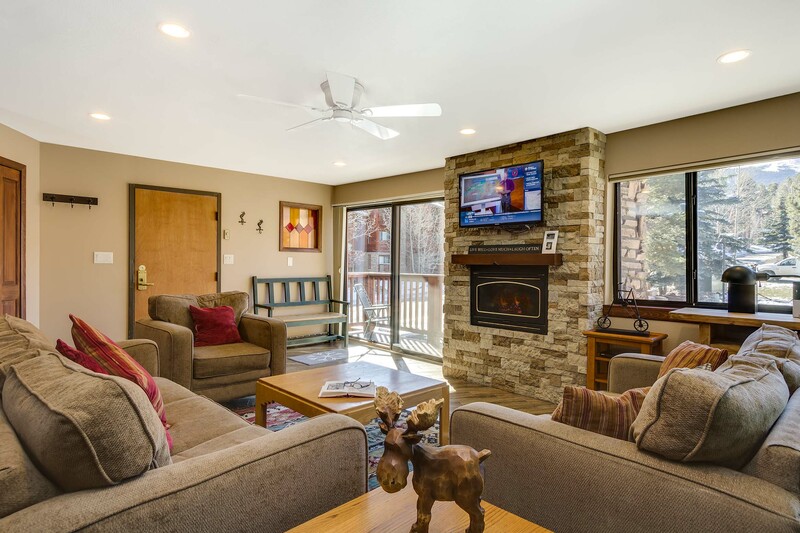 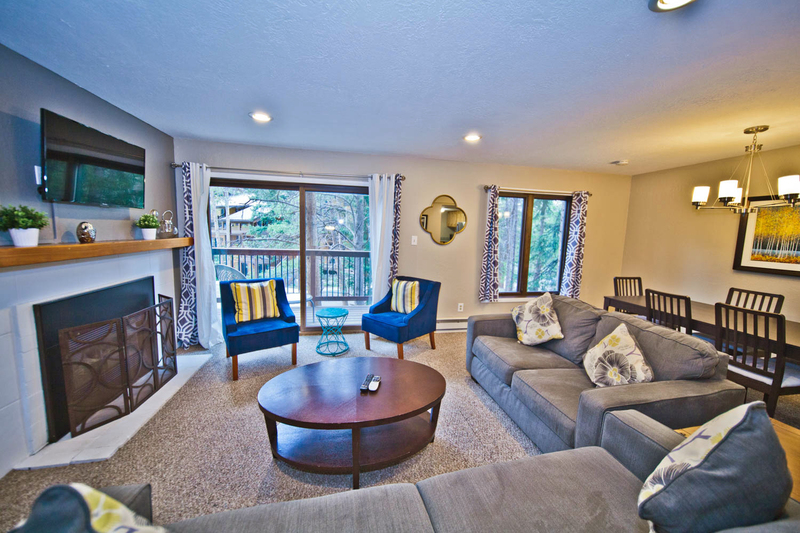 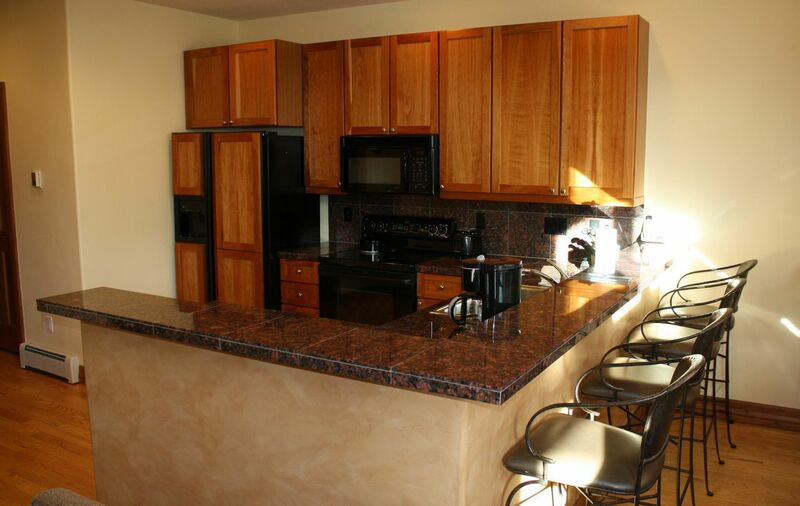 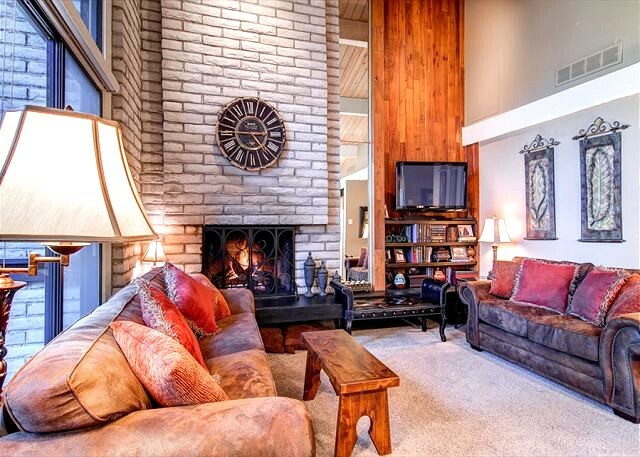 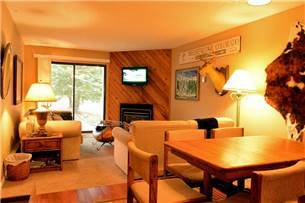 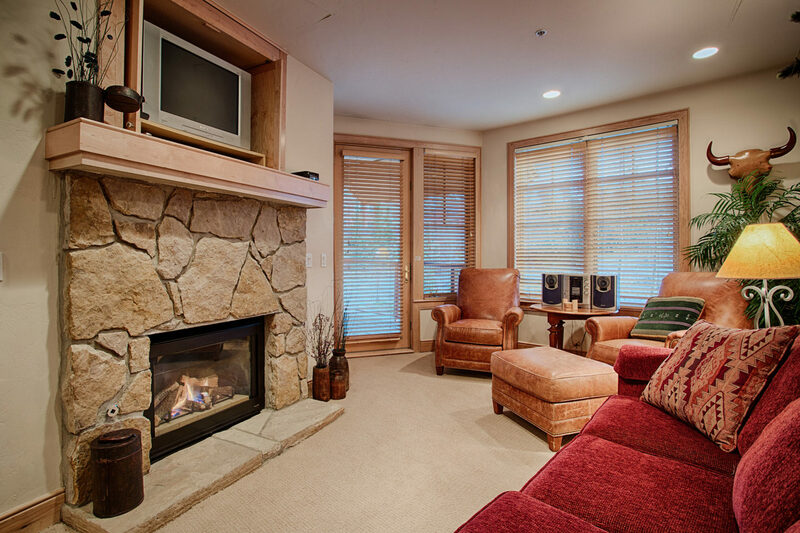 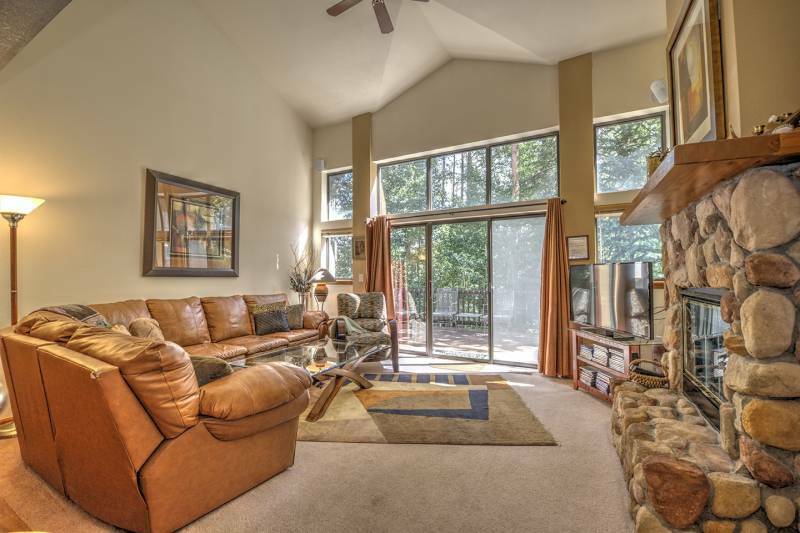 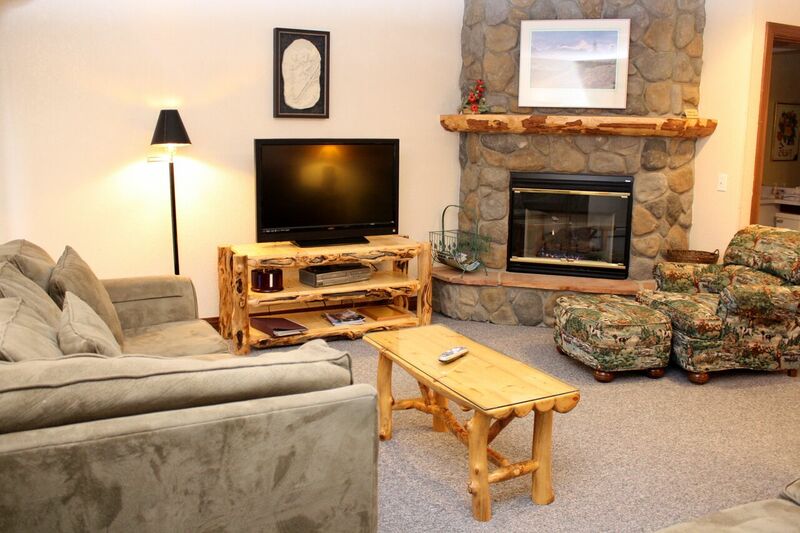 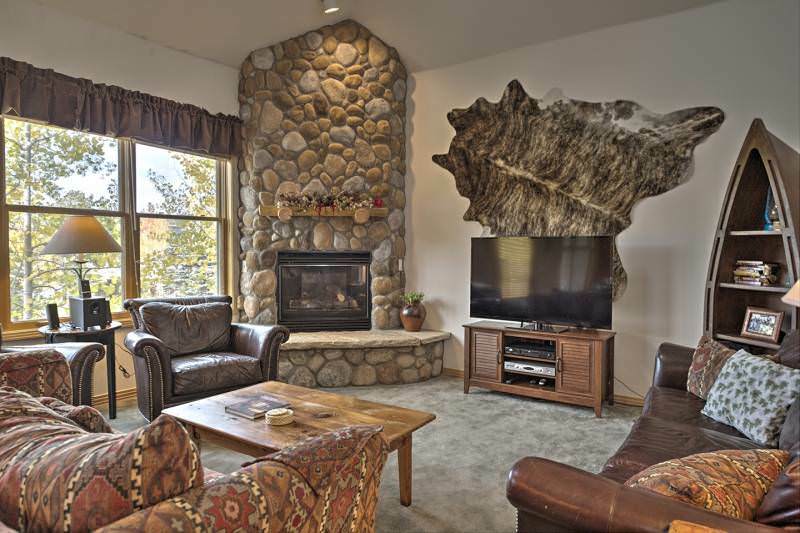 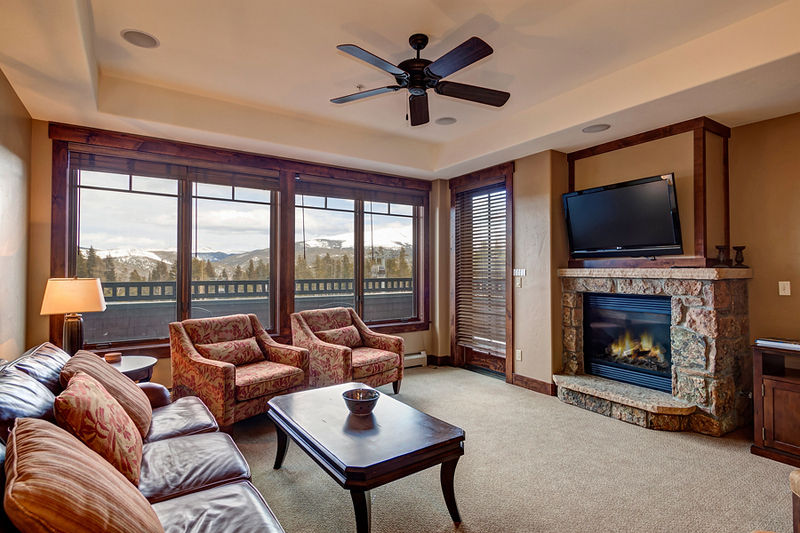 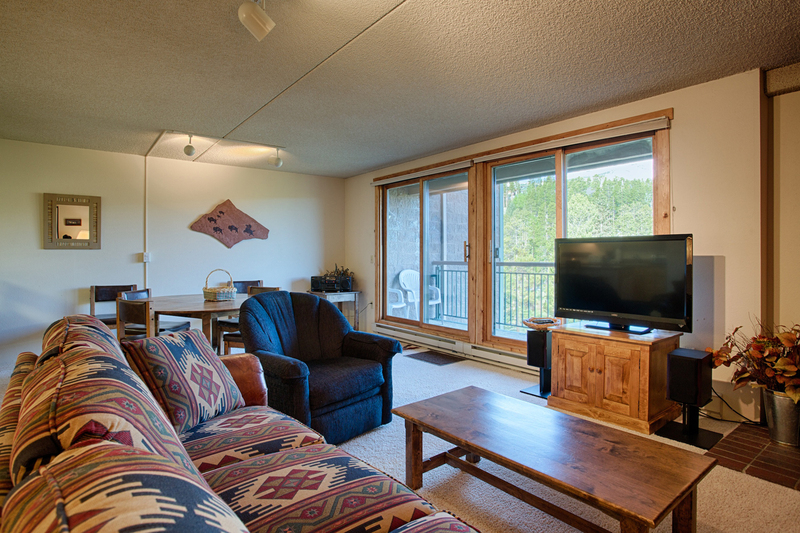 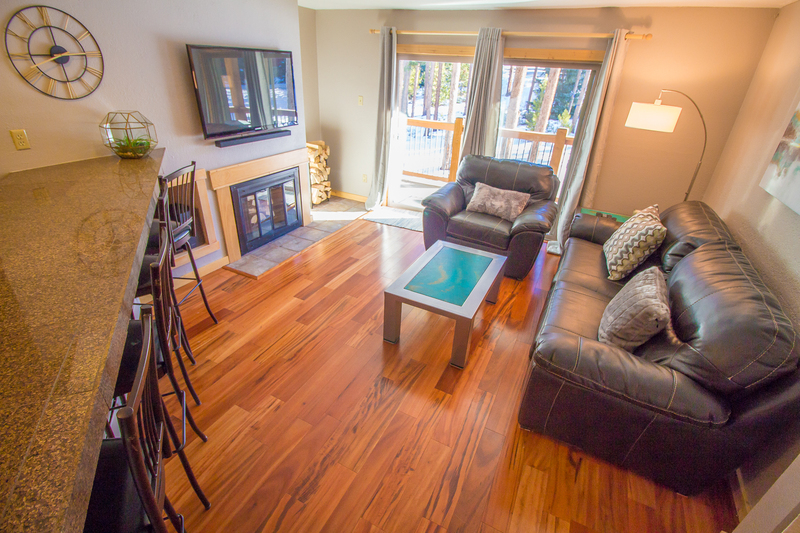 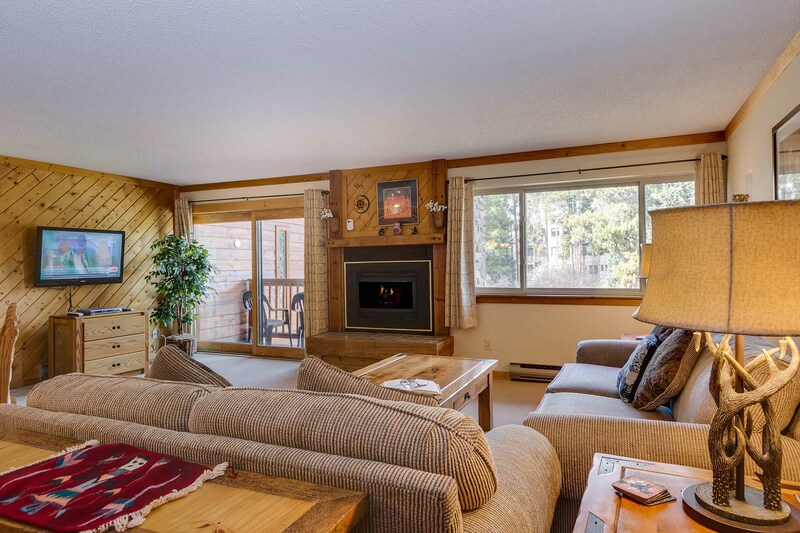 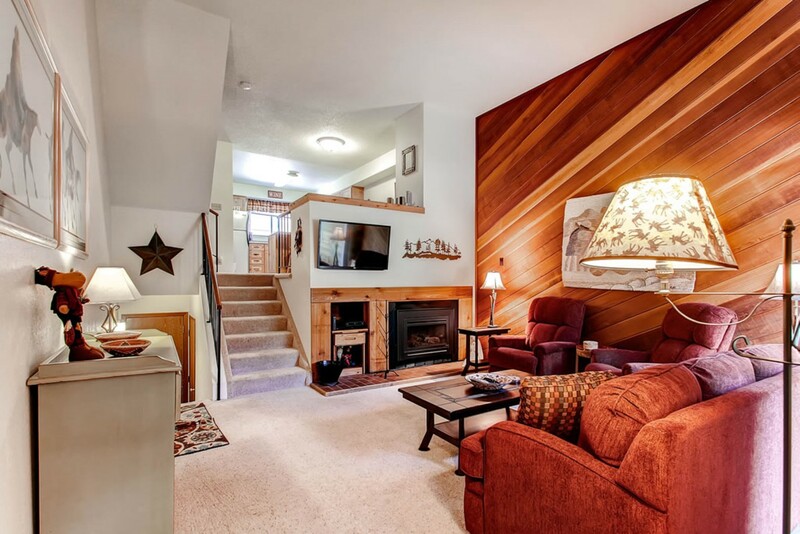 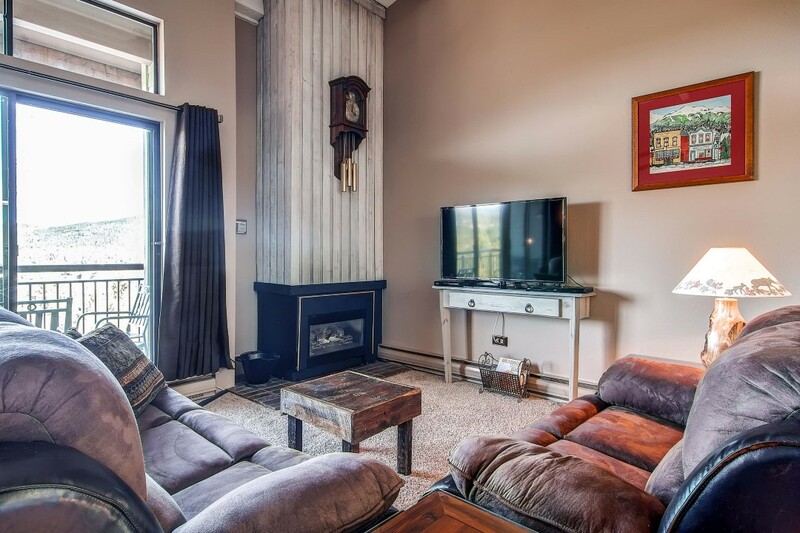 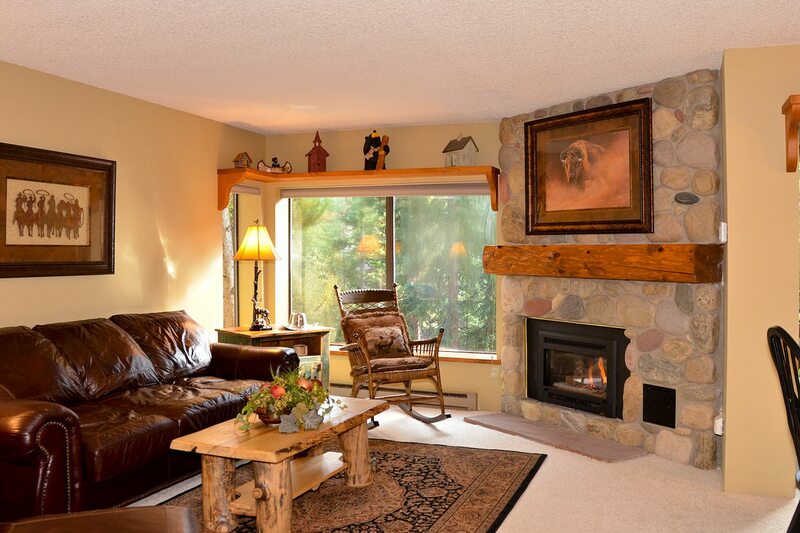 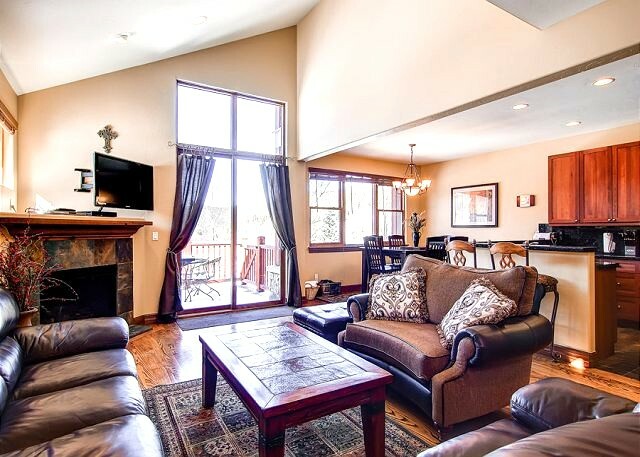 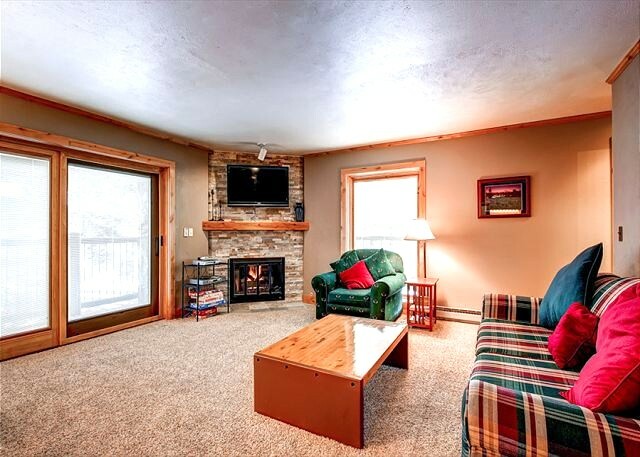 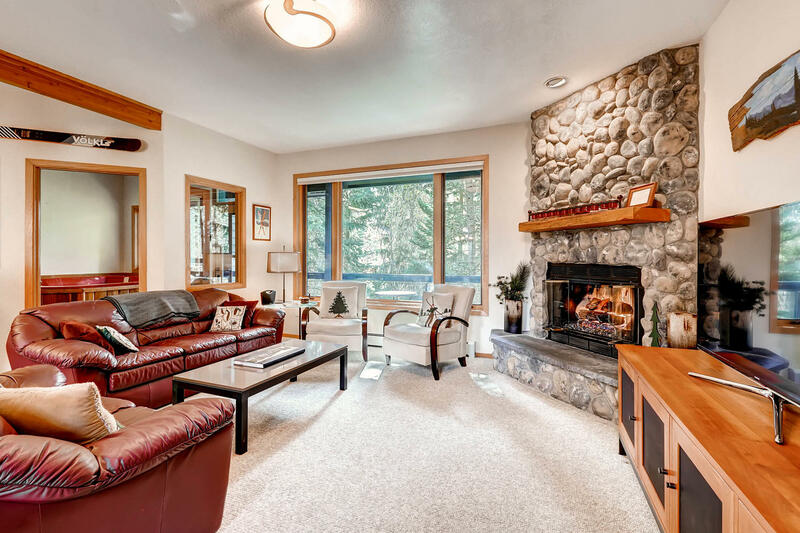 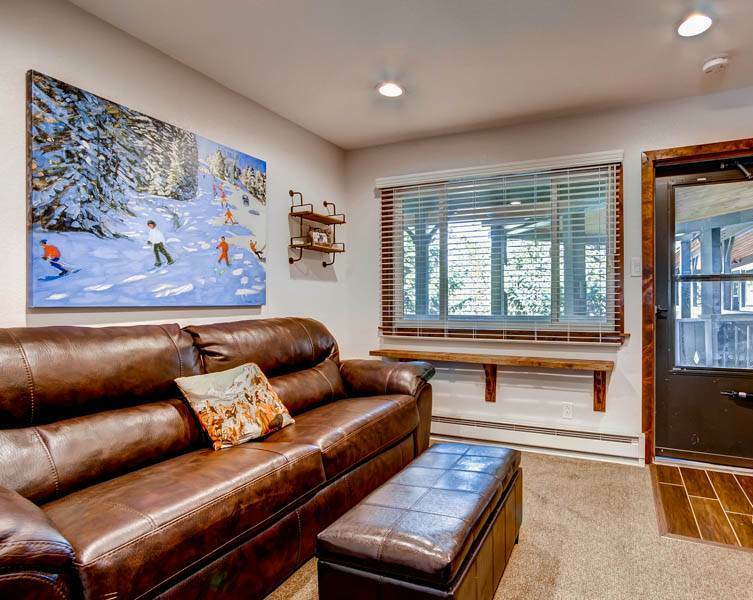 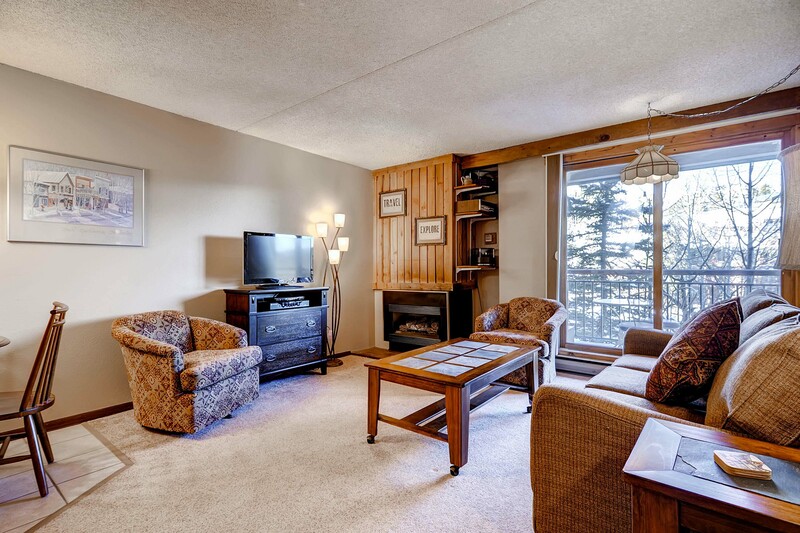 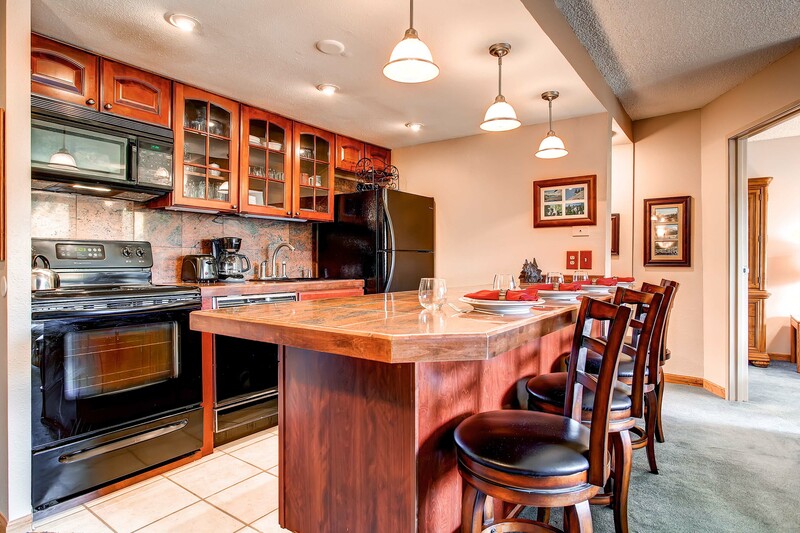 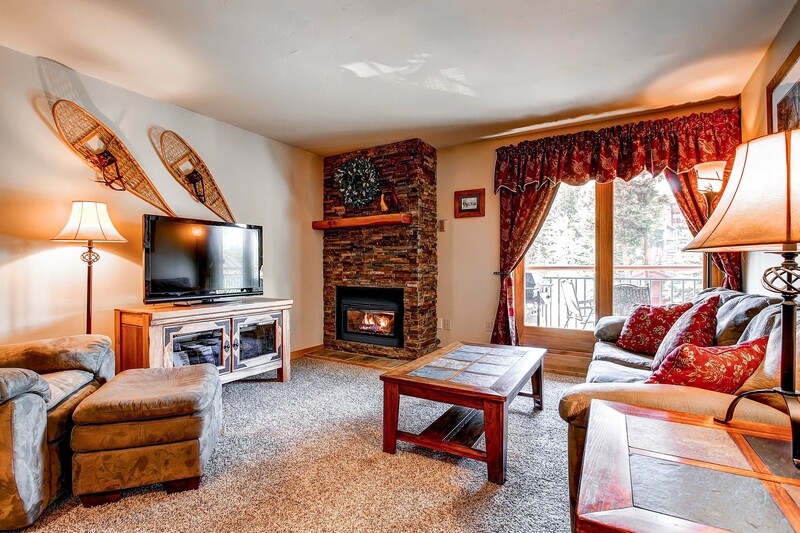 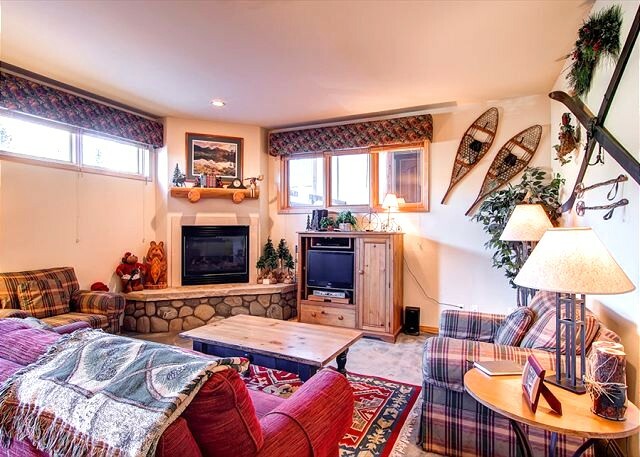 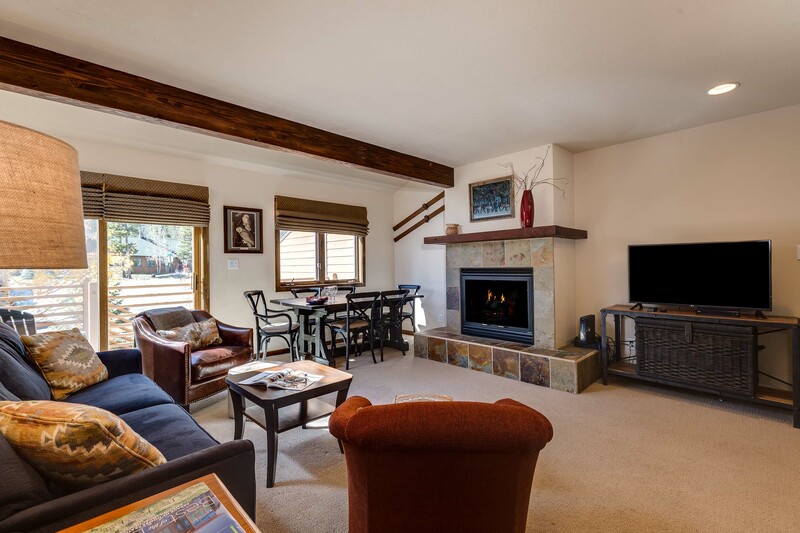 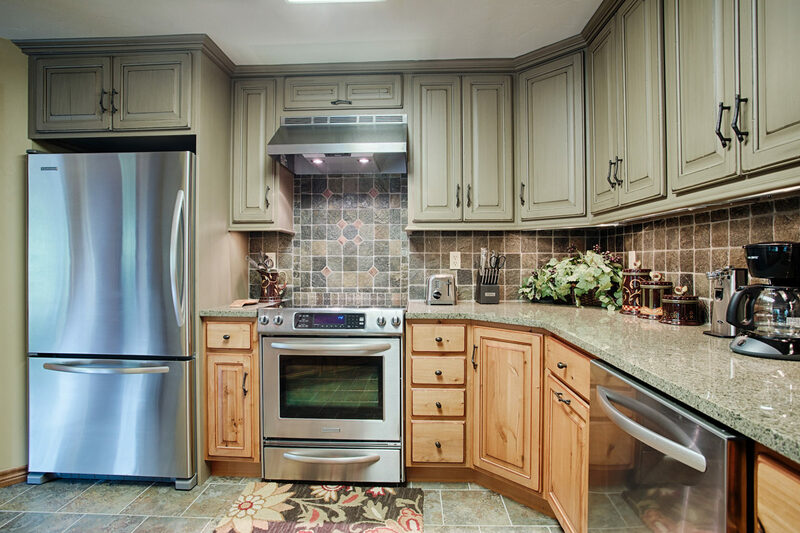 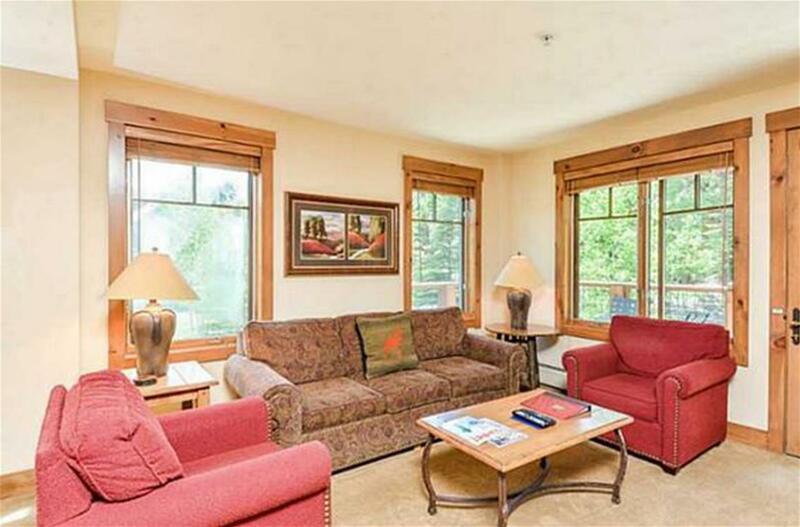 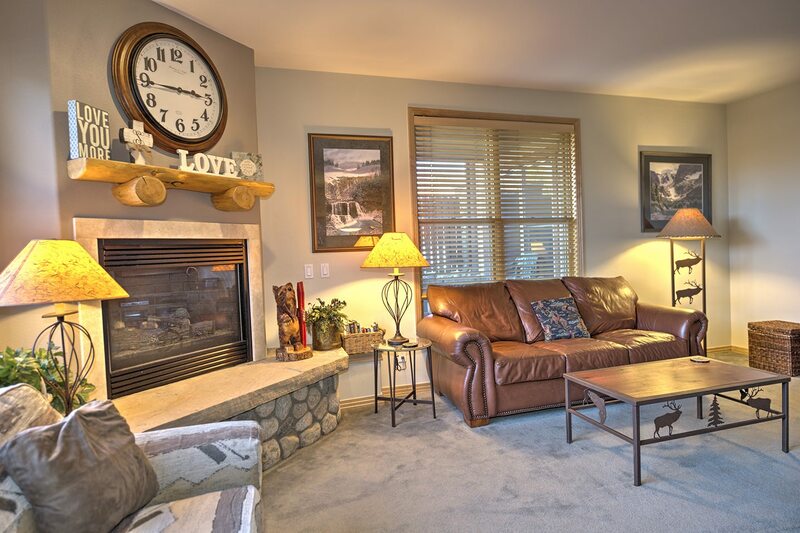 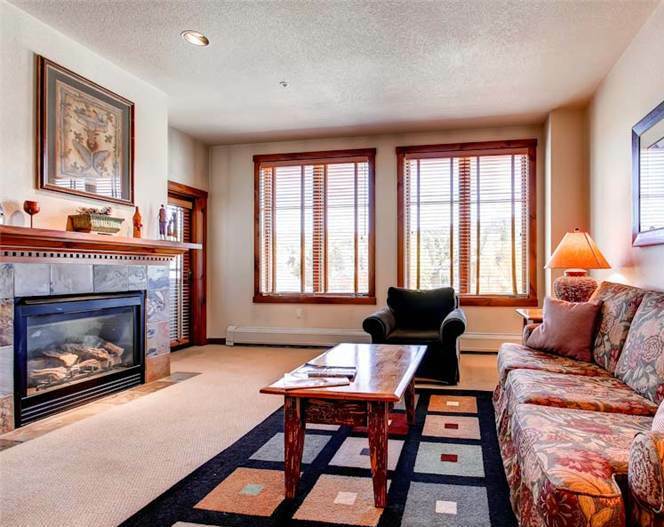 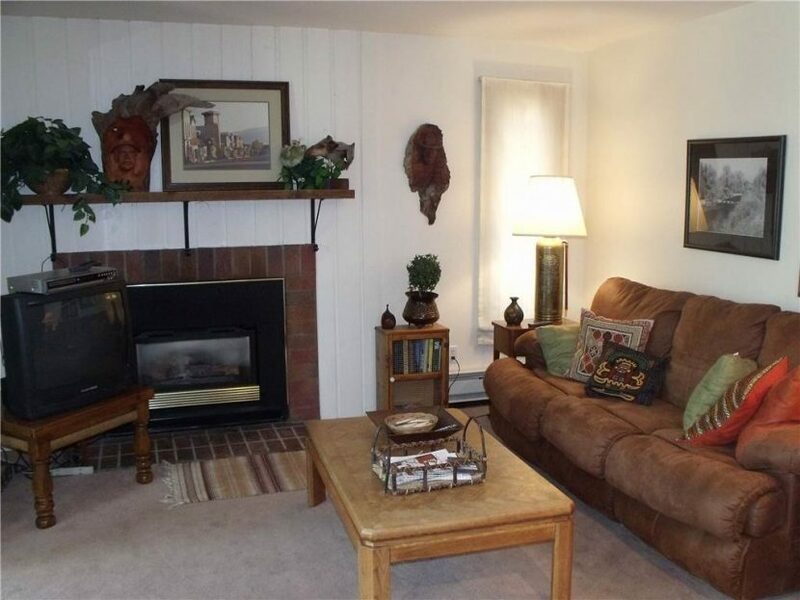 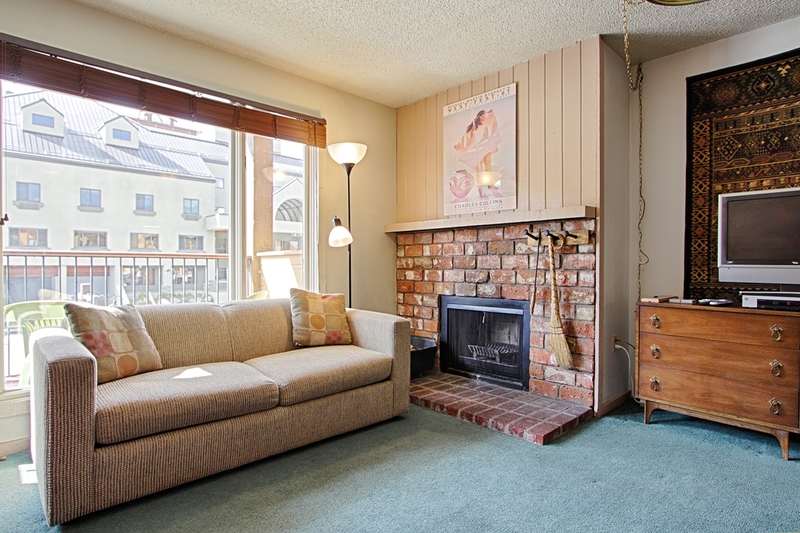 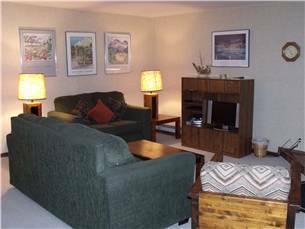 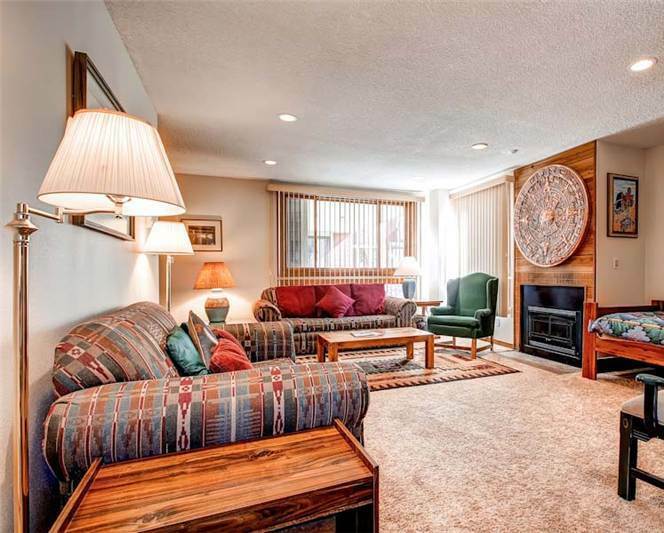 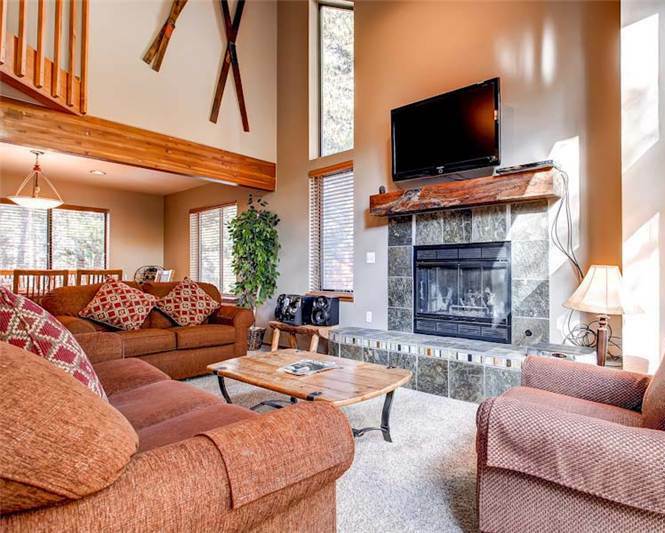 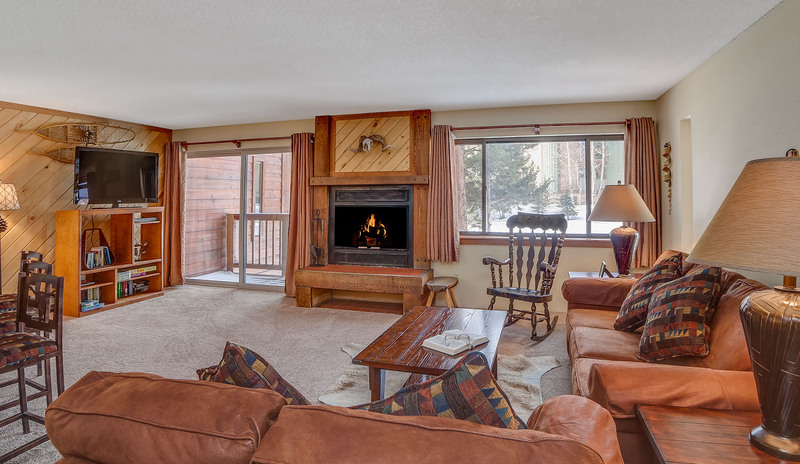 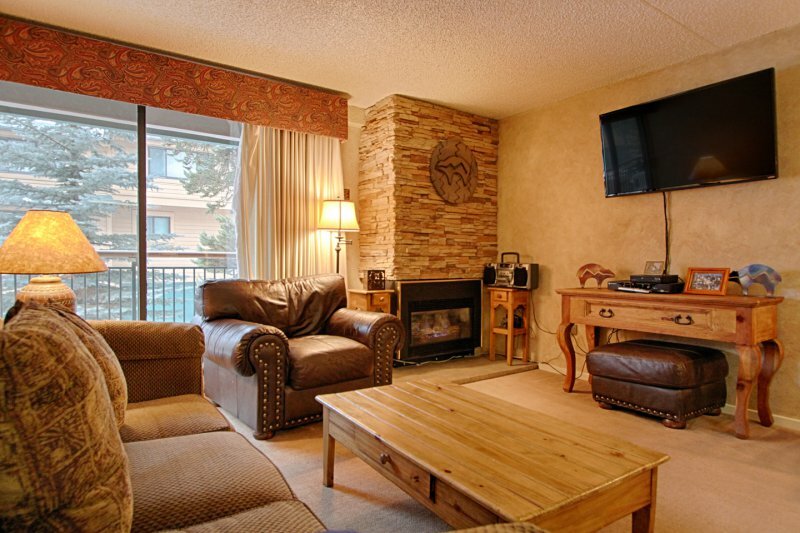 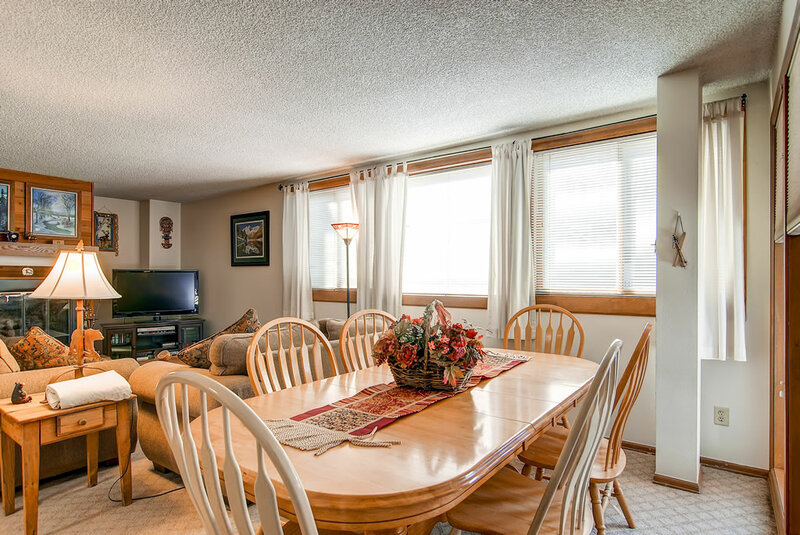 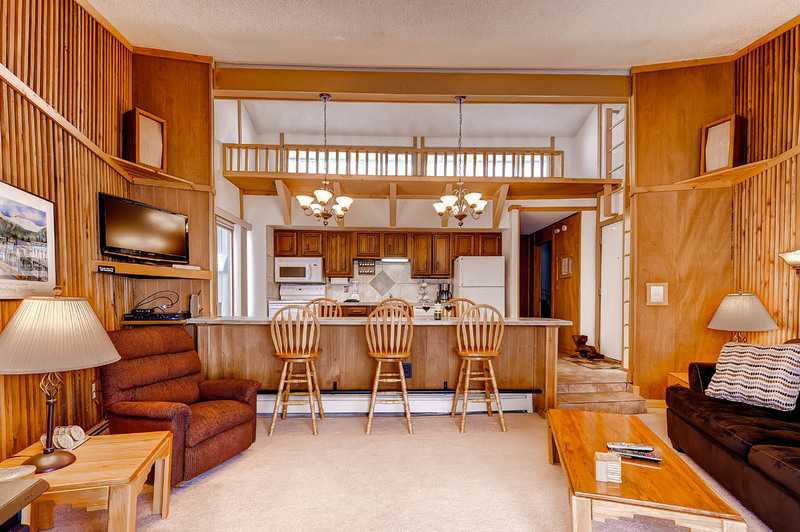 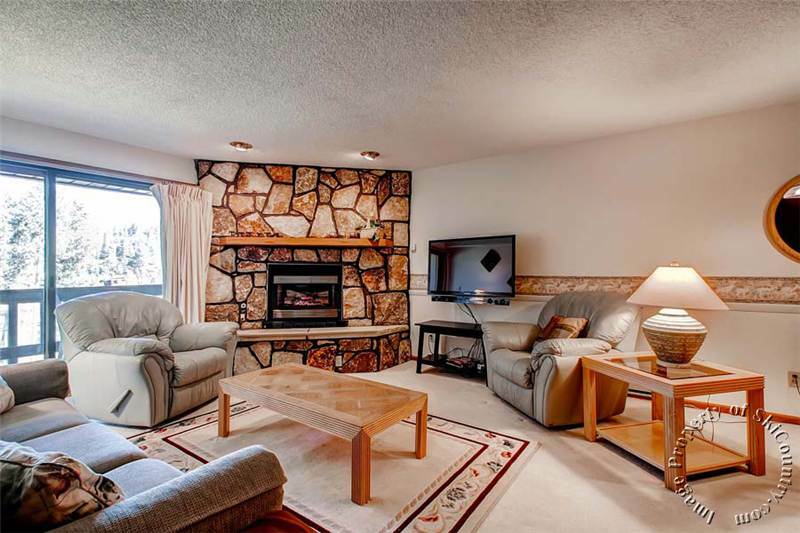 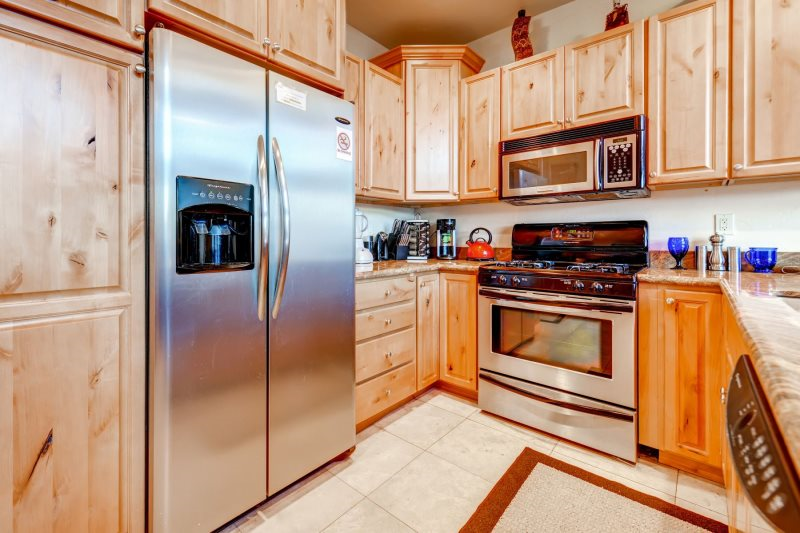 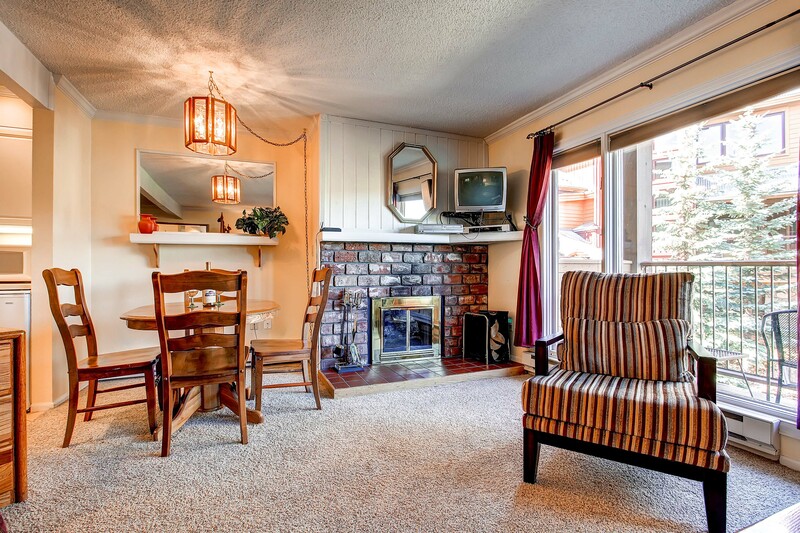 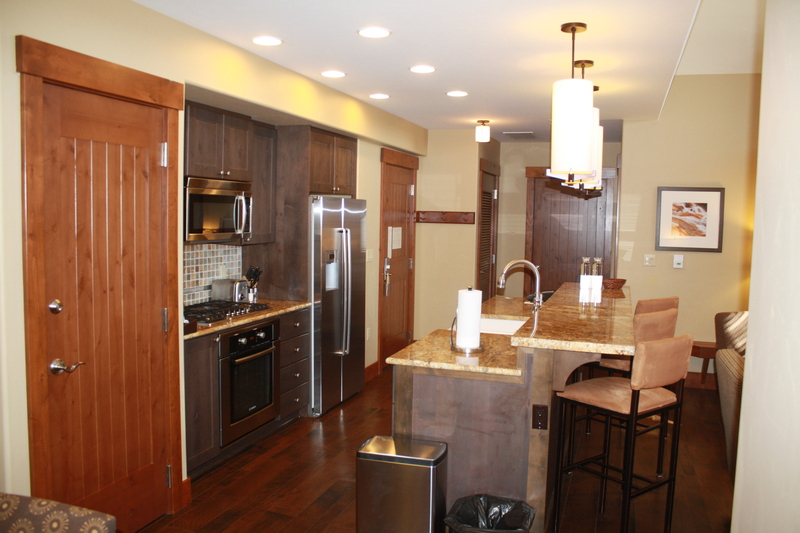 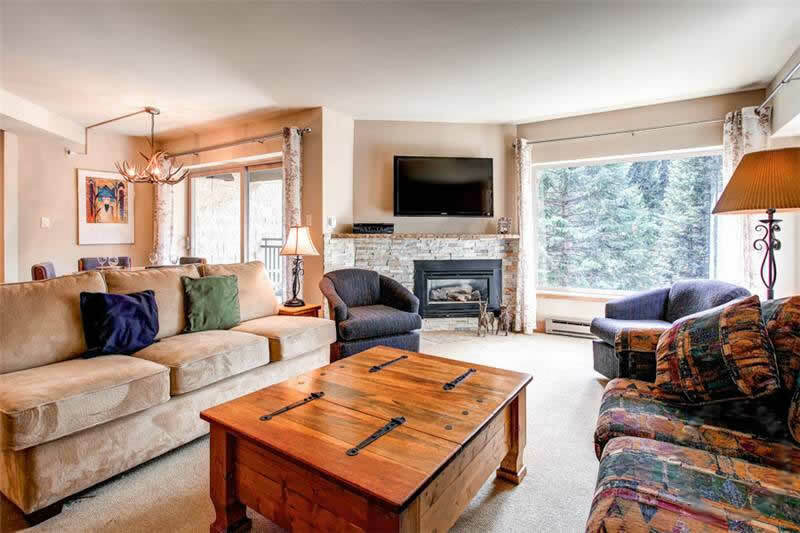 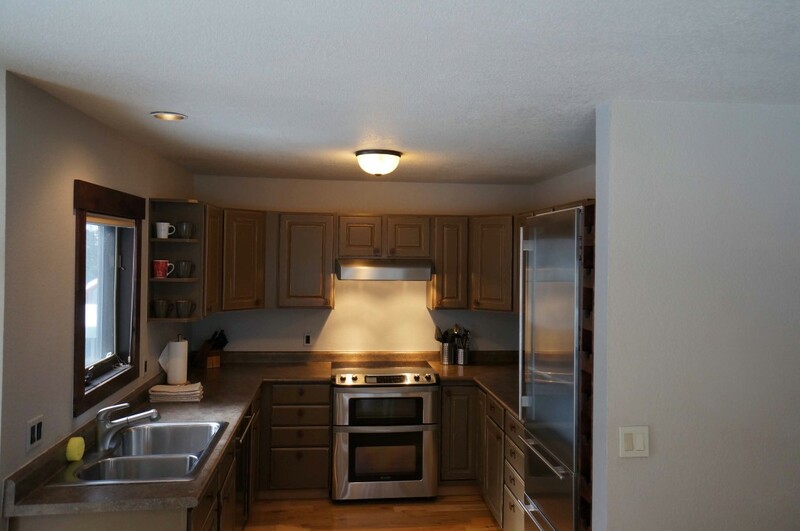 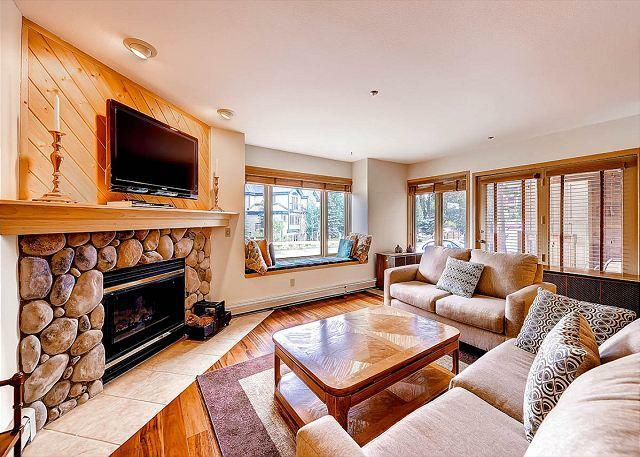 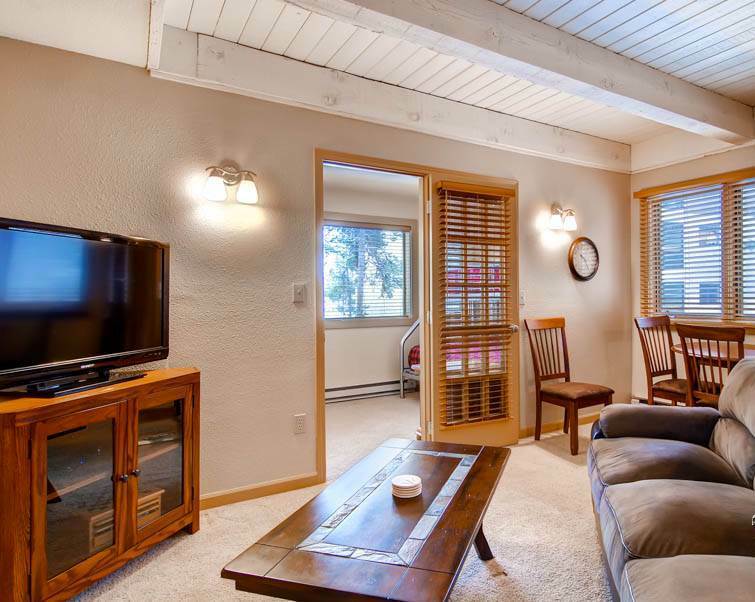 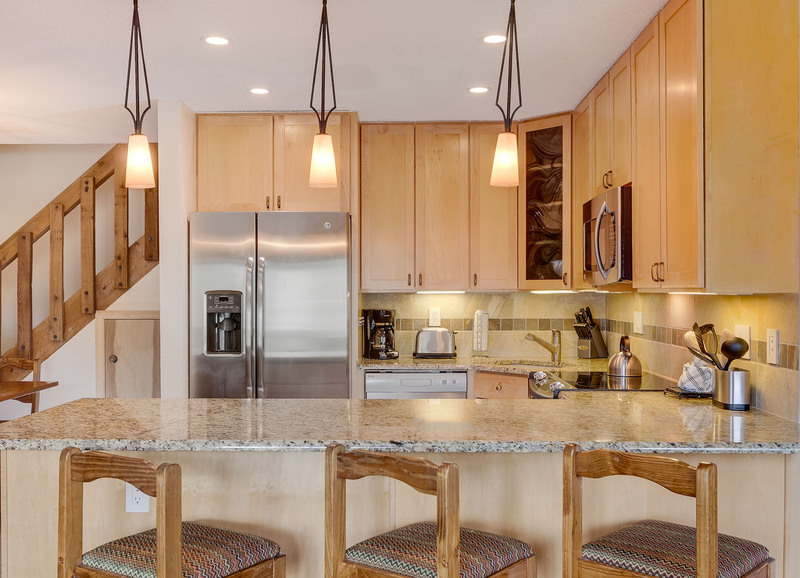 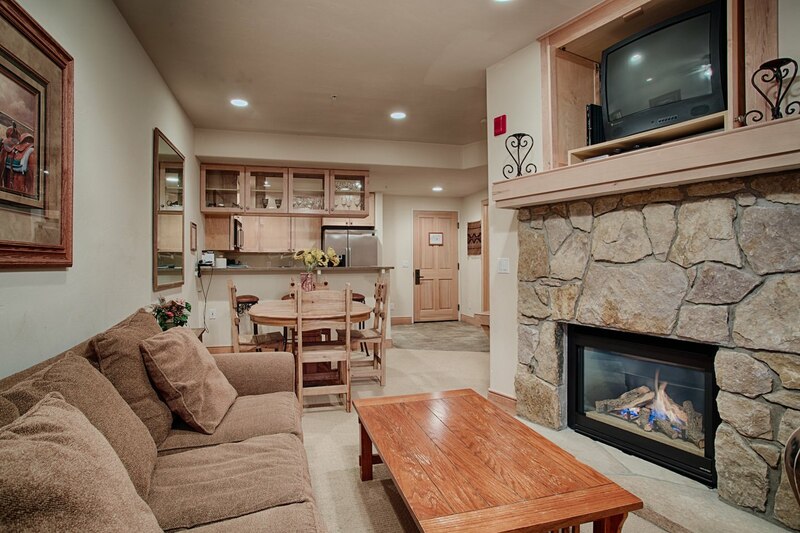 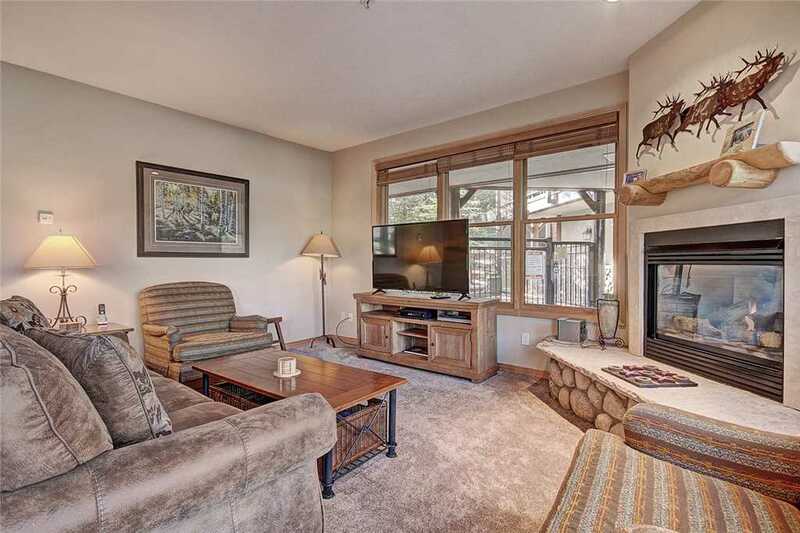 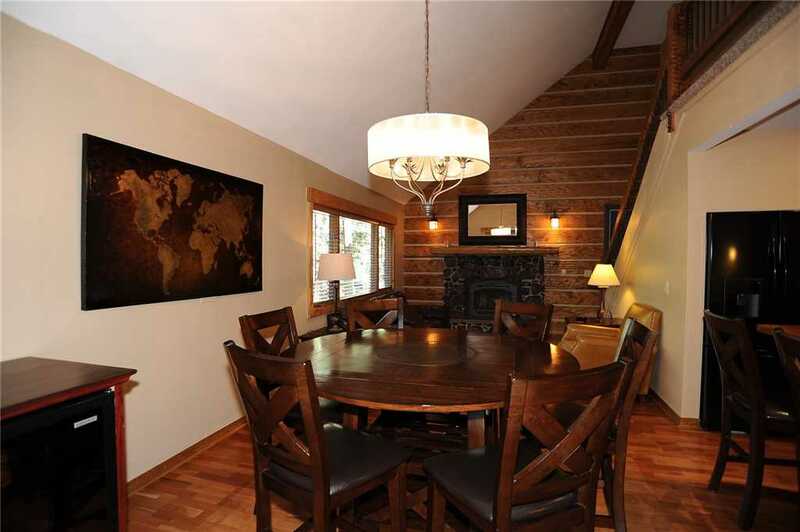 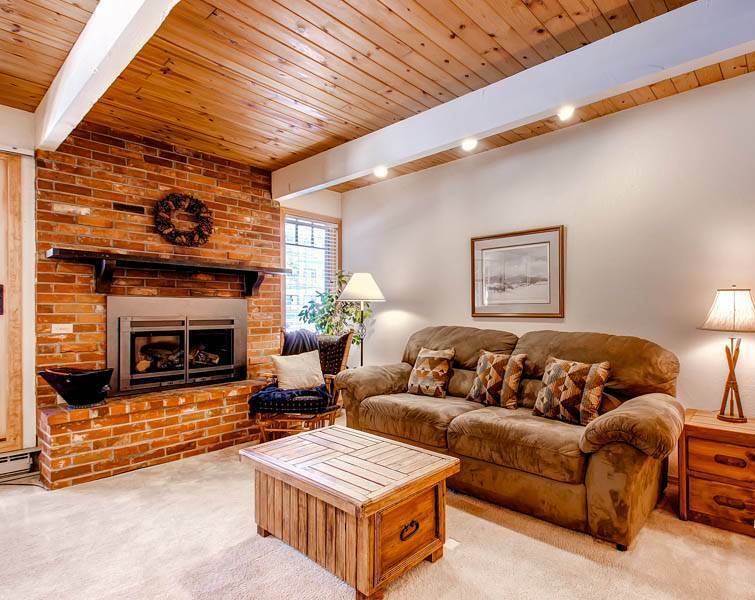 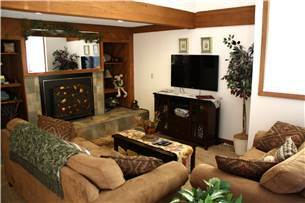 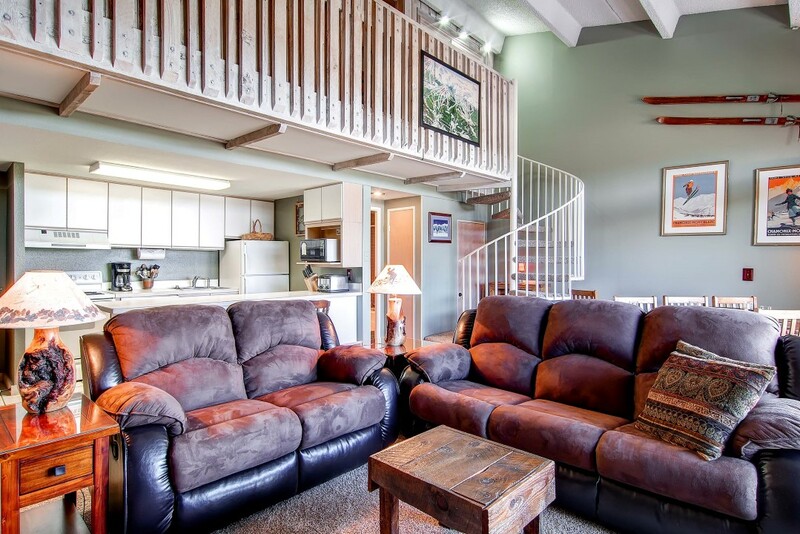 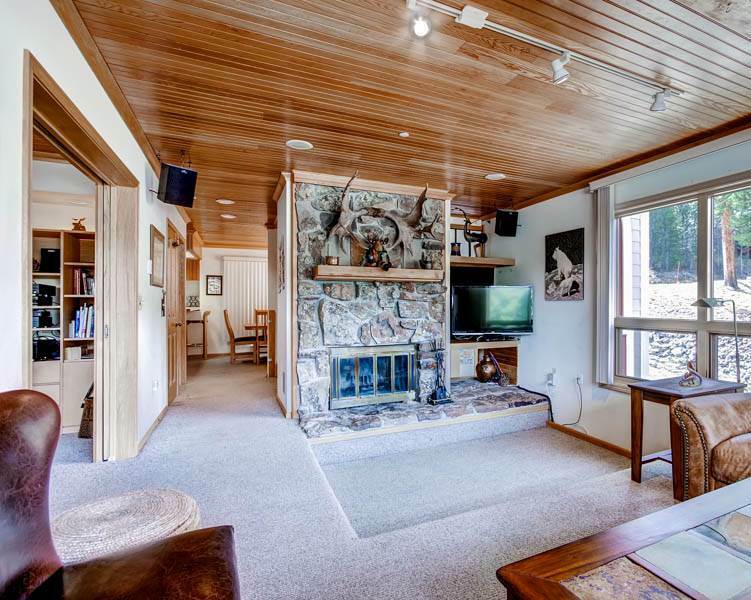 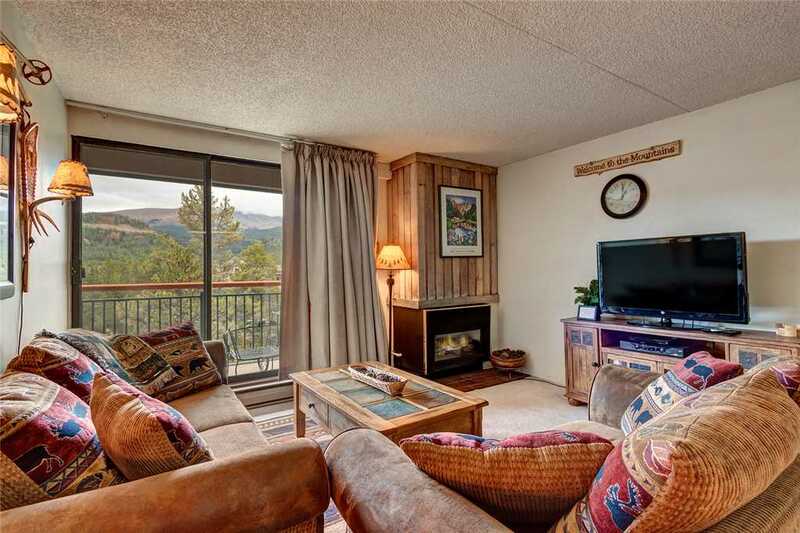 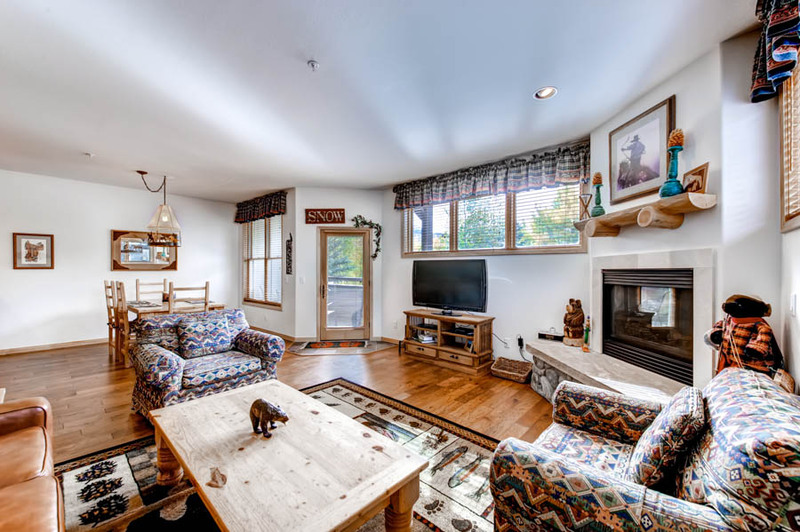 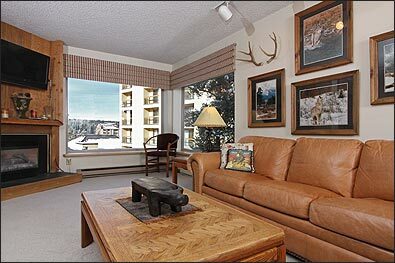 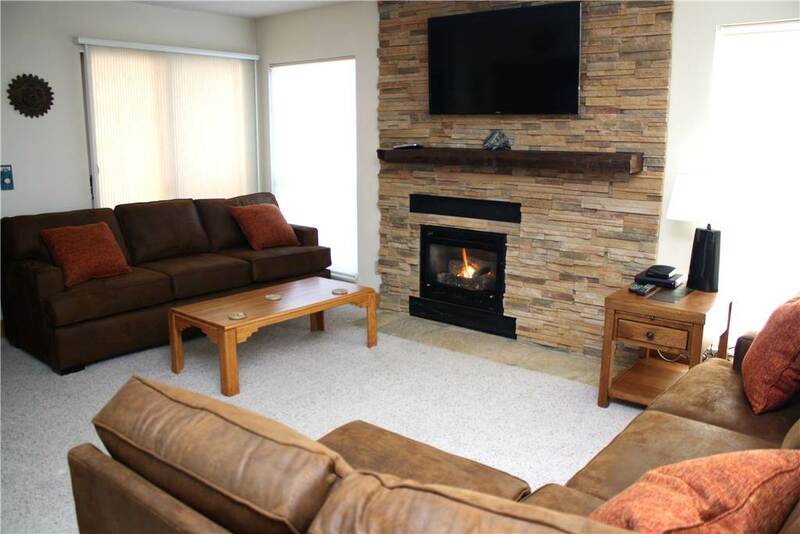 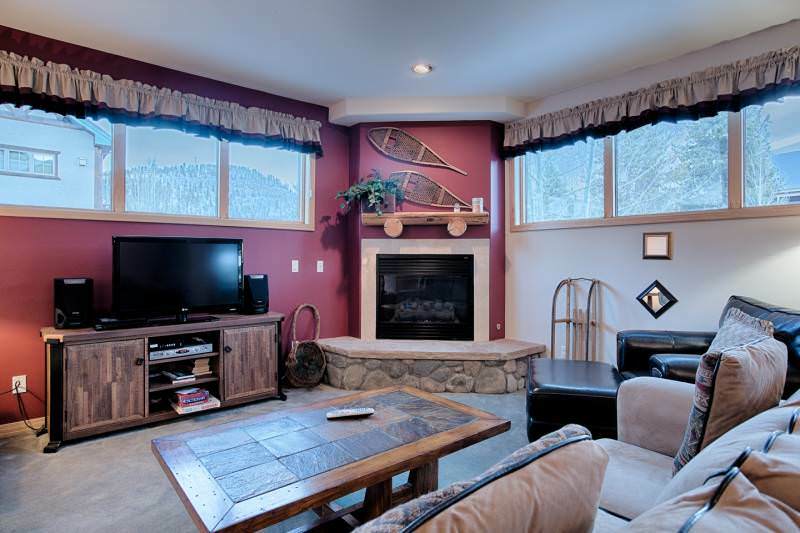 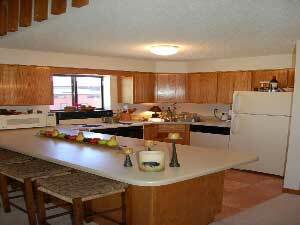 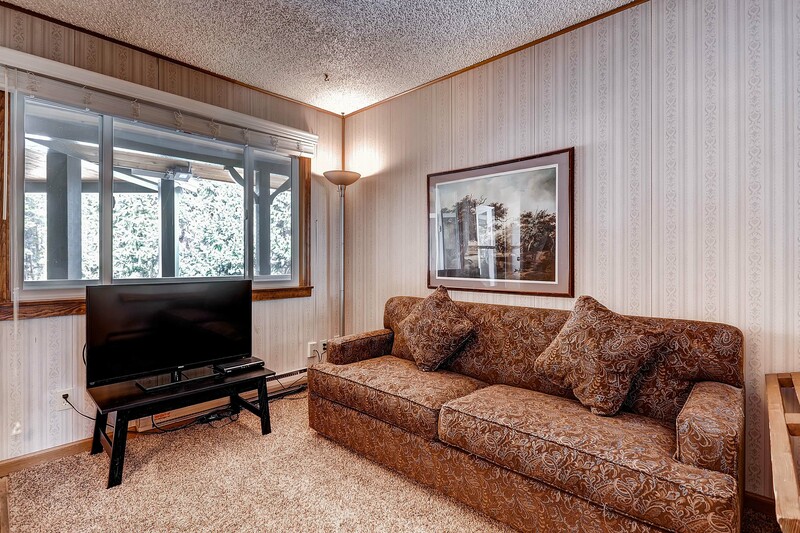 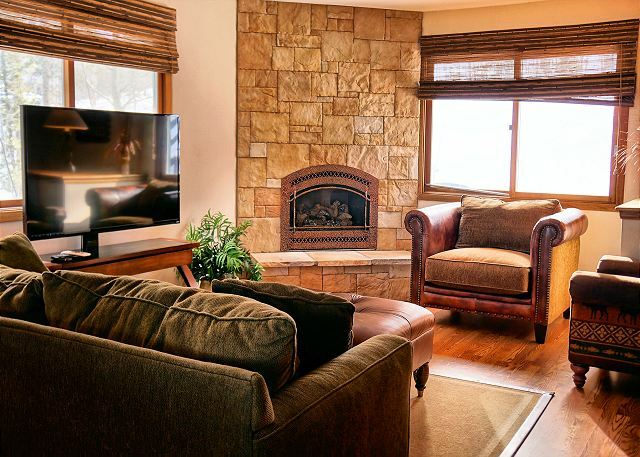 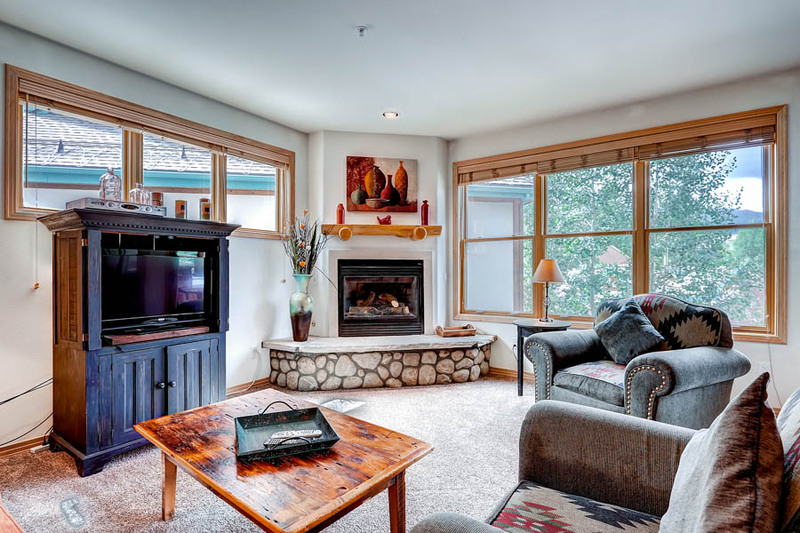 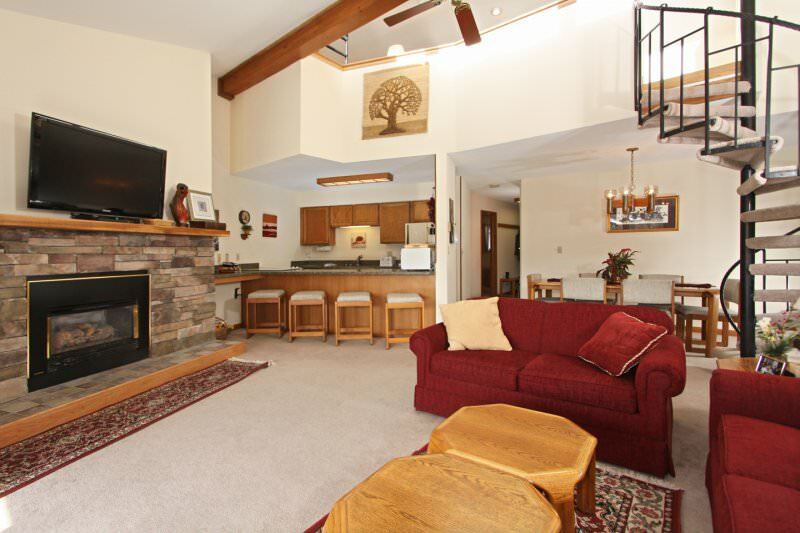 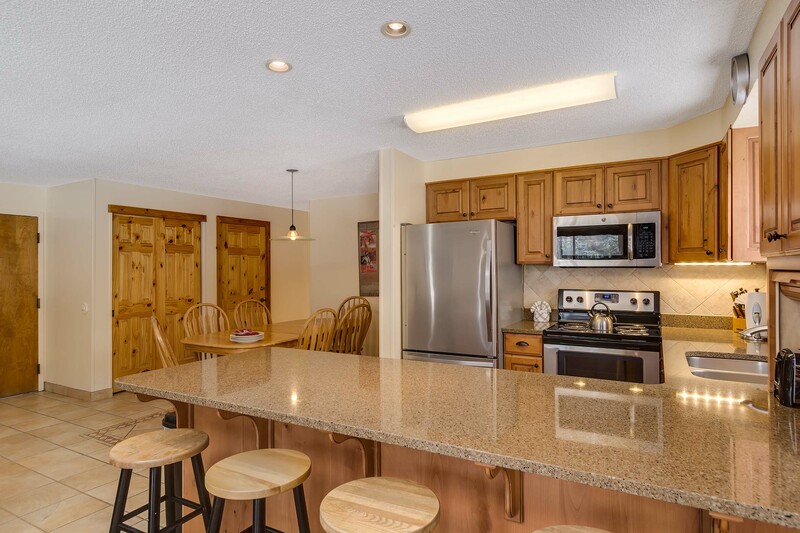 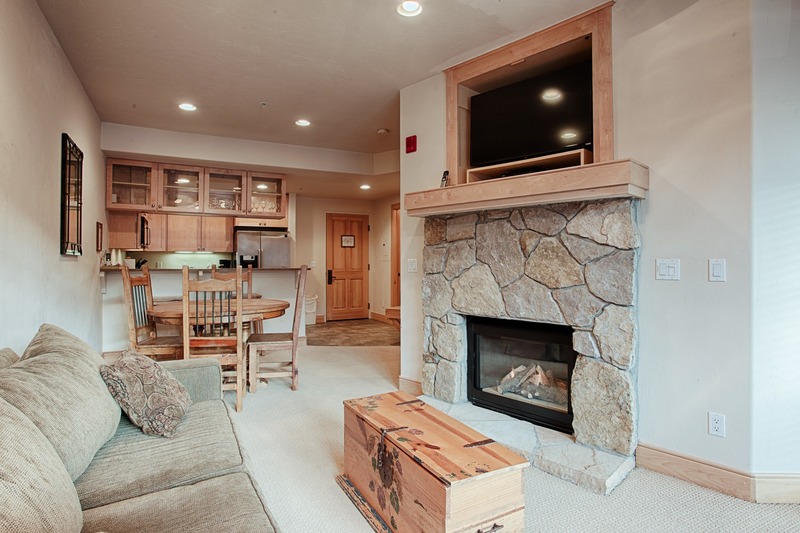 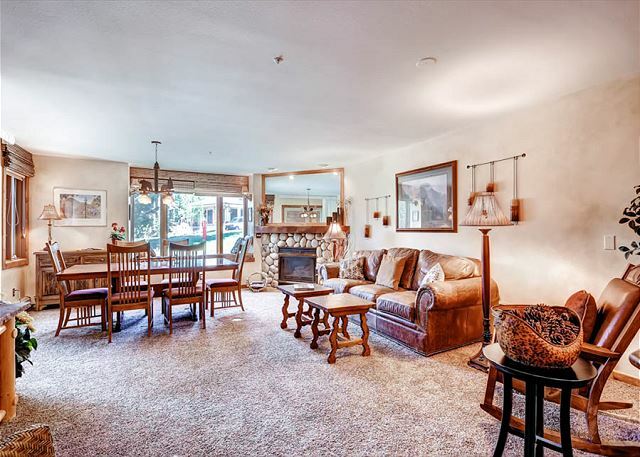 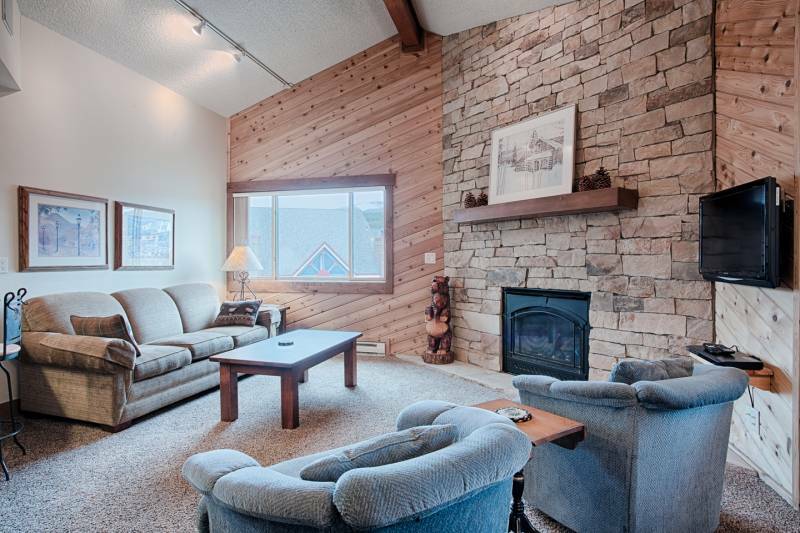 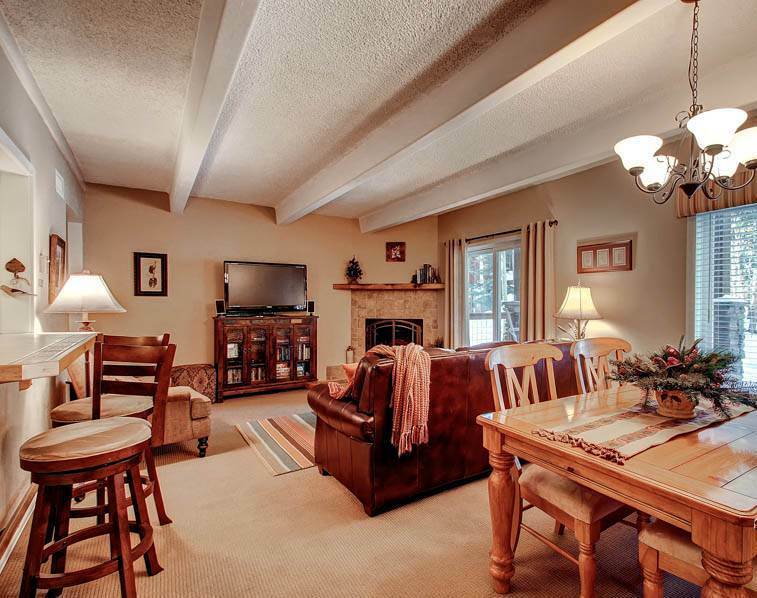 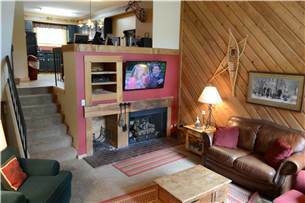 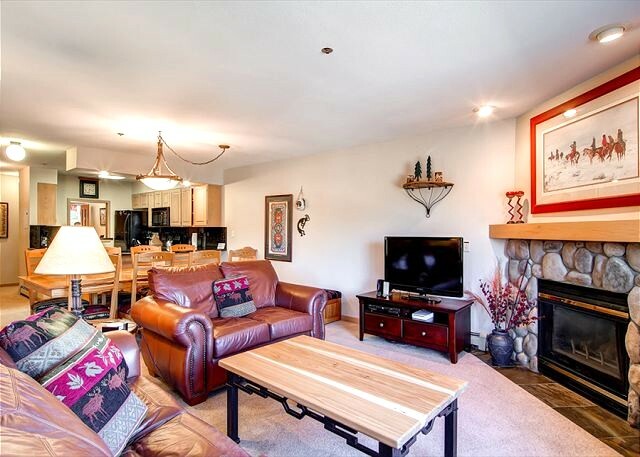 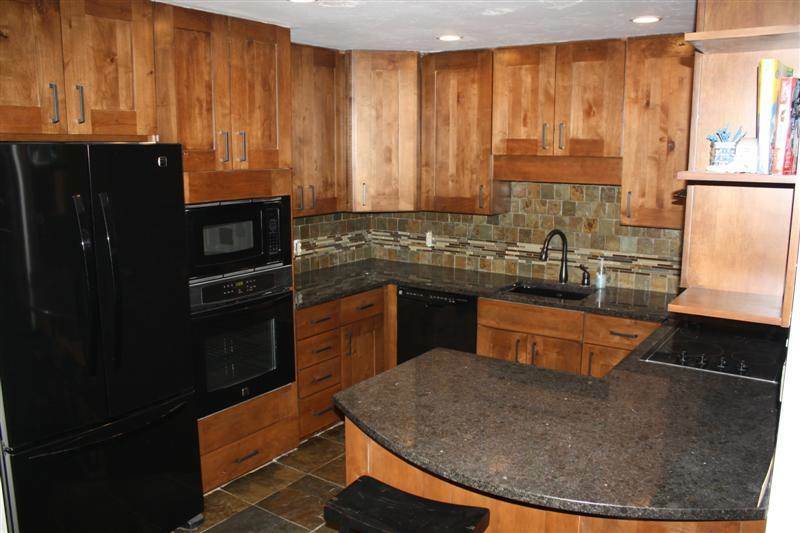 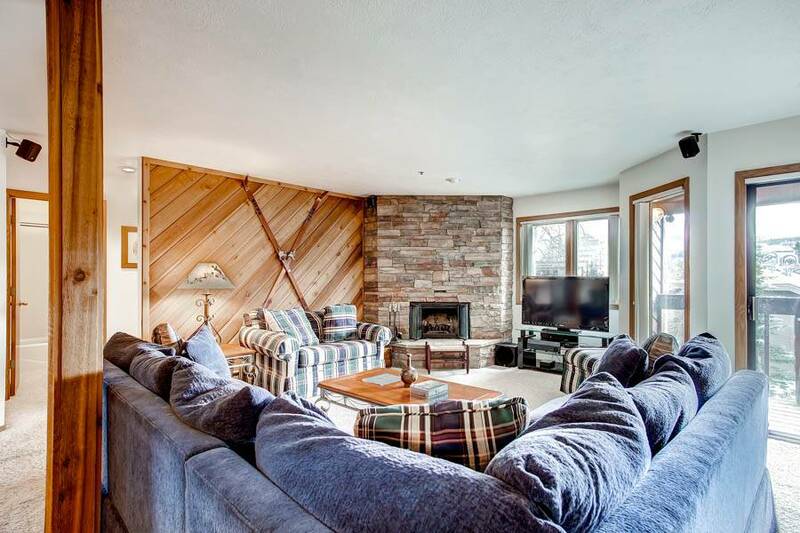 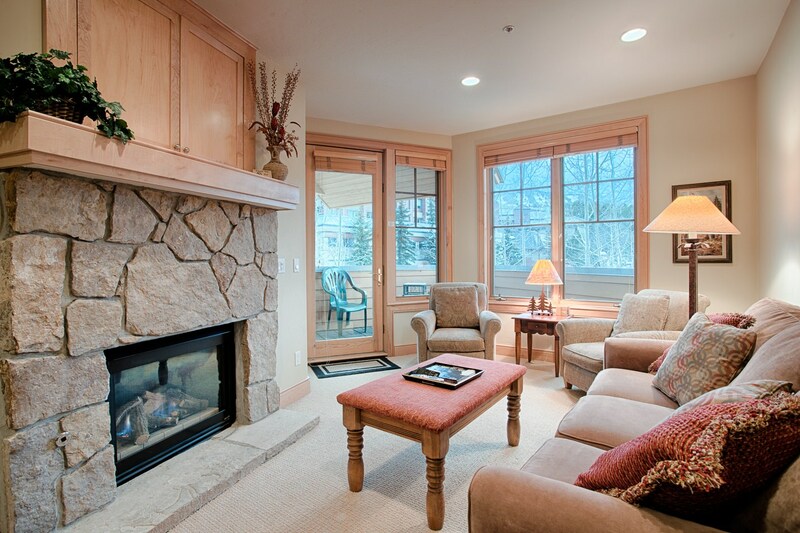 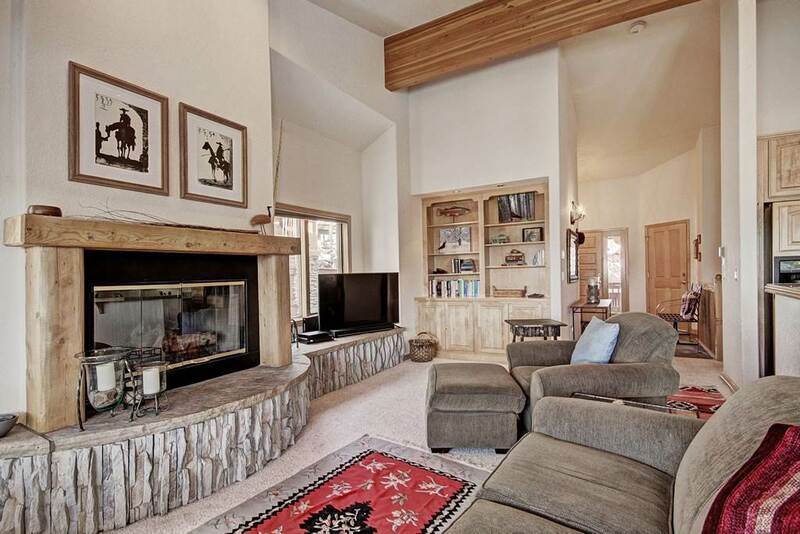 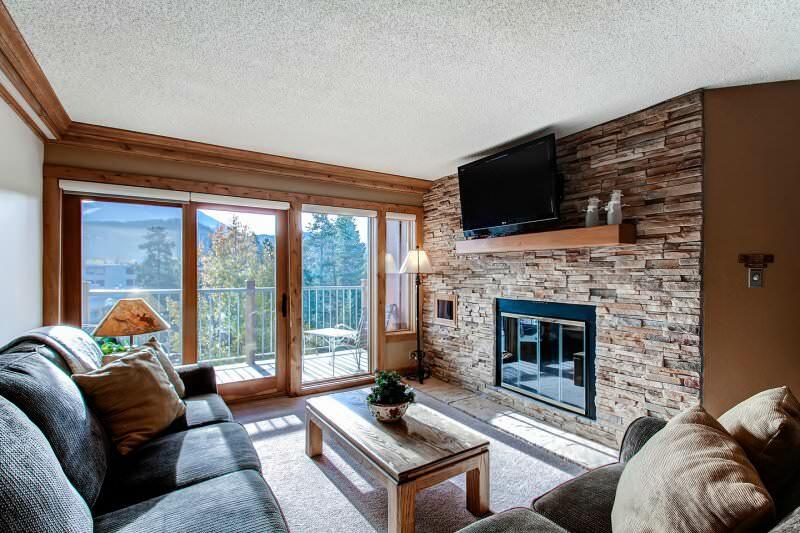 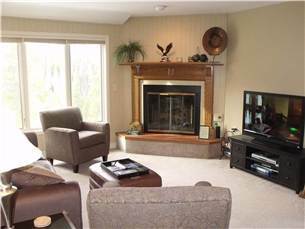 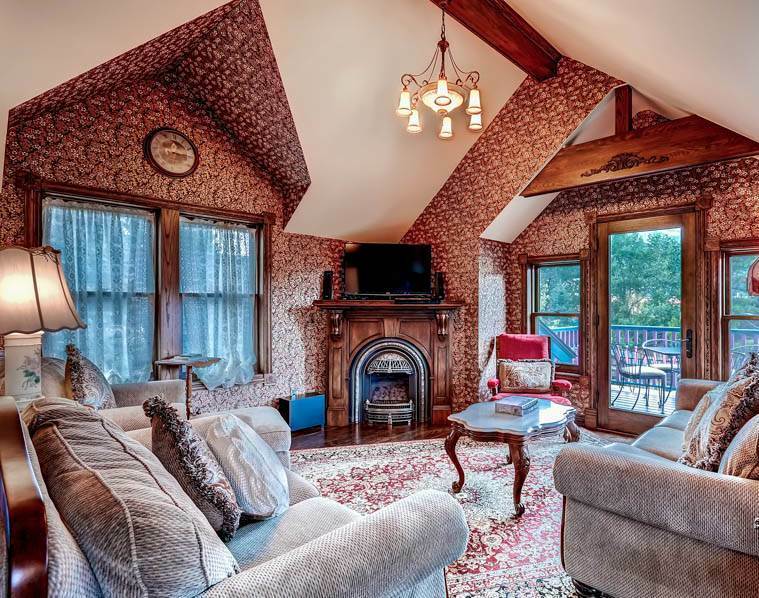 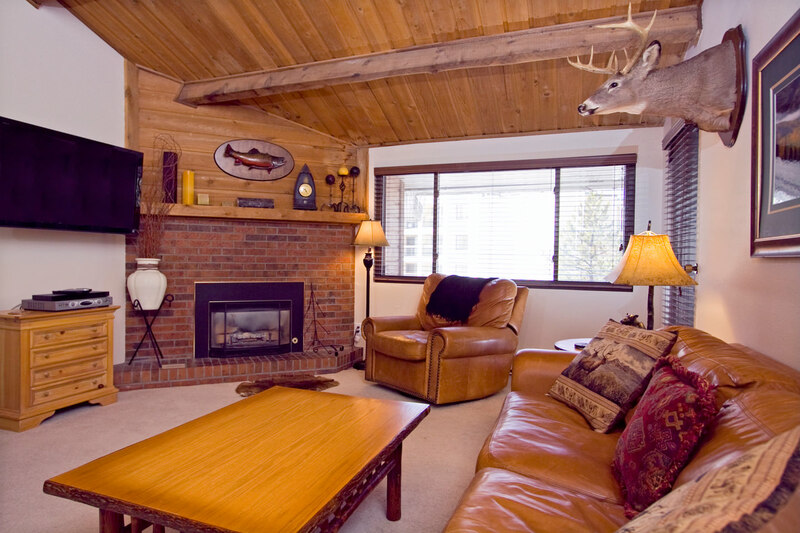 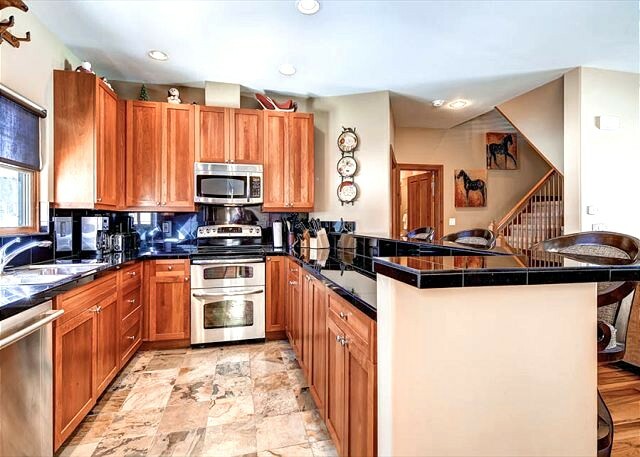 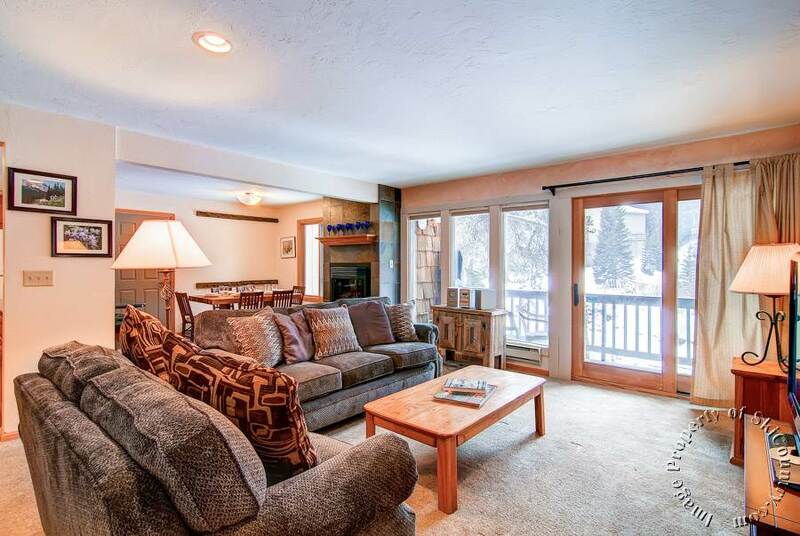 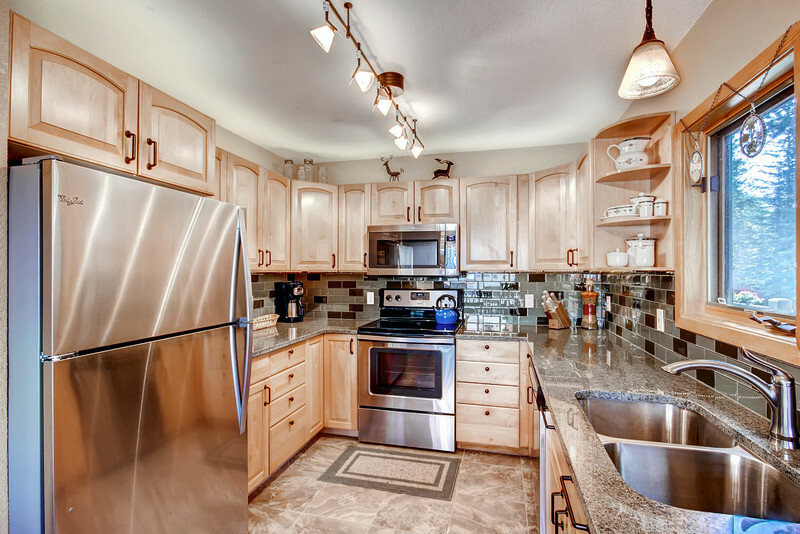 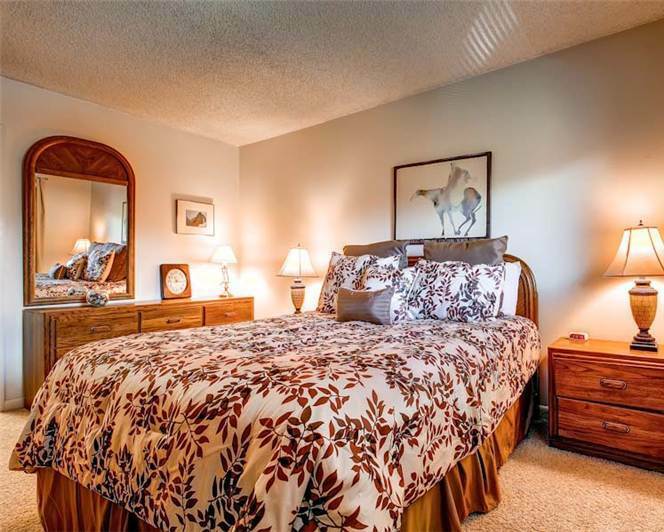 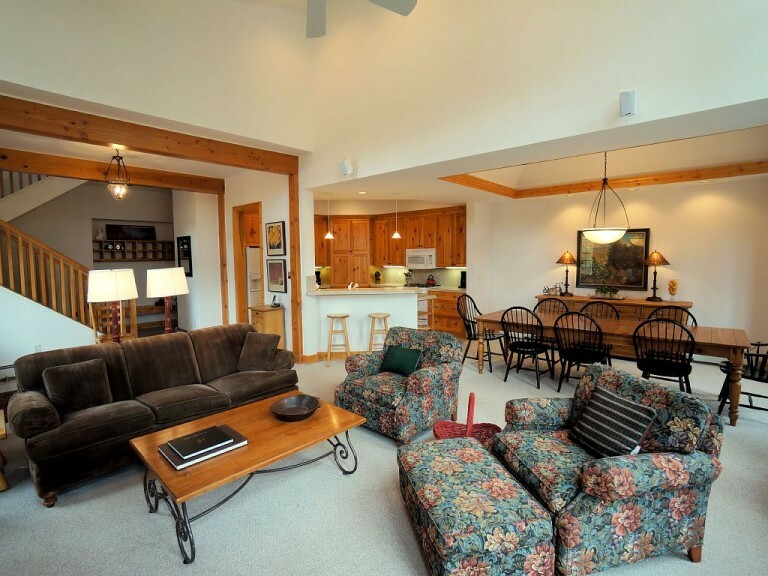 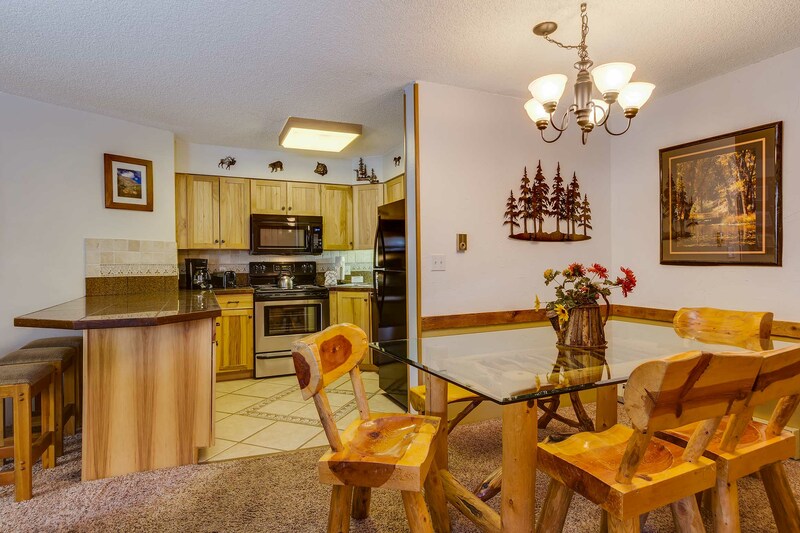 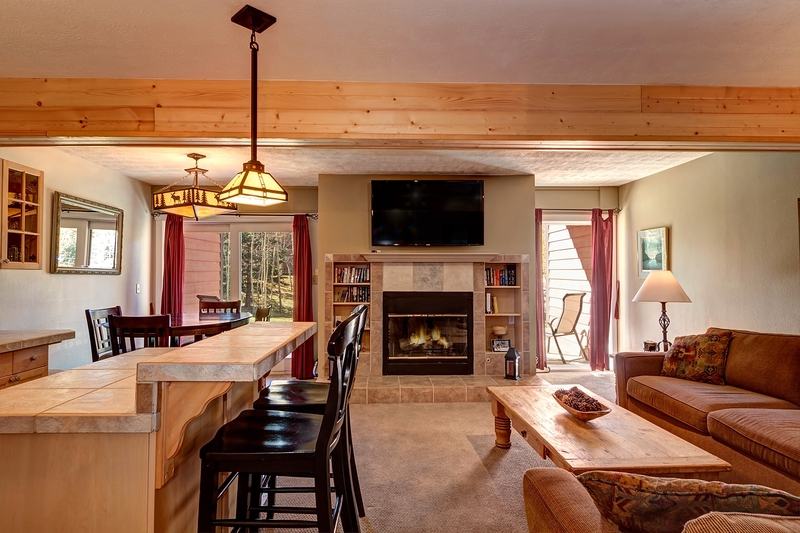 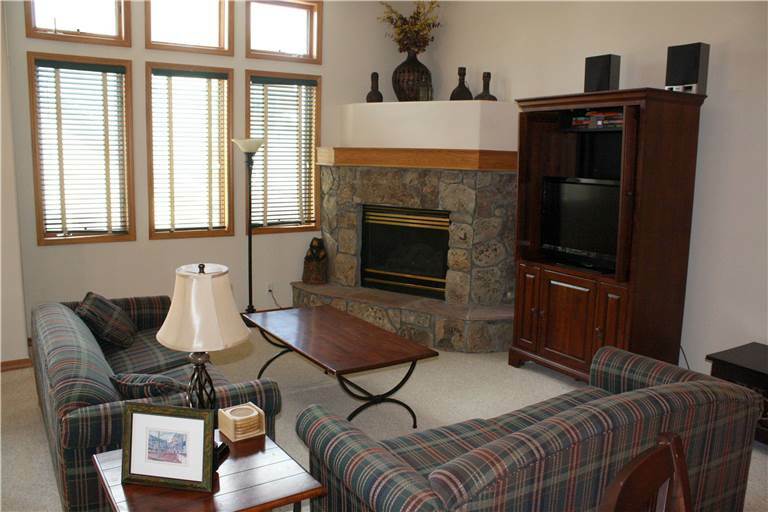 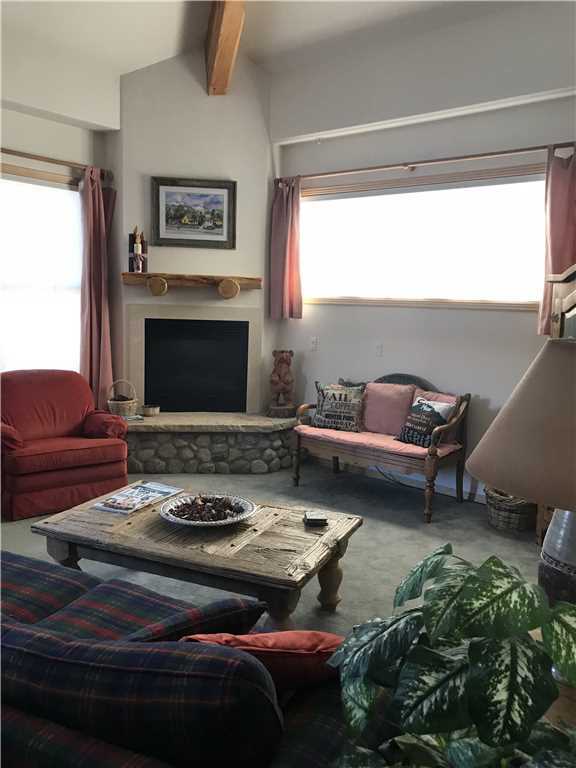 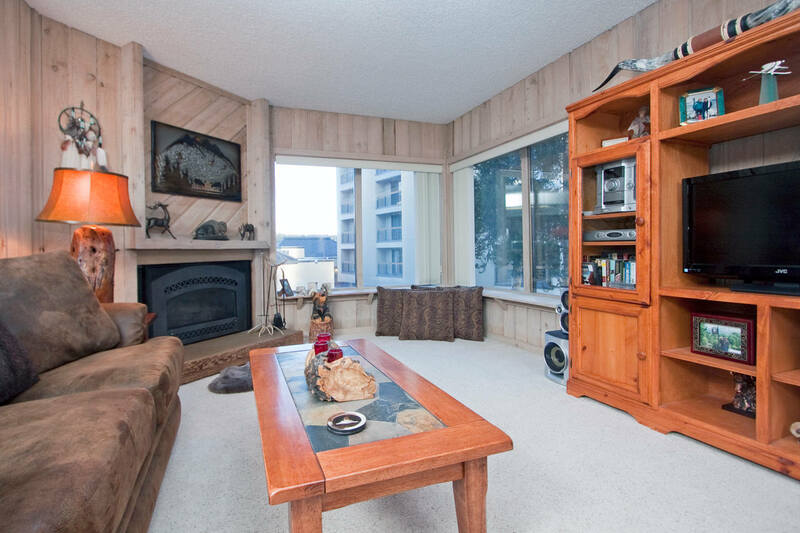 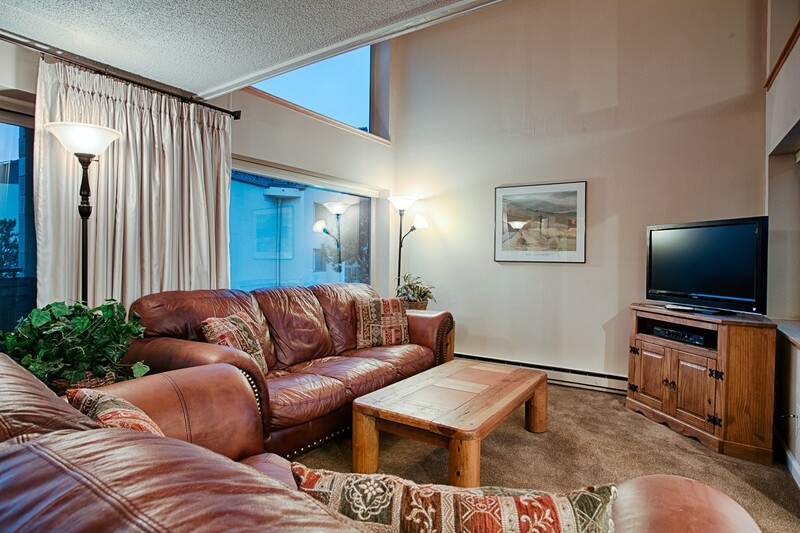 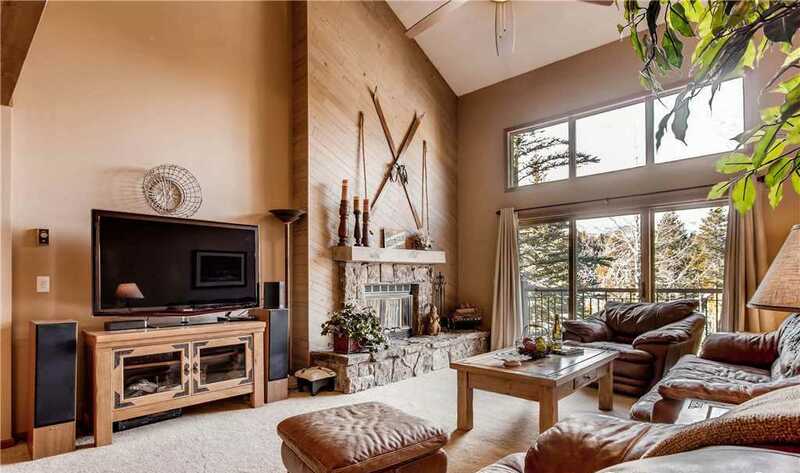 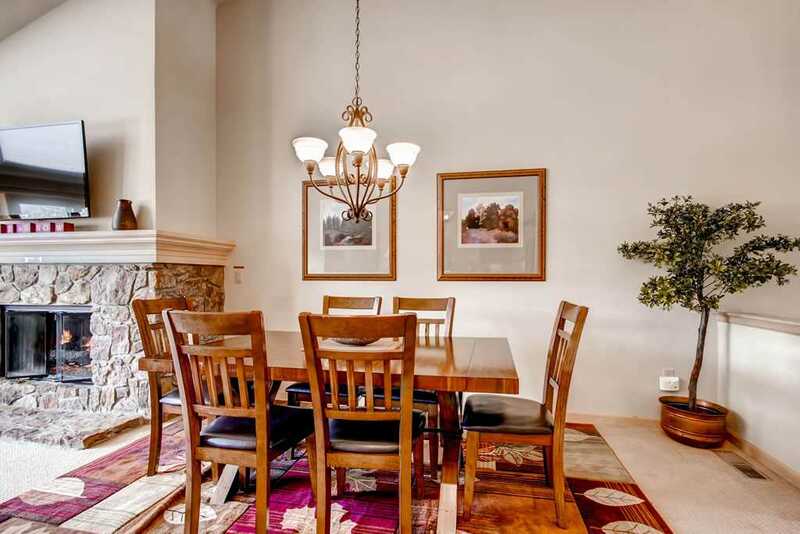 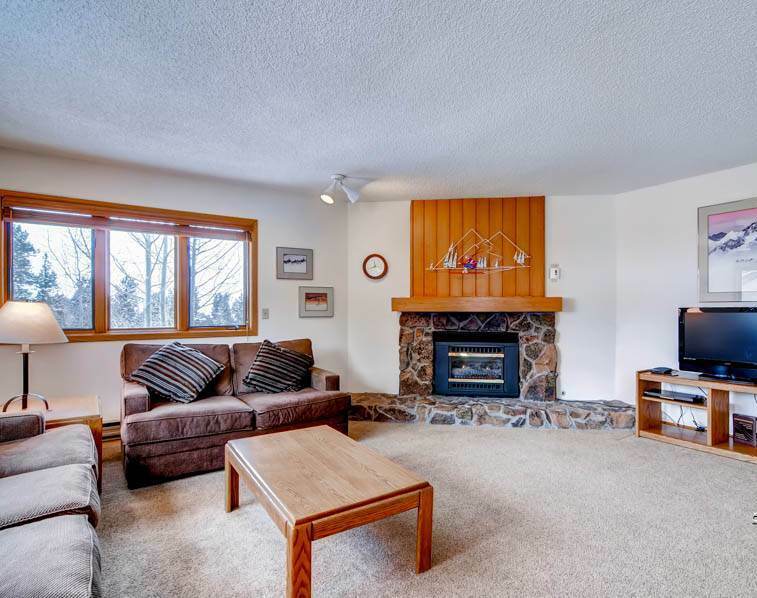 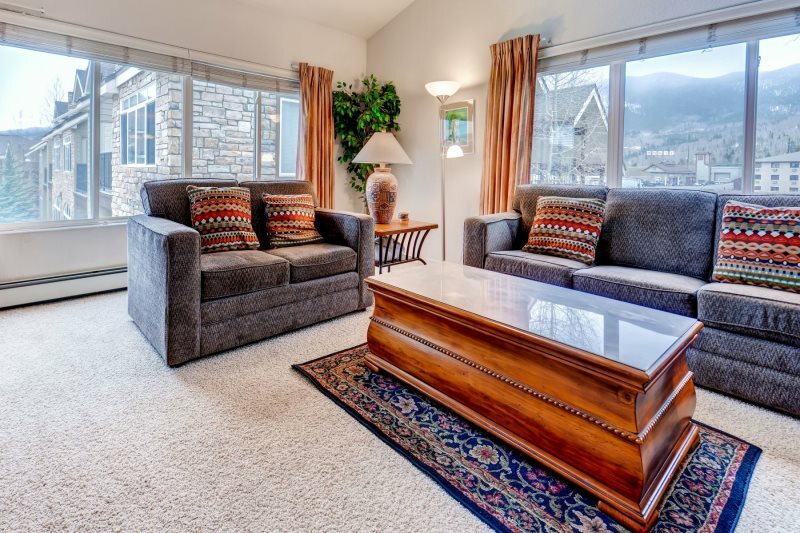 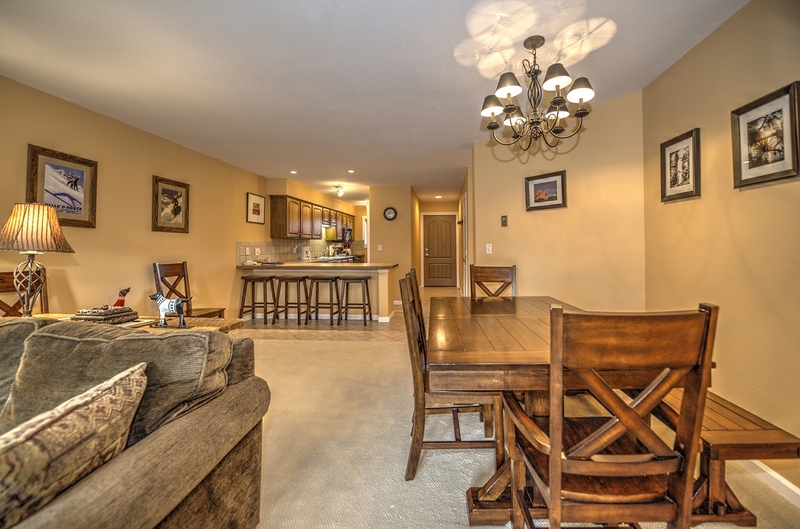 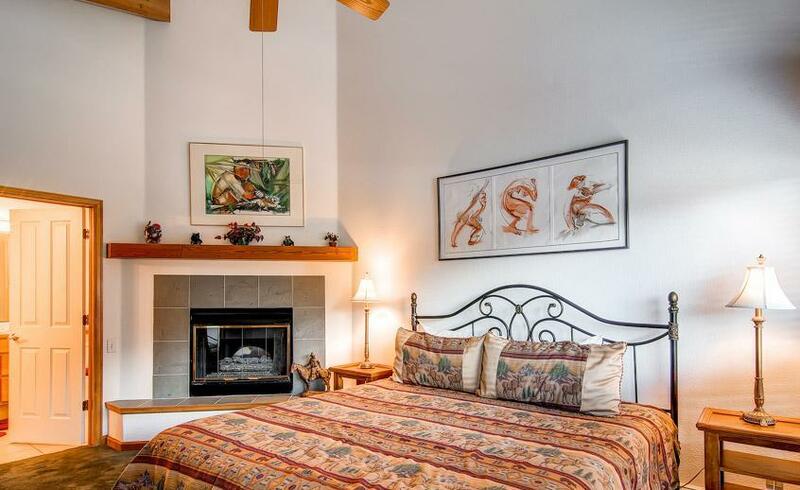 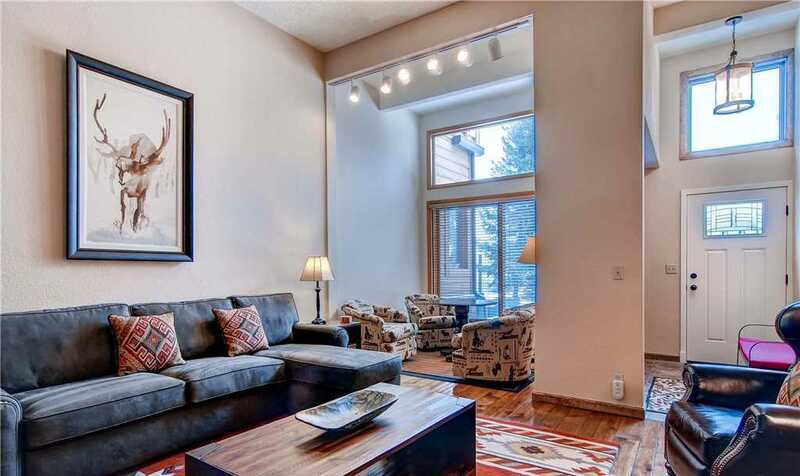 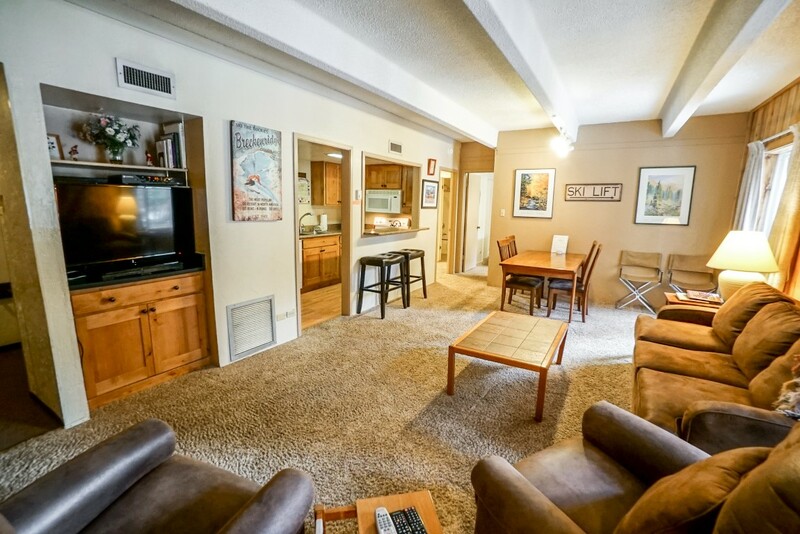 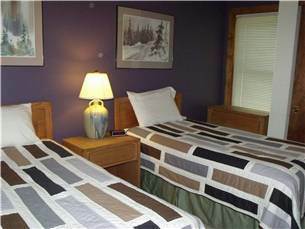 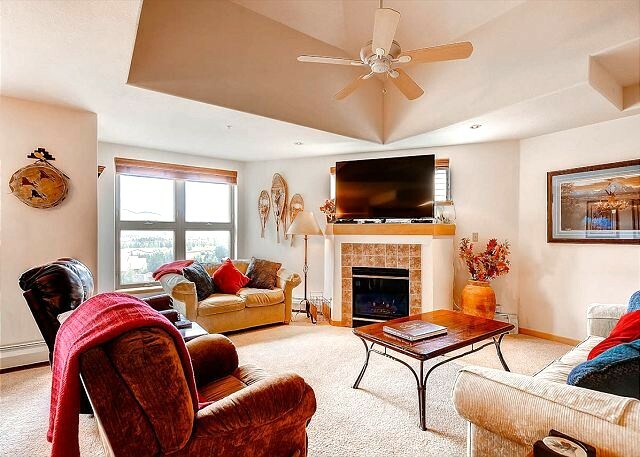 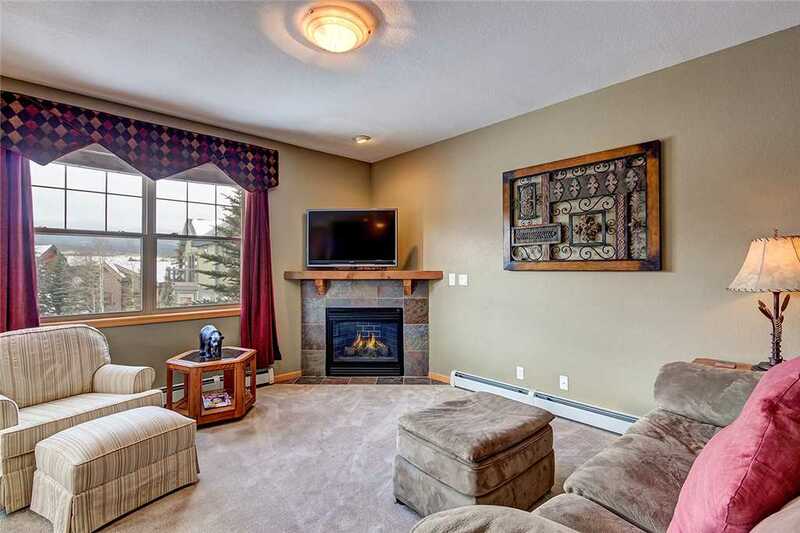 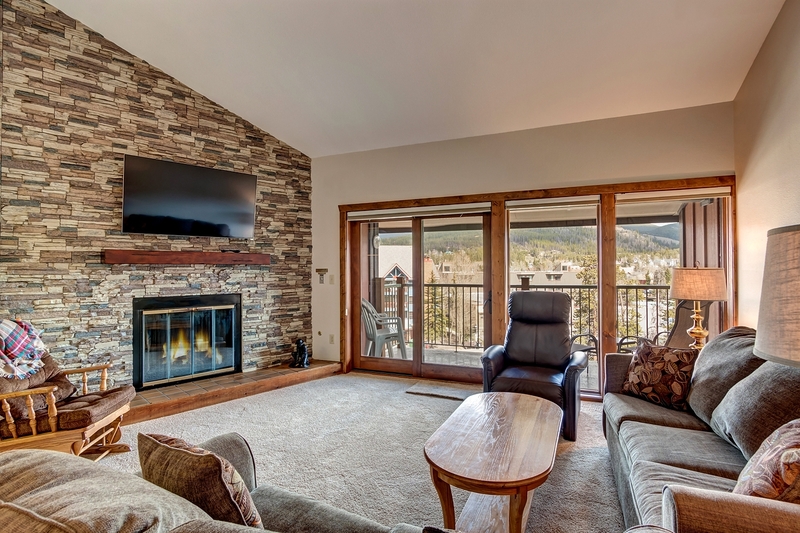 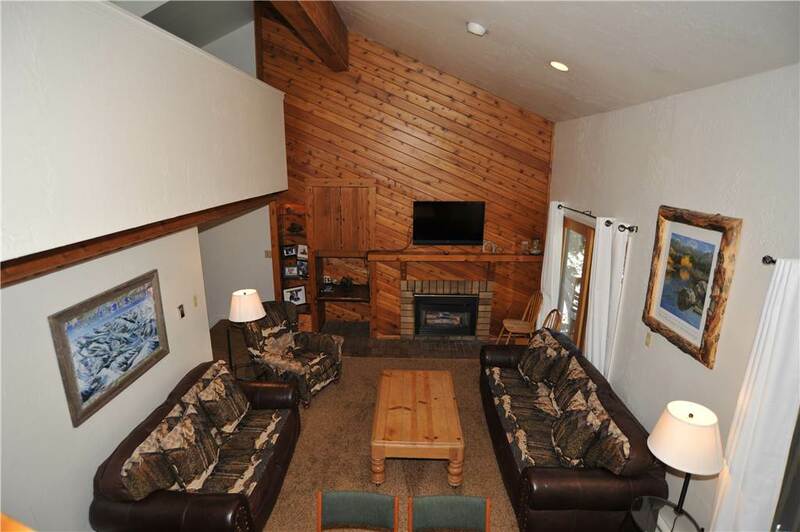 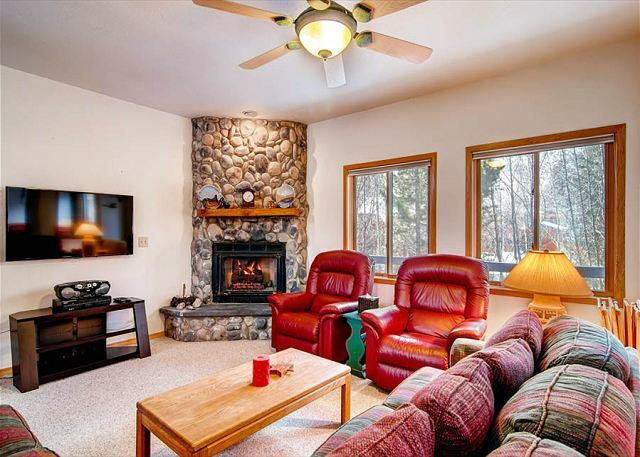 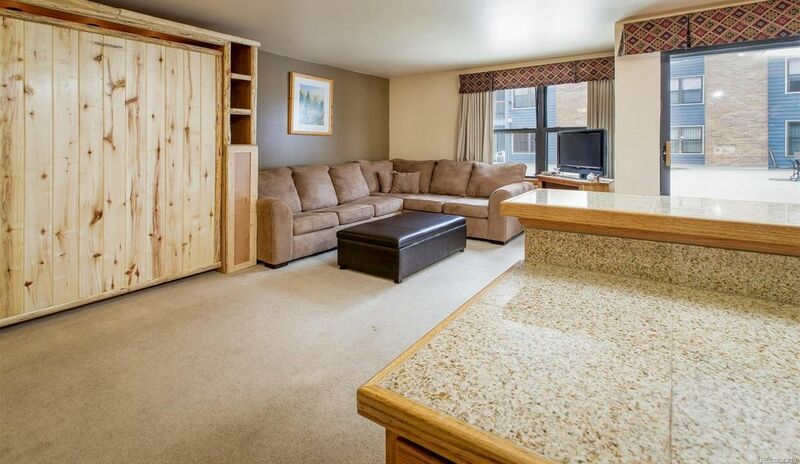 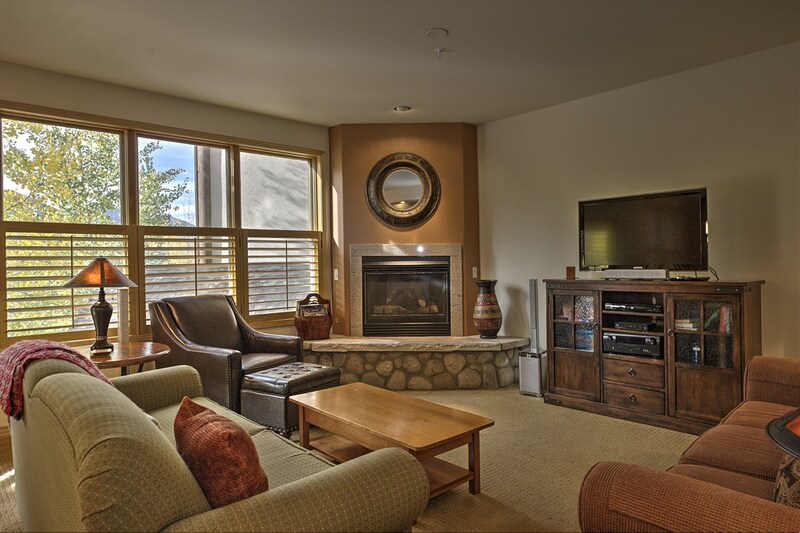 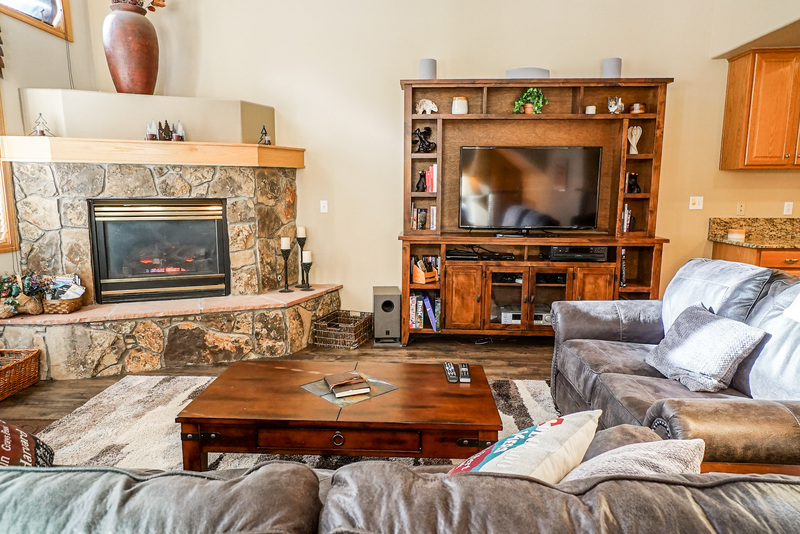 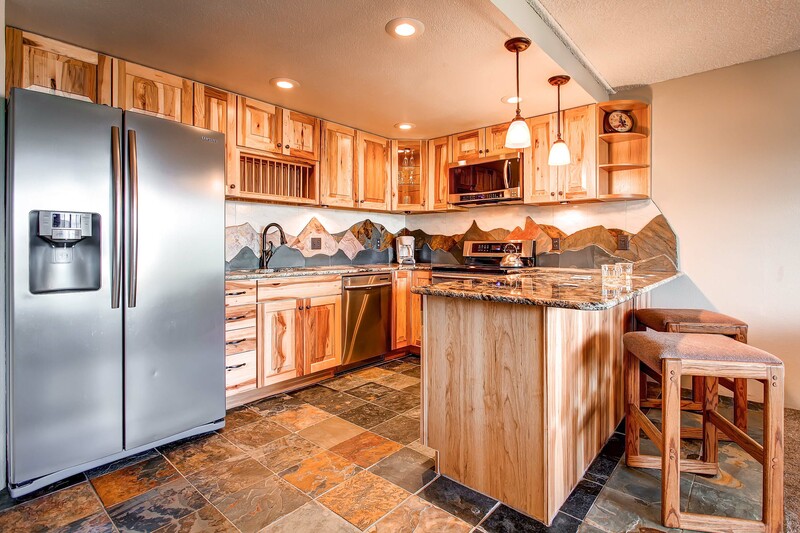 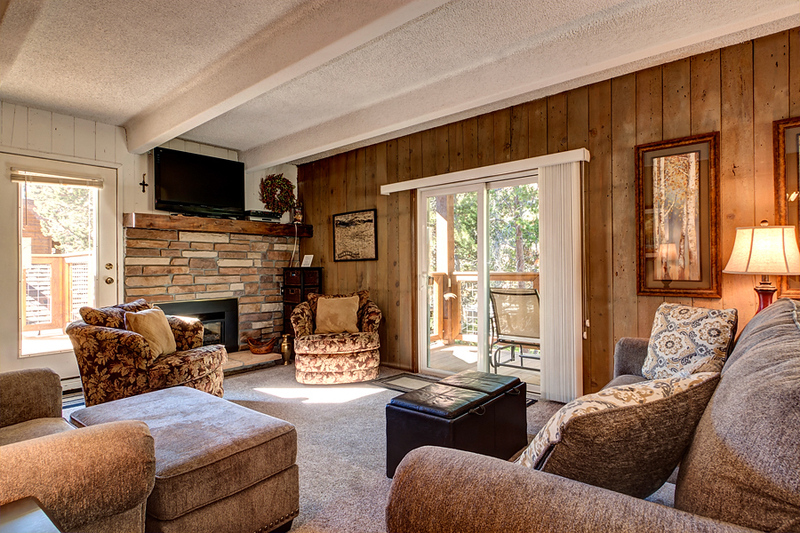 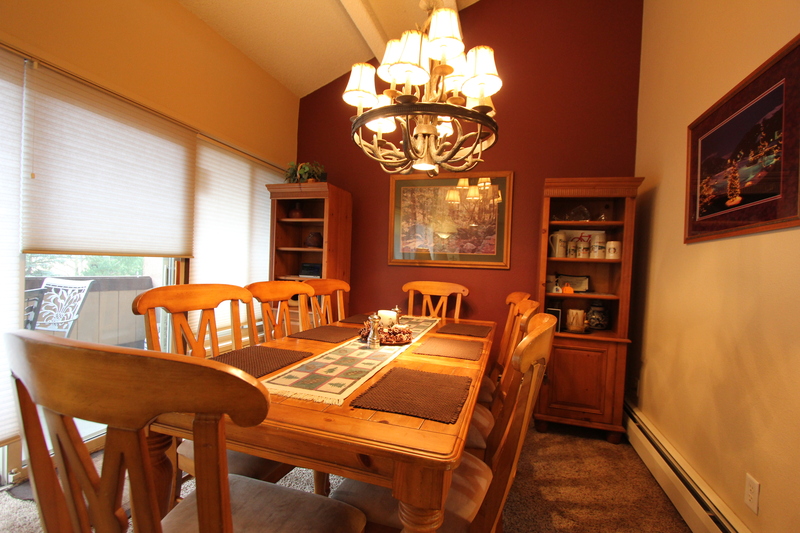 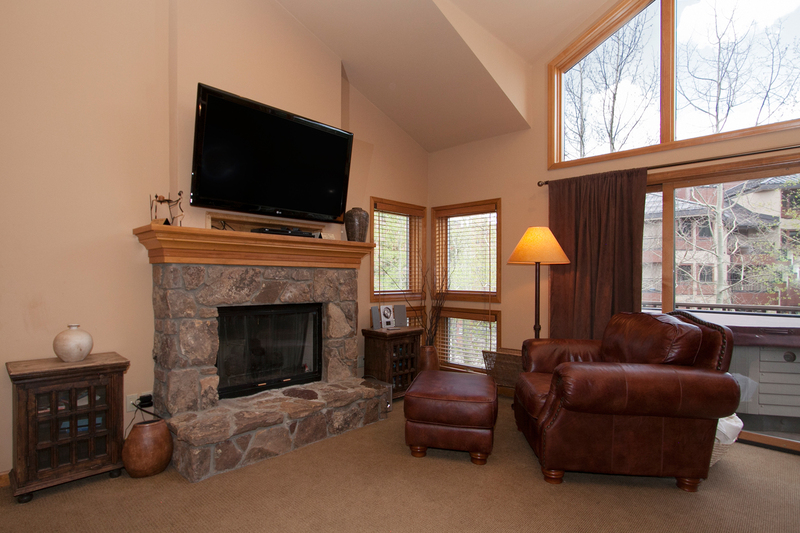 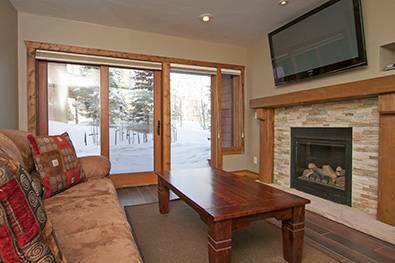 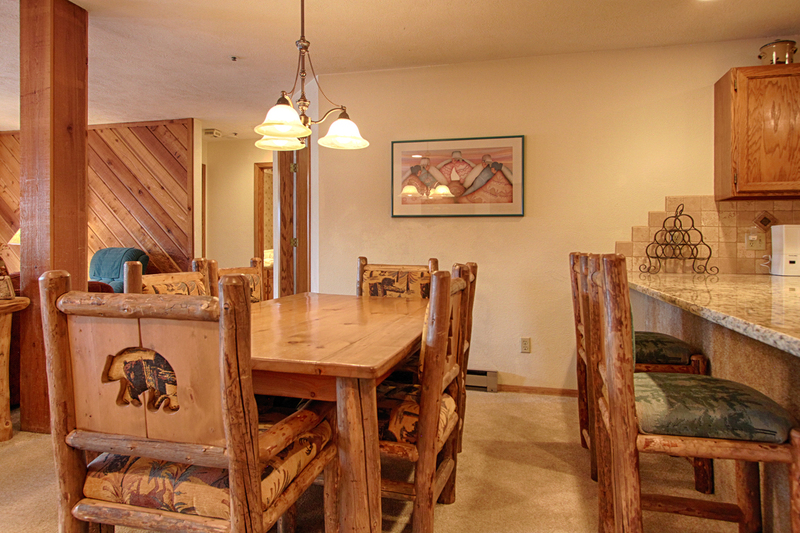 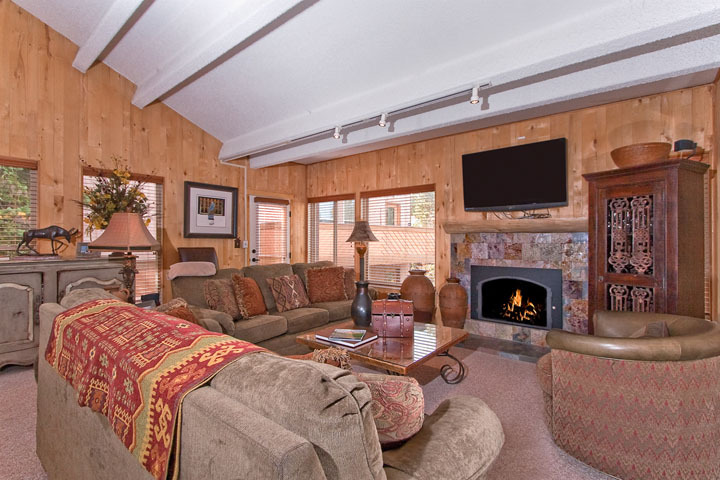 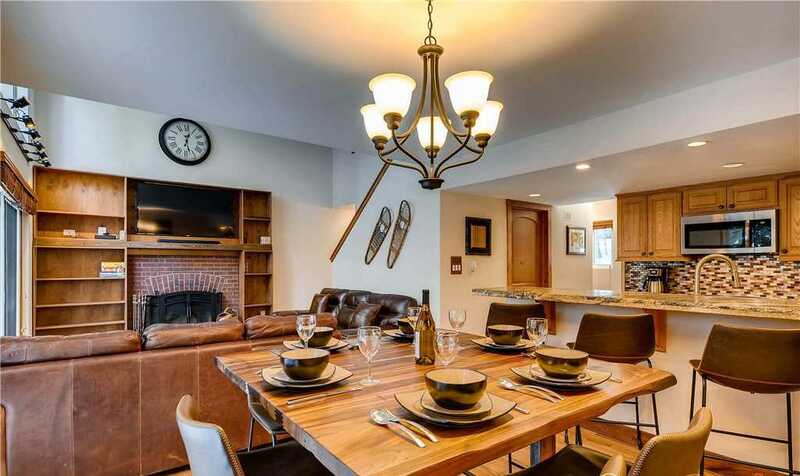 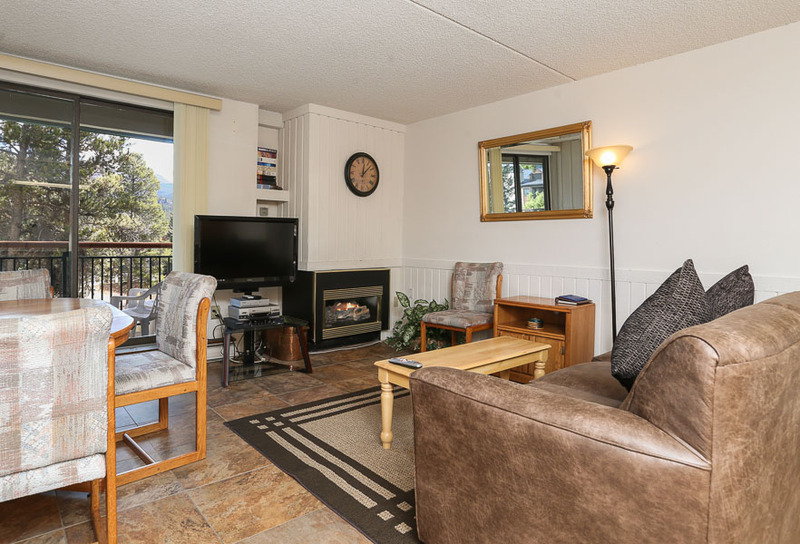 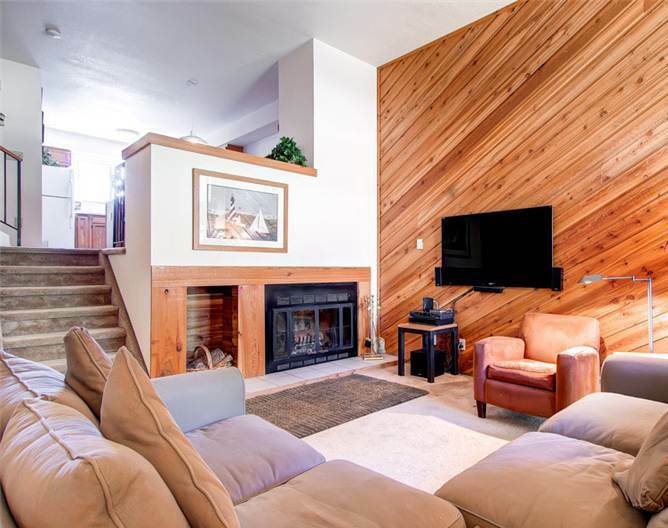 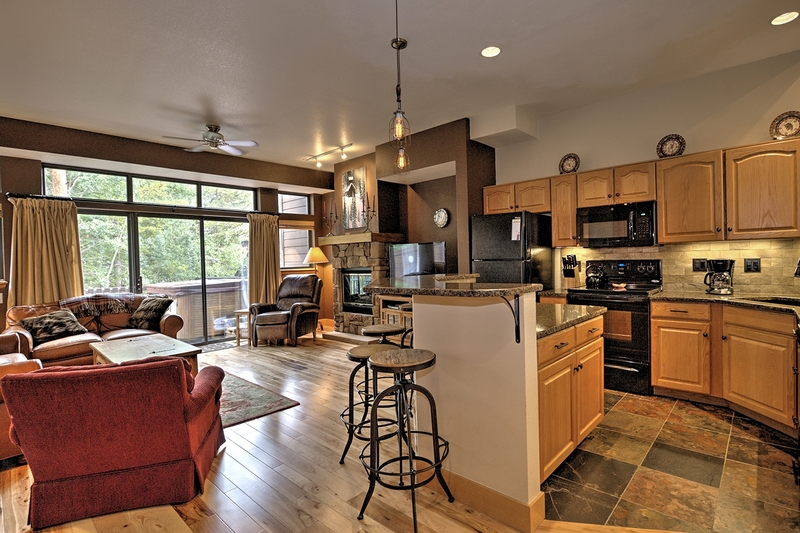 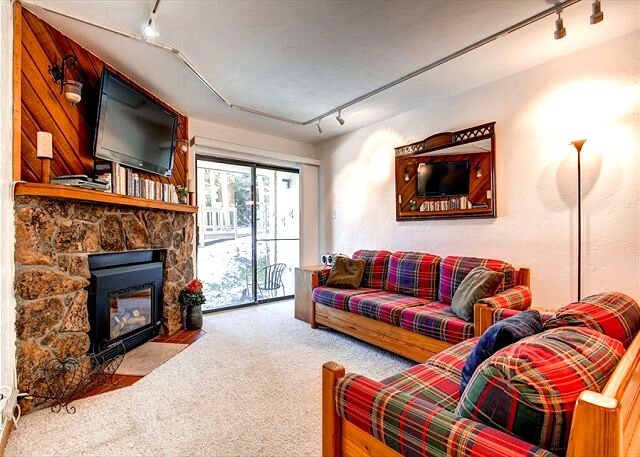 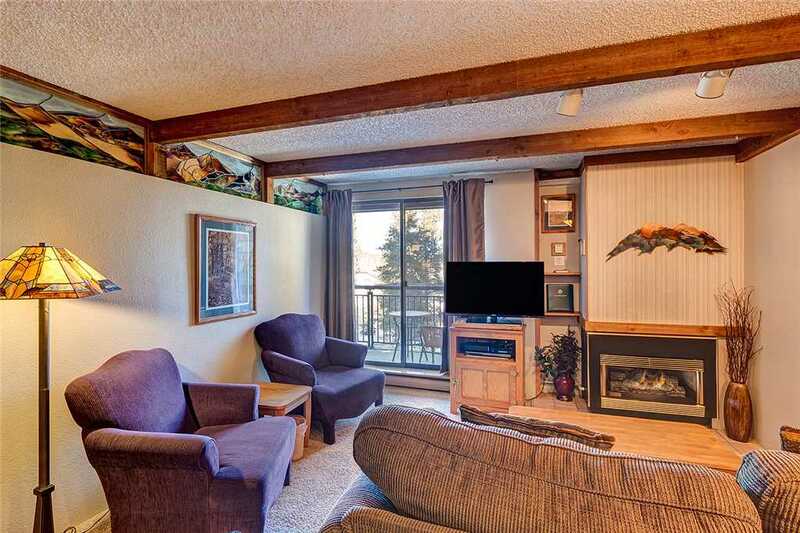 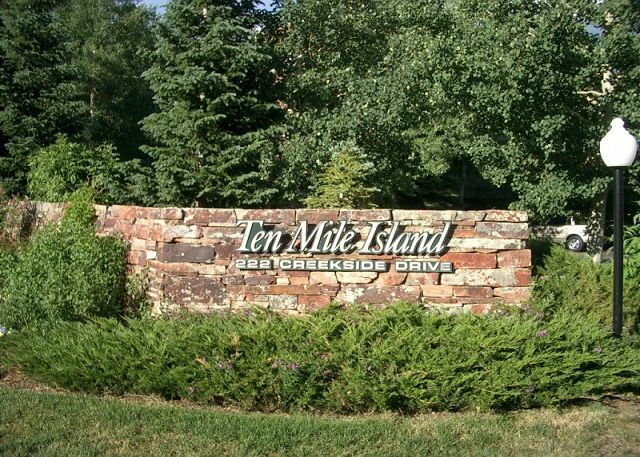 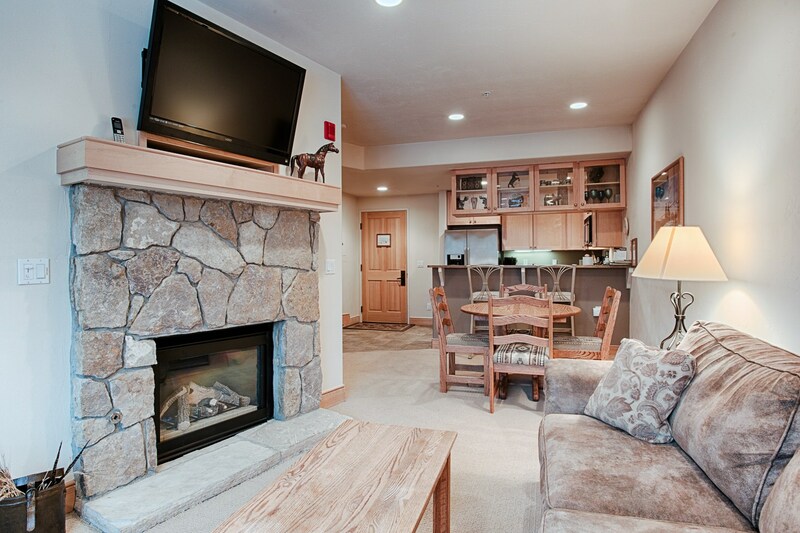 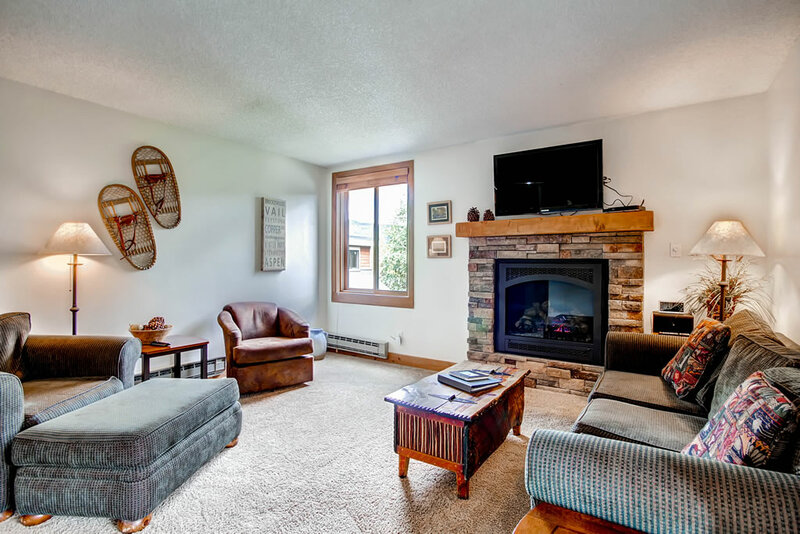 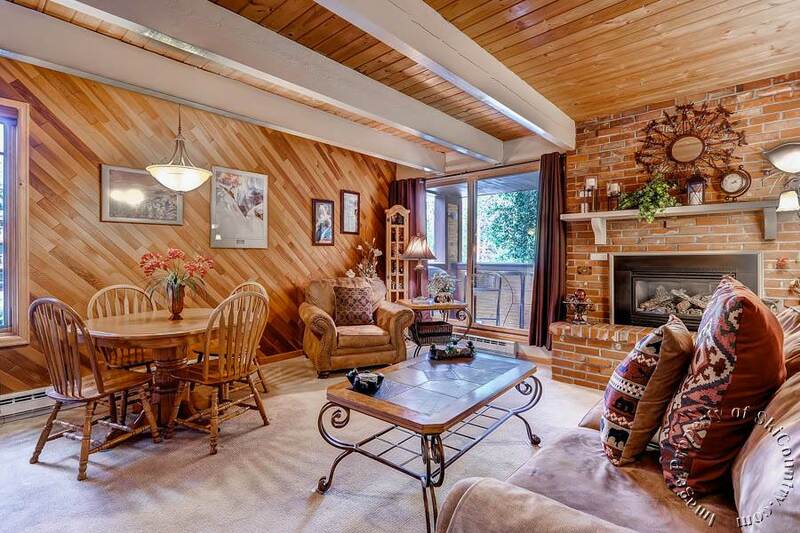 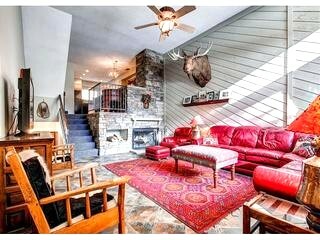 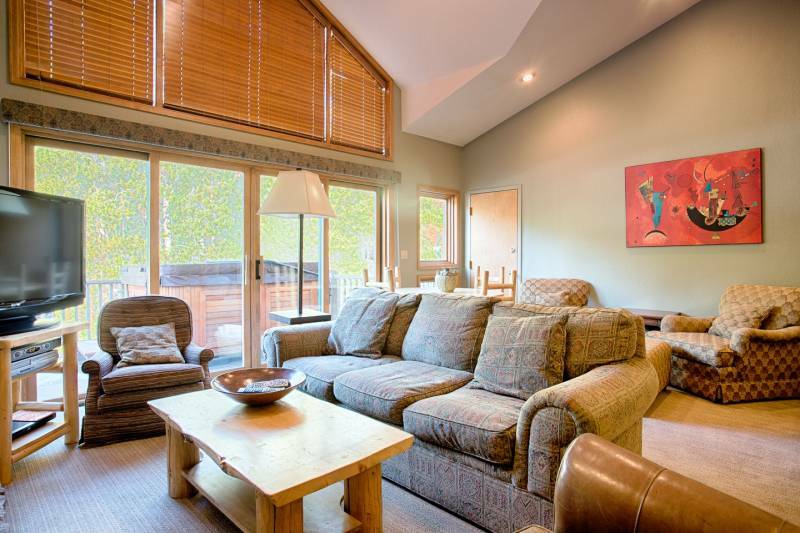 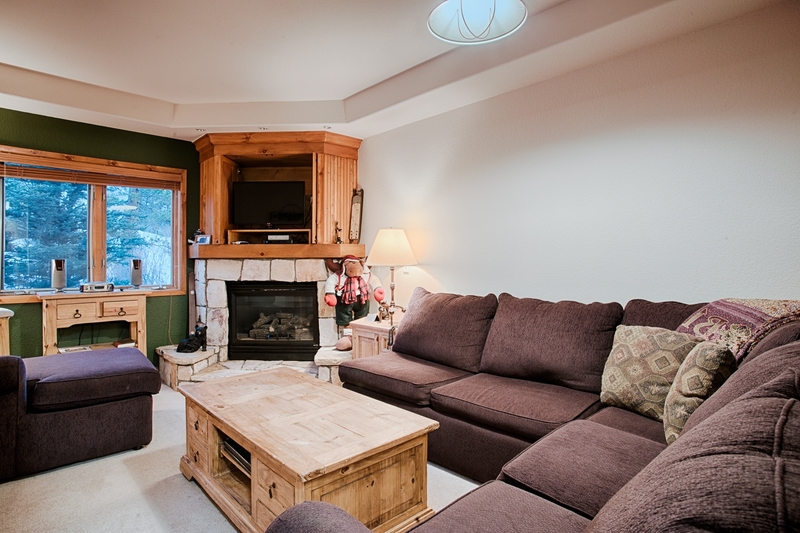 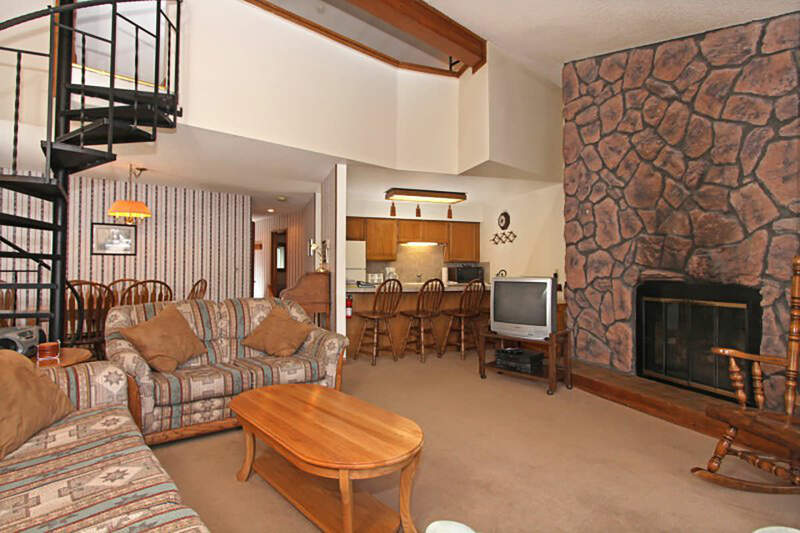 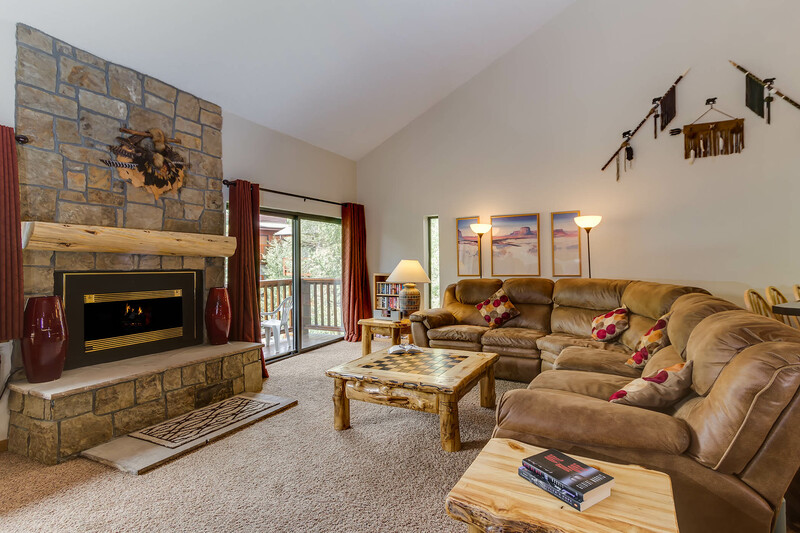 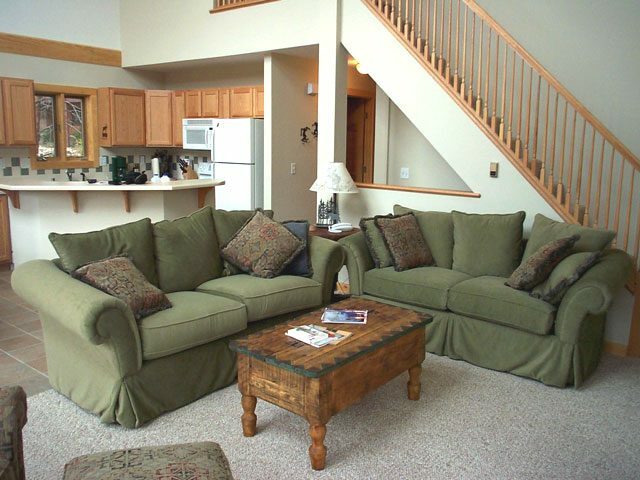 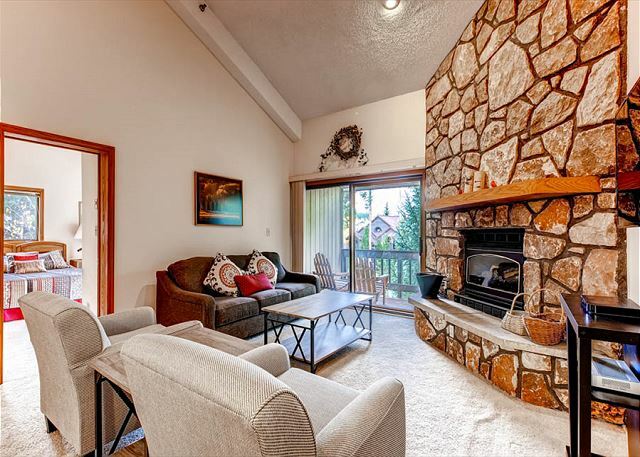 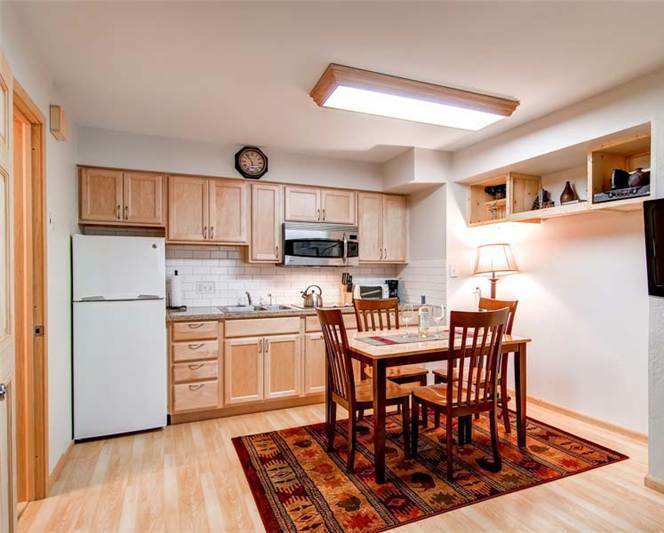 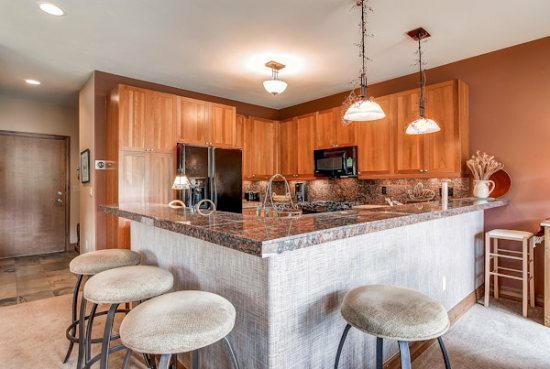 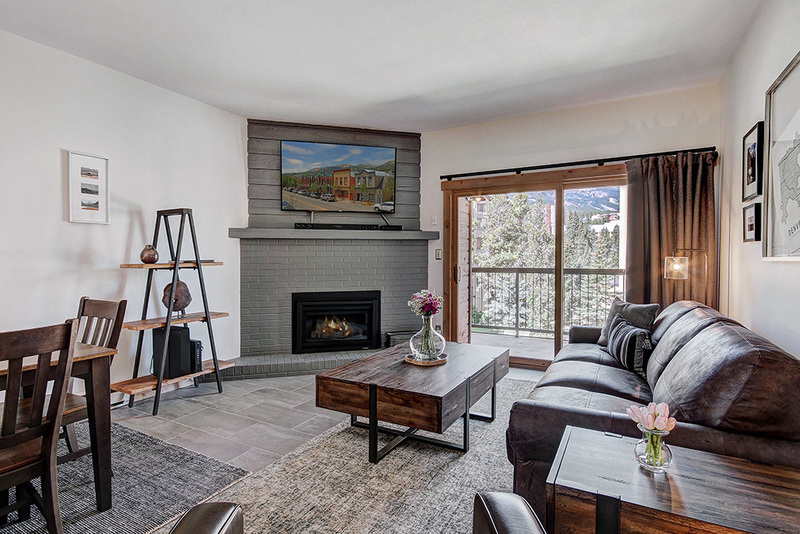 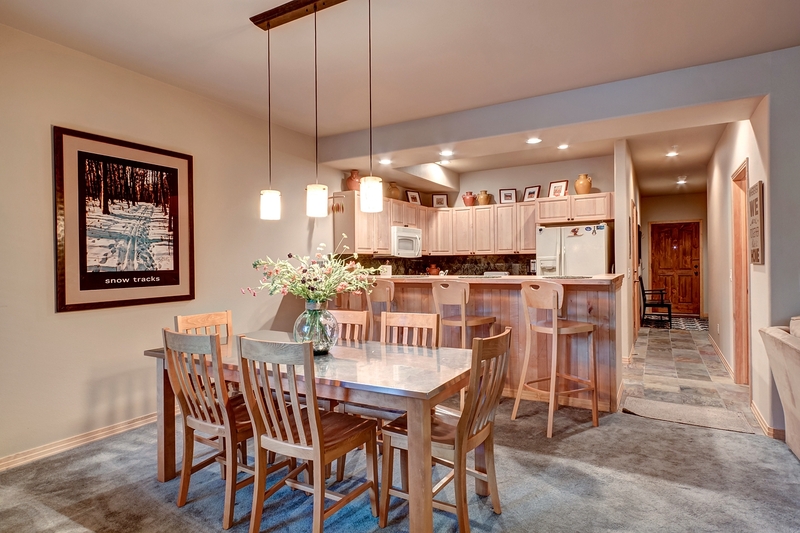 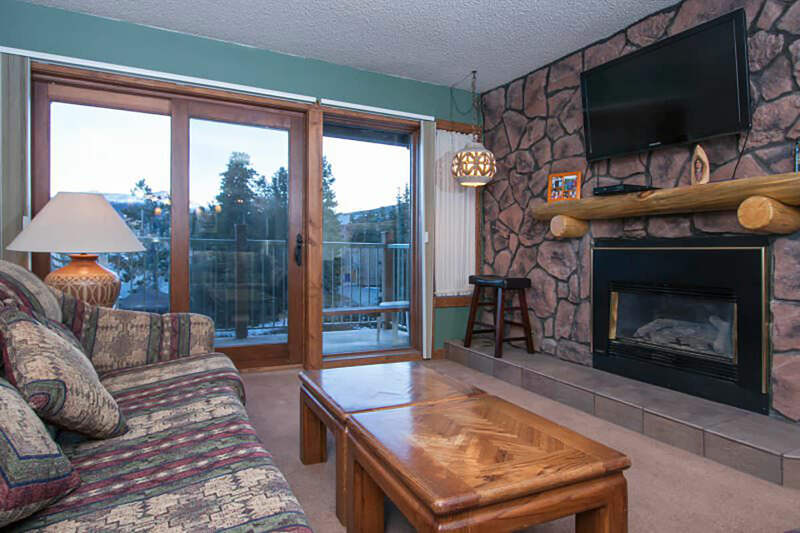 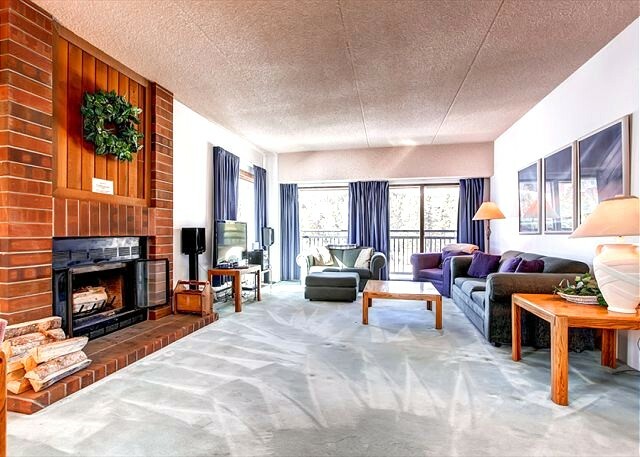 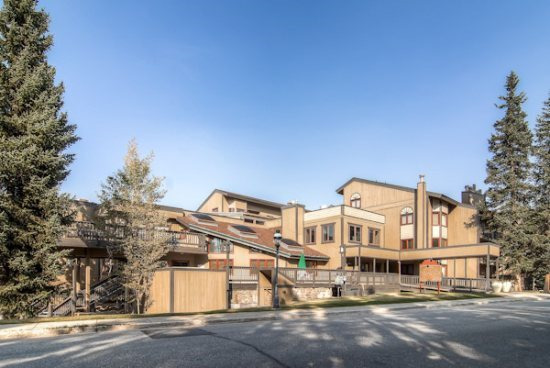 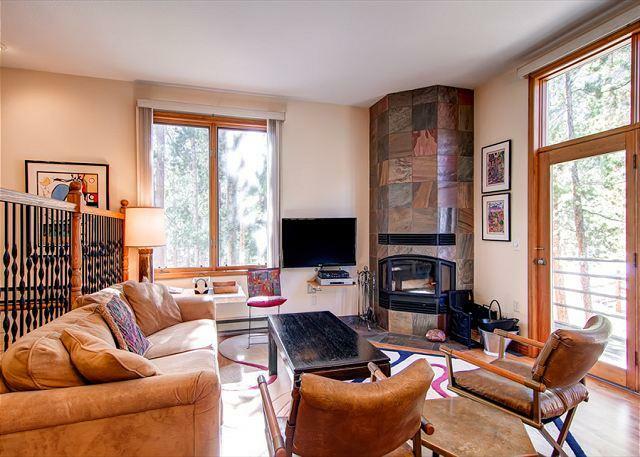 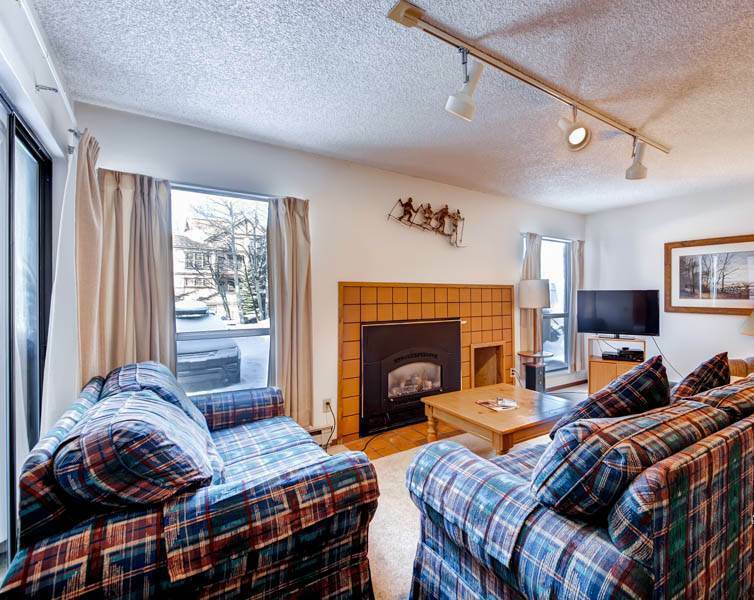 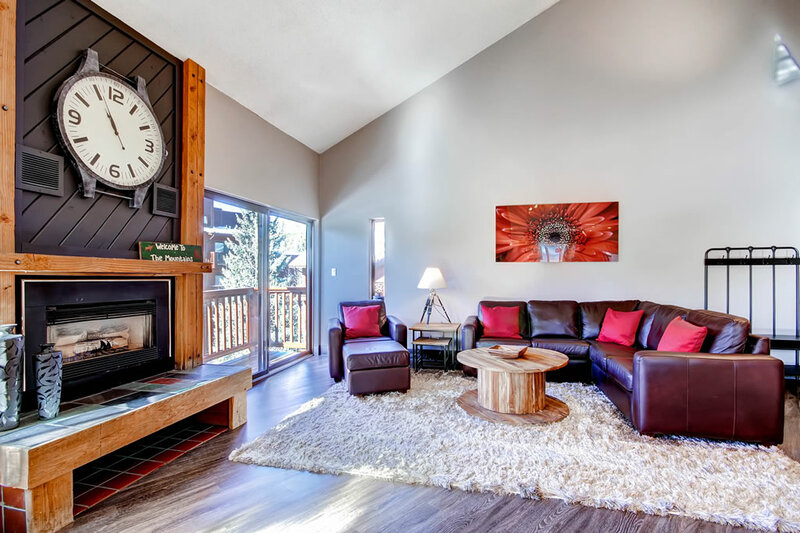 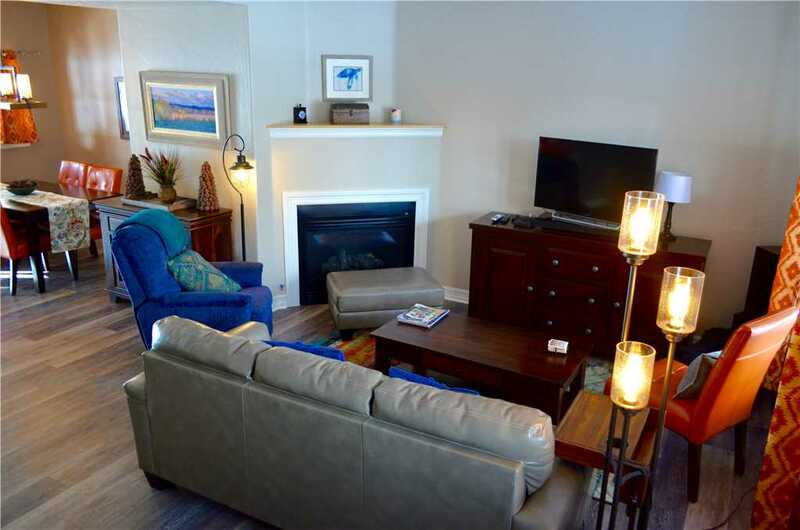 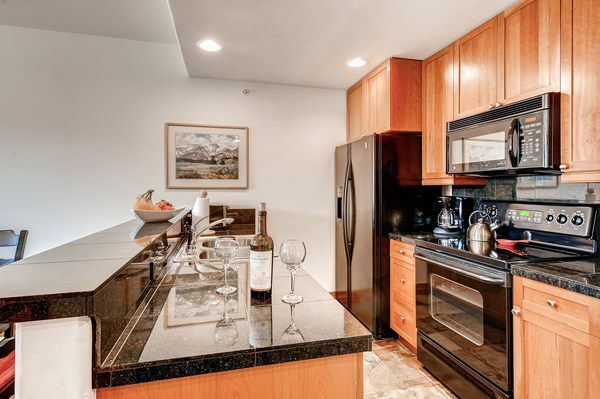 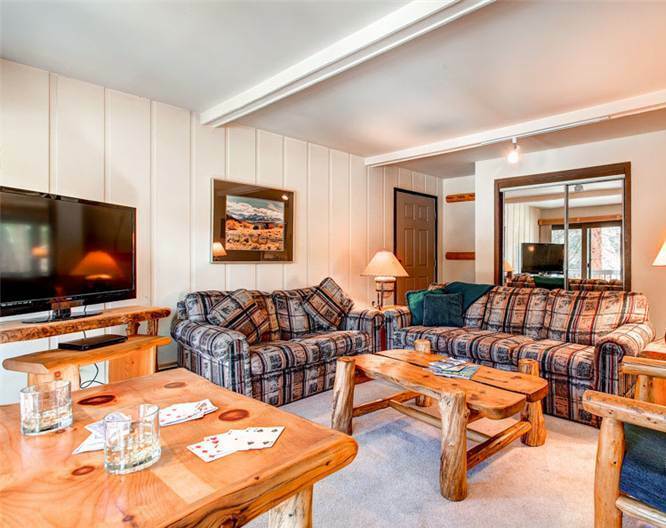 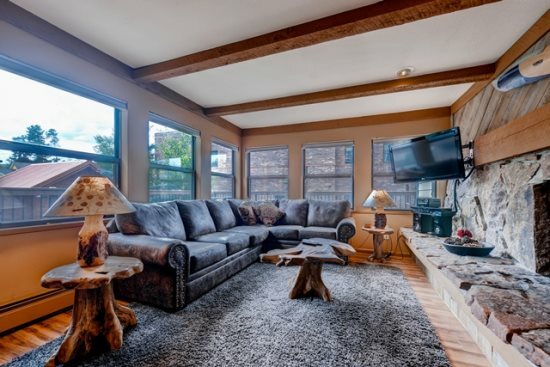 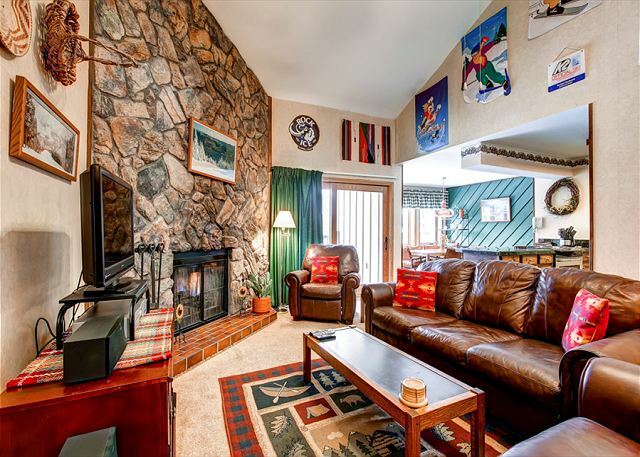 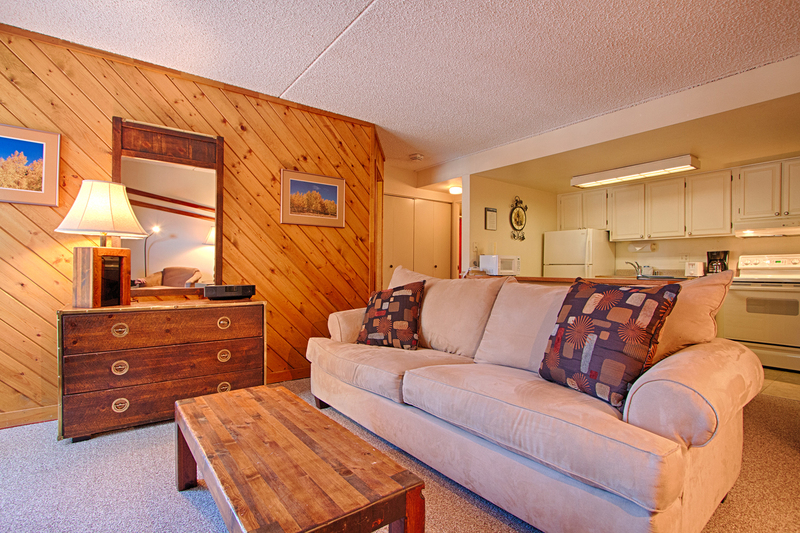 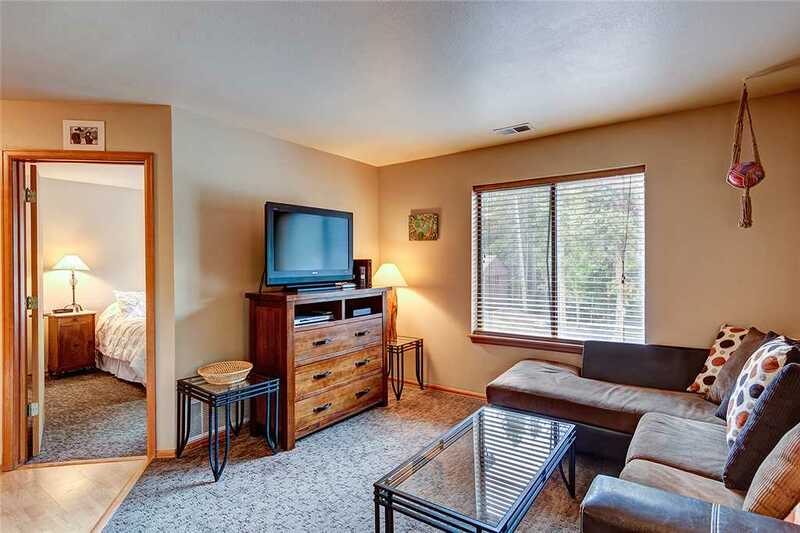 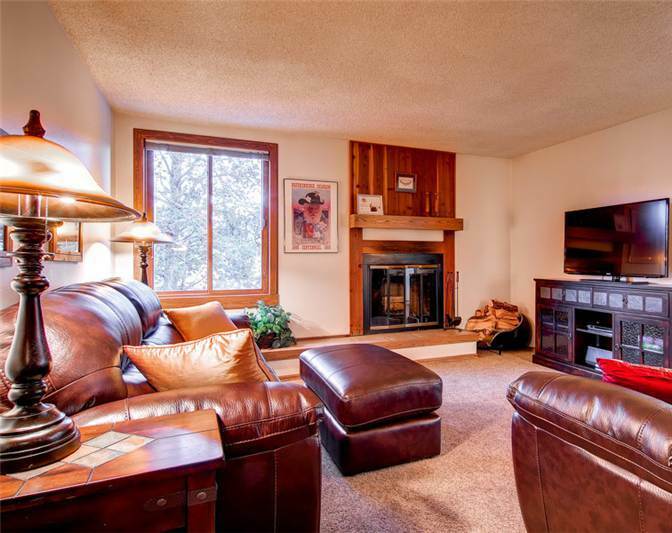 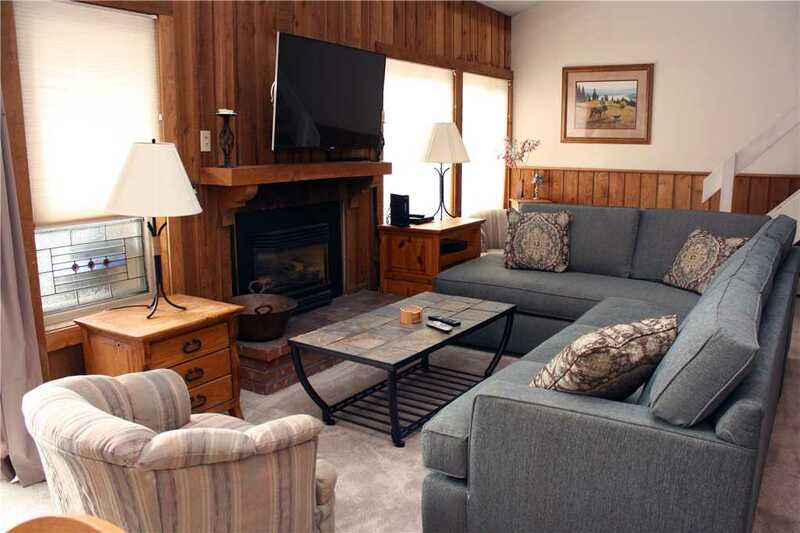 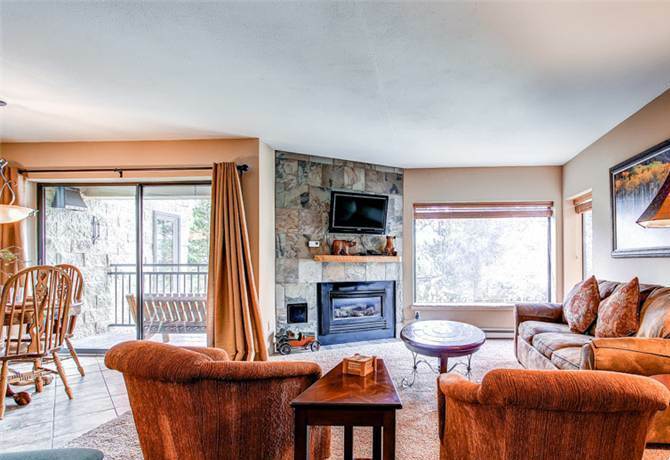 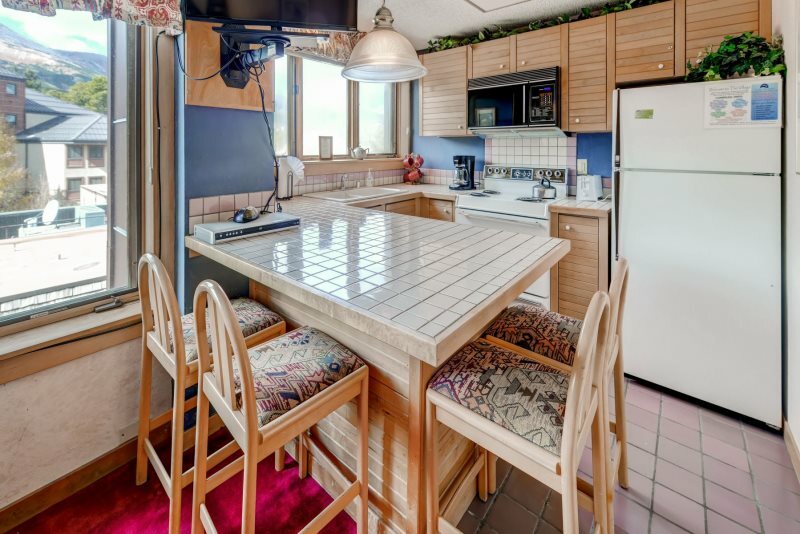 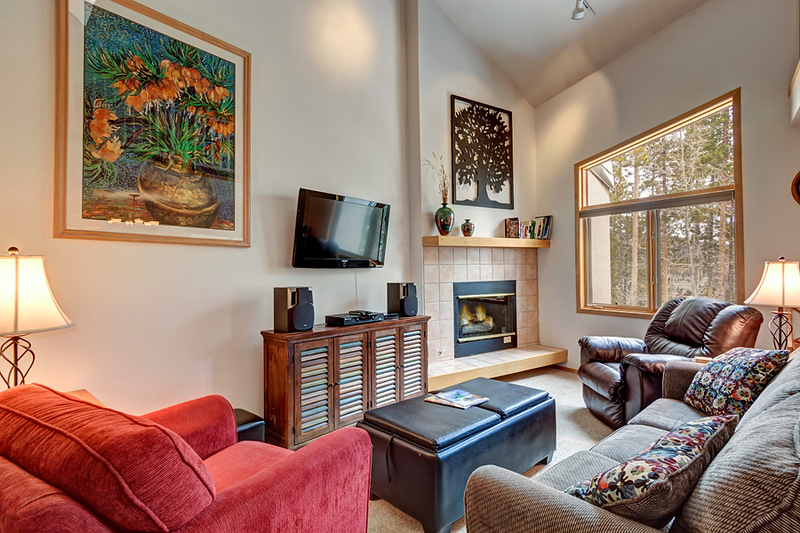 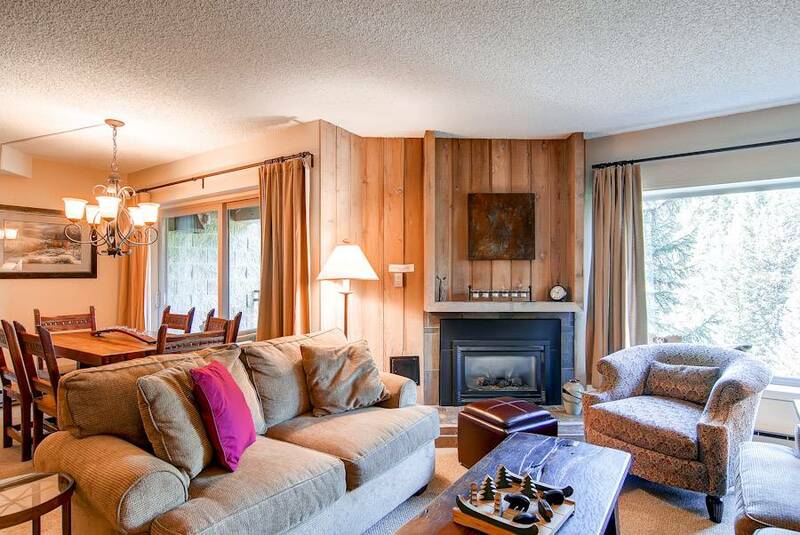 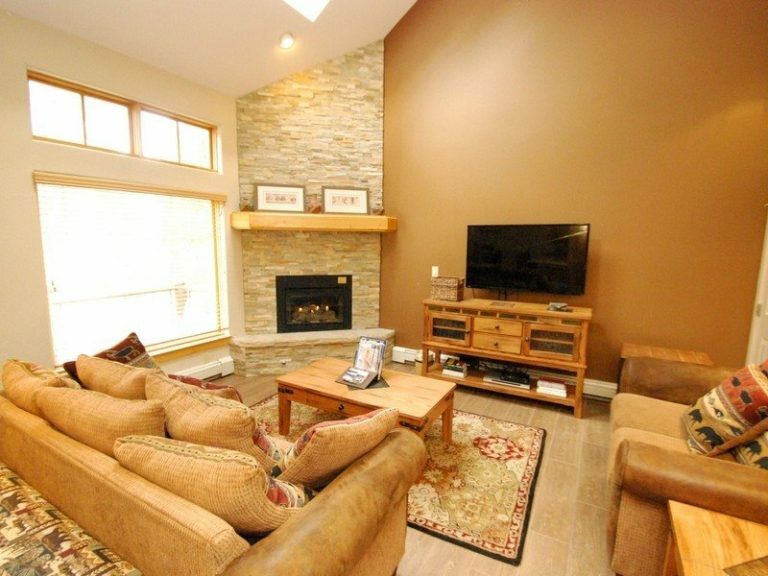 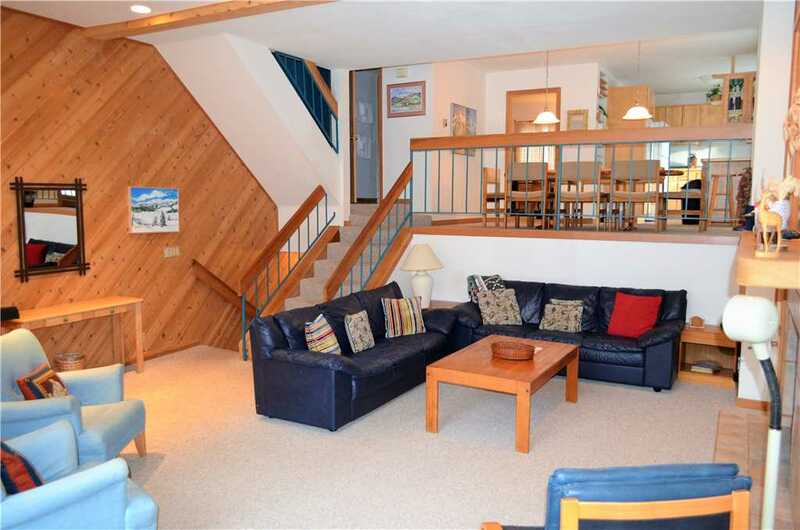 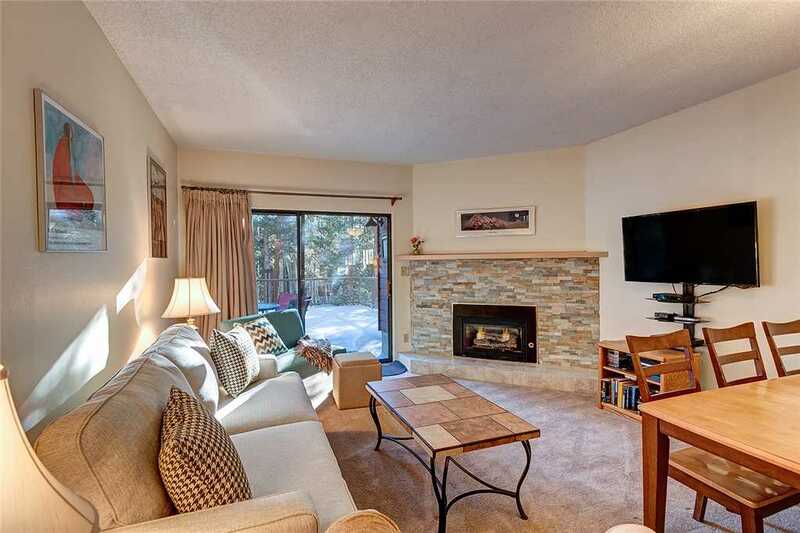 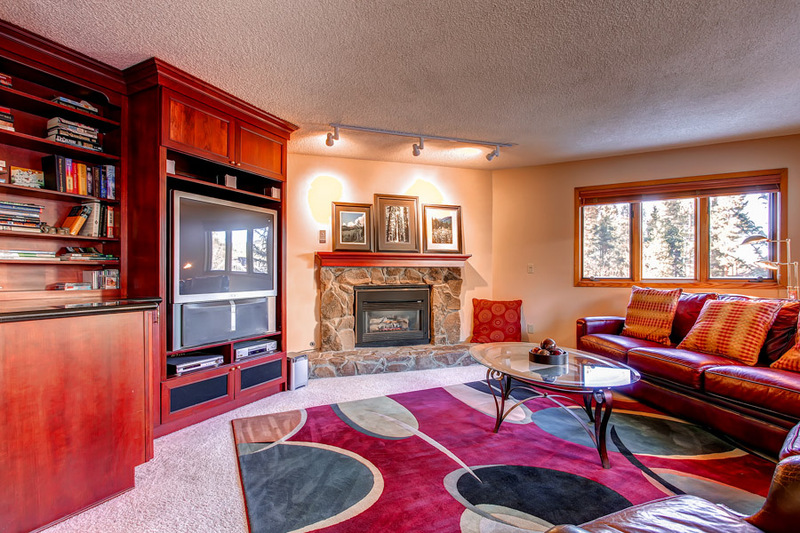 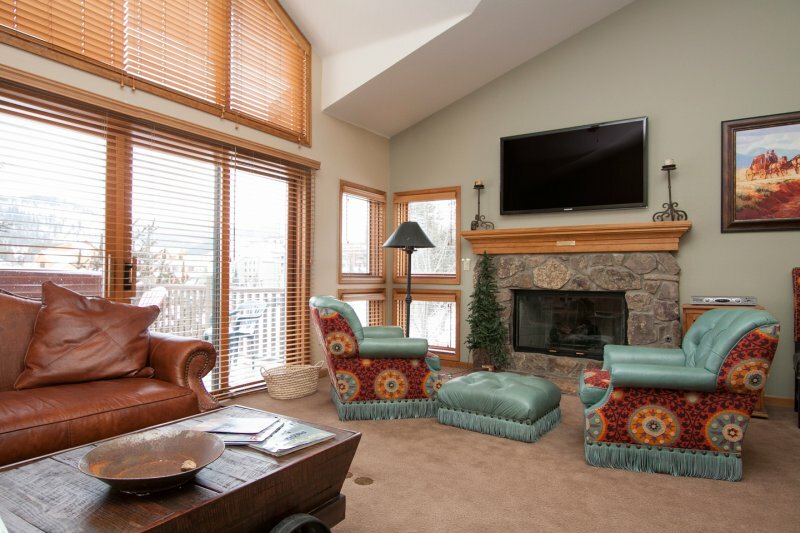 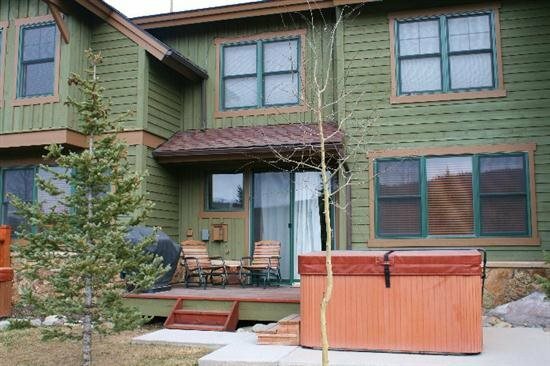 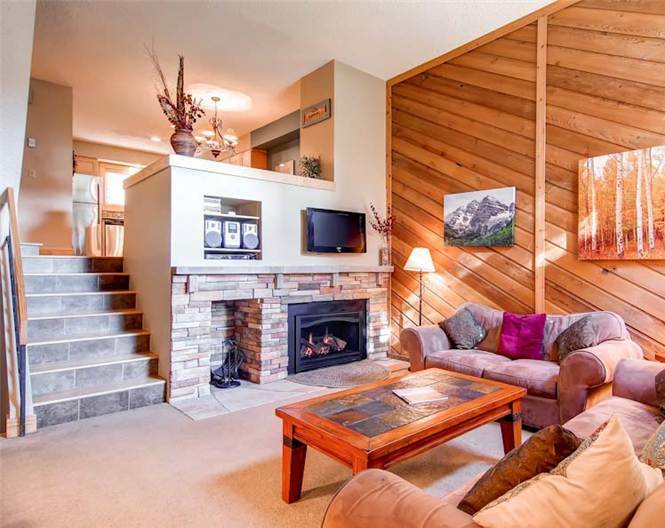 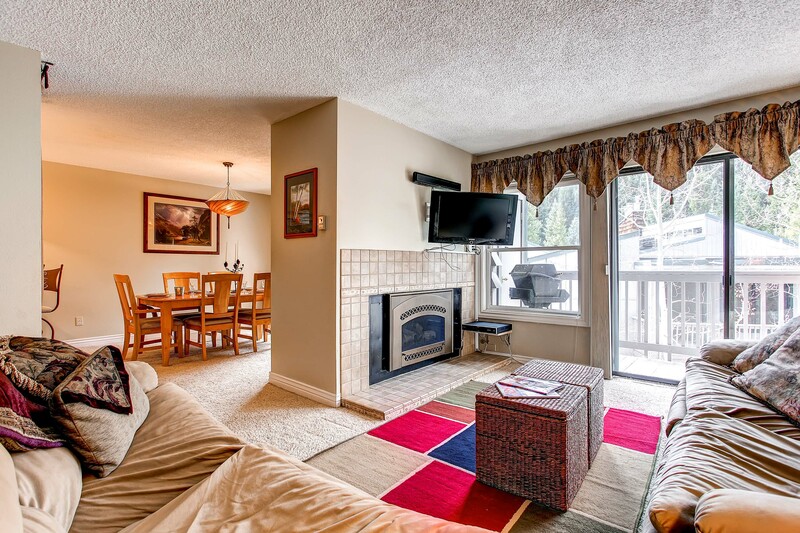 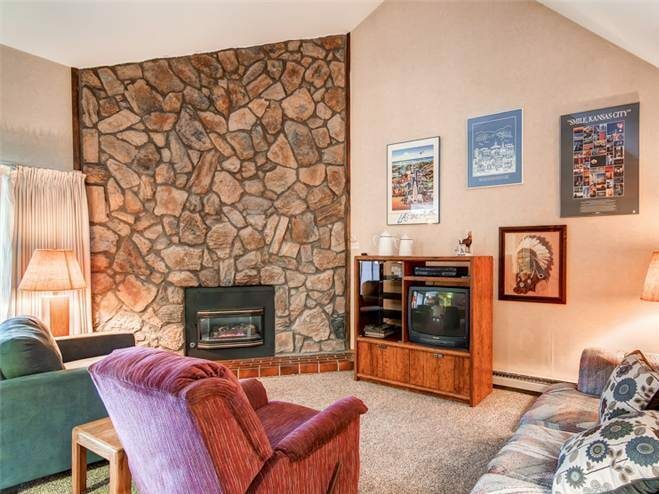 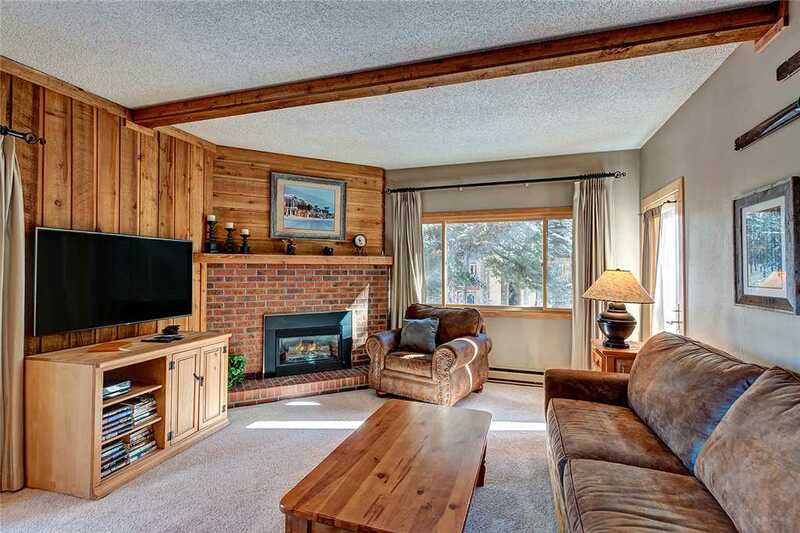 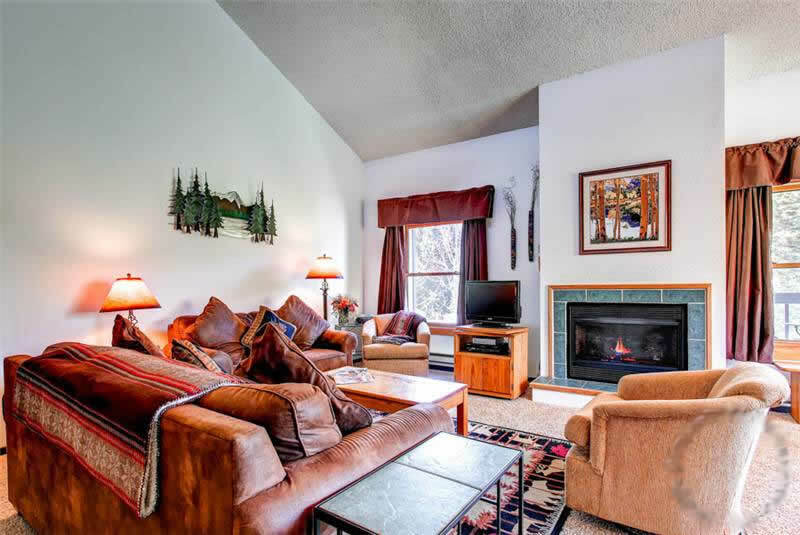 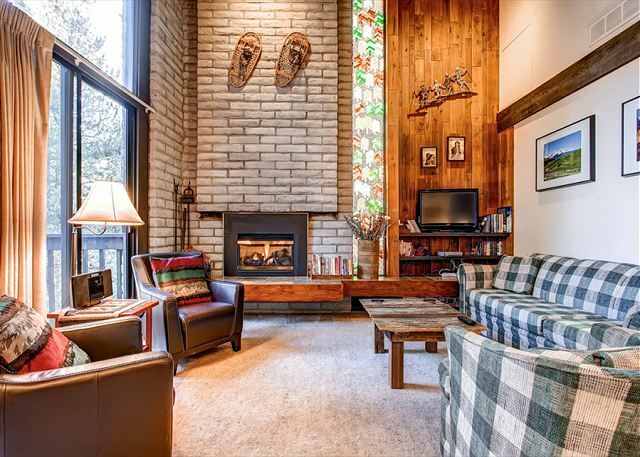 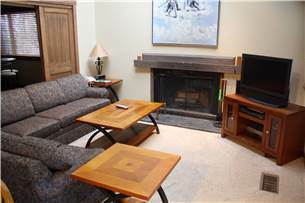 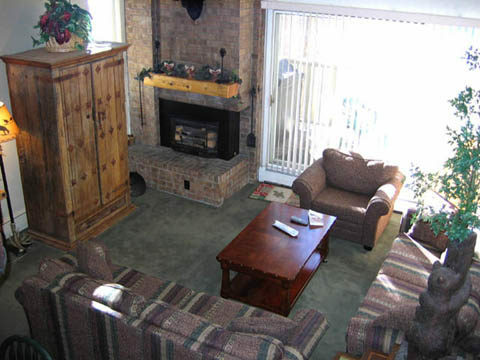 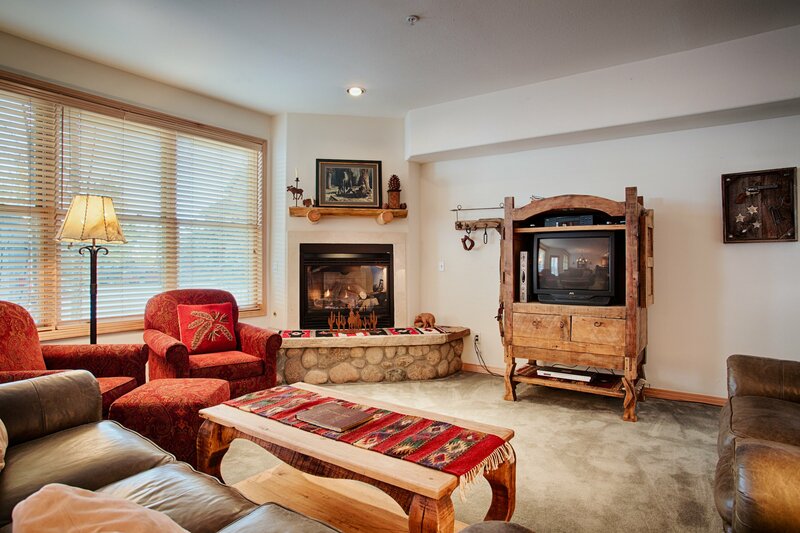 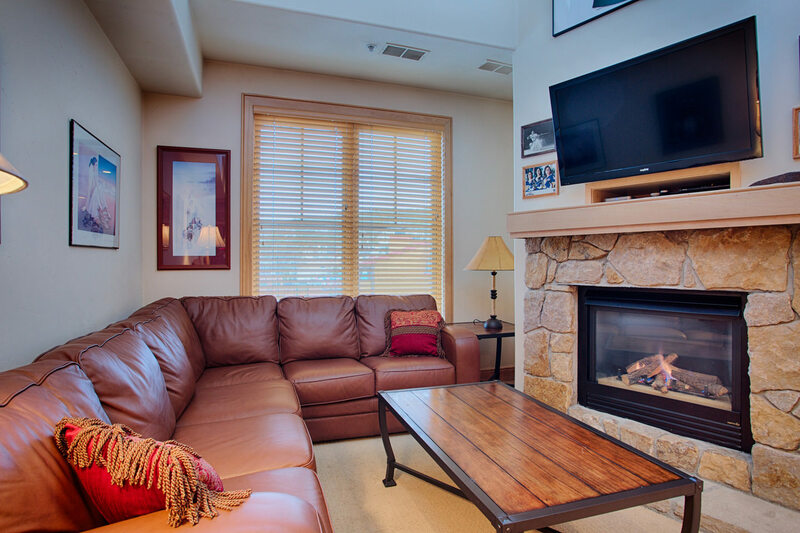 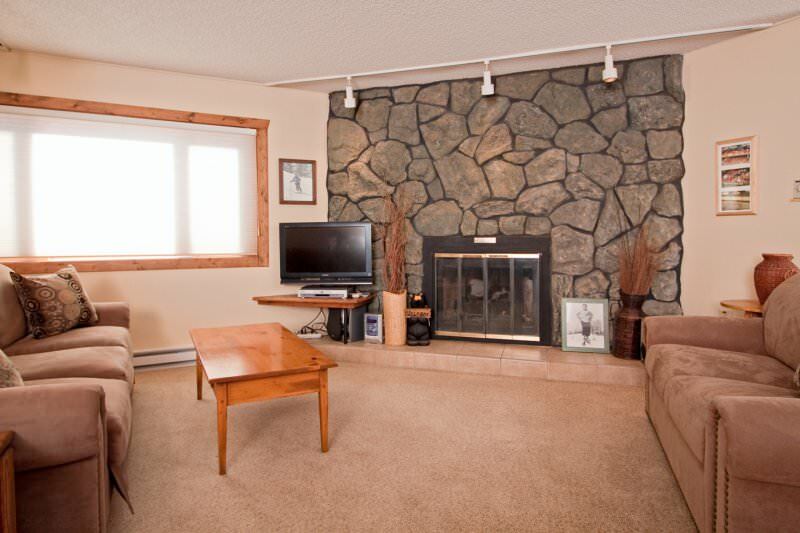 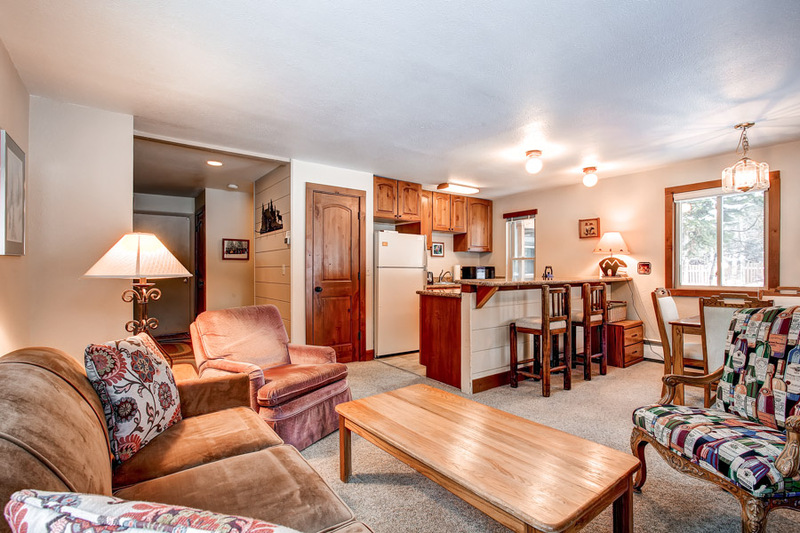 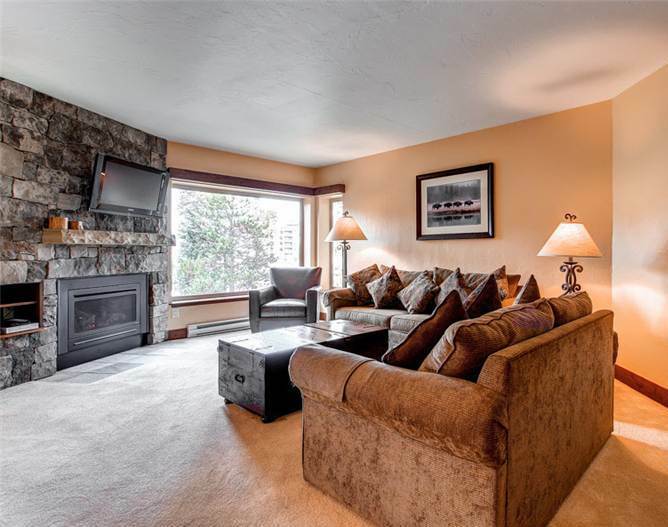 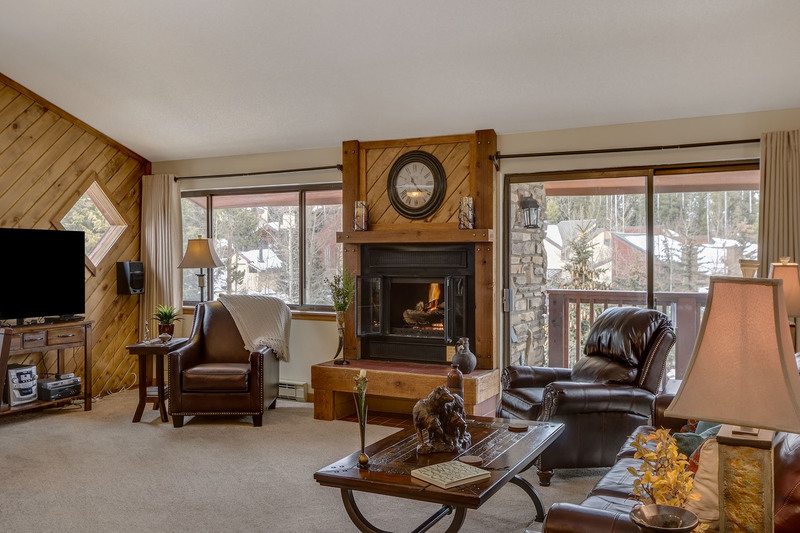 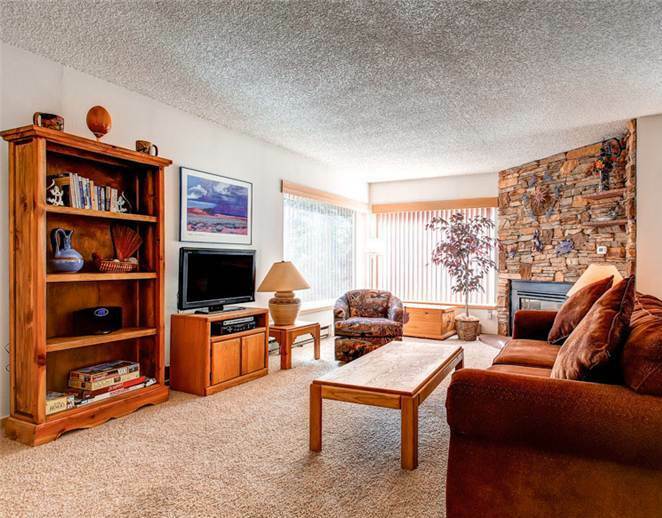 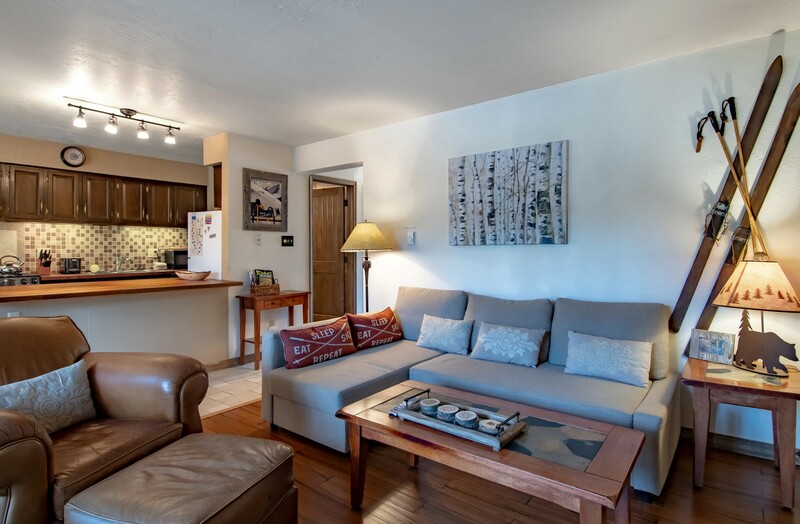 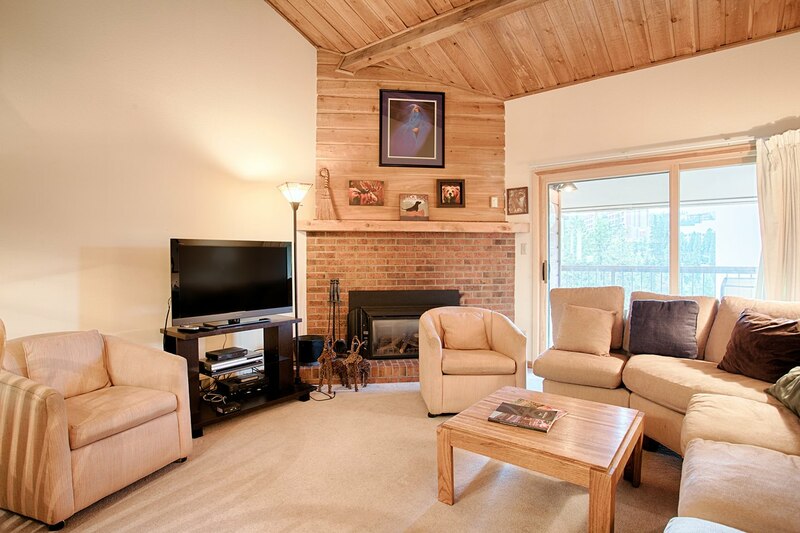 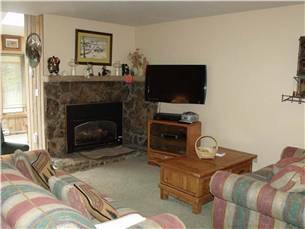 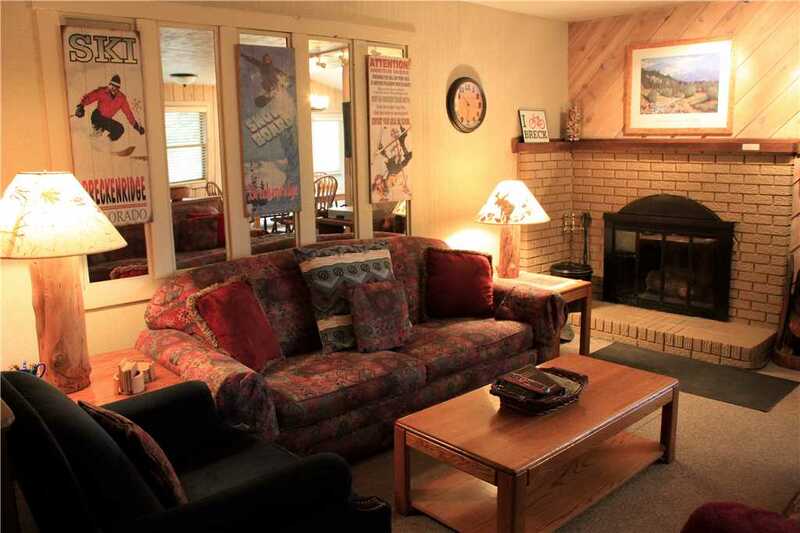 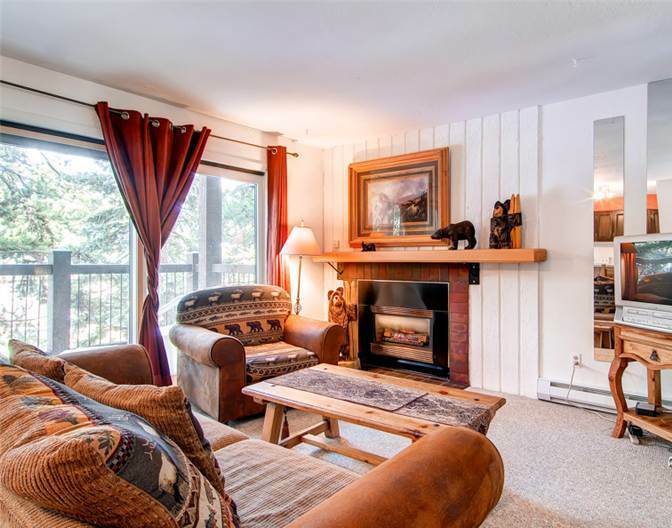 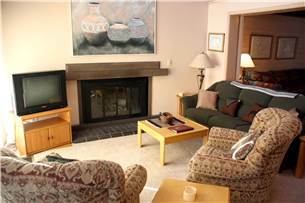 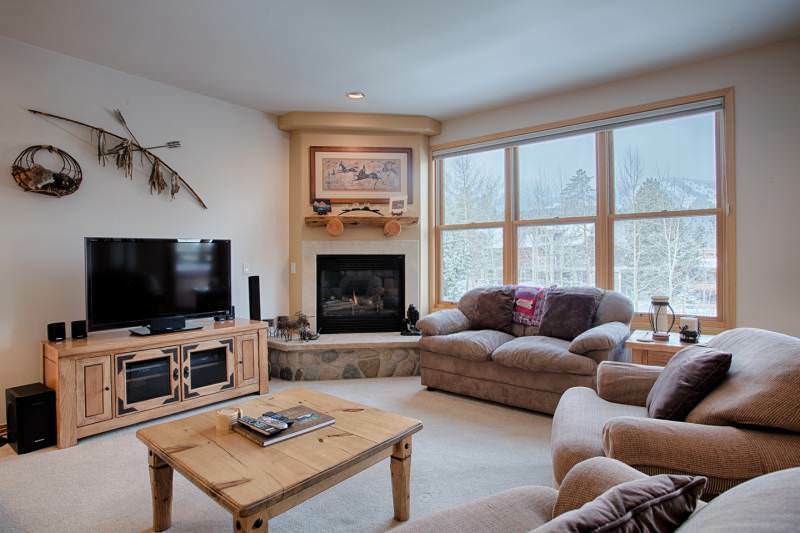 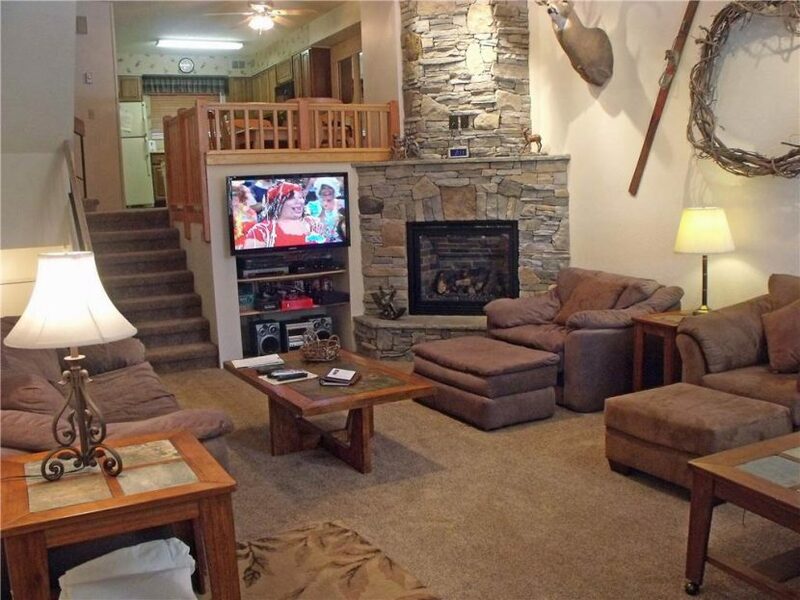 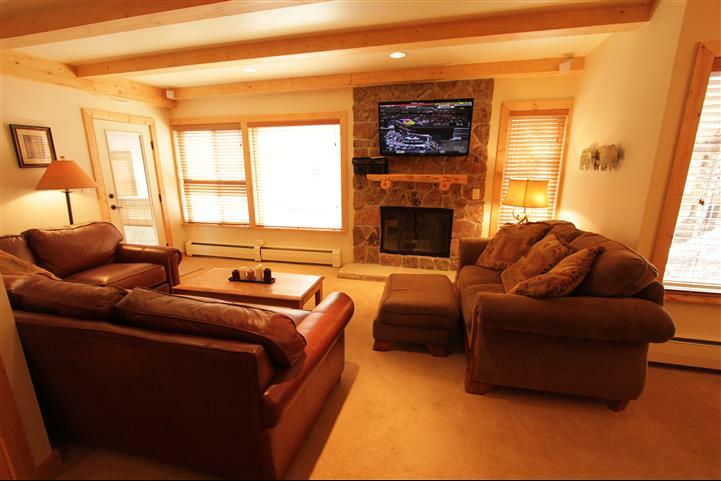 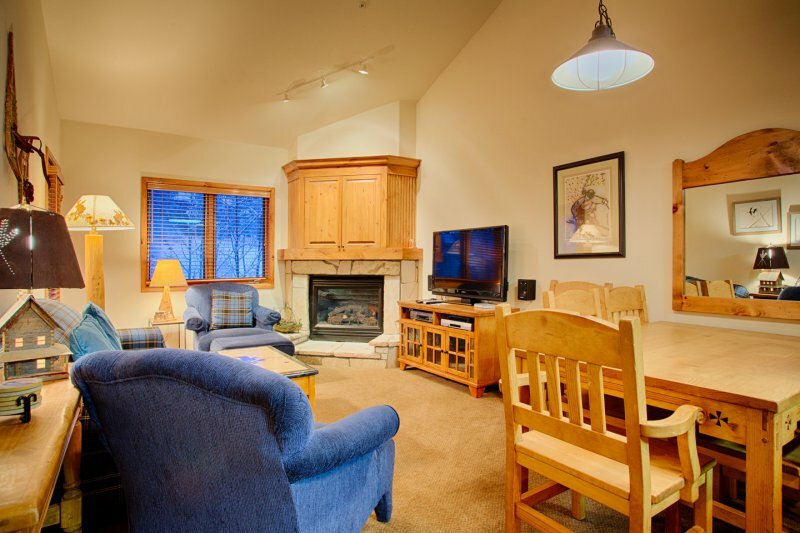 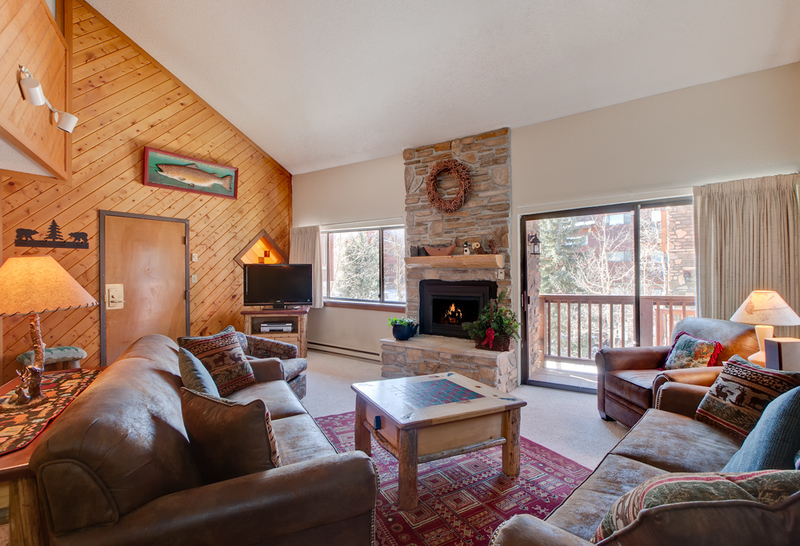 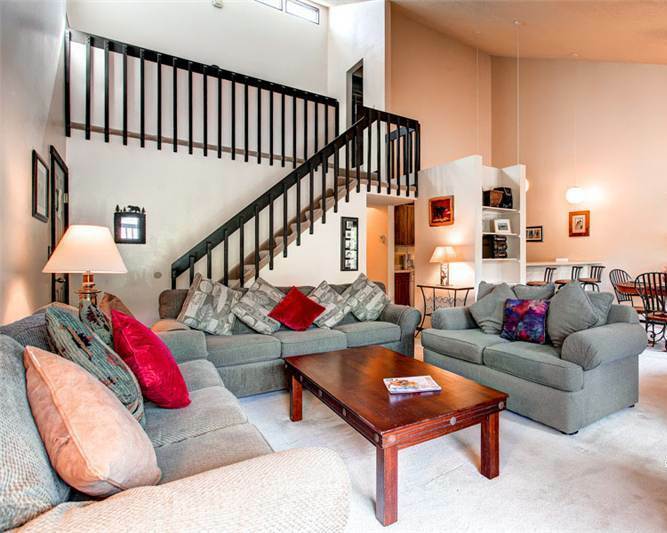 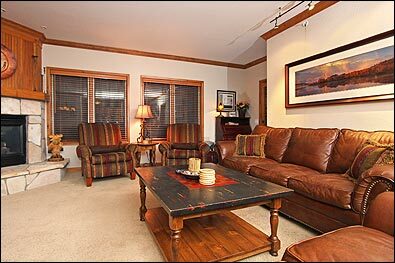 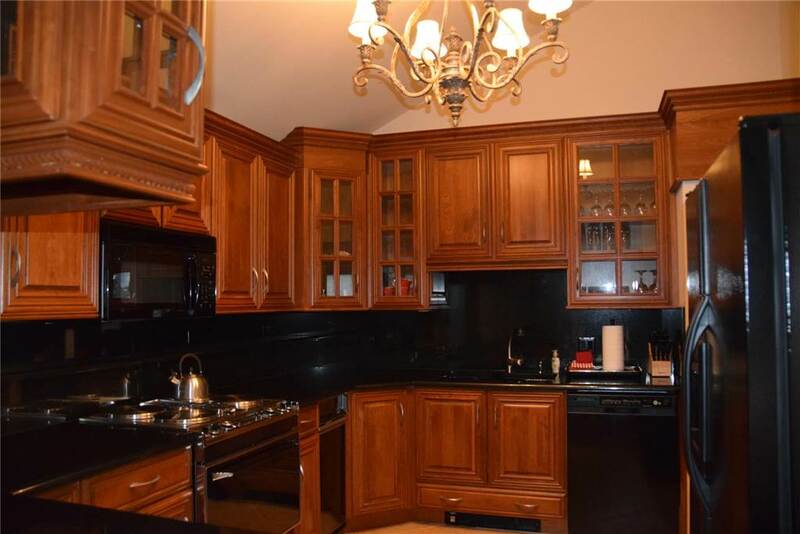 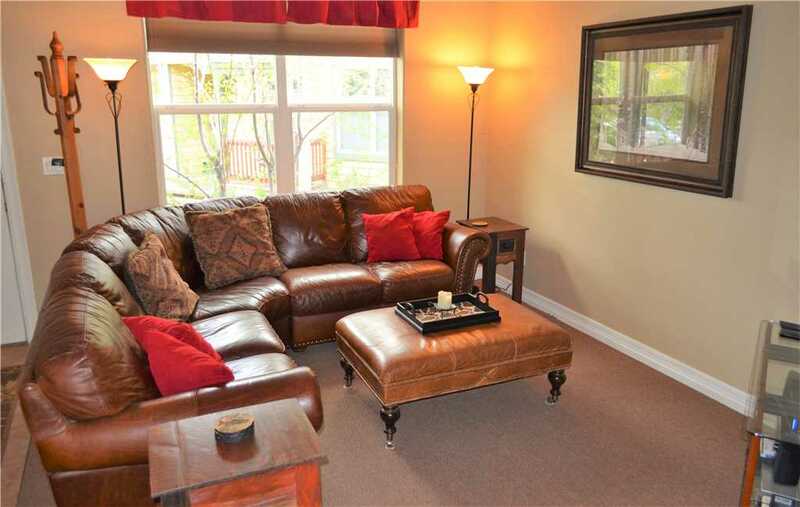 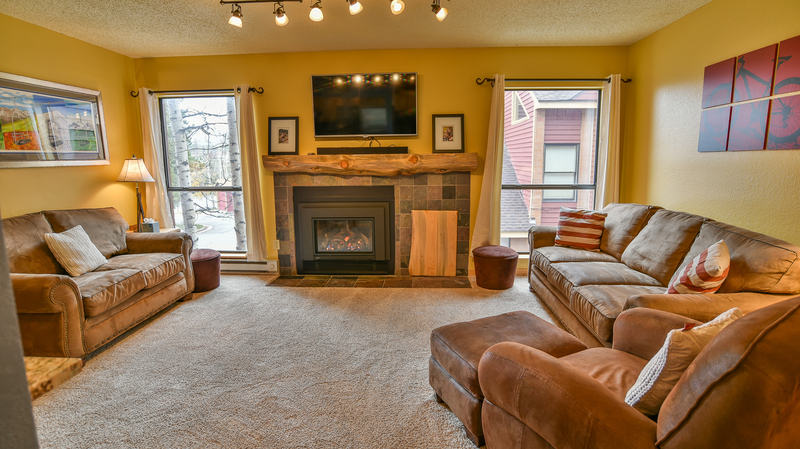 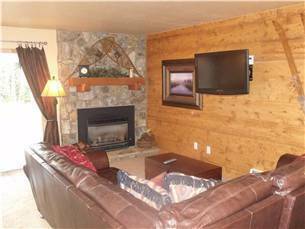 This recently updated condo features a forest & river view, gas fireplace, private balcony with BBQ grill, granite counters, multiple modern TVs with DVR, wi-fi, private washer/dryer, garage parking and access to the clubhouse across the street with an outdoor heated pool and 2-indoor/2-outdoor hot tubs.